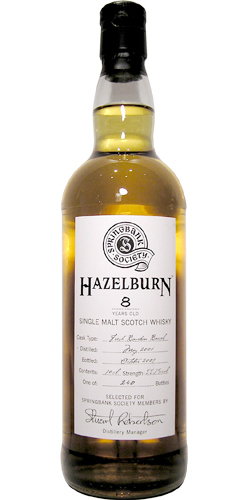 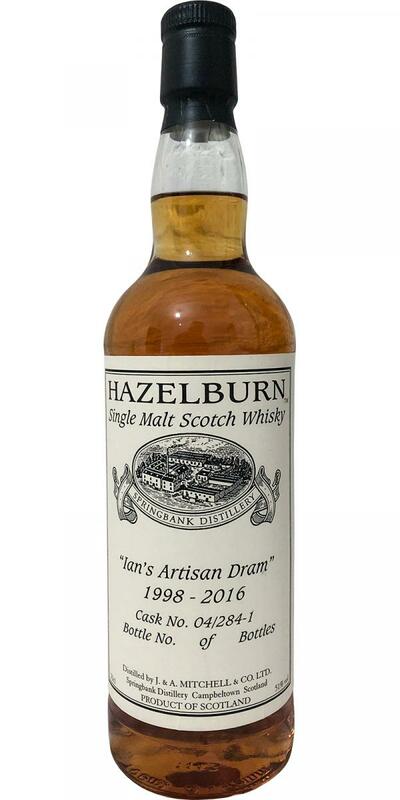 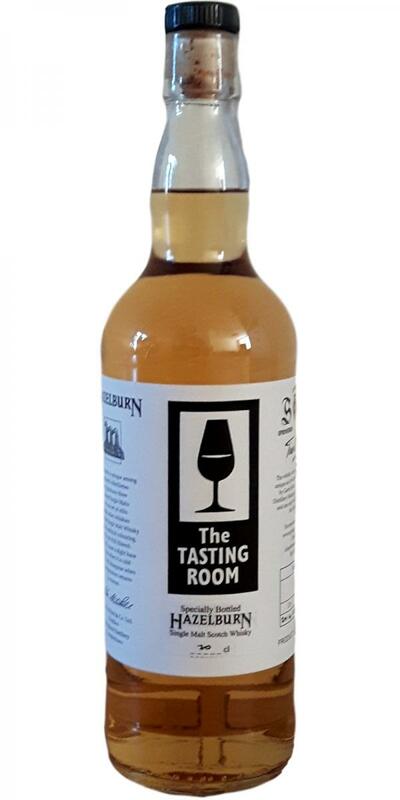 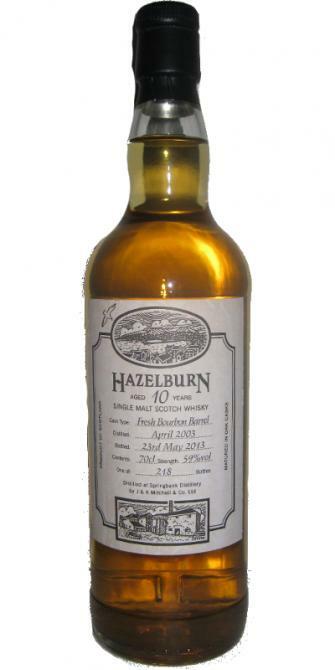 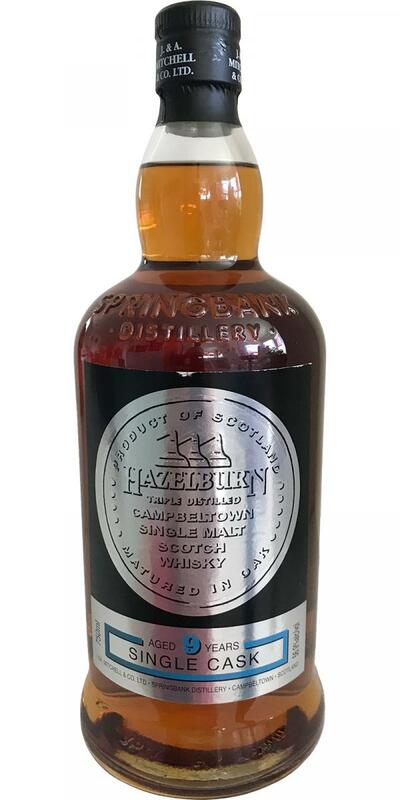 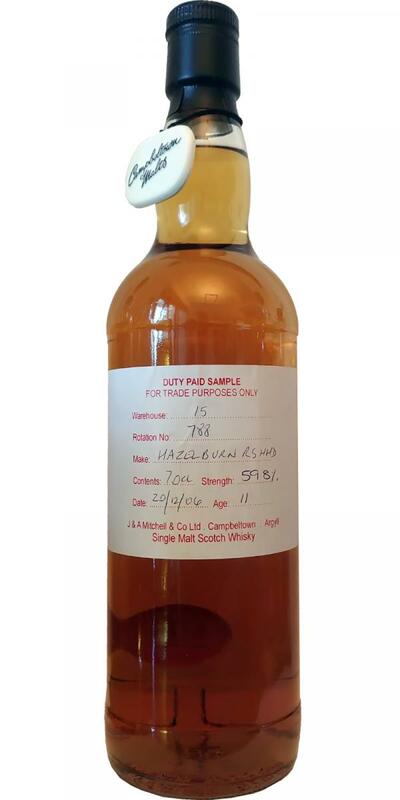 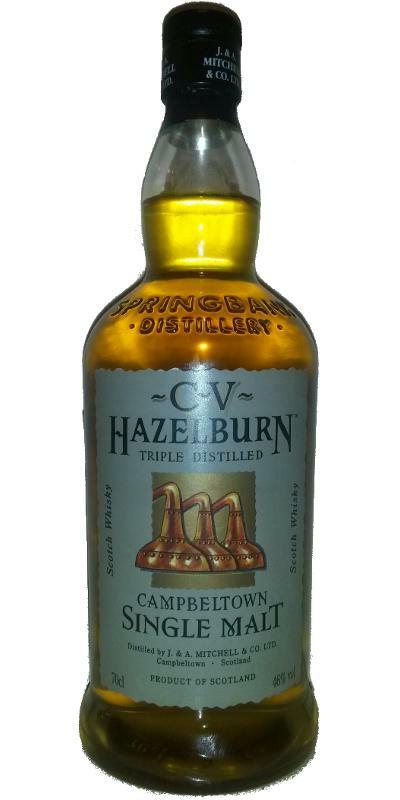 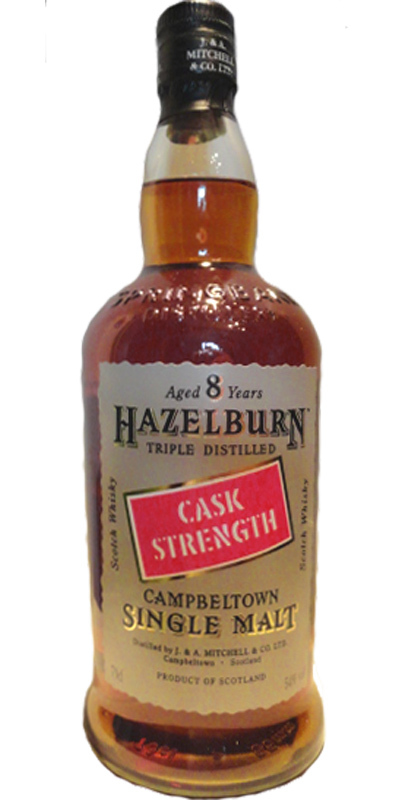 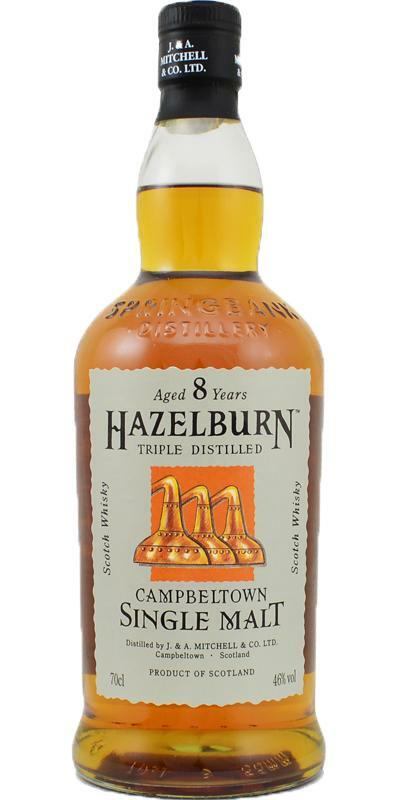 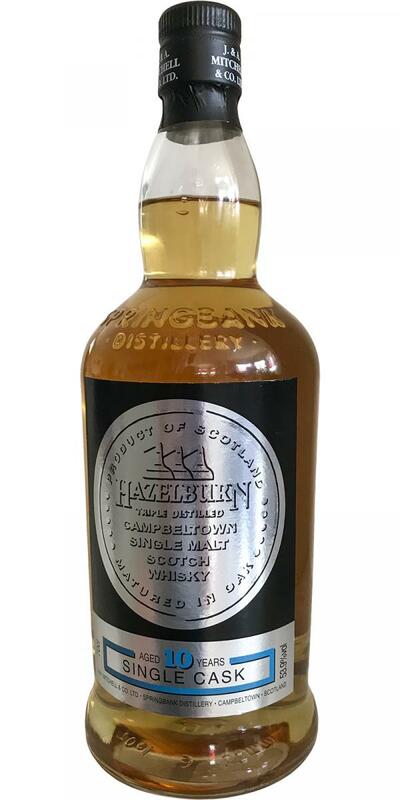 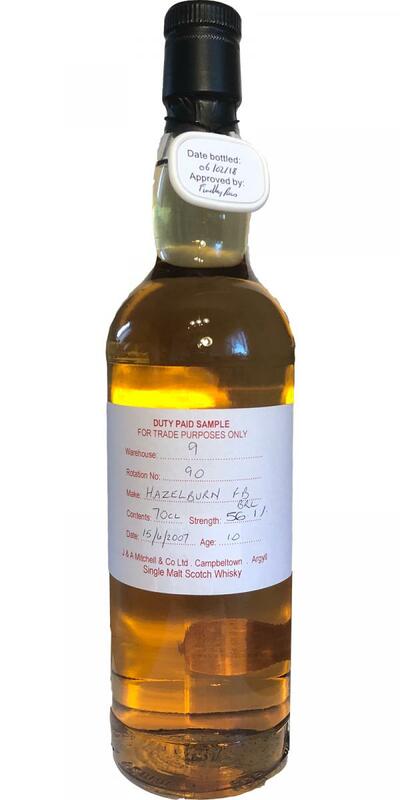 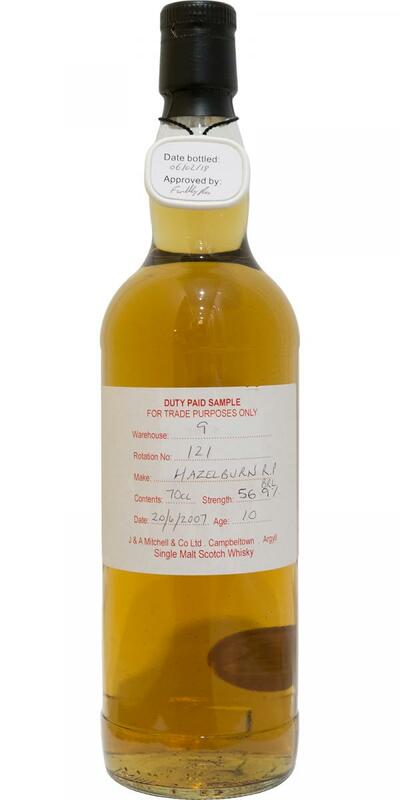 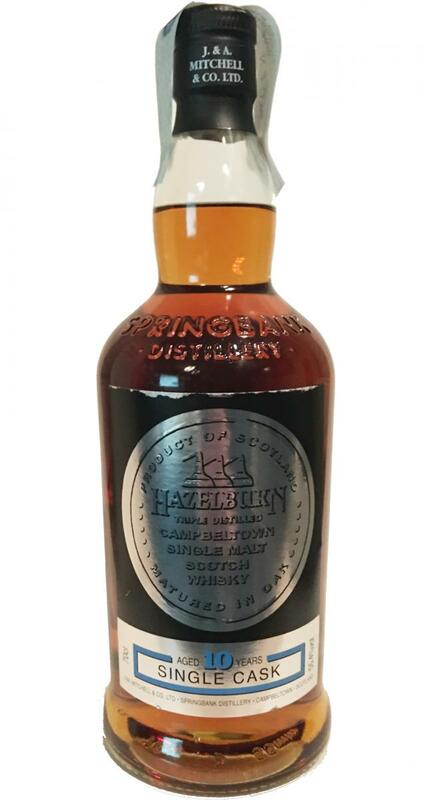 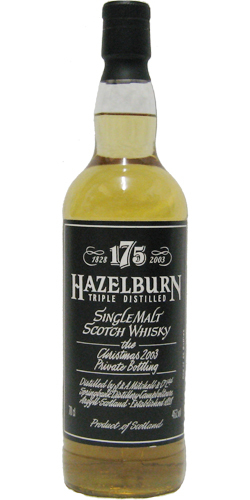 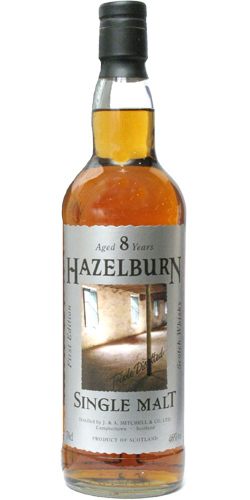 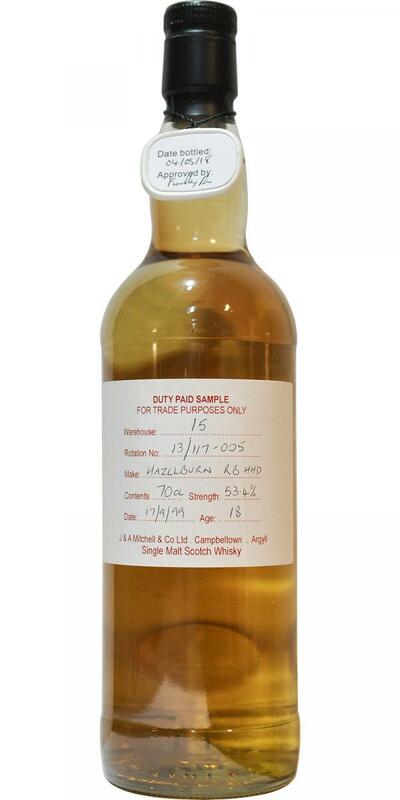 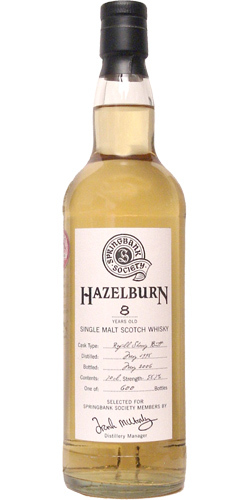 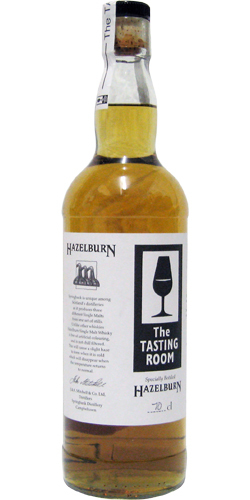 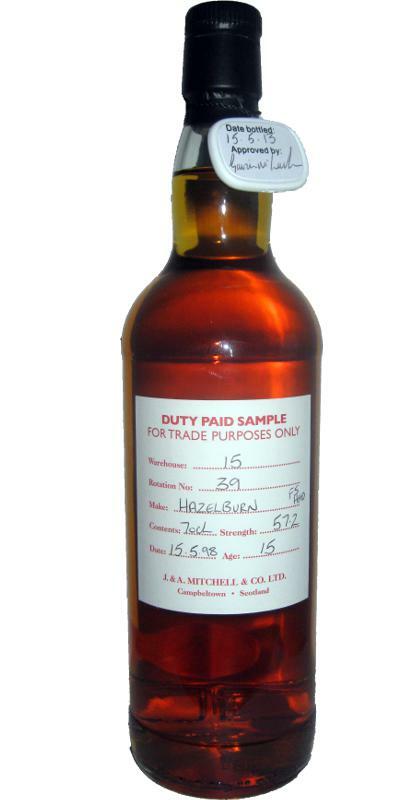 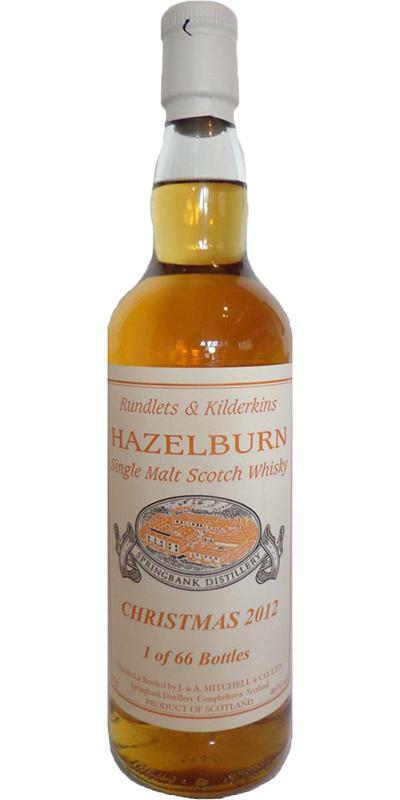 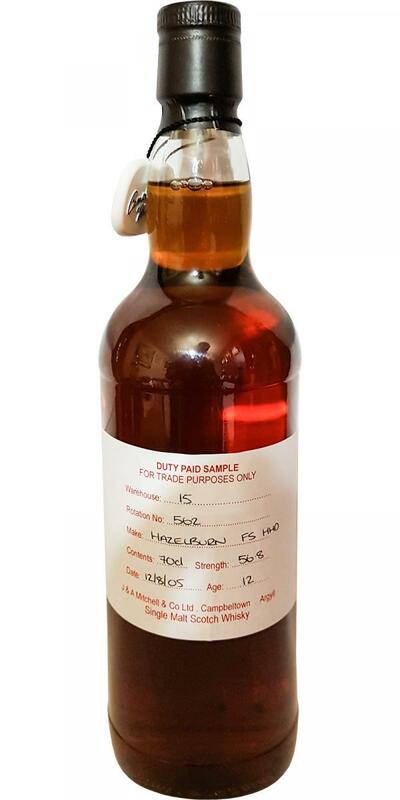 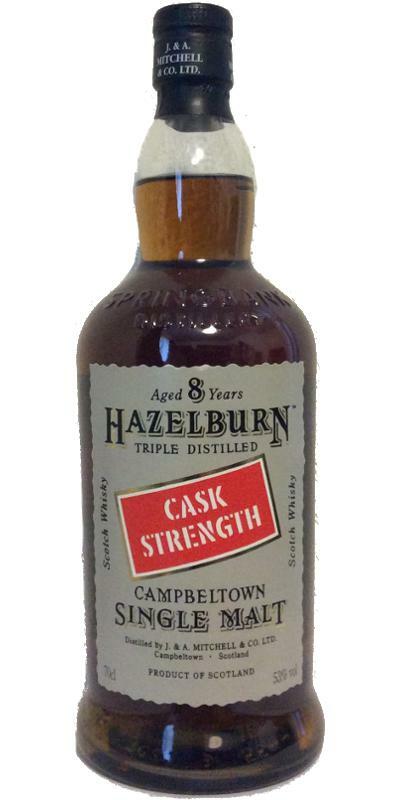 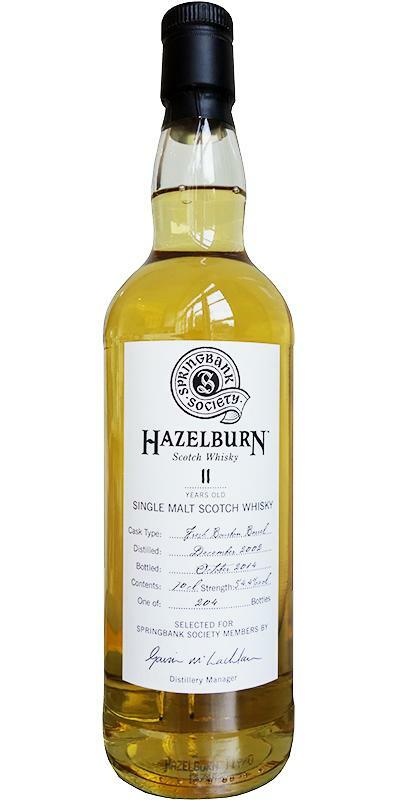 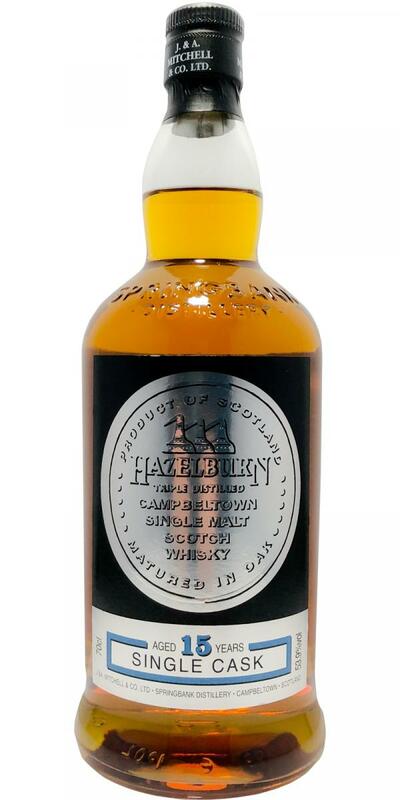 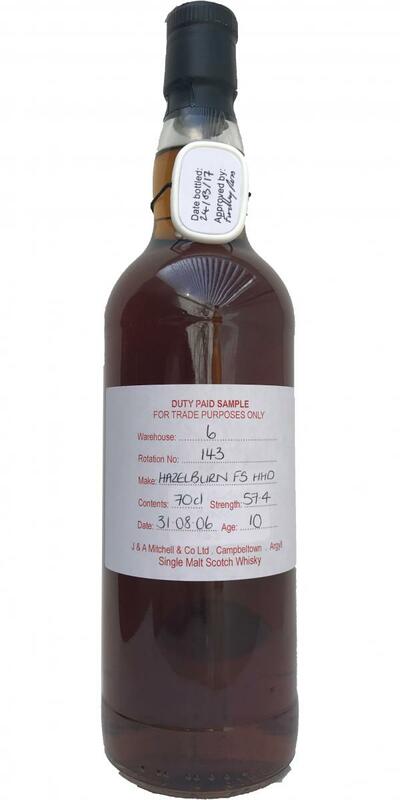 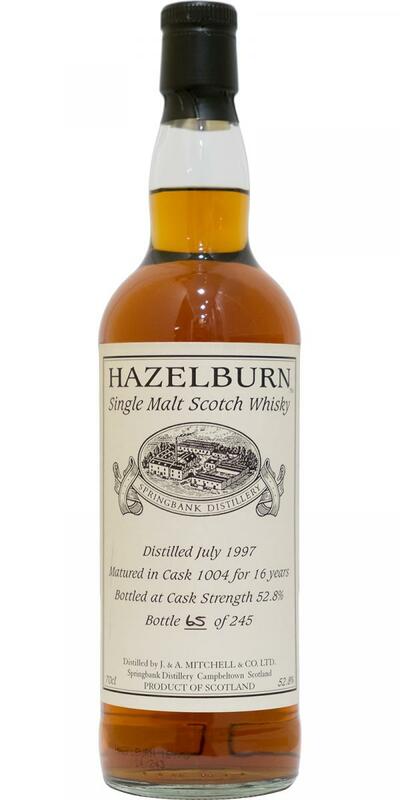 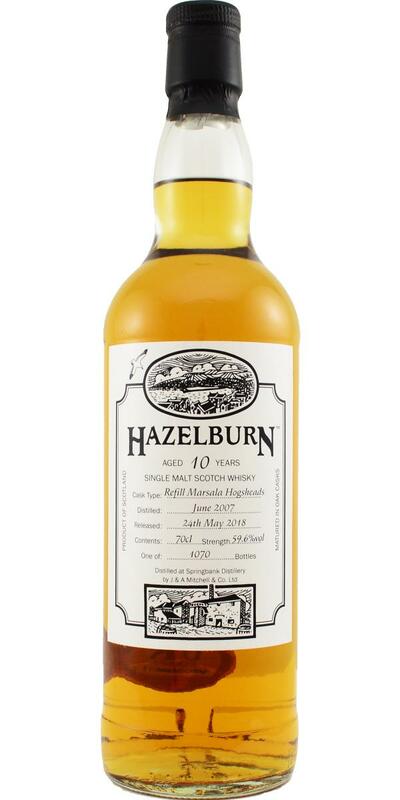 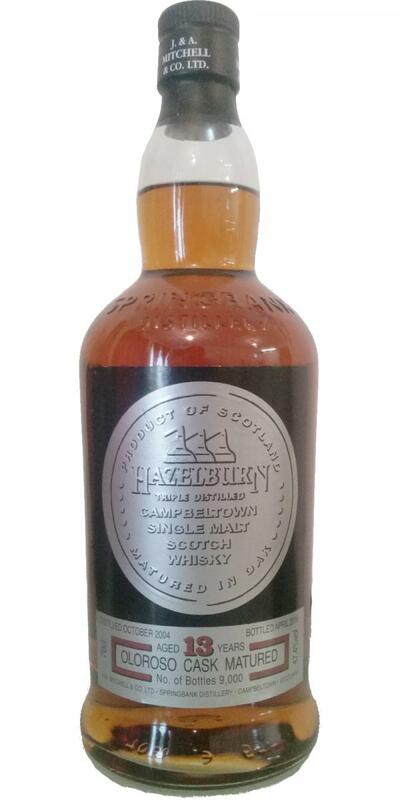 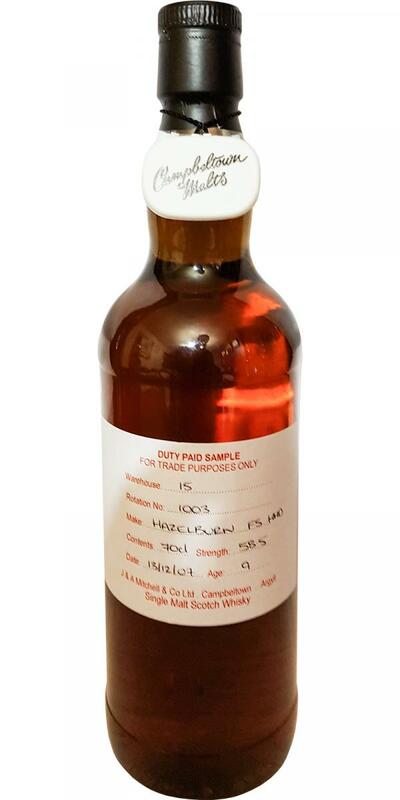 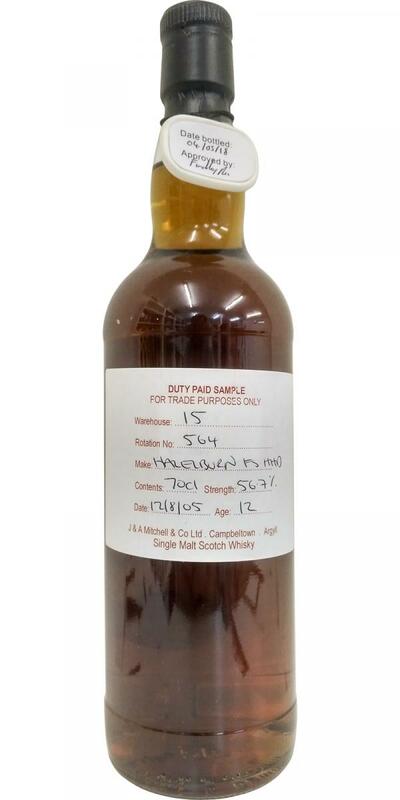 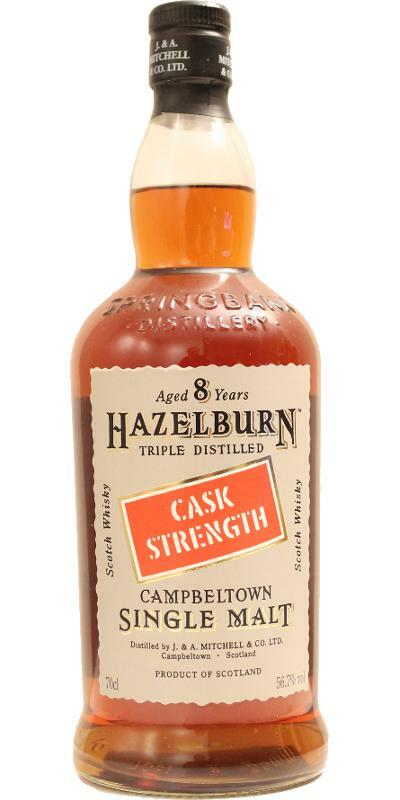 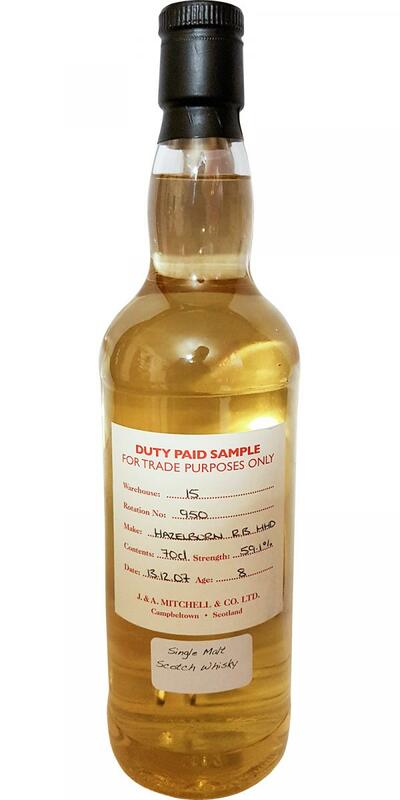 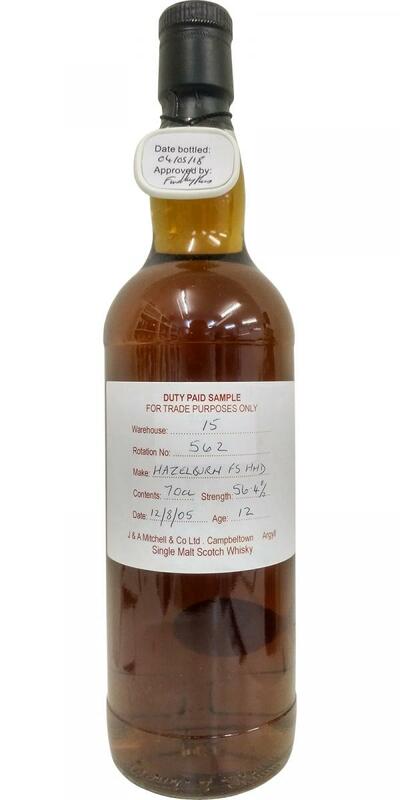 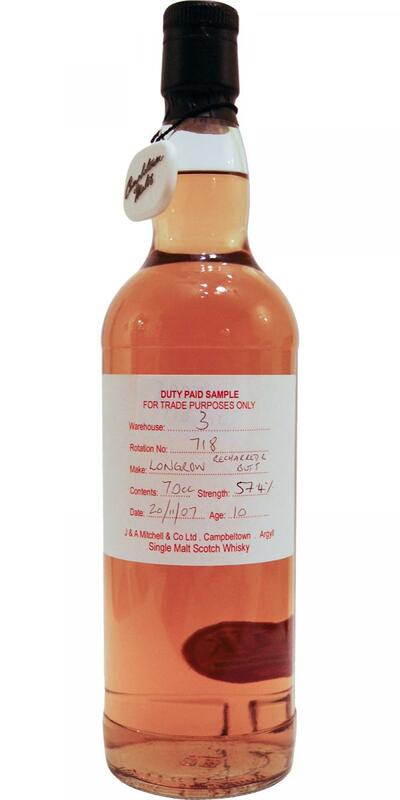 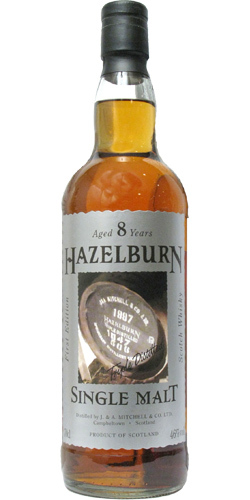 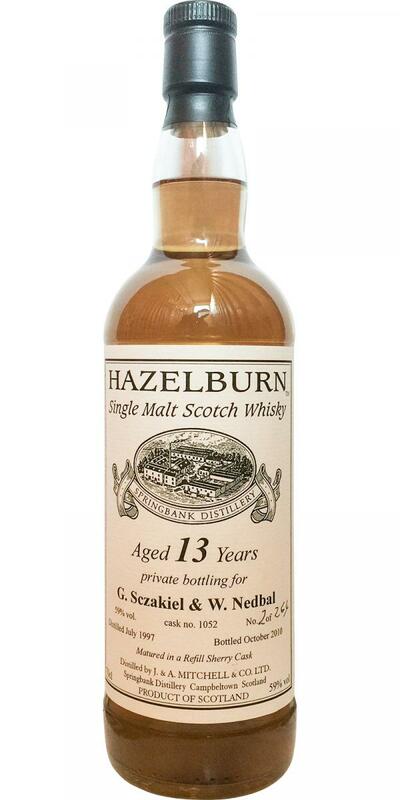 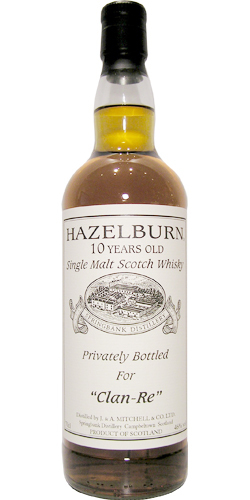 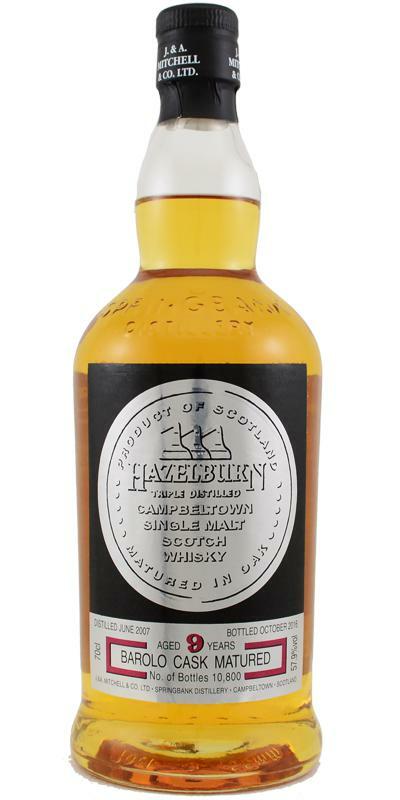 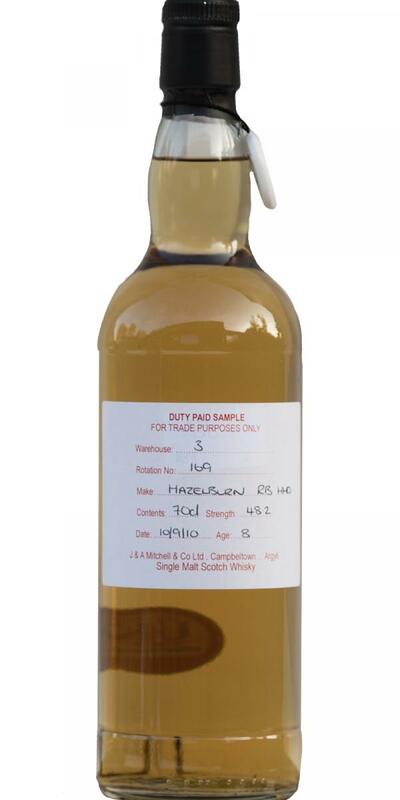 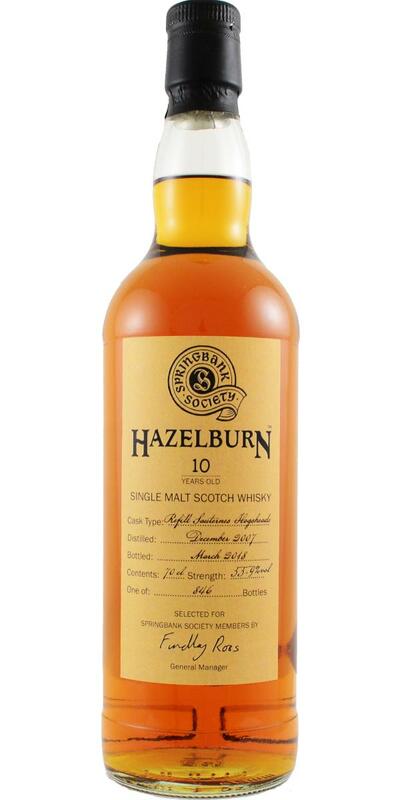 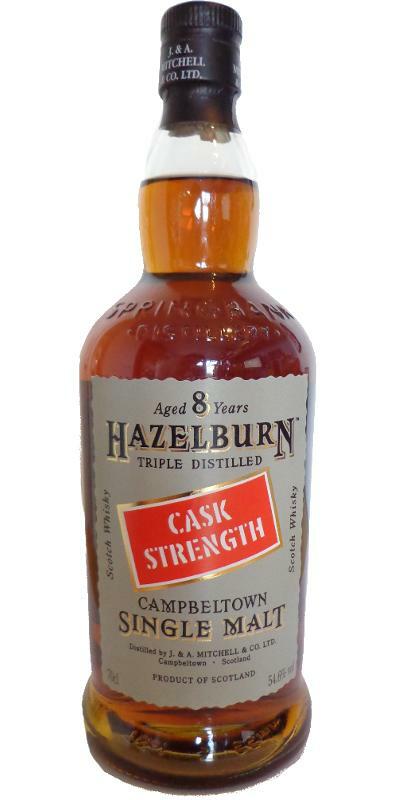 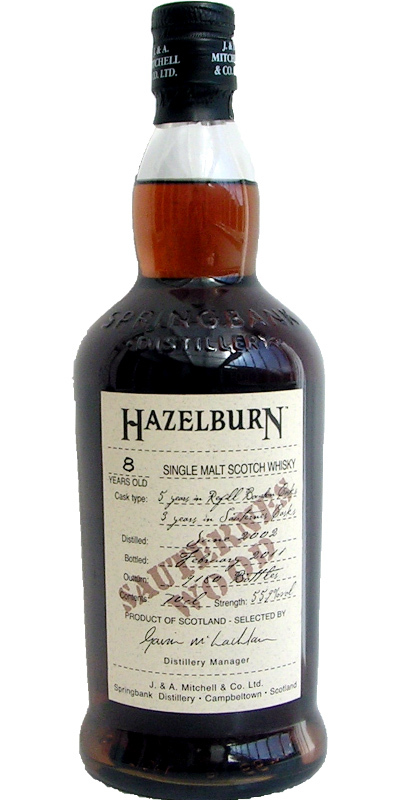 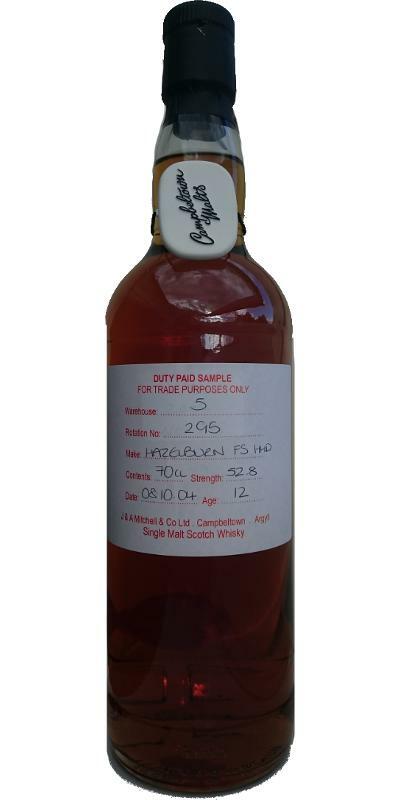 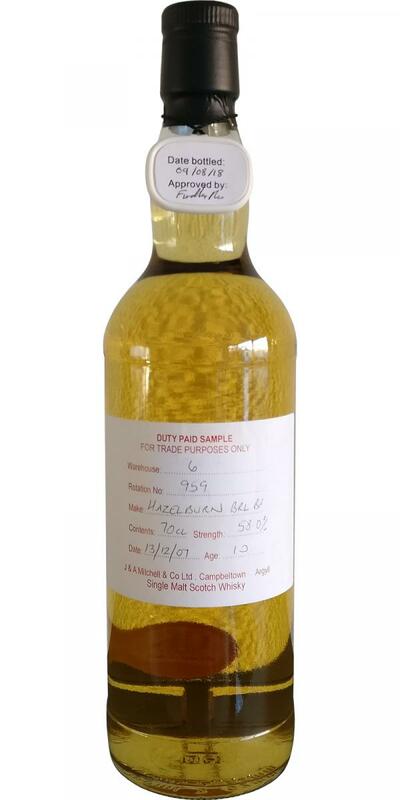 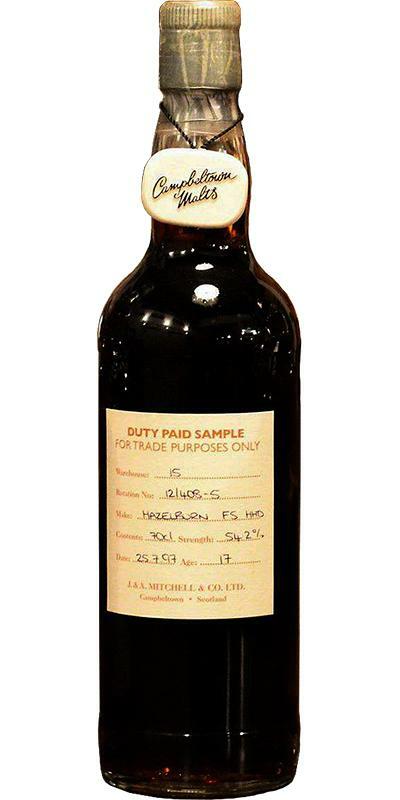 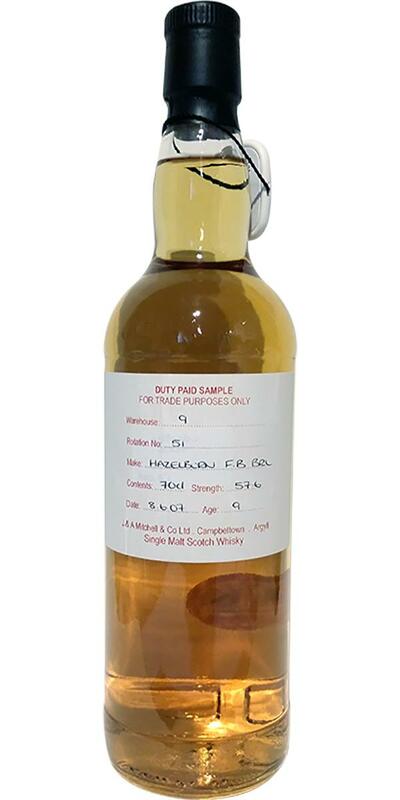 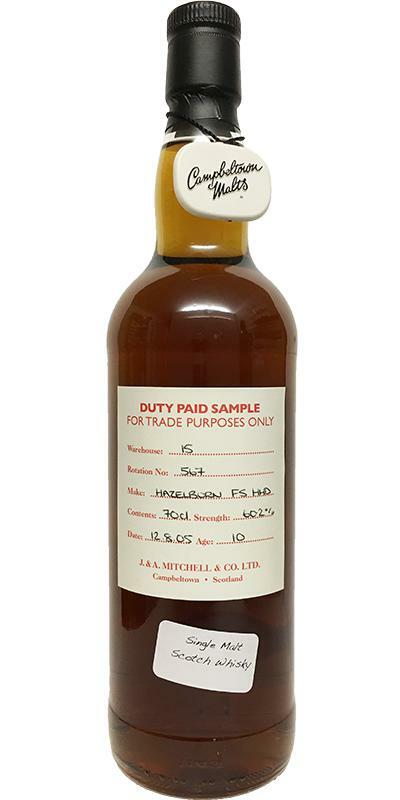 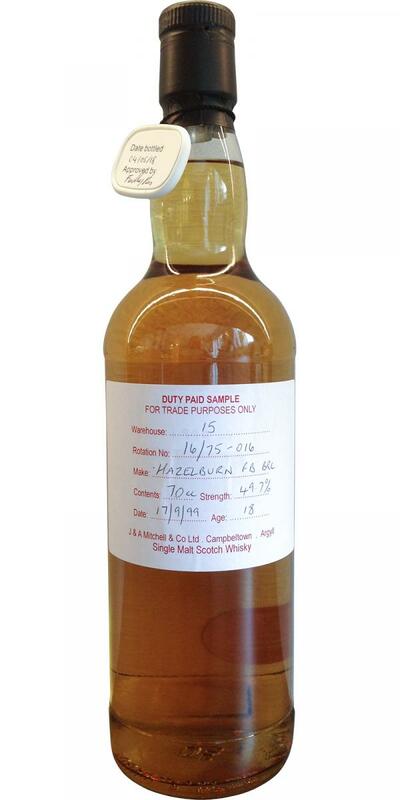 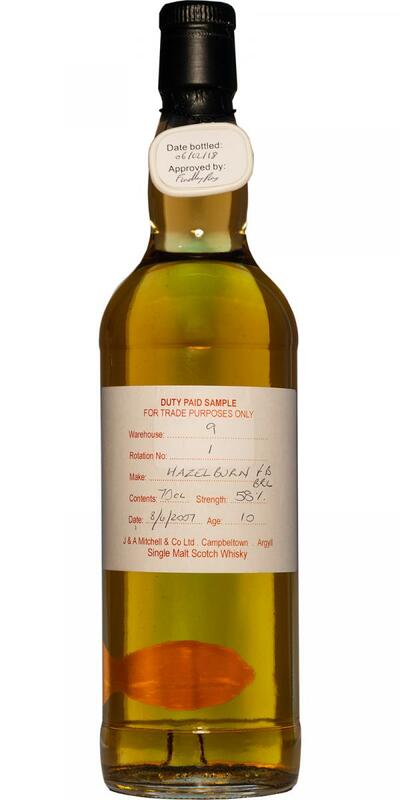 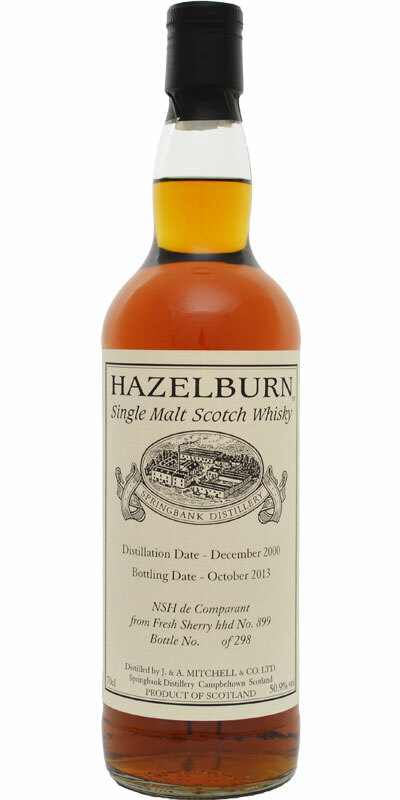 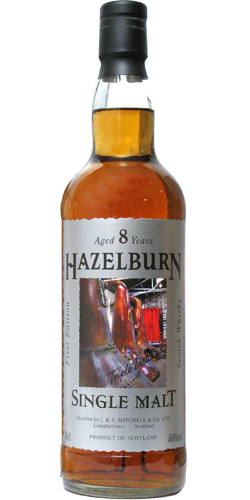 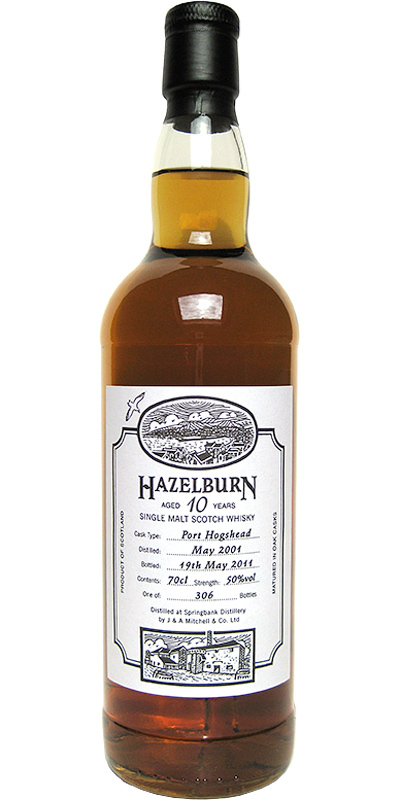 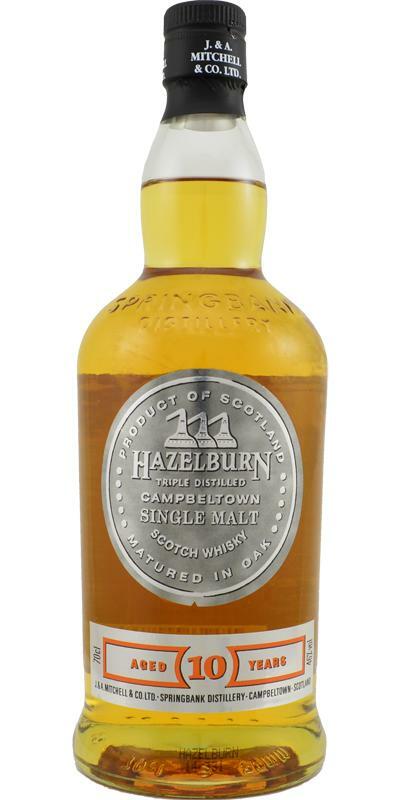 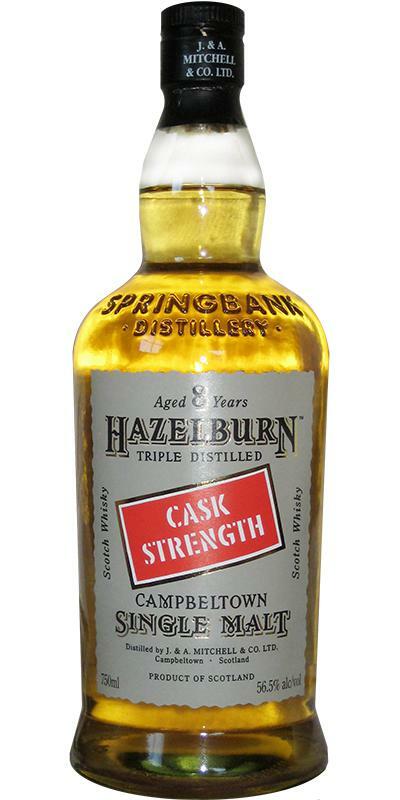 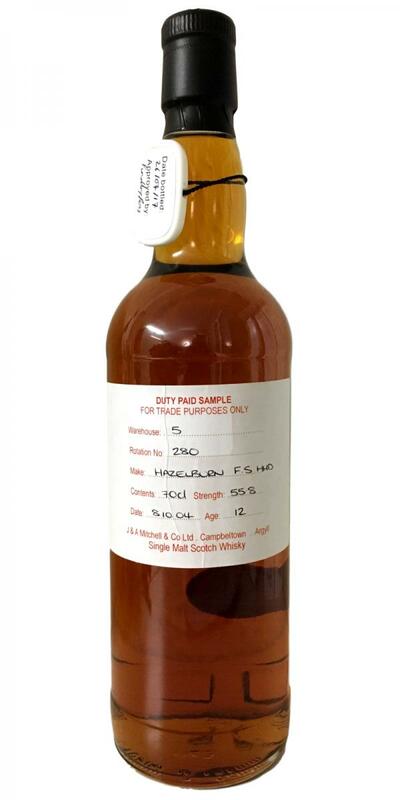 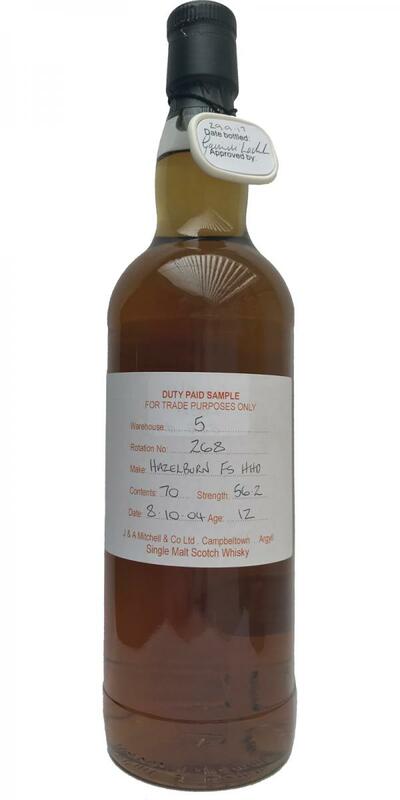 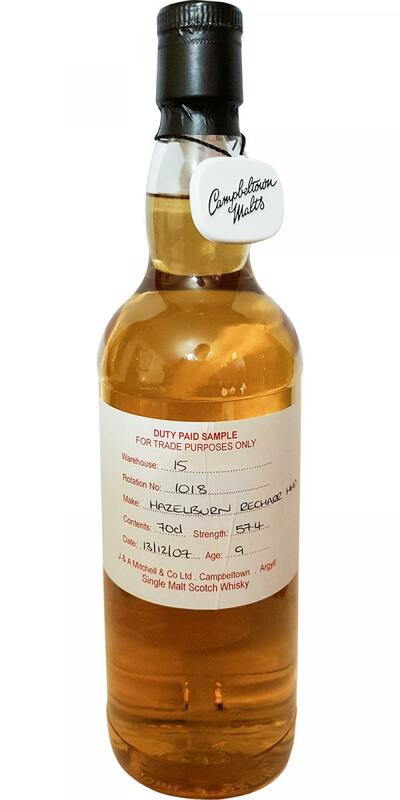 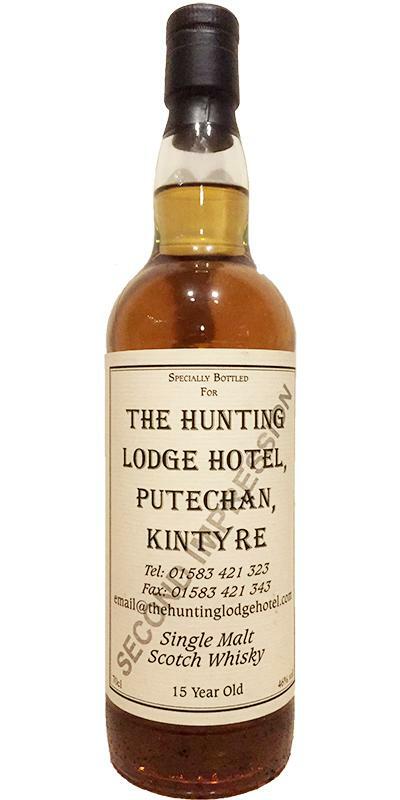 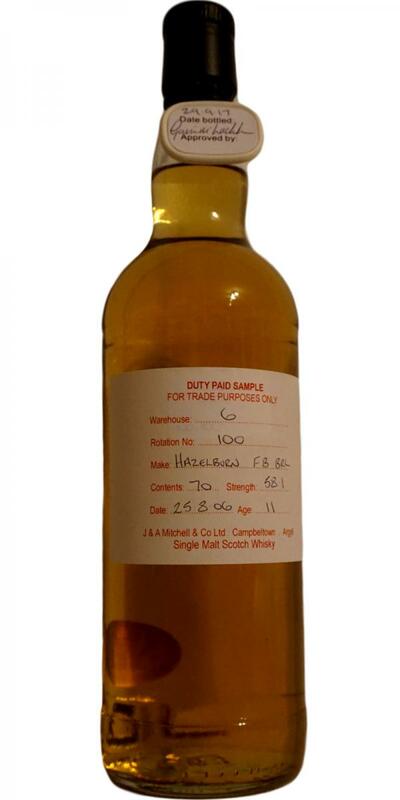 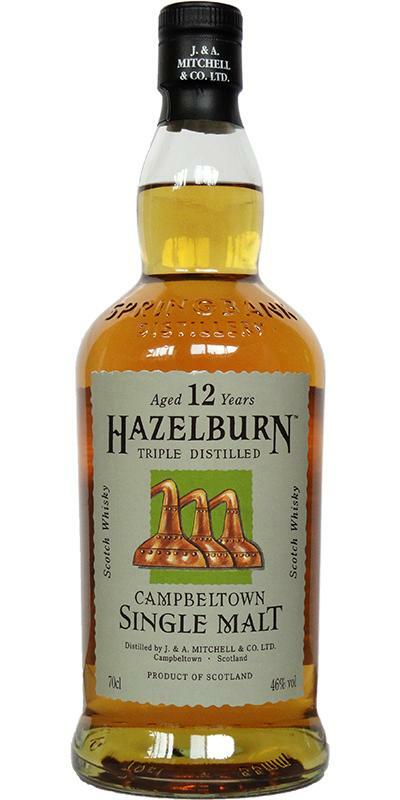 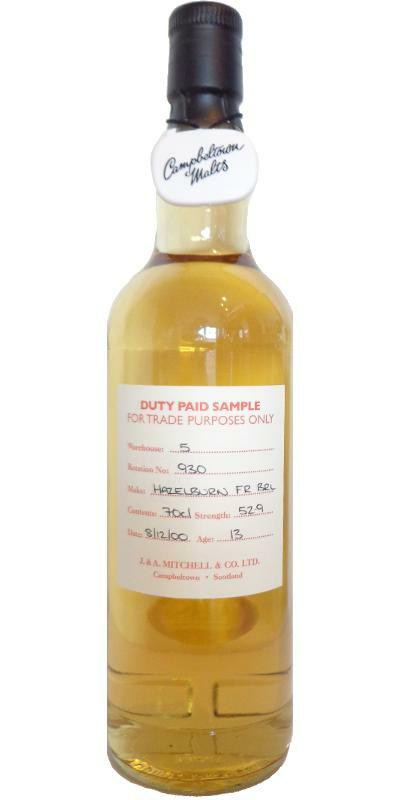 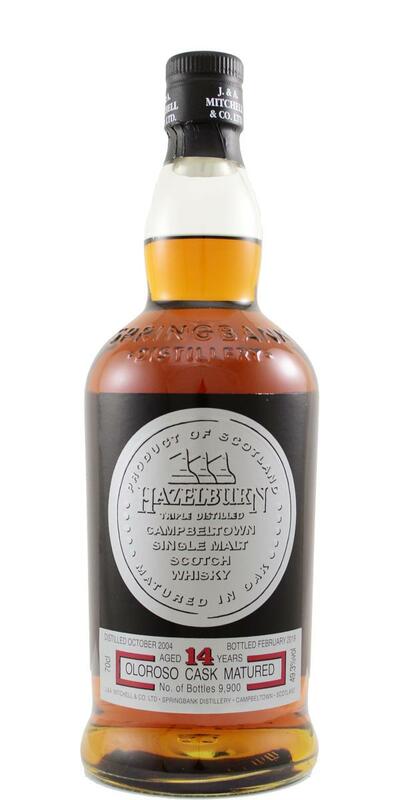 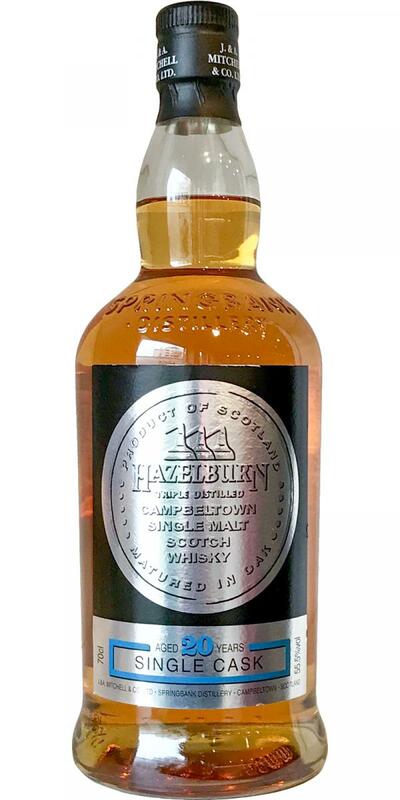 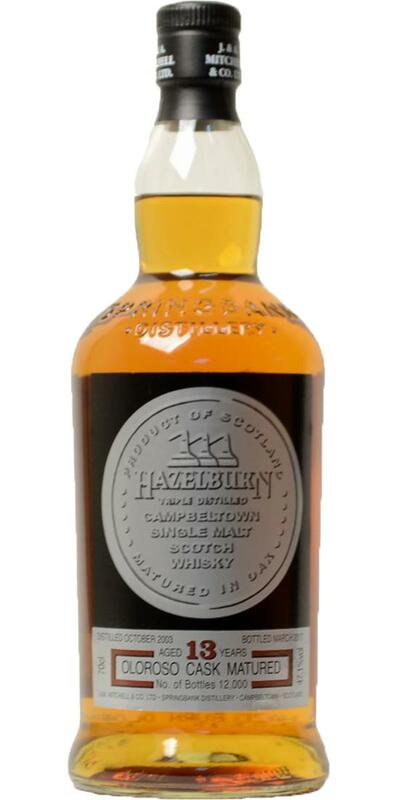 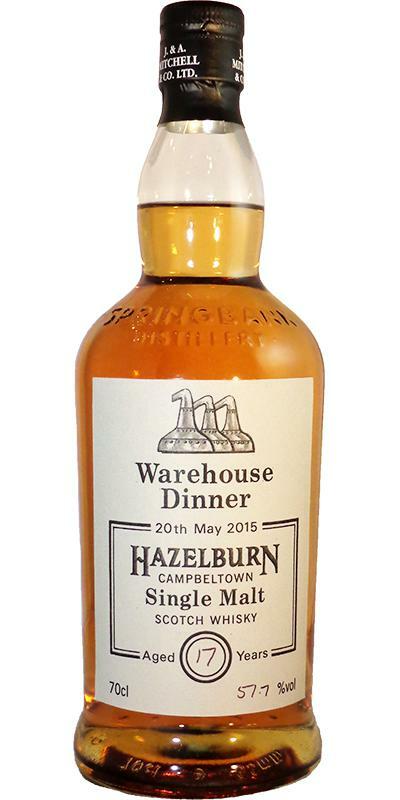 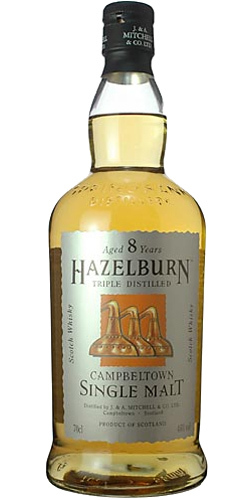 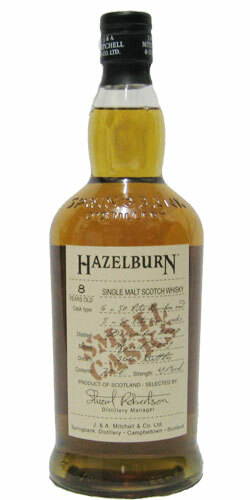 Hazelburn 1997 Private Bottling 53.8 % Vol. 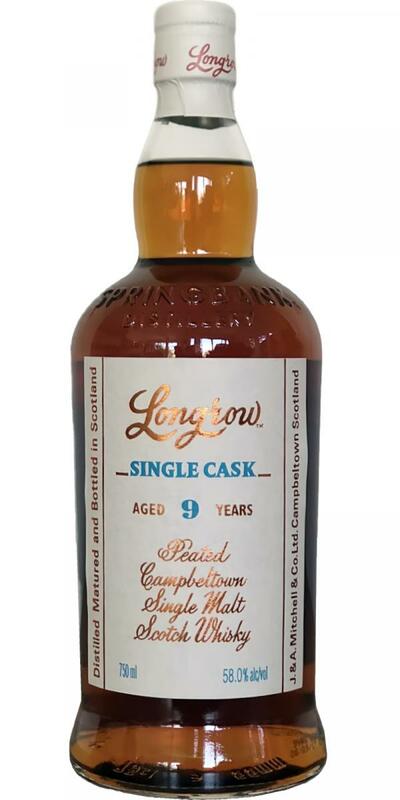 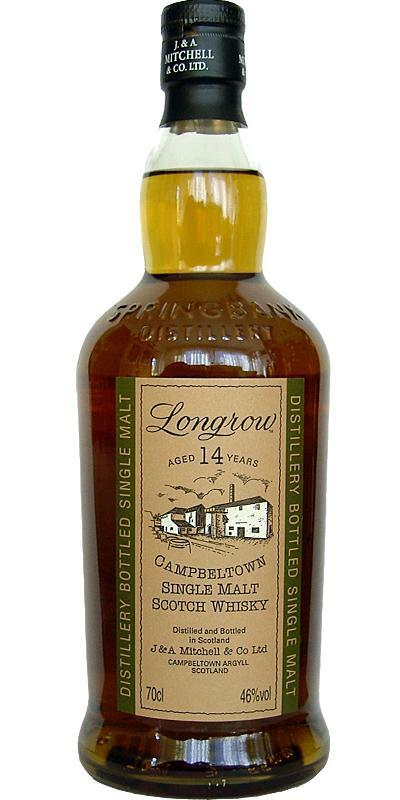 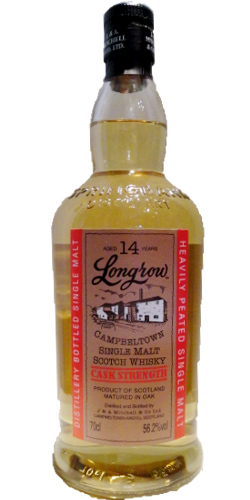 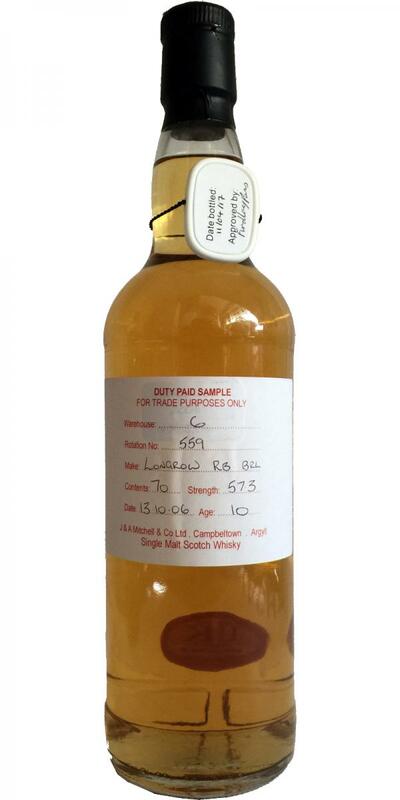 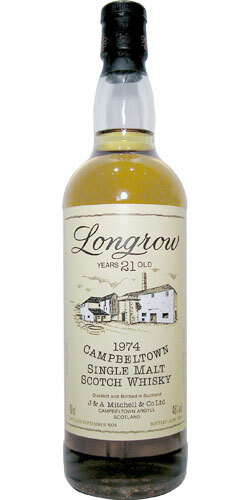 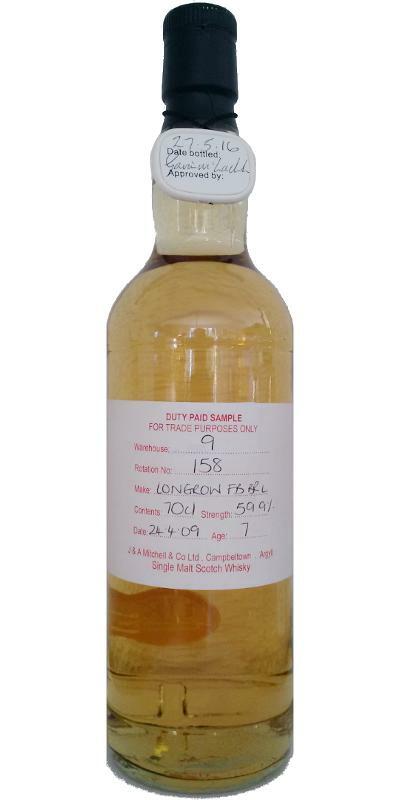 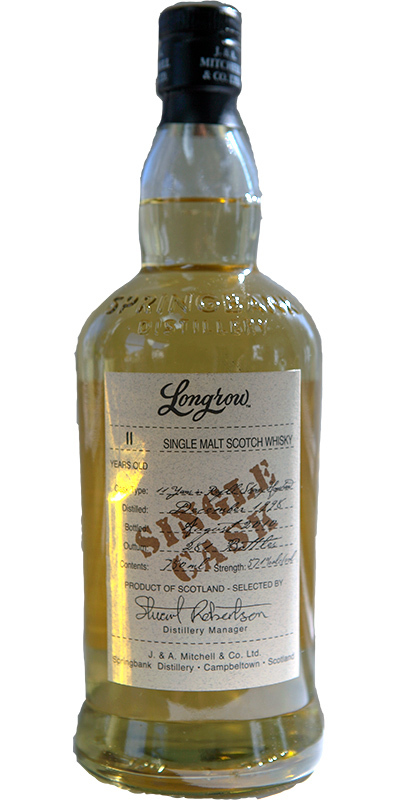 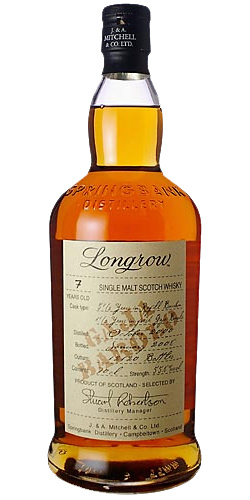 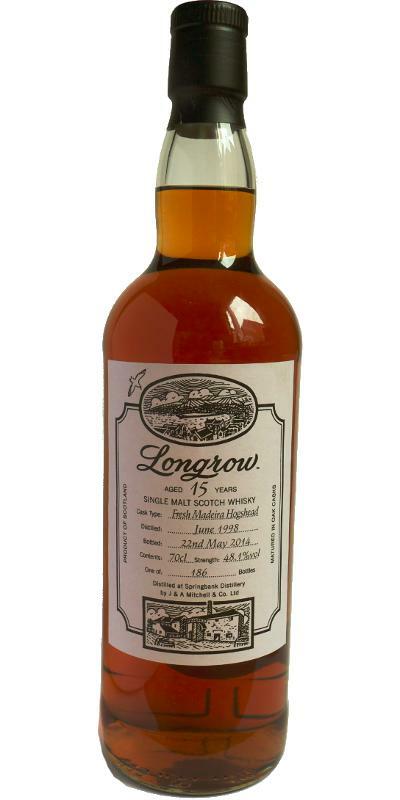 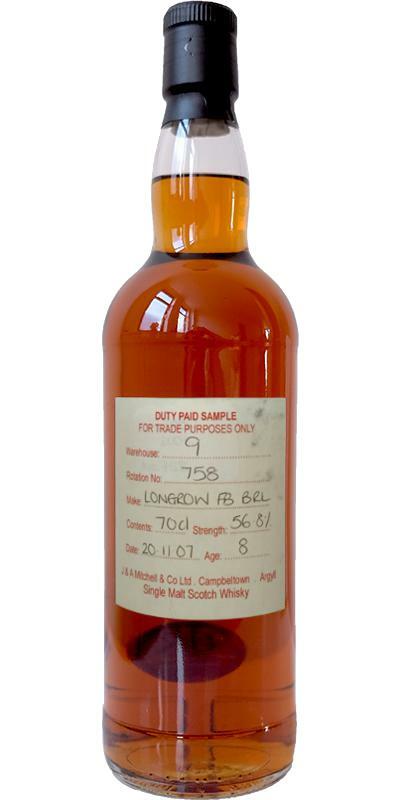 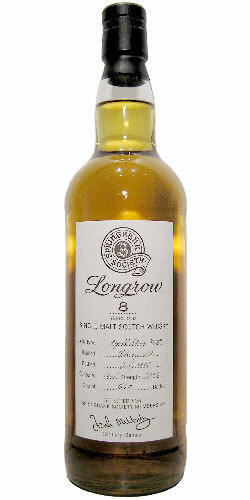 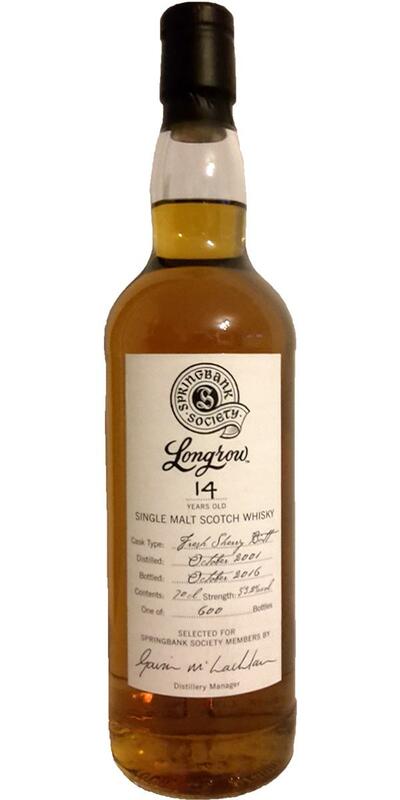 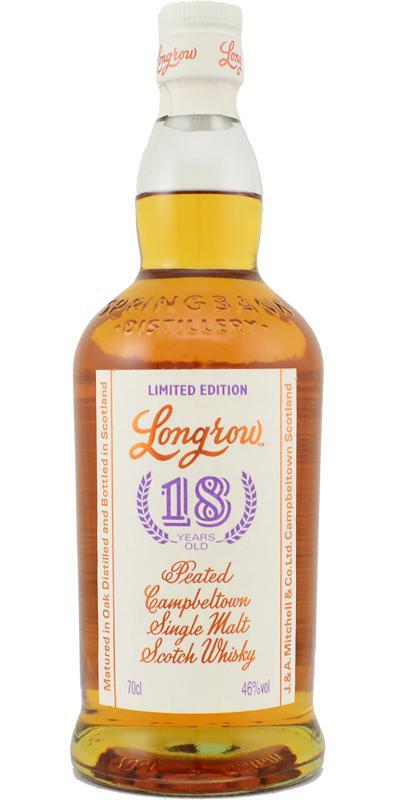 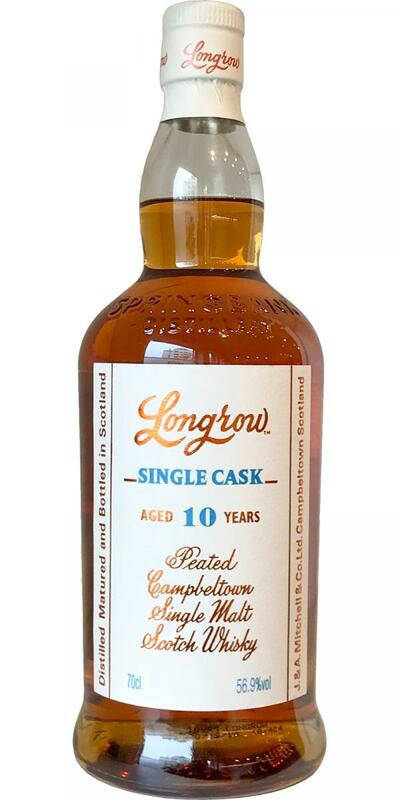 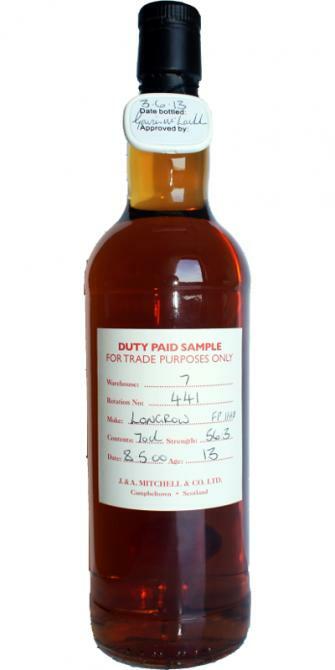 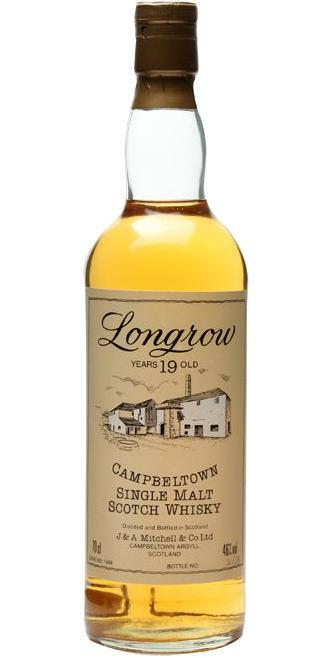 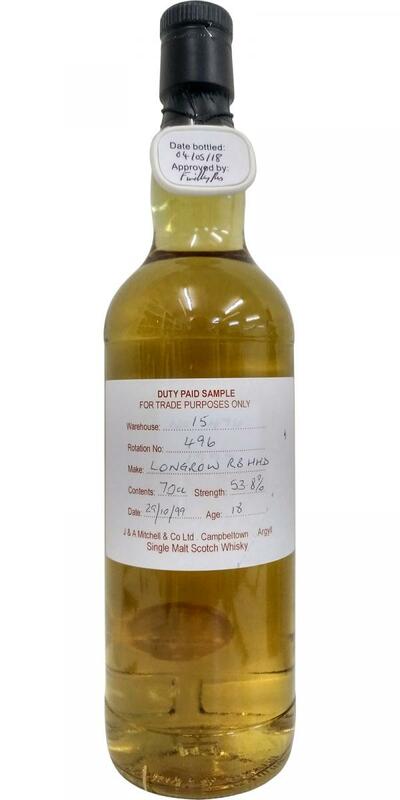 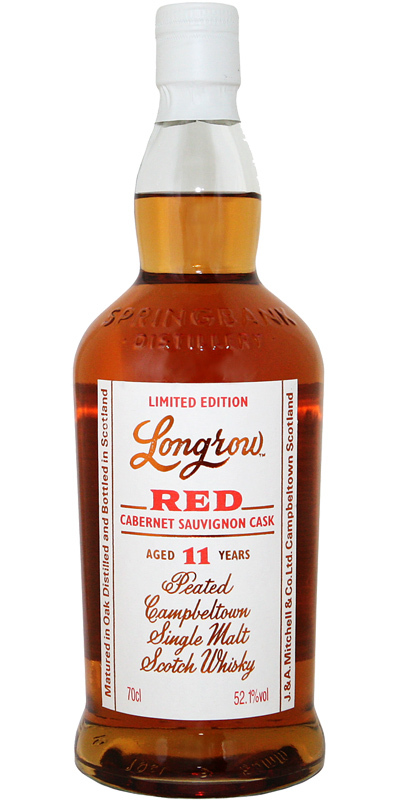 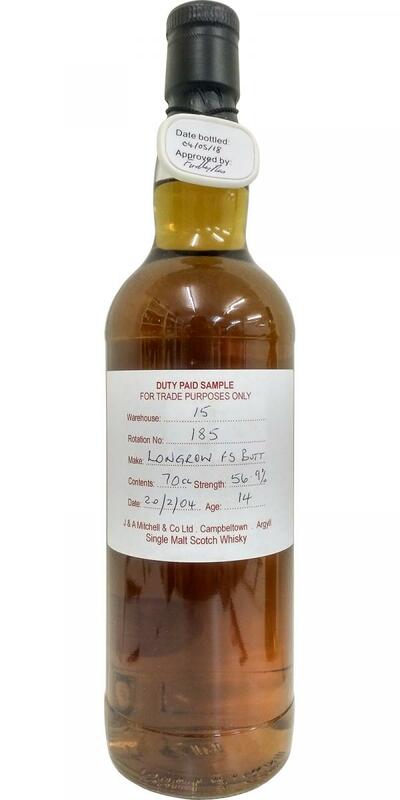 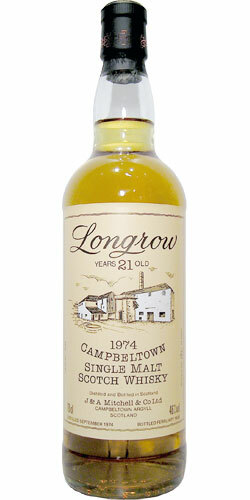 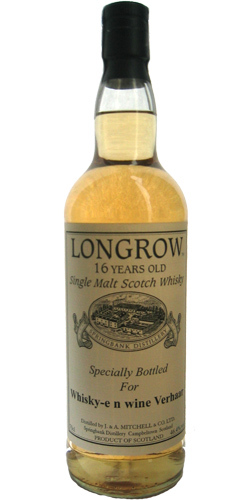 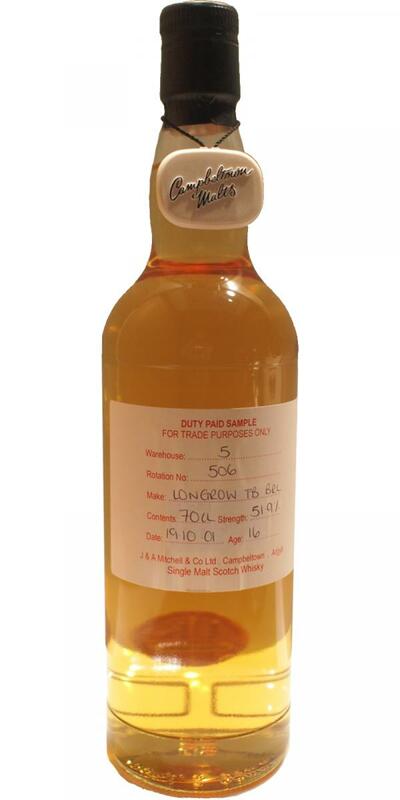 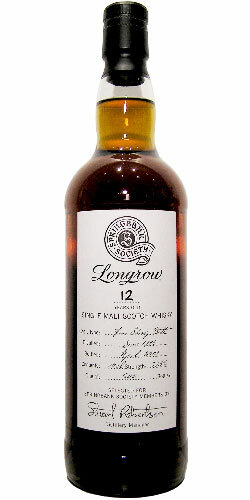 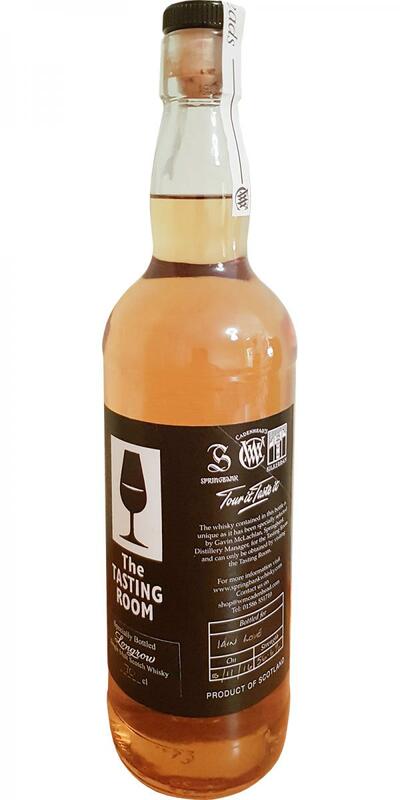 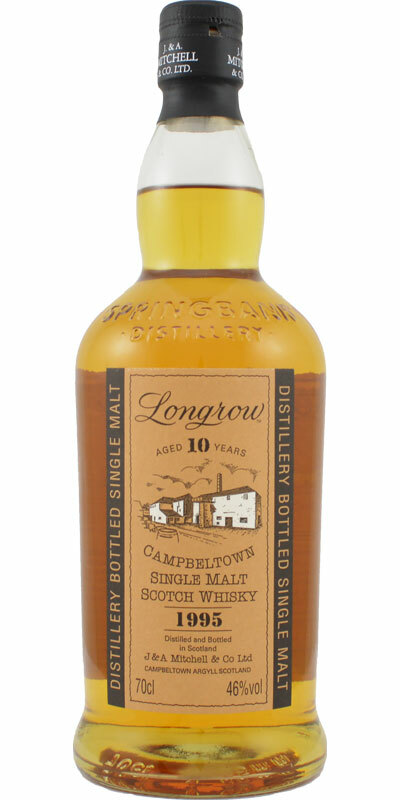 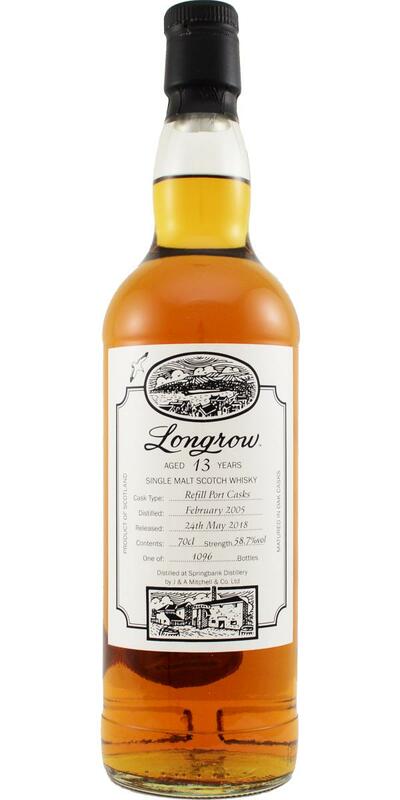 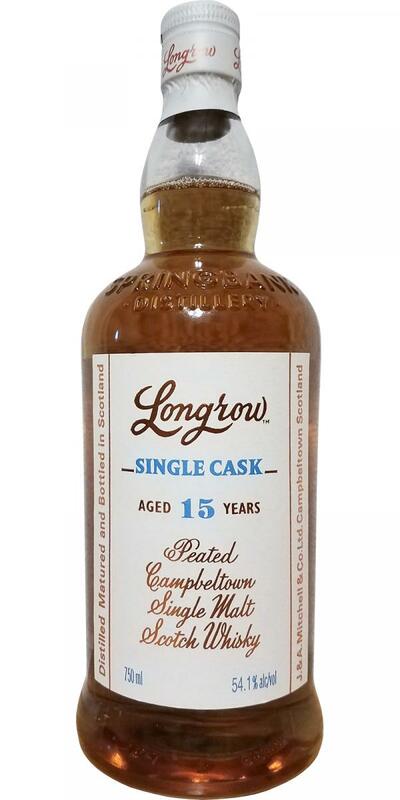 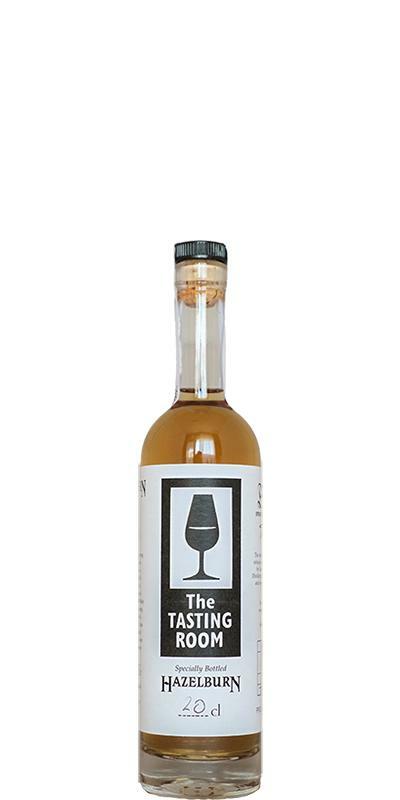 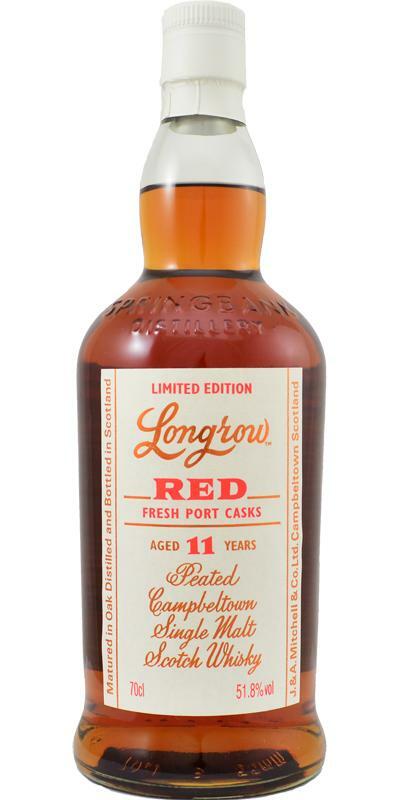 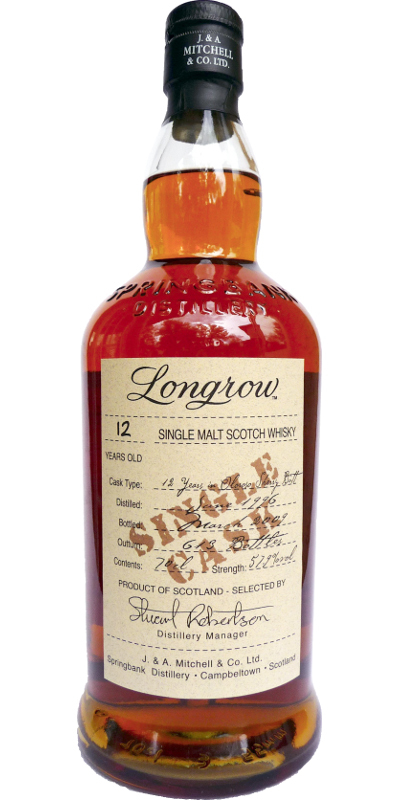 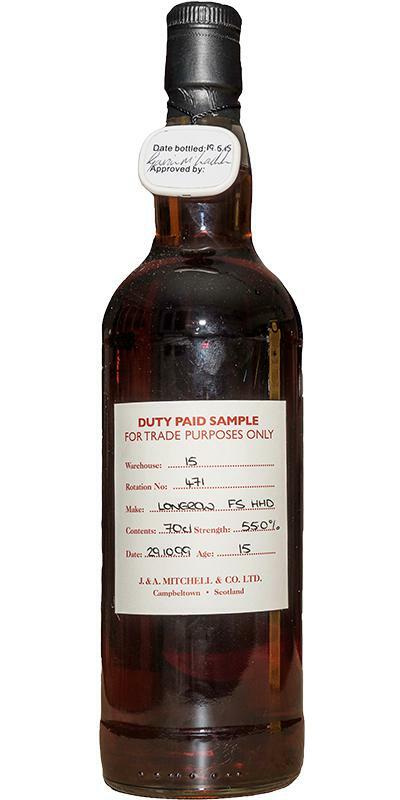 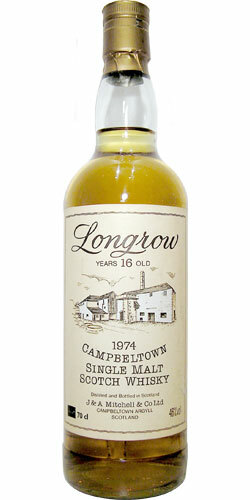 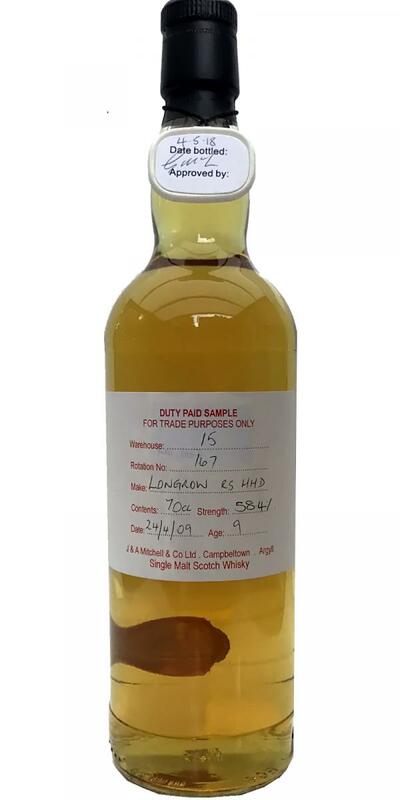 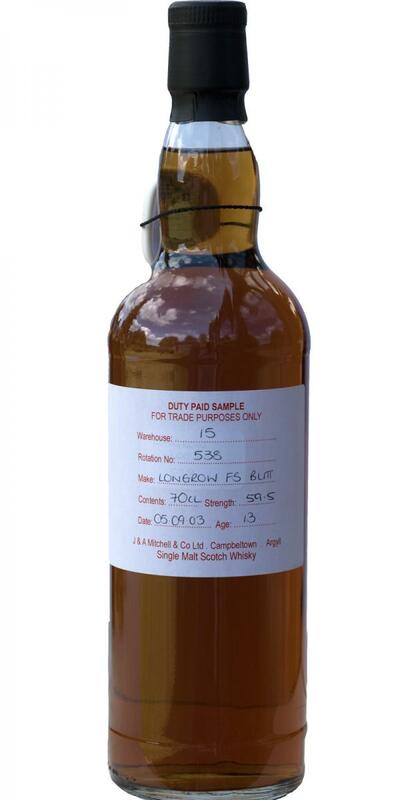 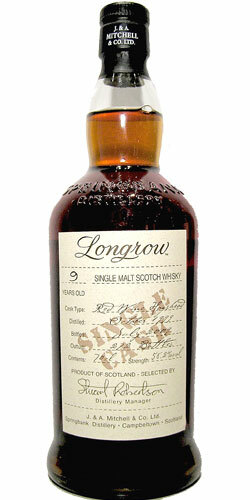 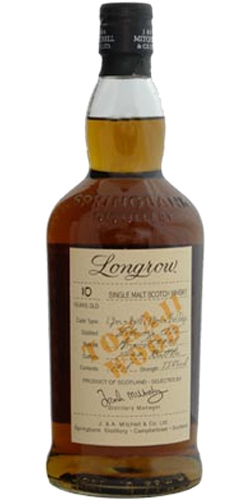 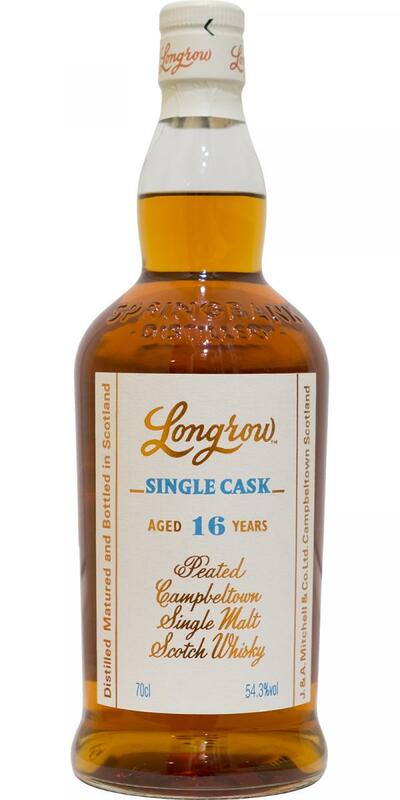 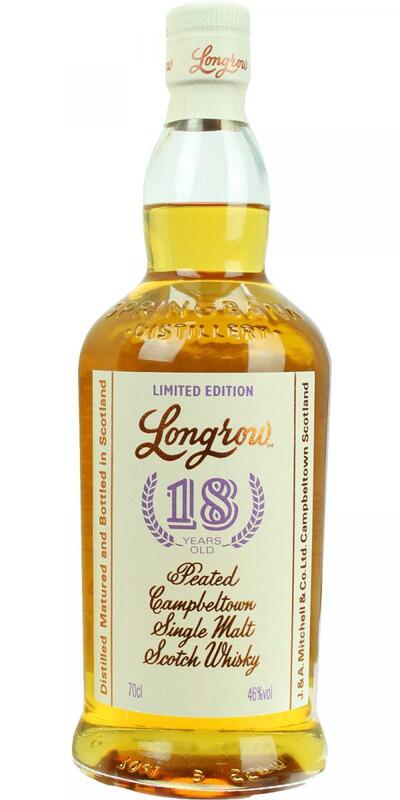 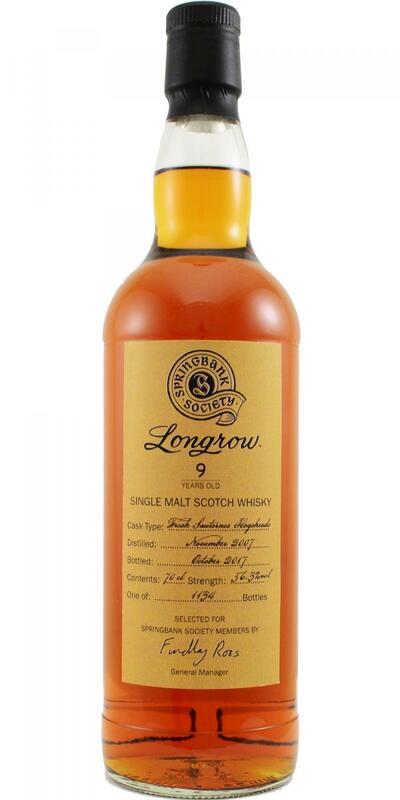 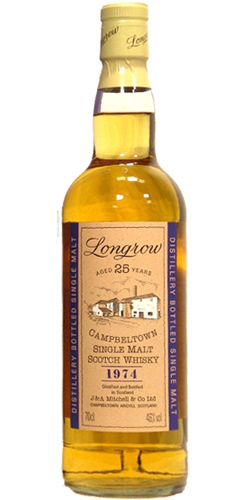 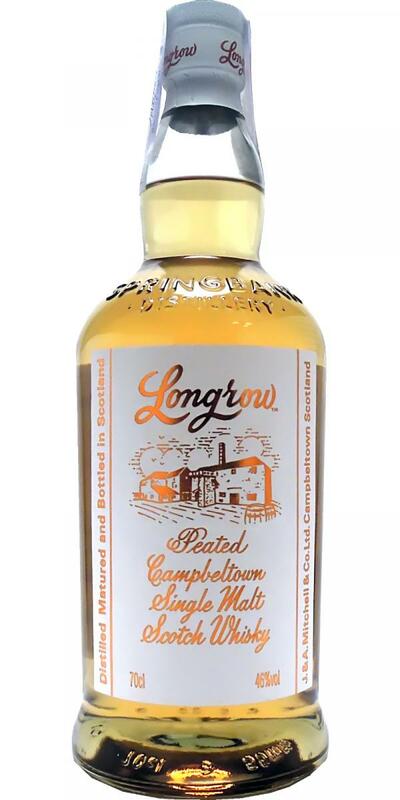 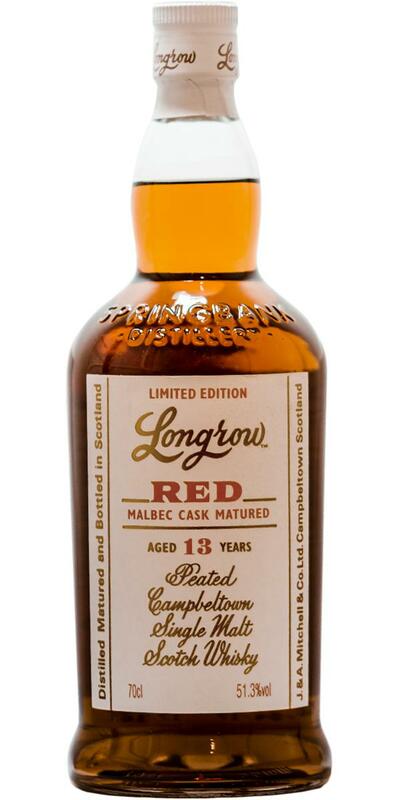 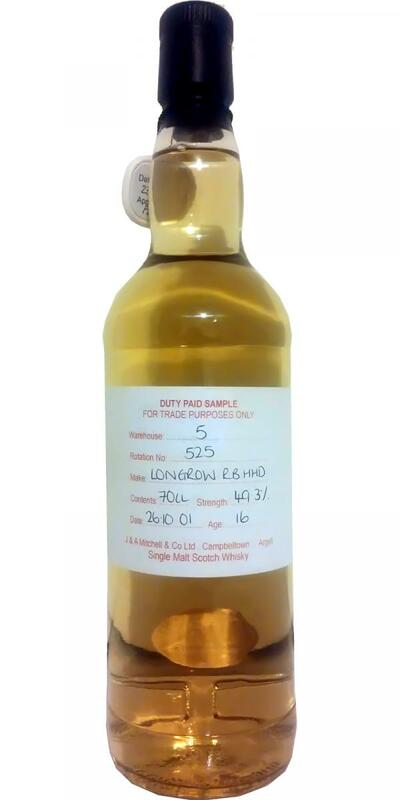 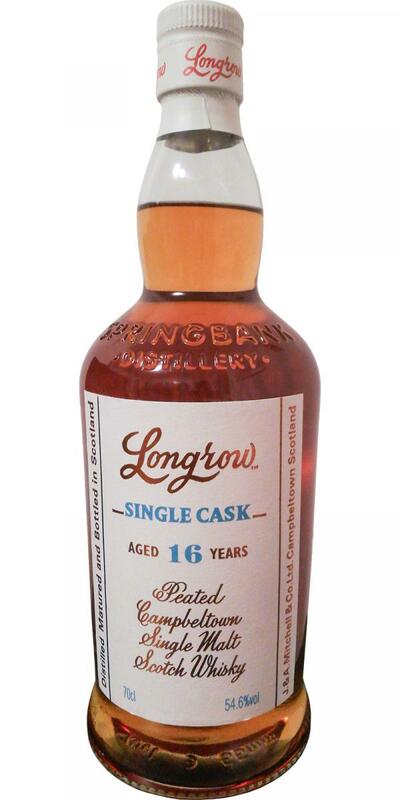 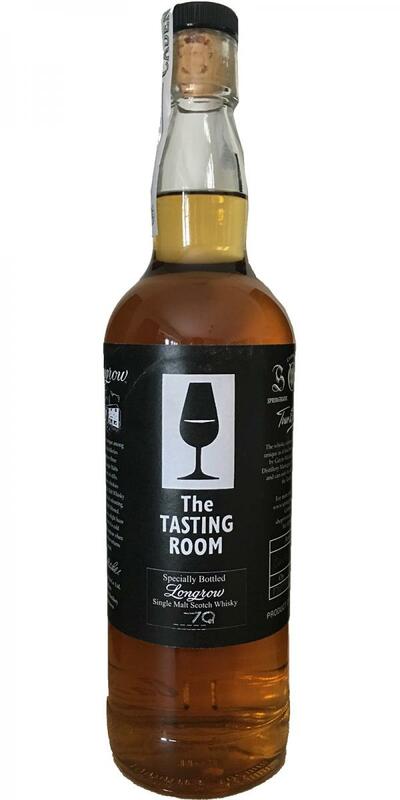 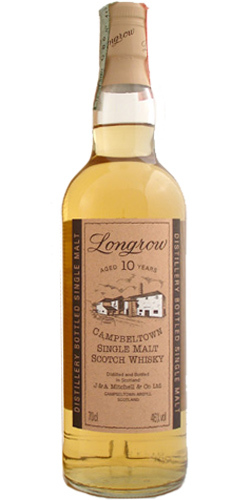 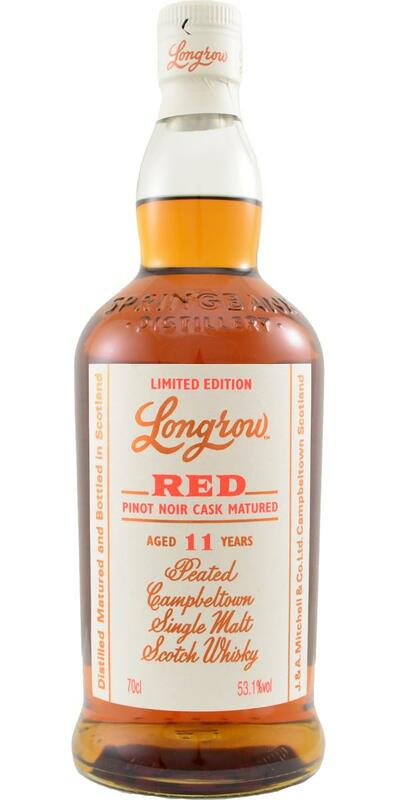 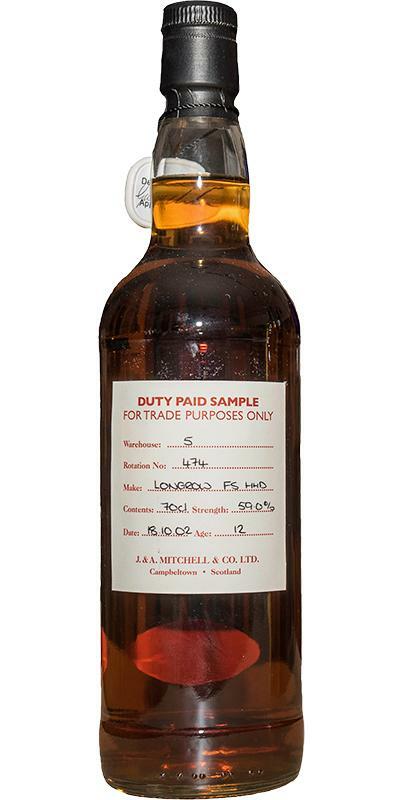 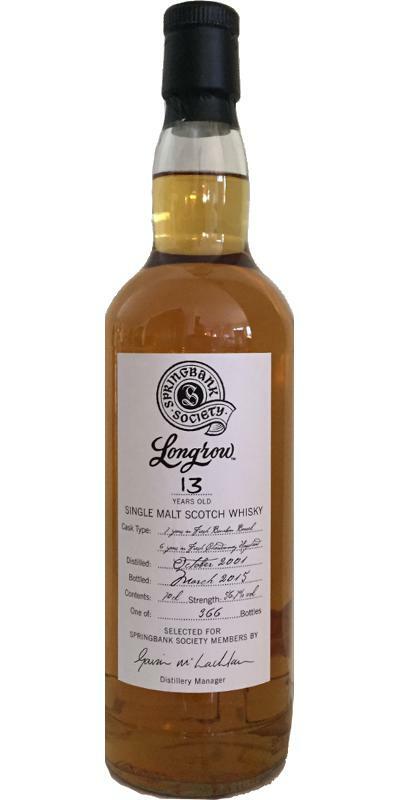 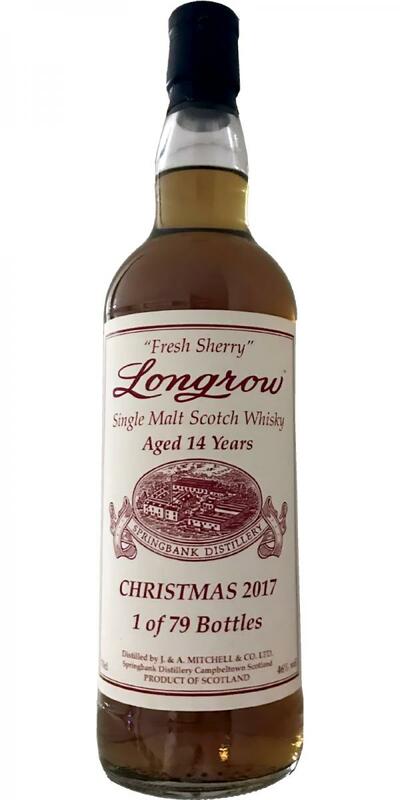 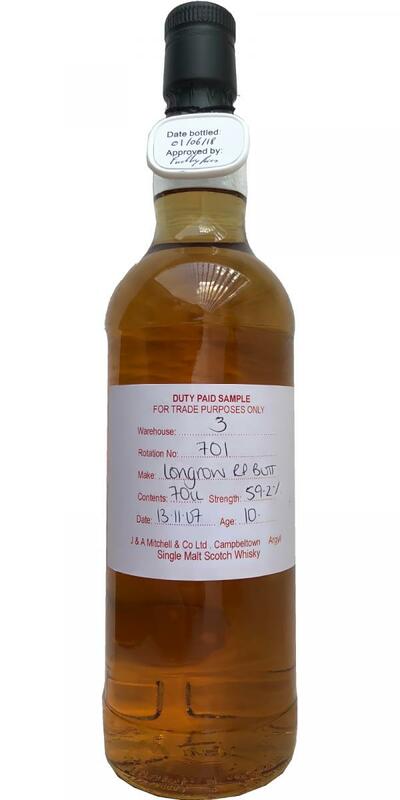 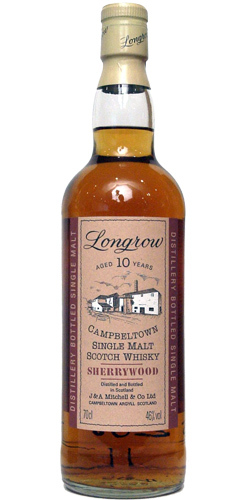 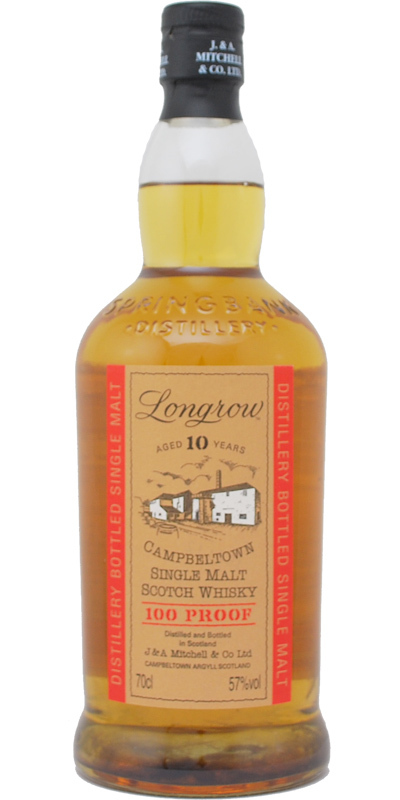 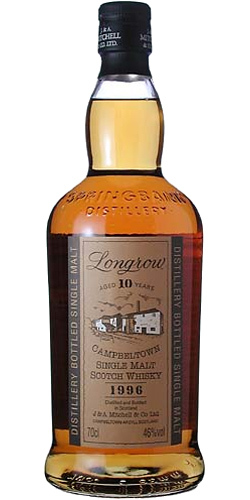 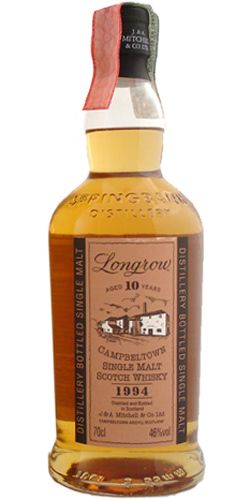 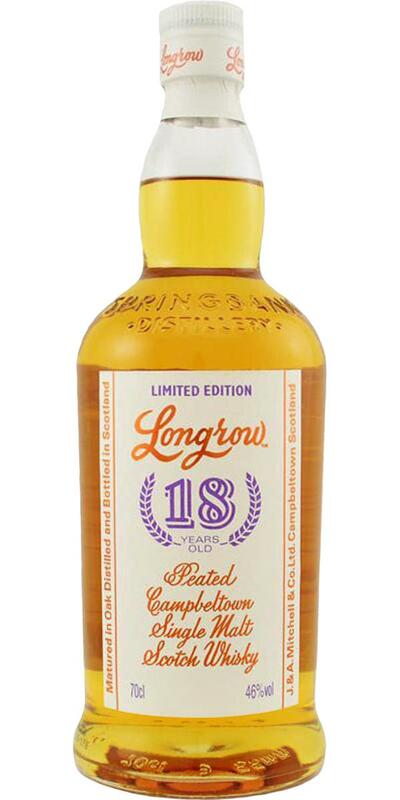 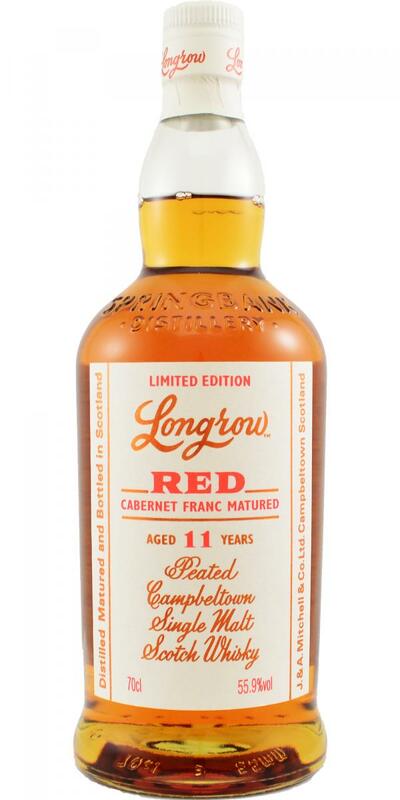 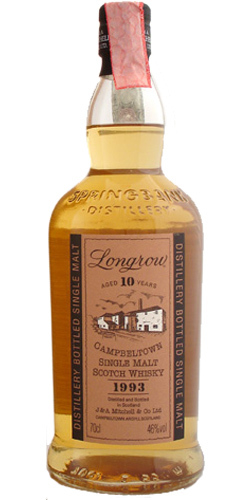 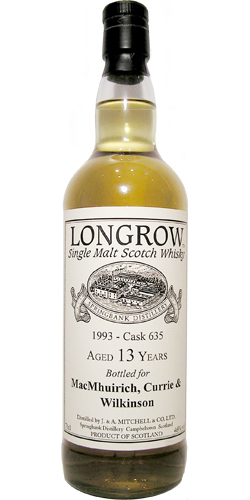 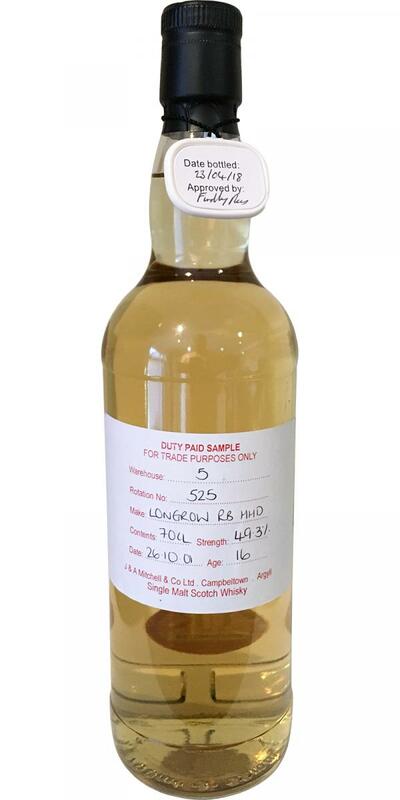 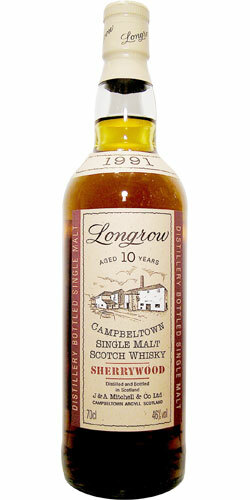 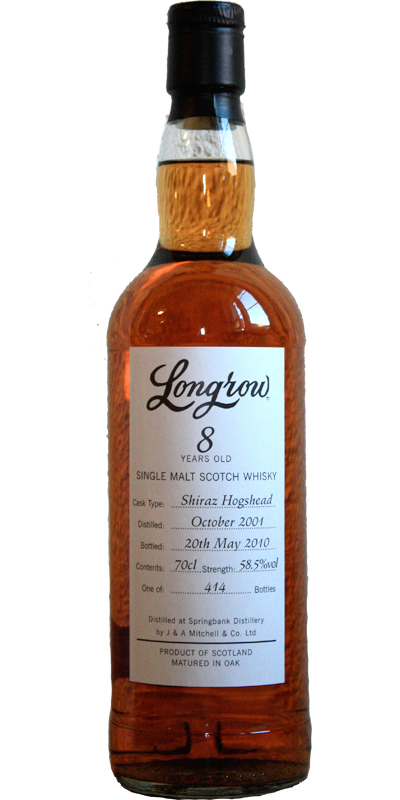 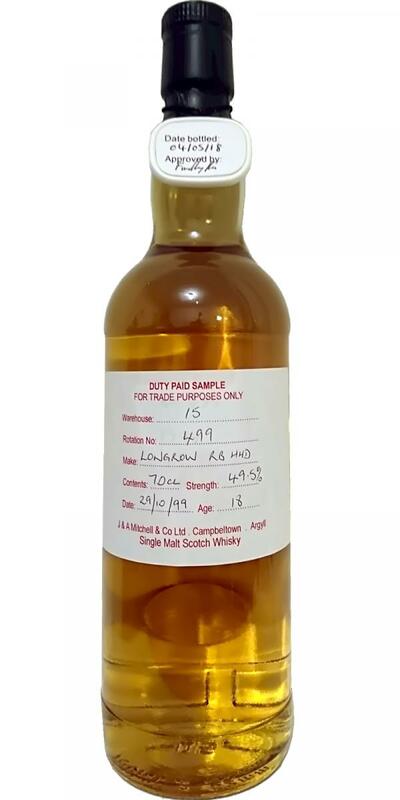 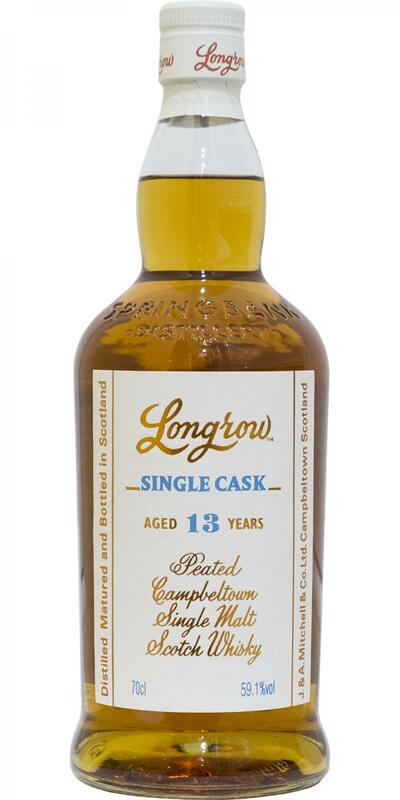 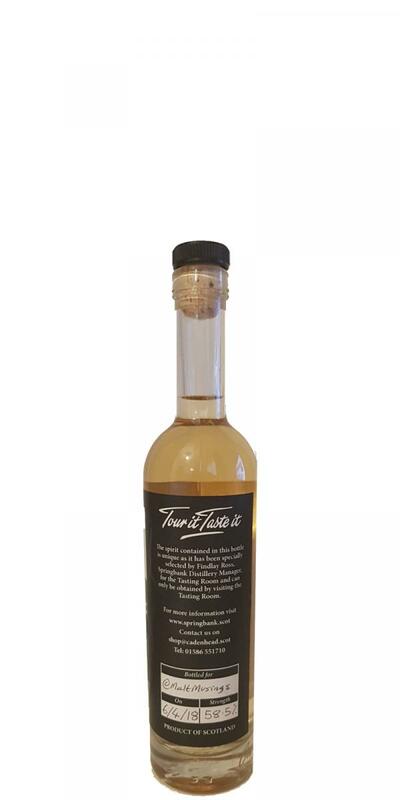 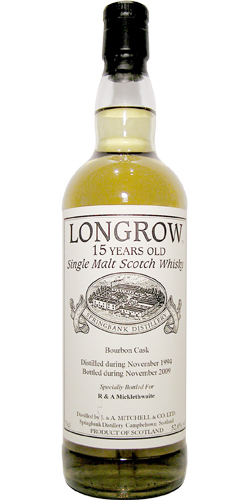 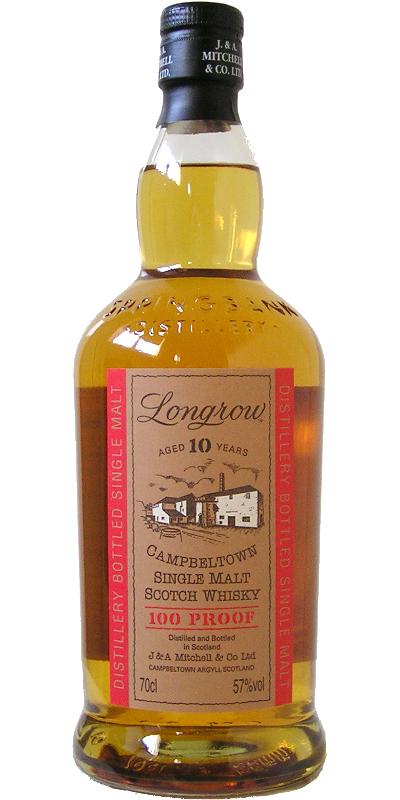 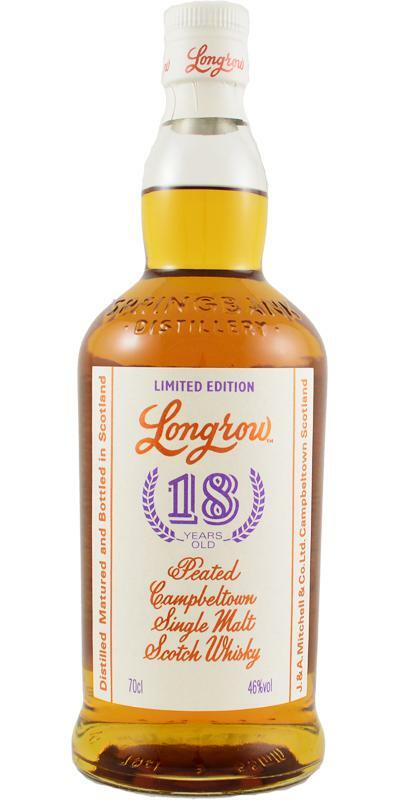 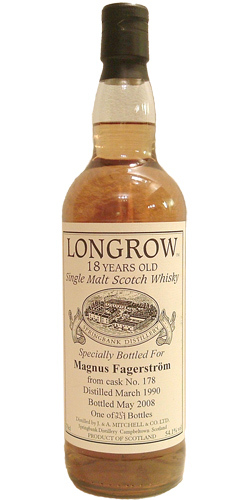 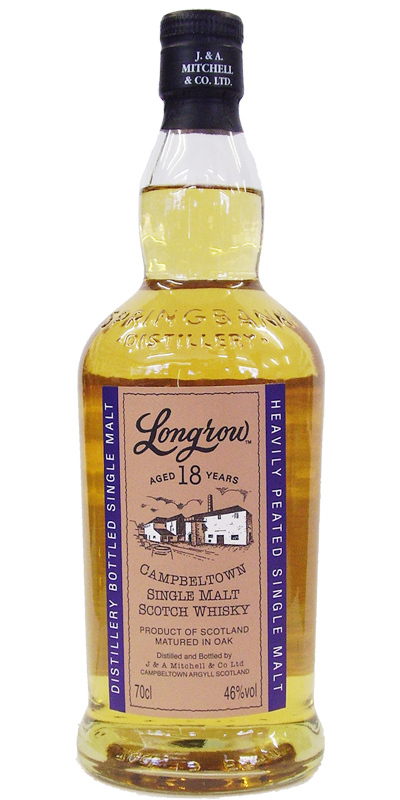 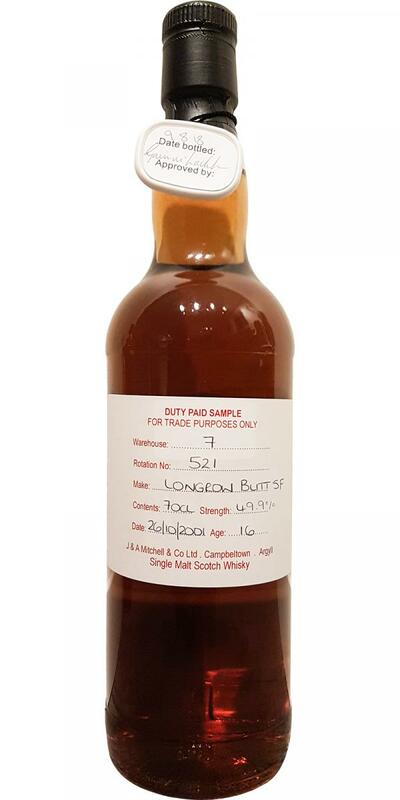 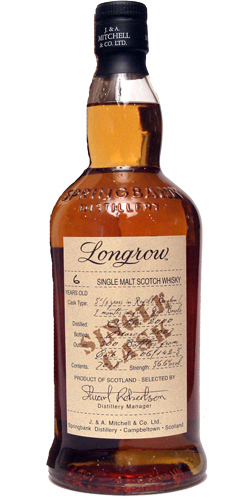 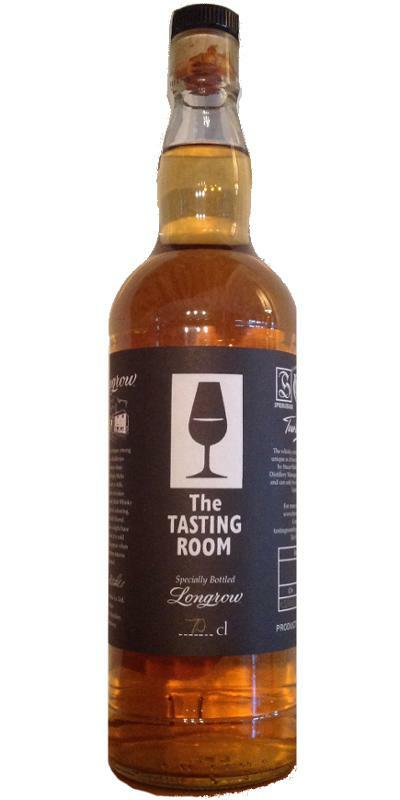 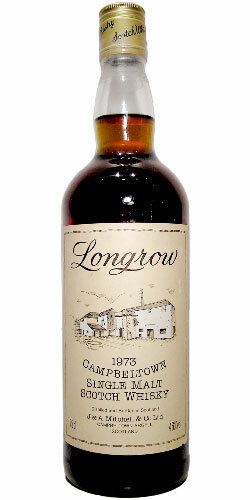 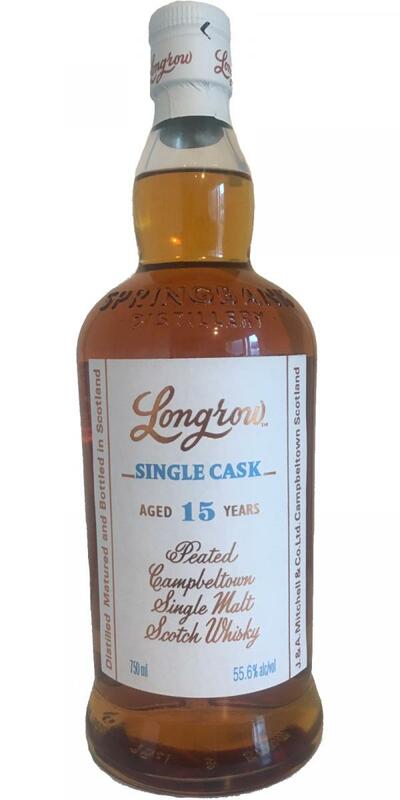 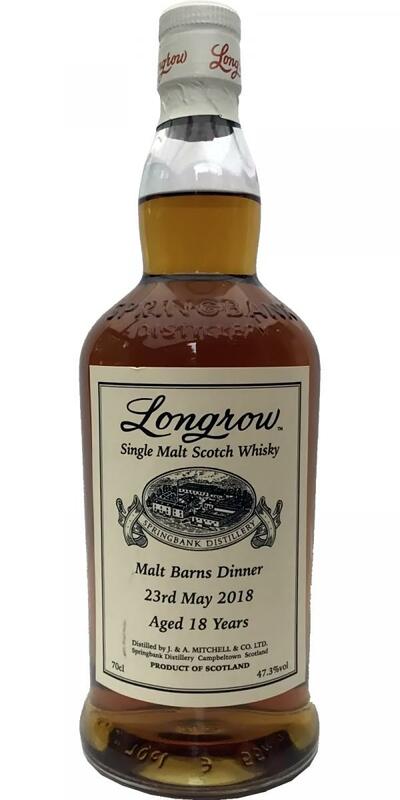 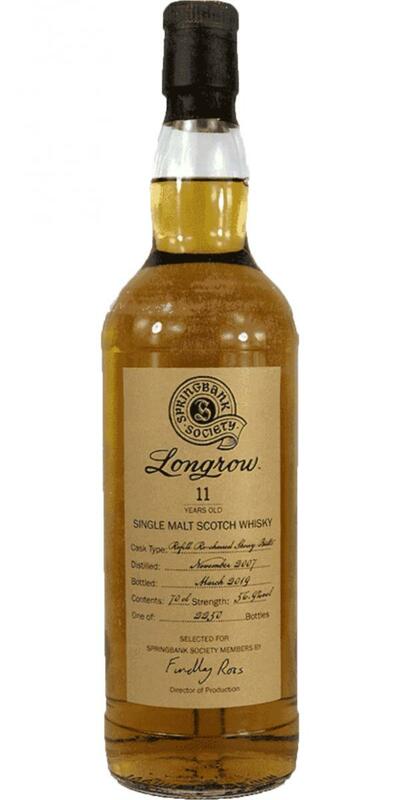 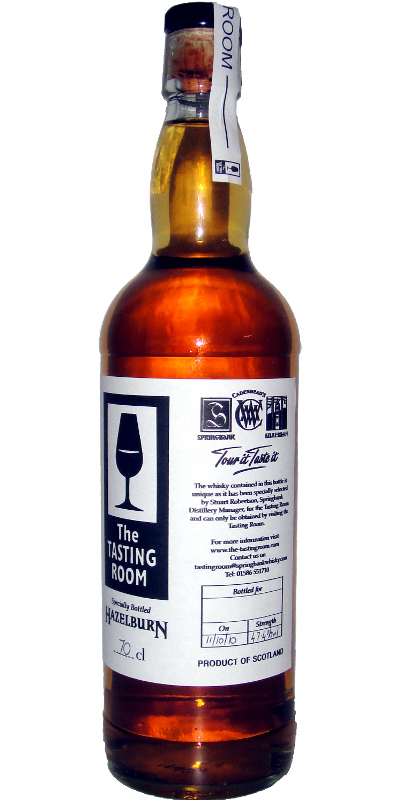 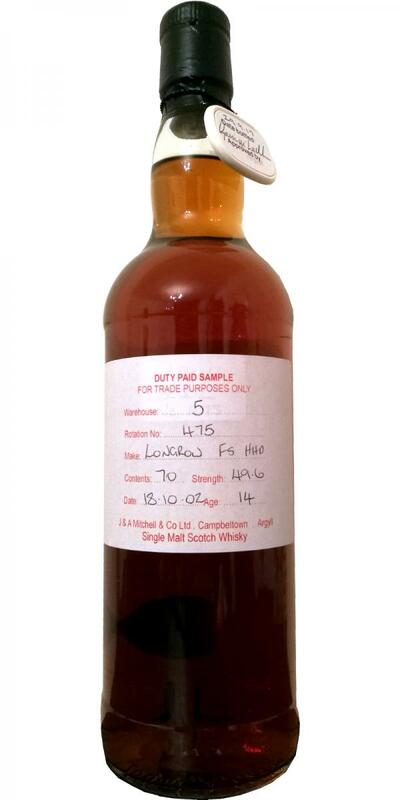 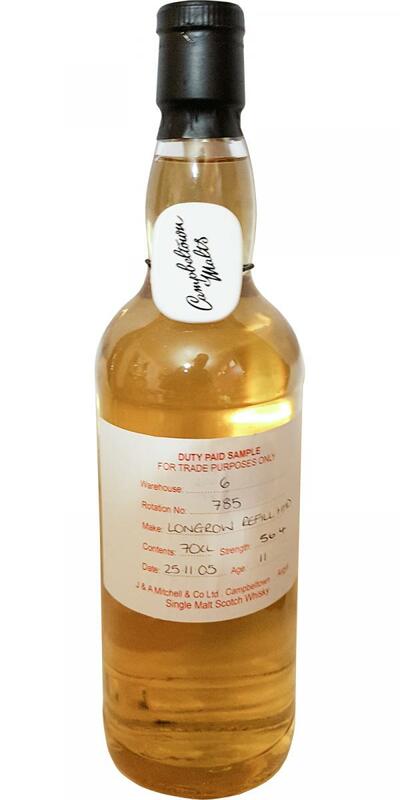 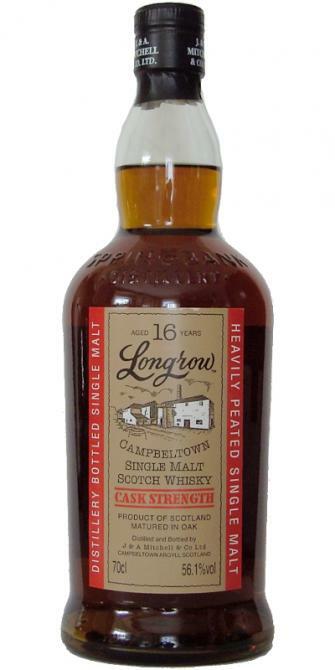 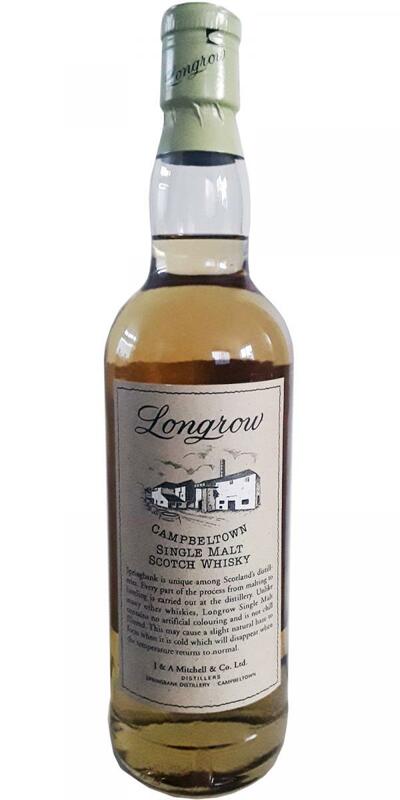 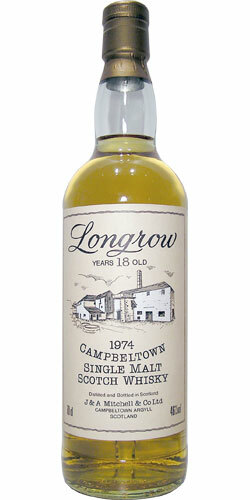 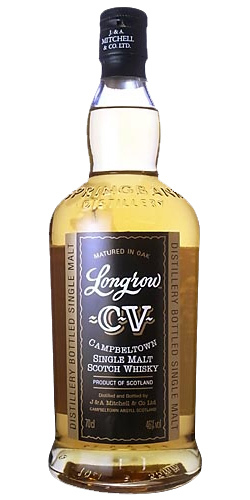 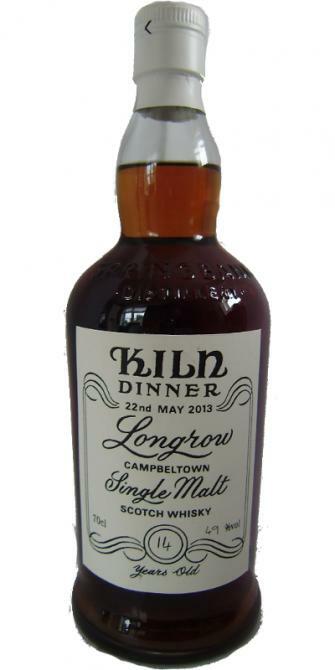 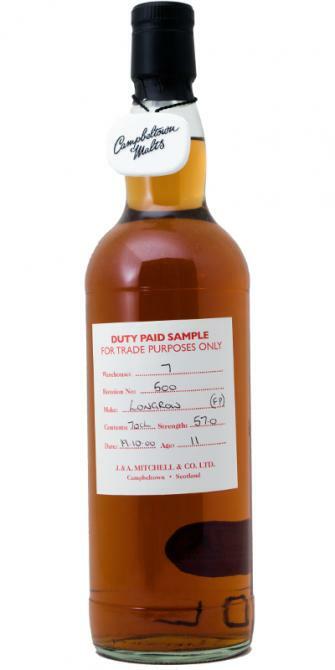 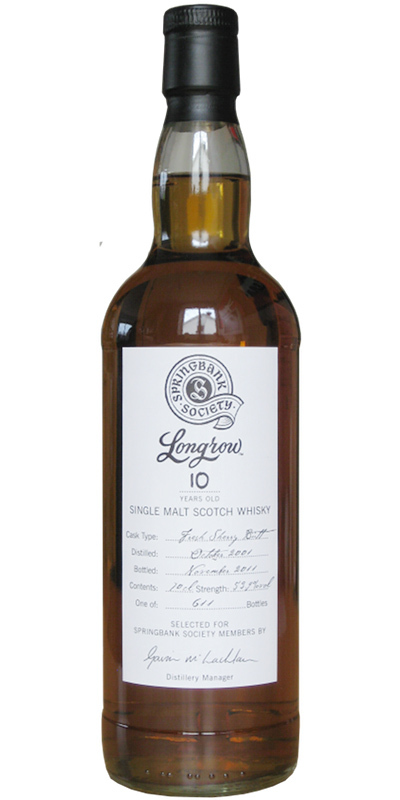 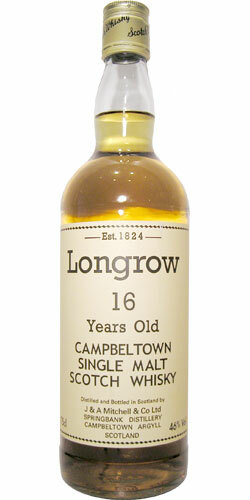 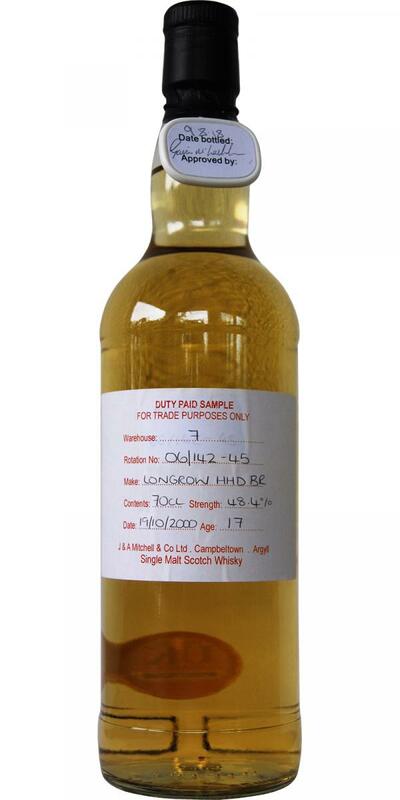 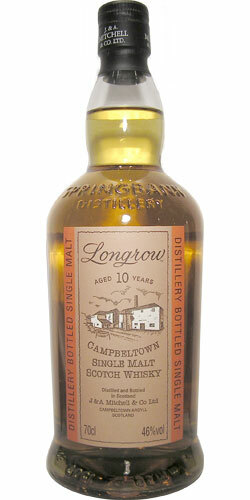 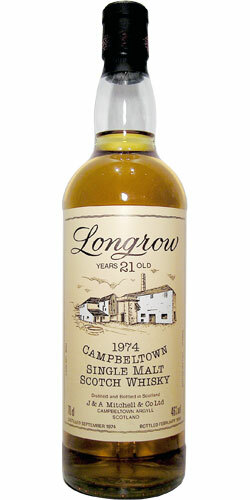 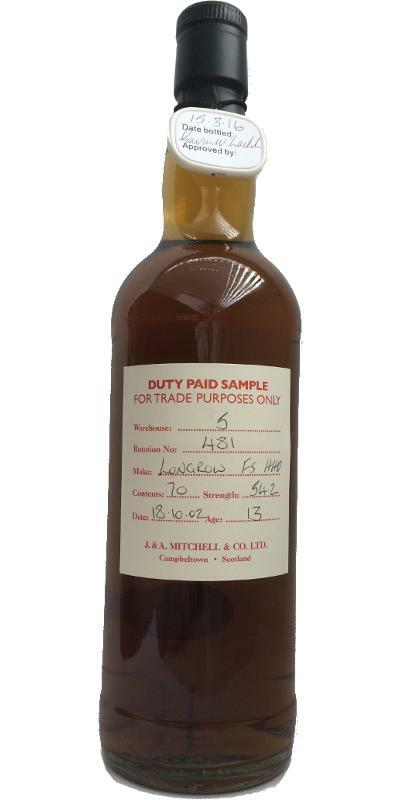 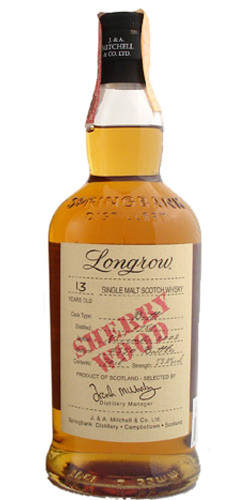 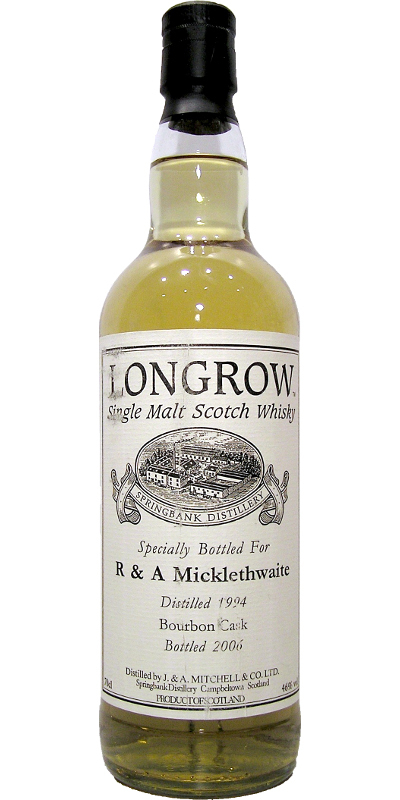 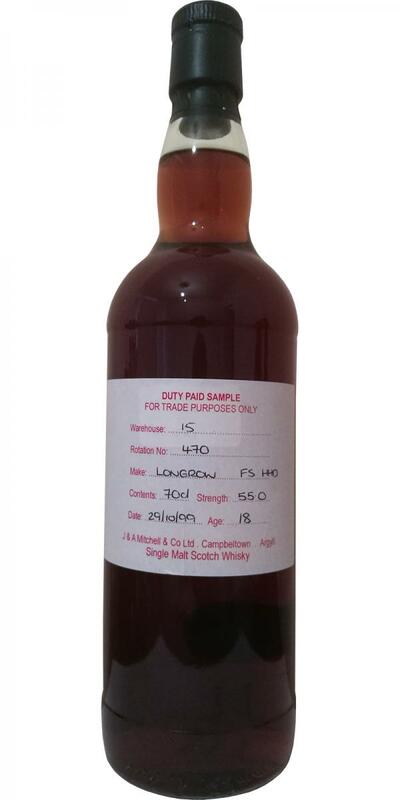 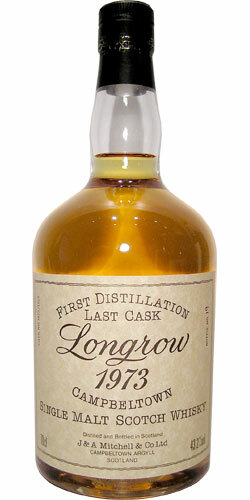 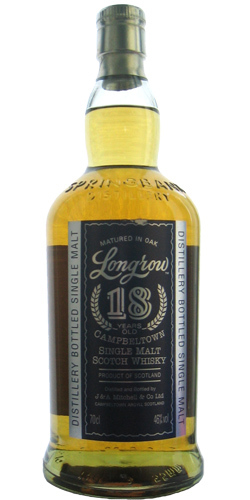 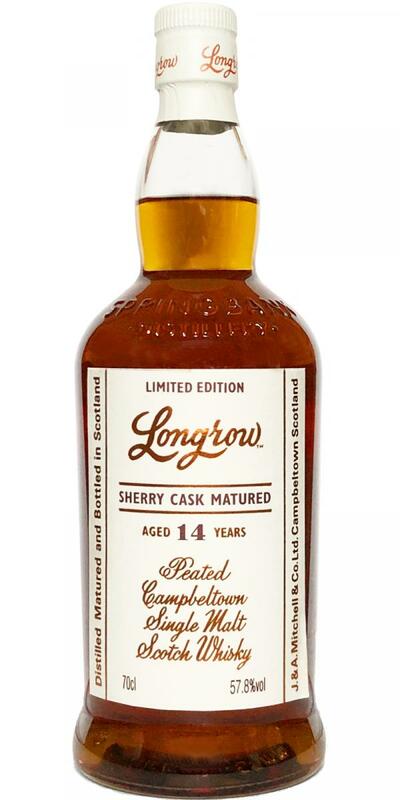 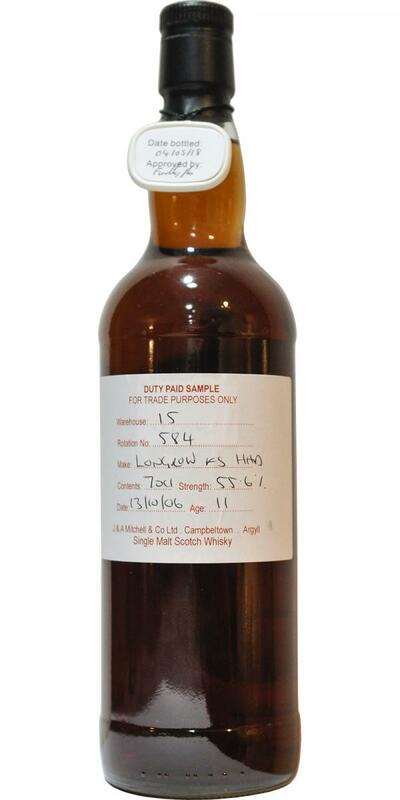 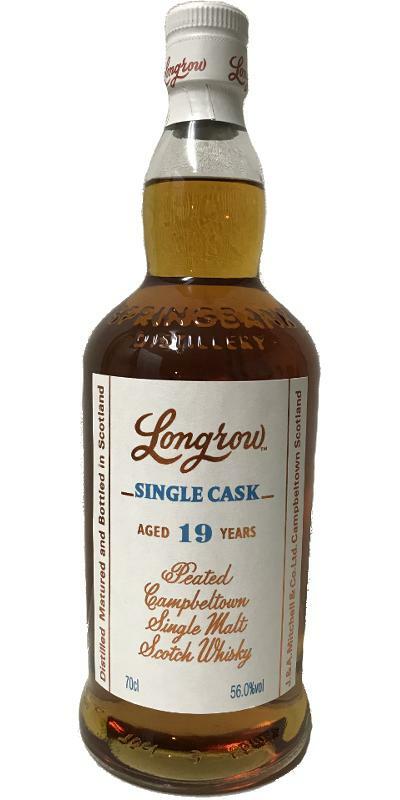 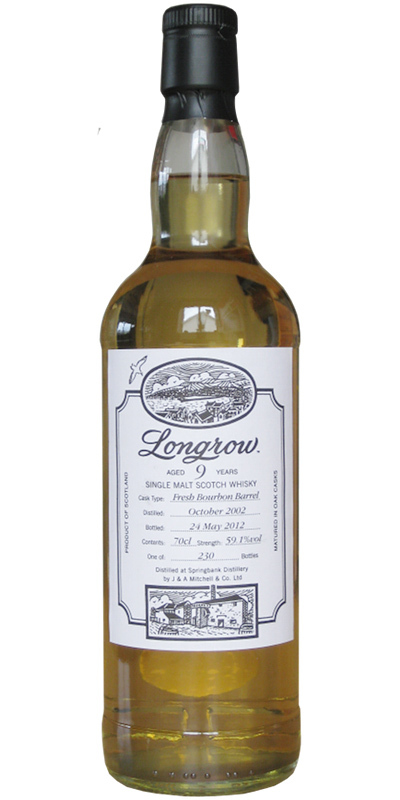 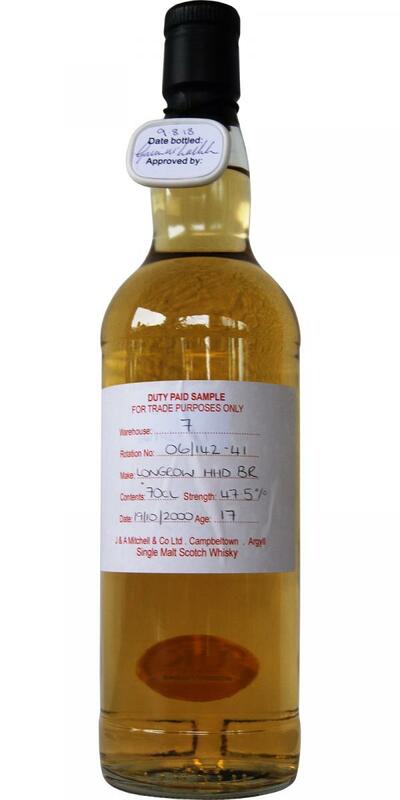 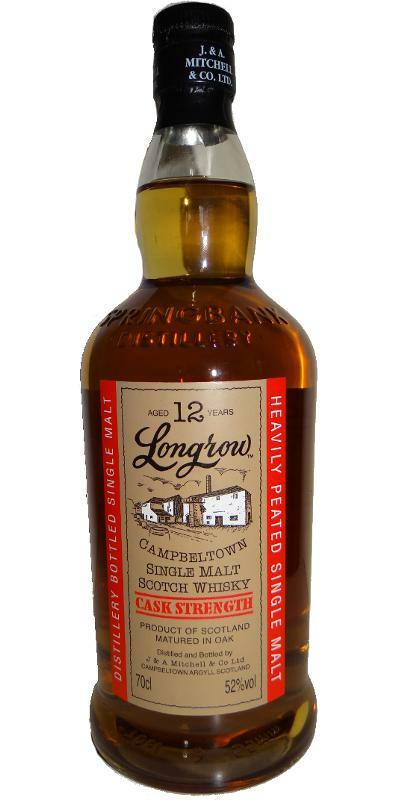 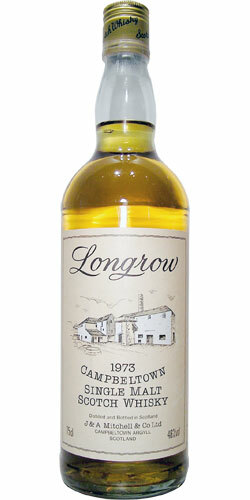 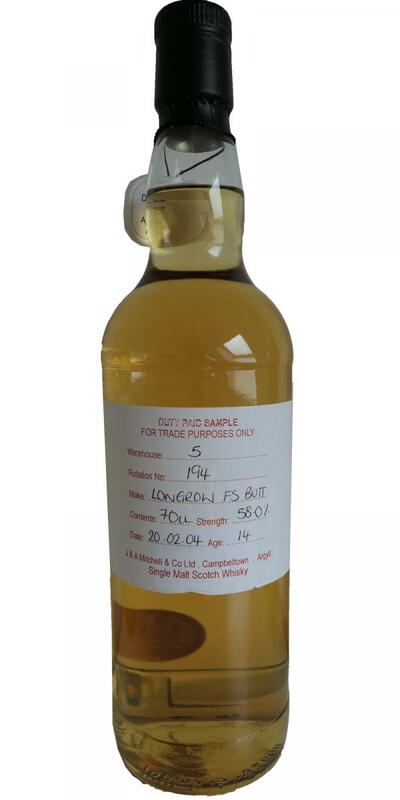 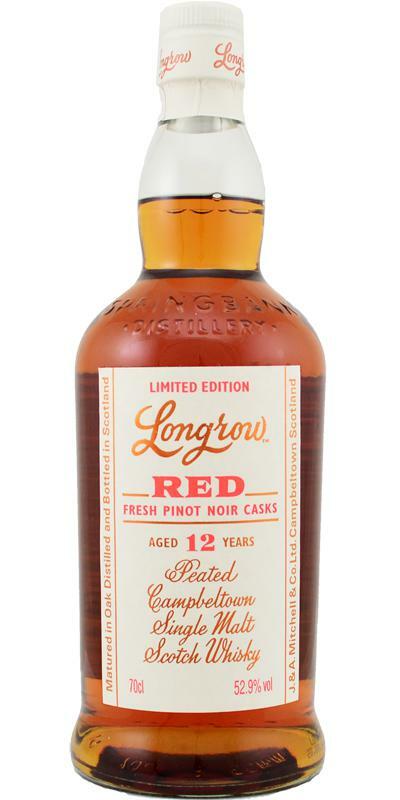 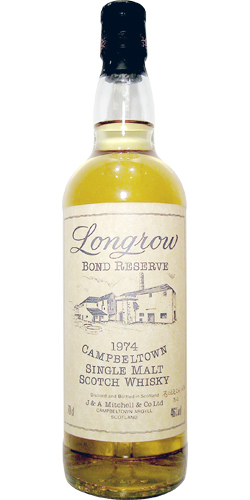 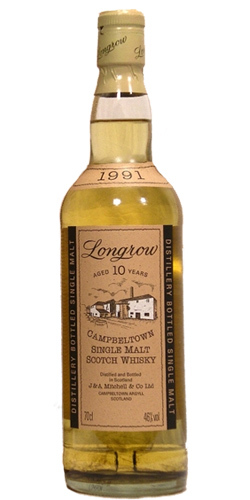 Longrow 16-year-old for Whisky en Wine Verhaar 16 46.4 % Vol. 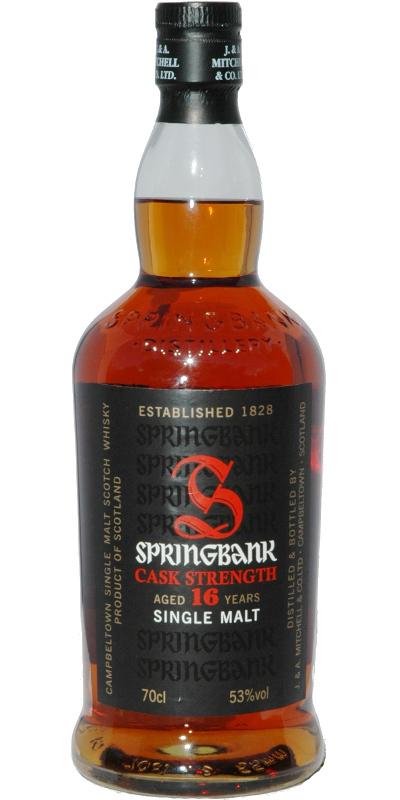 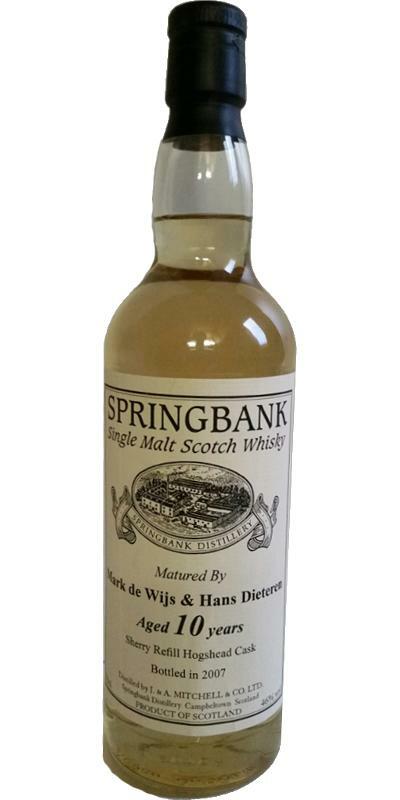 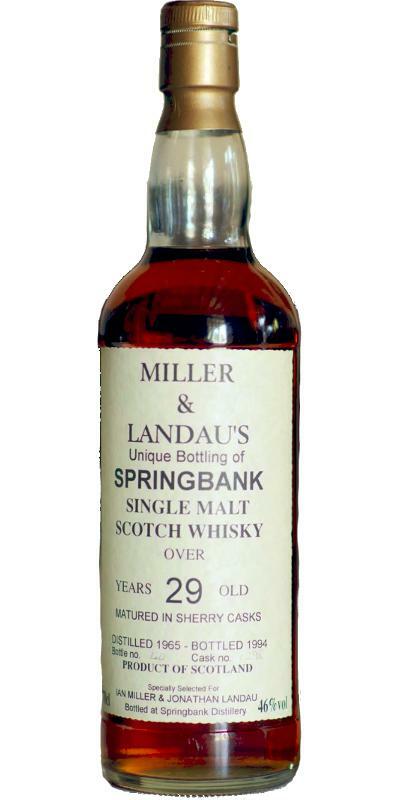 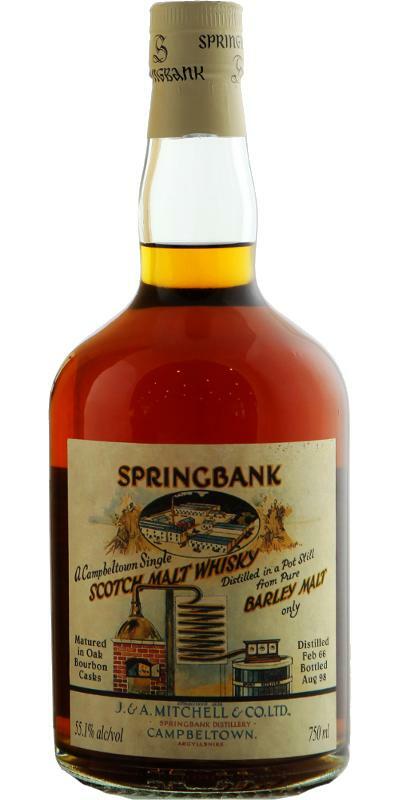 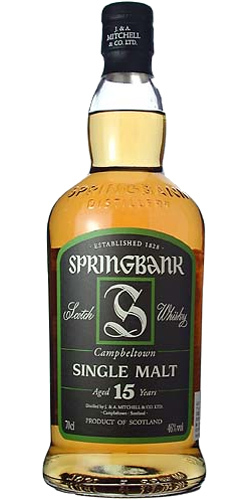 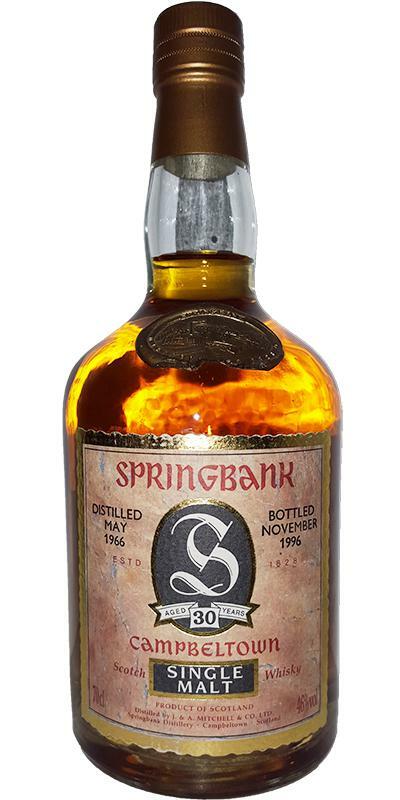 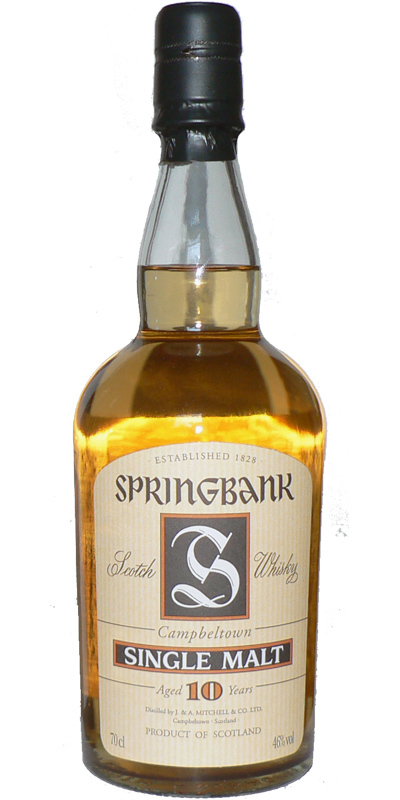 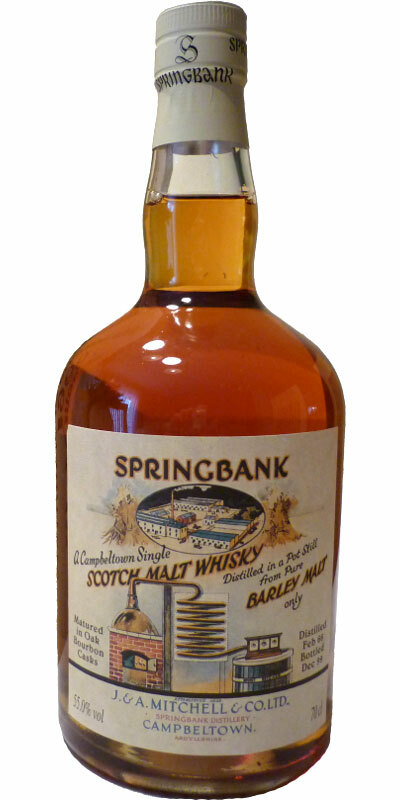 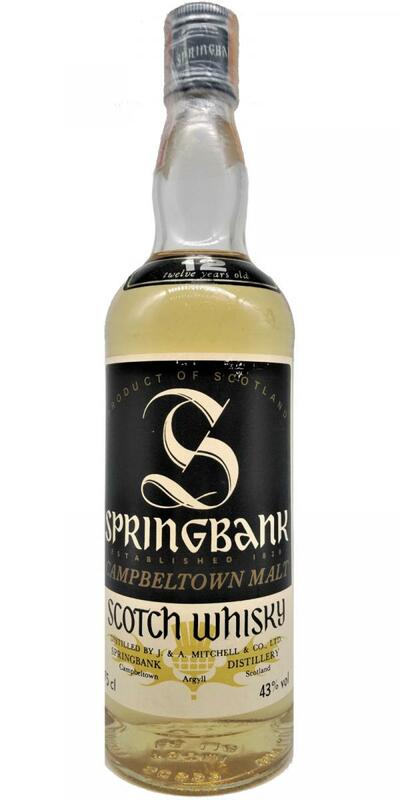 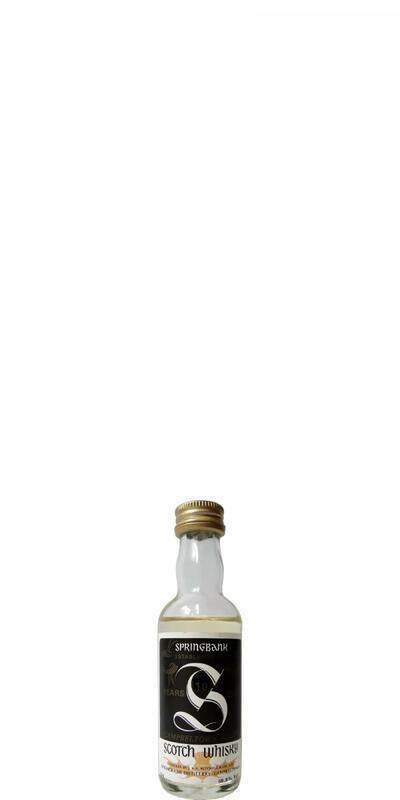 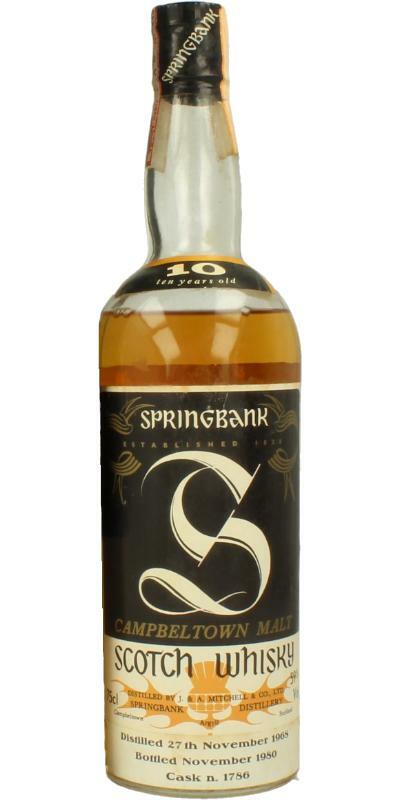 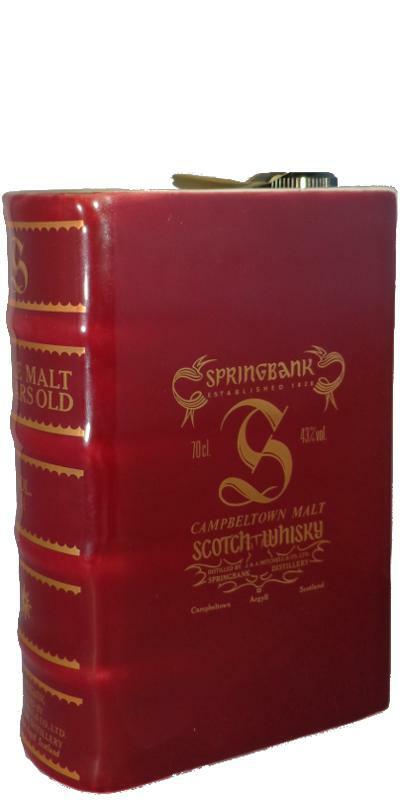 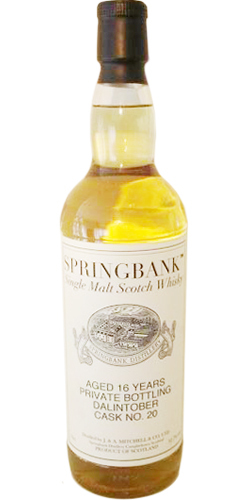 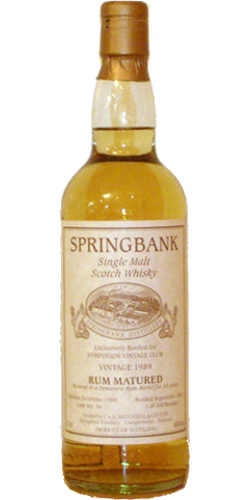 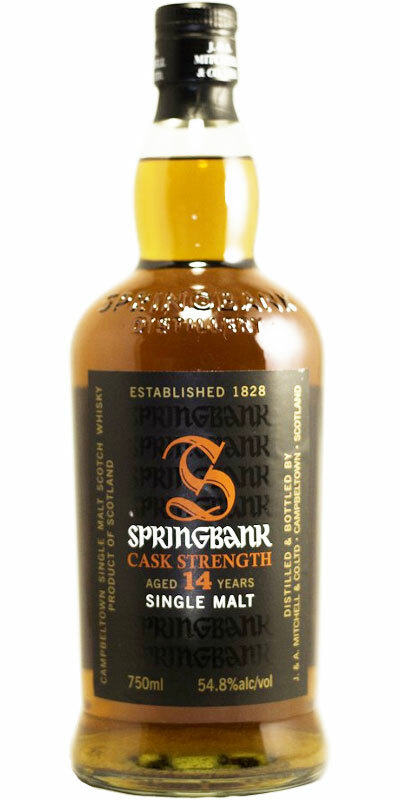 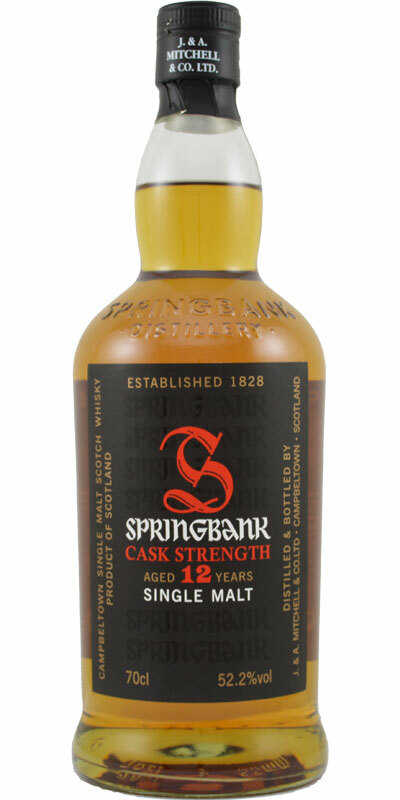 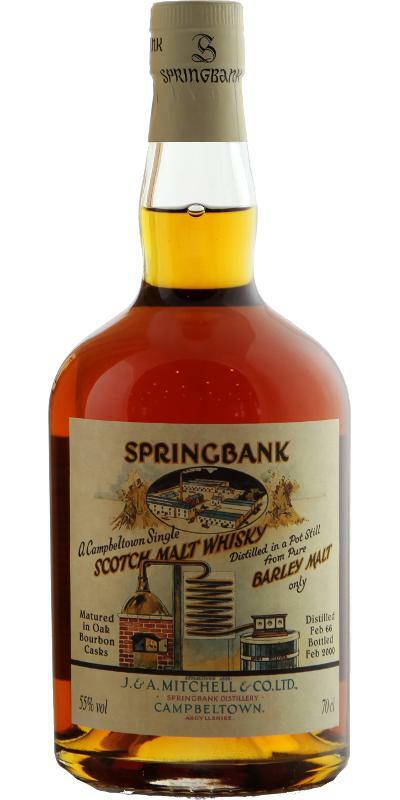 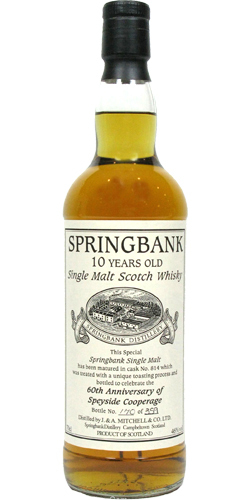 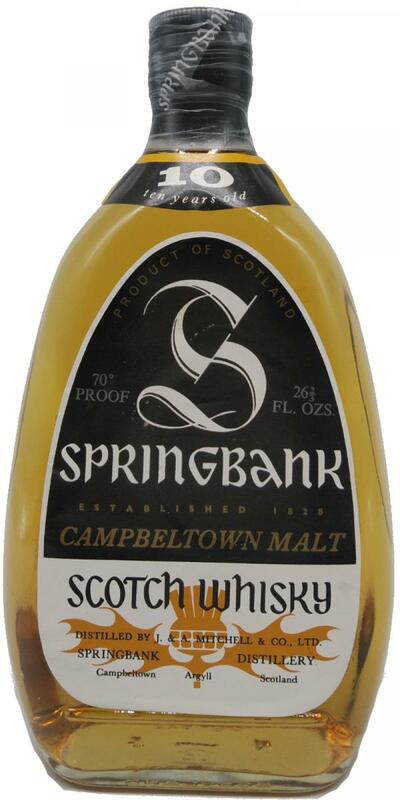 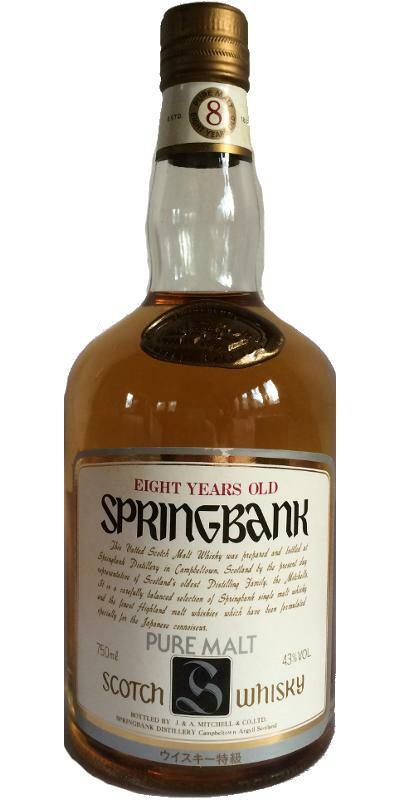 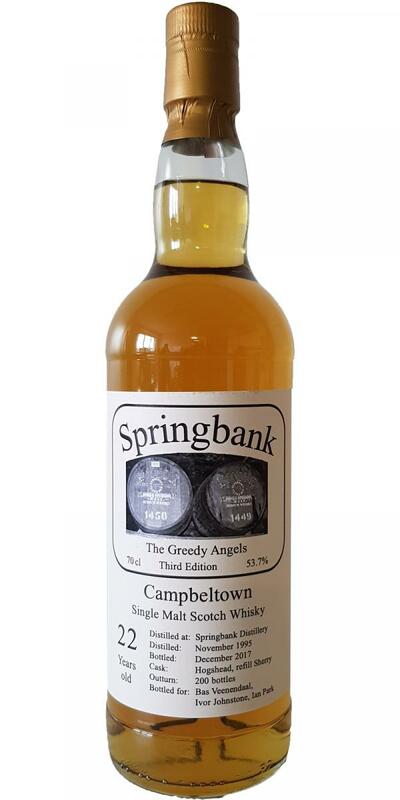 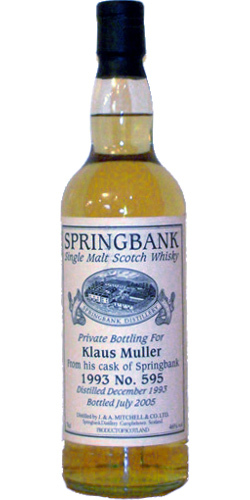 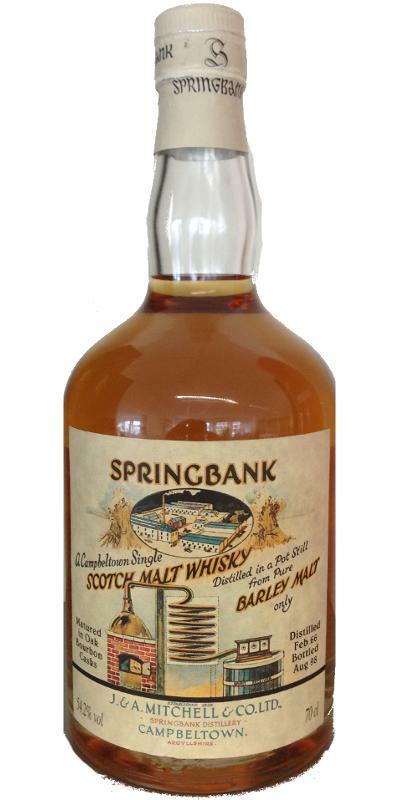 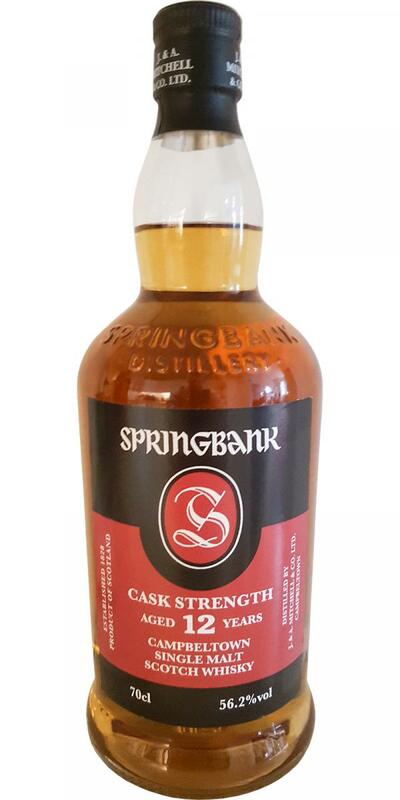 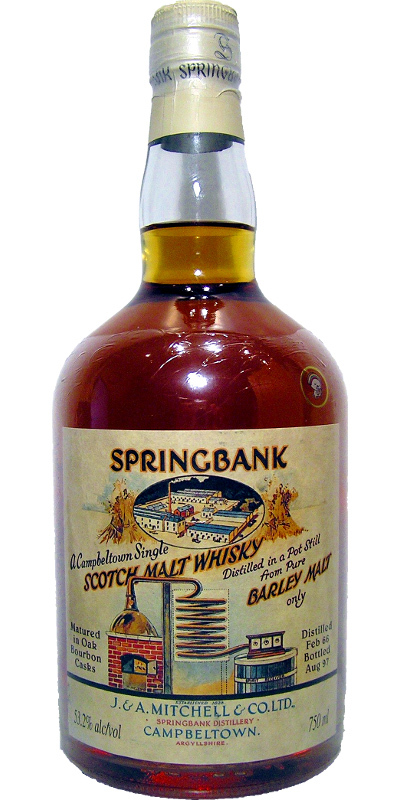 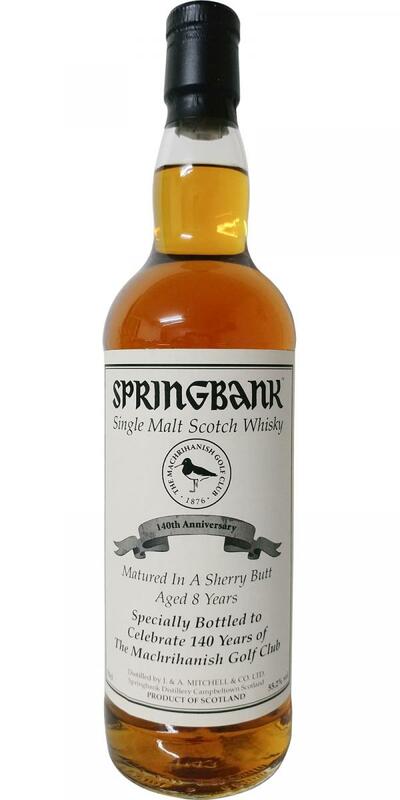 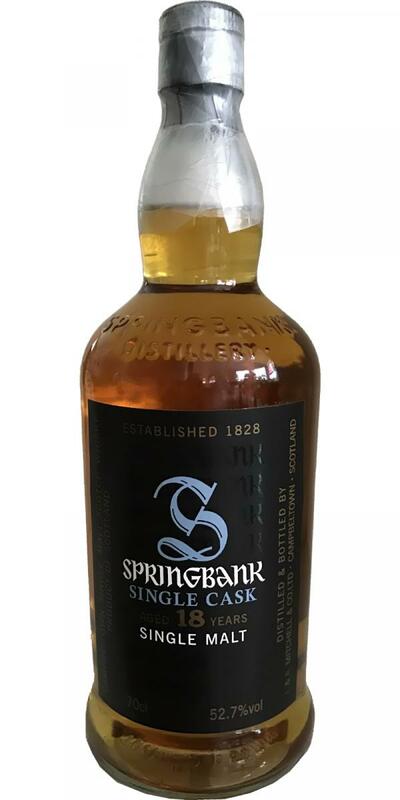 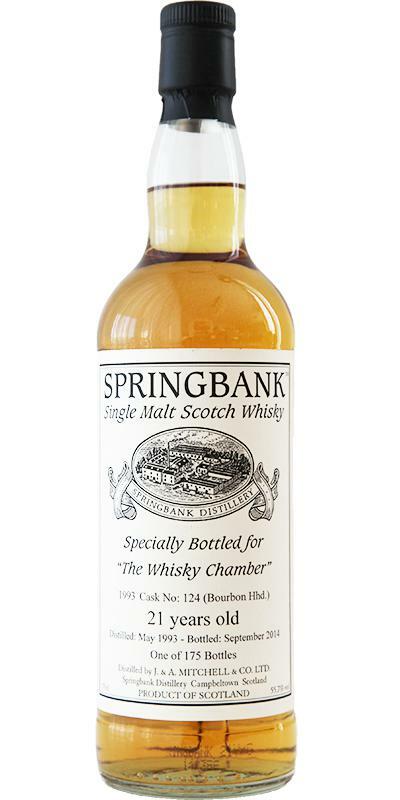 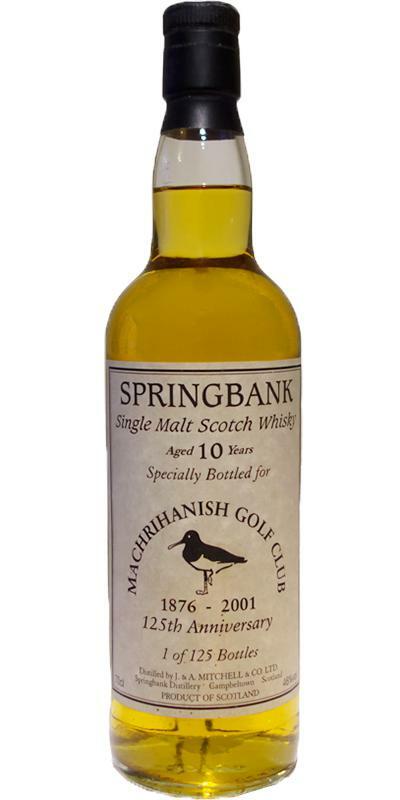 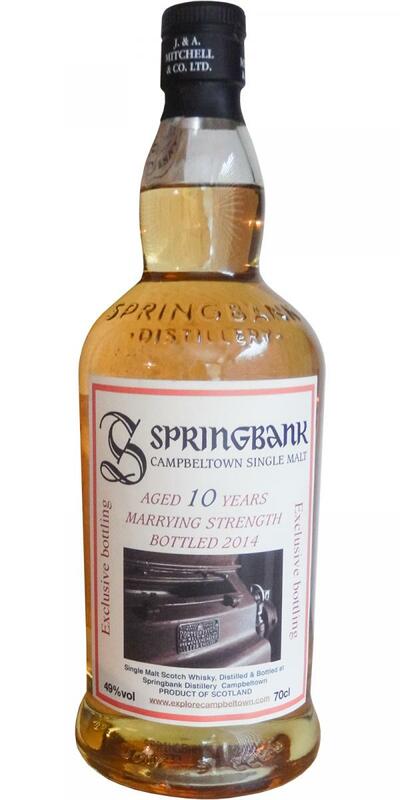 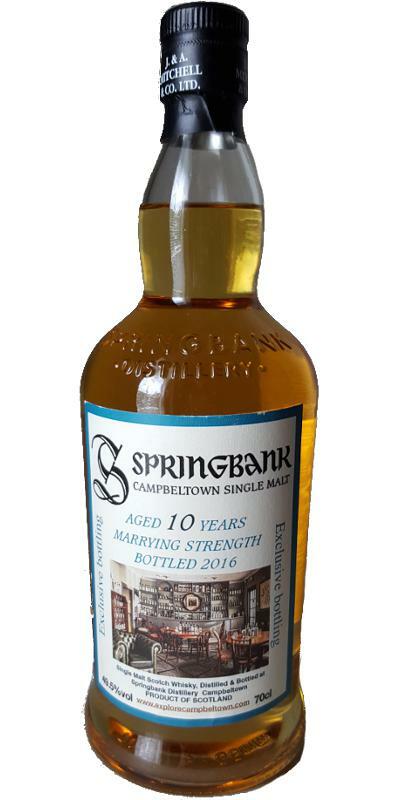 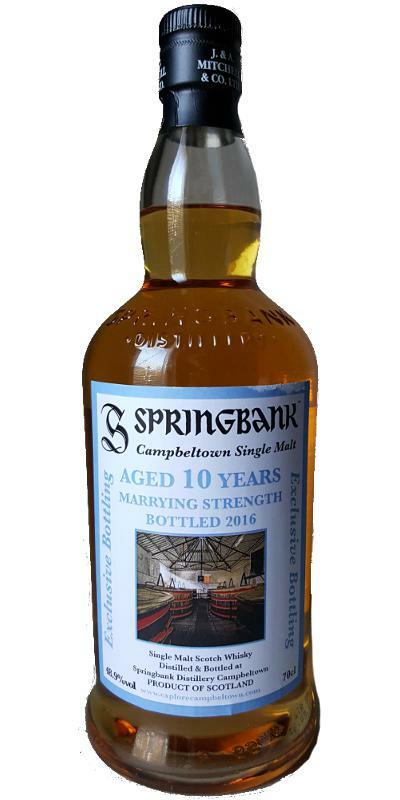 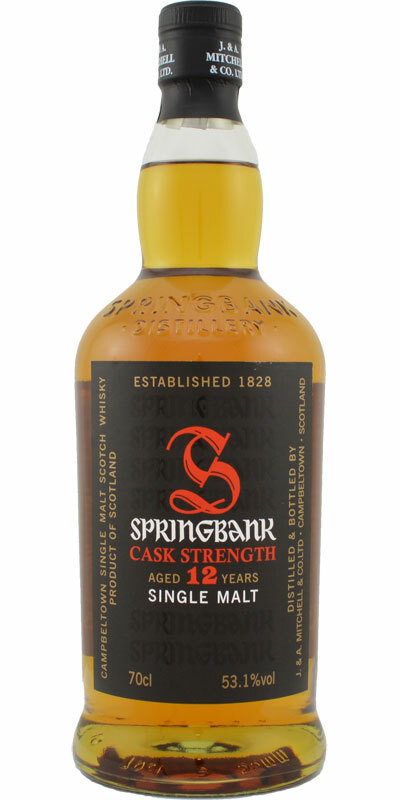 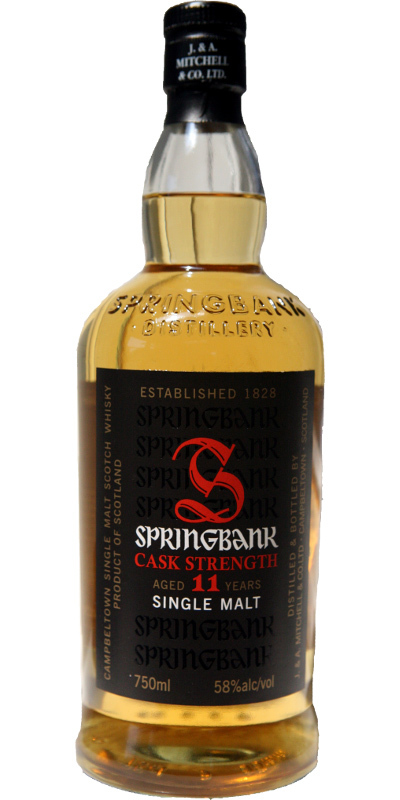 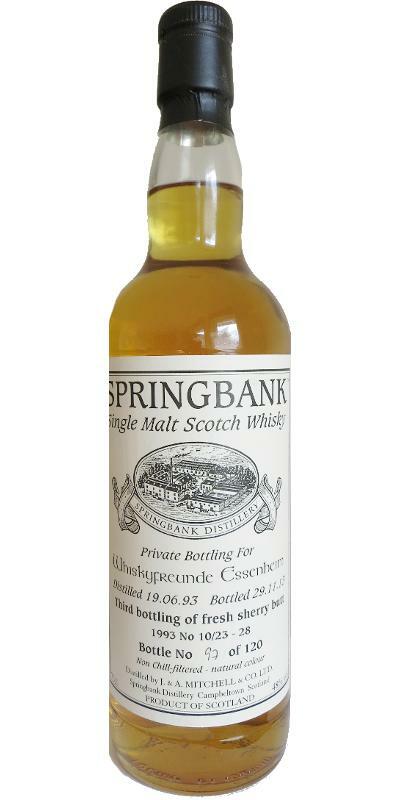 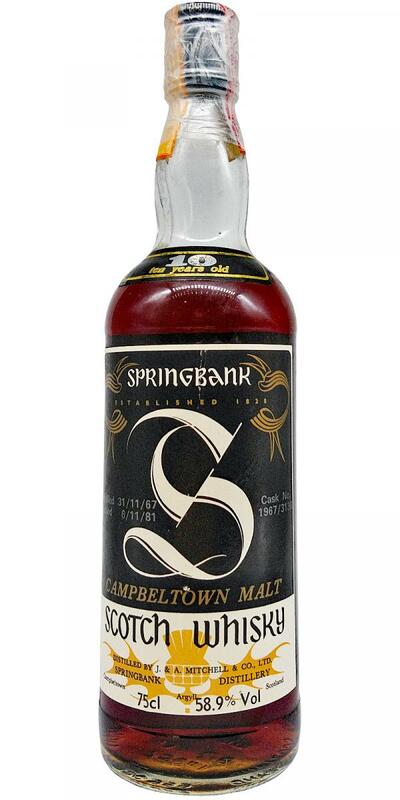 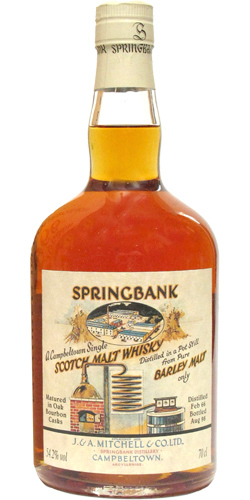 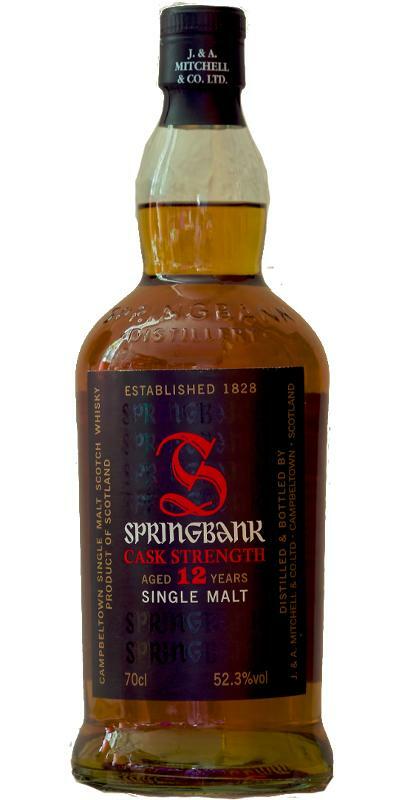 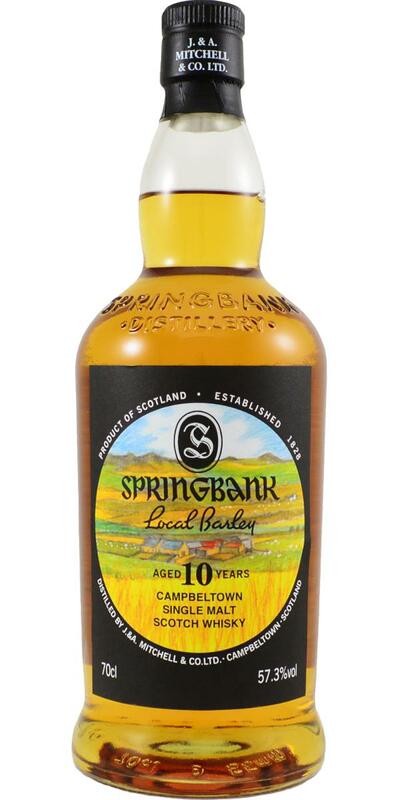 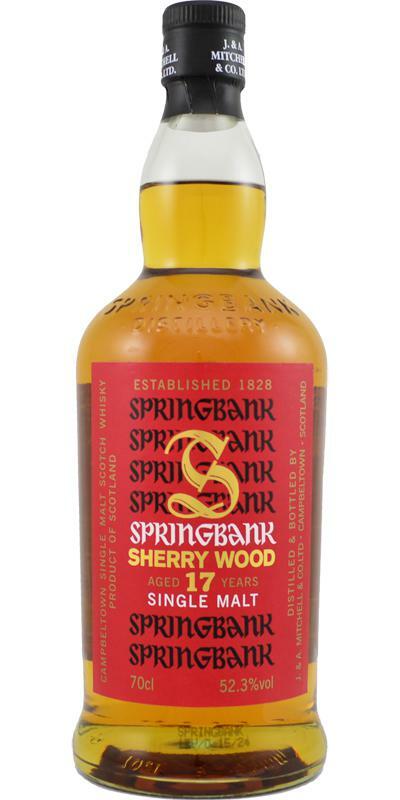 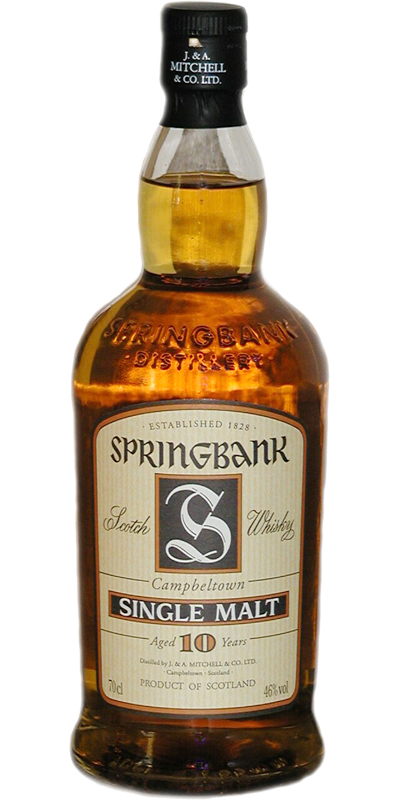 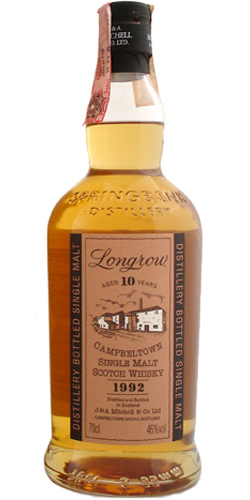 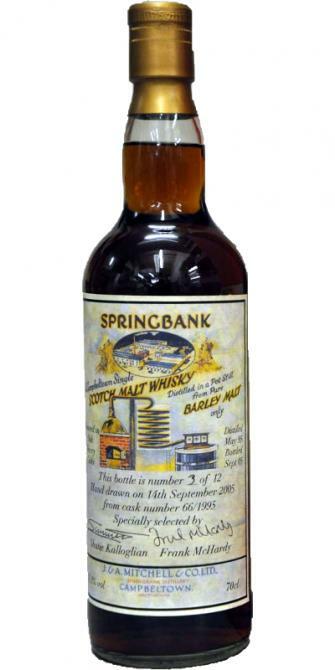 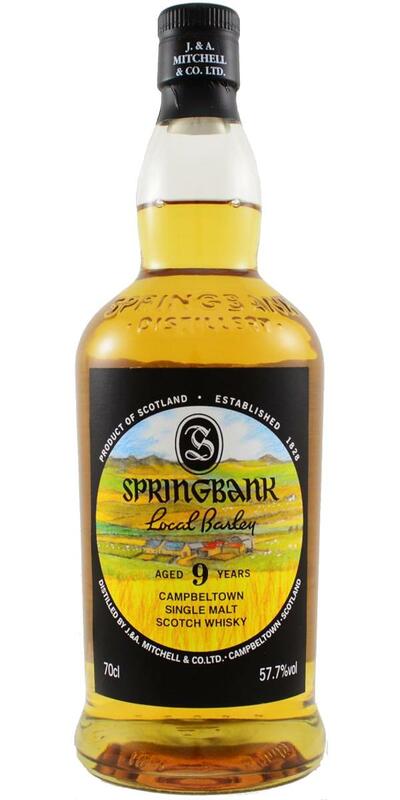 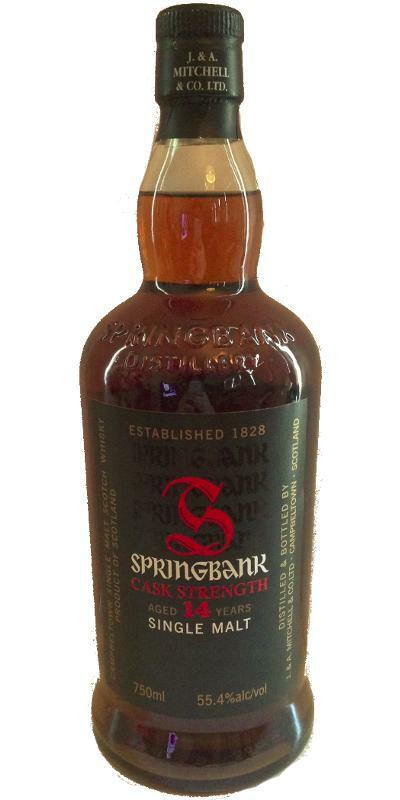 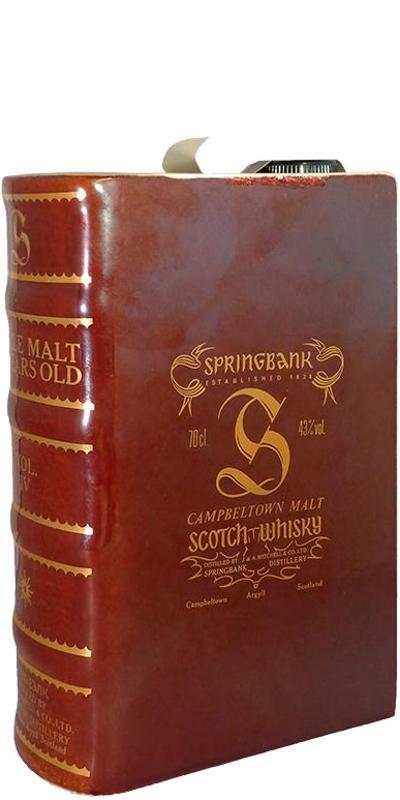 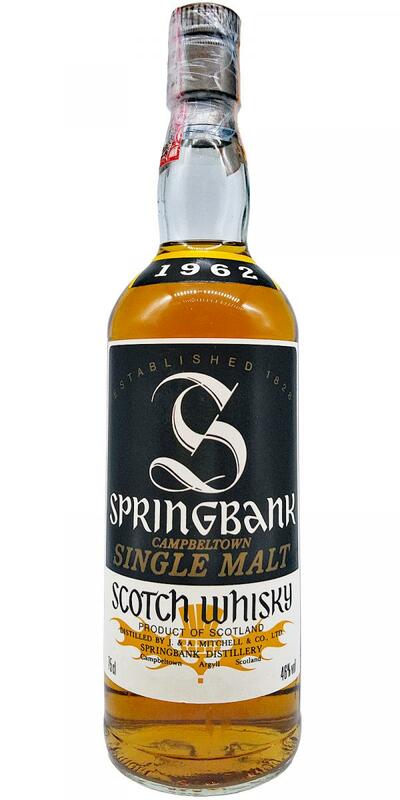 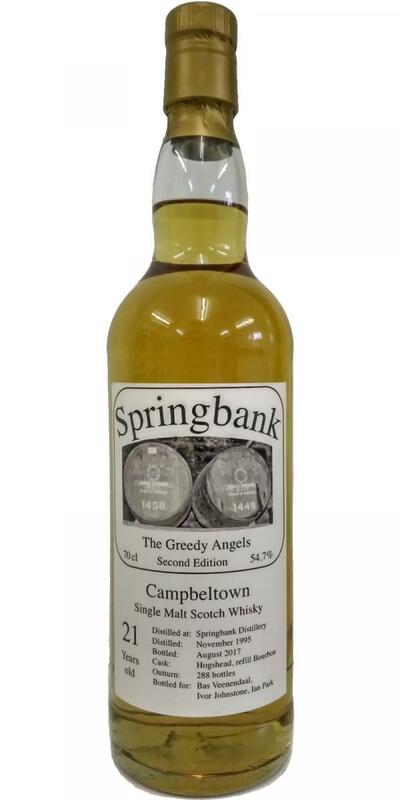 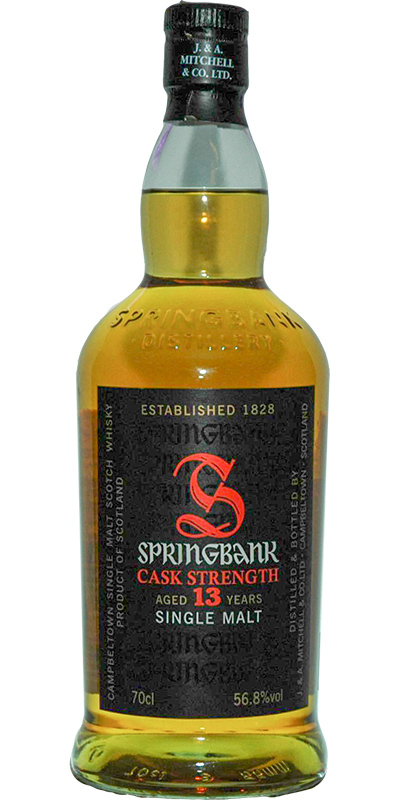 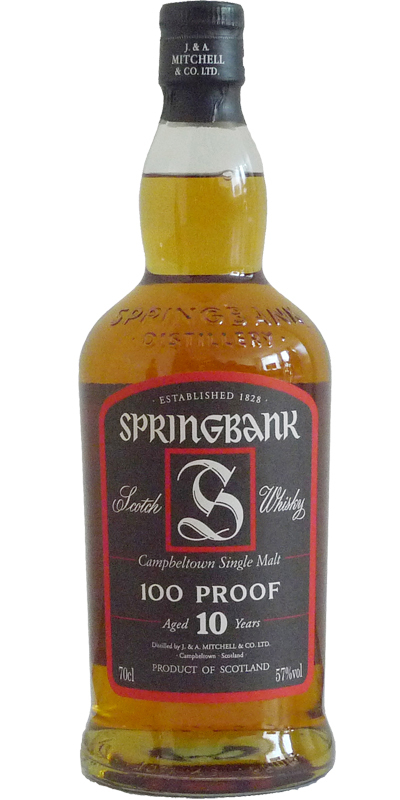 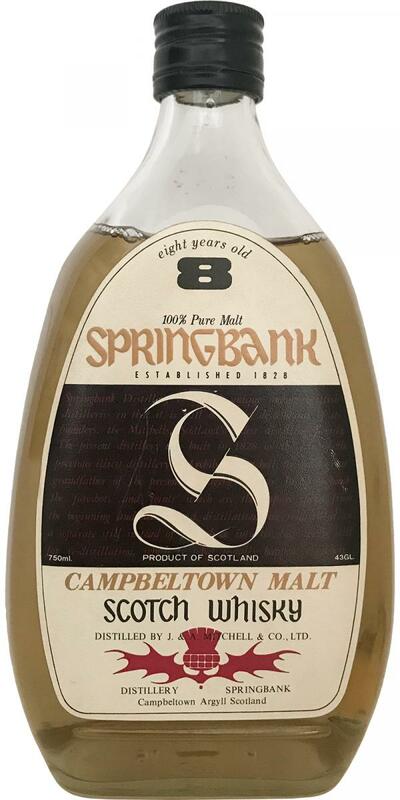 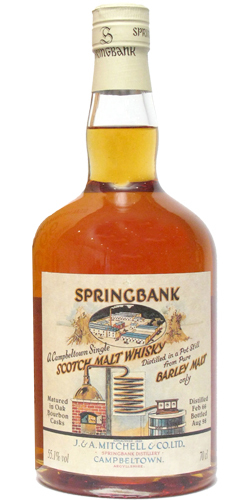 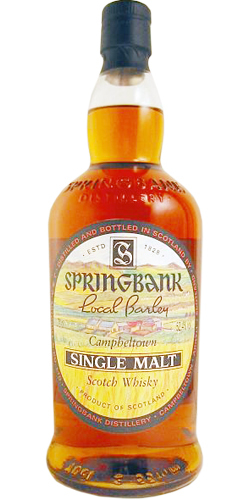 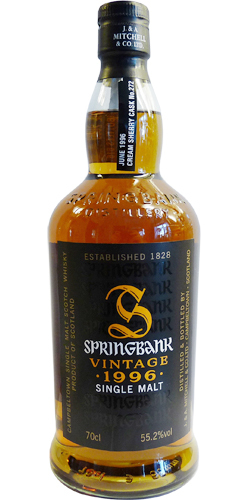 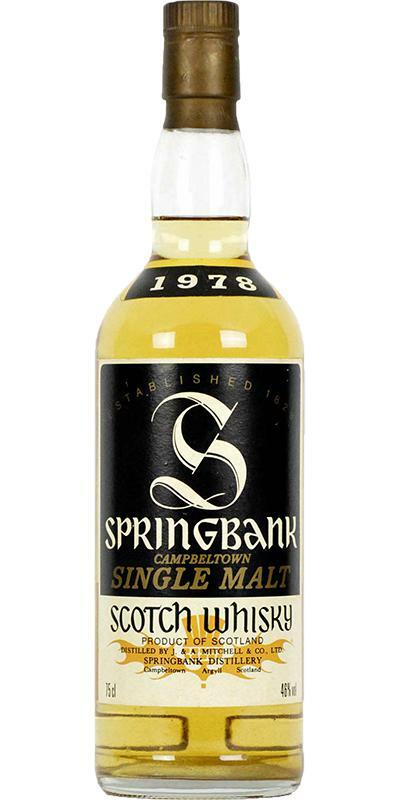 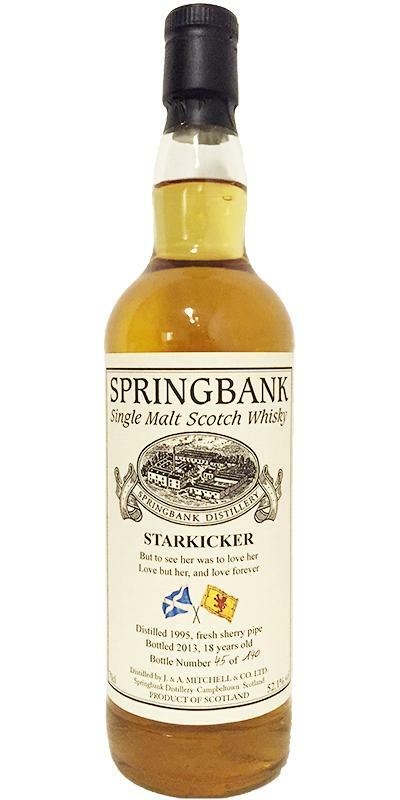 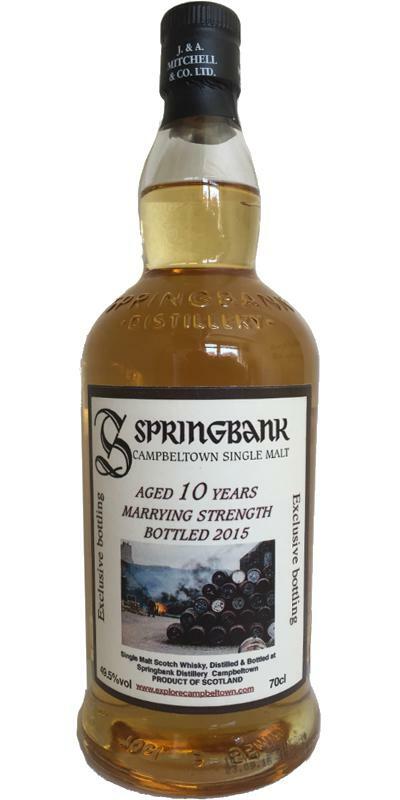 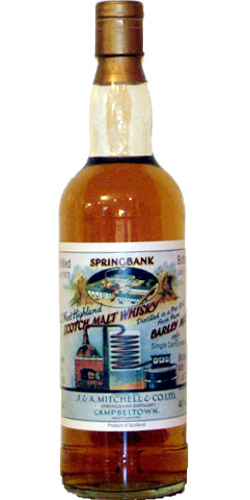 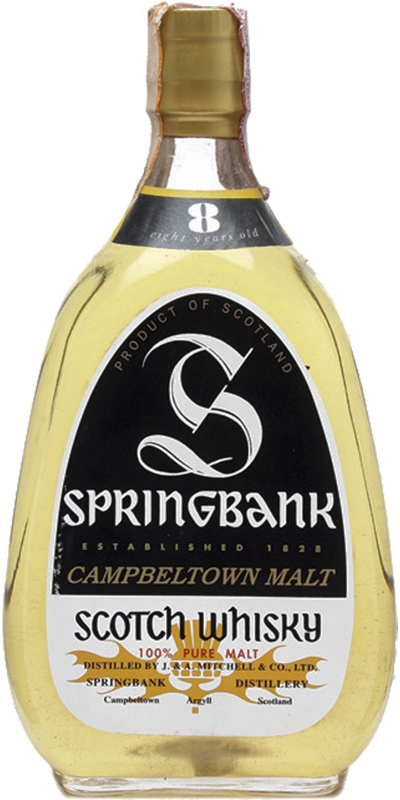 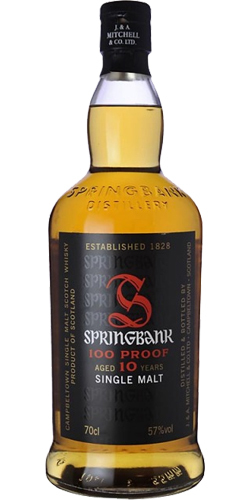 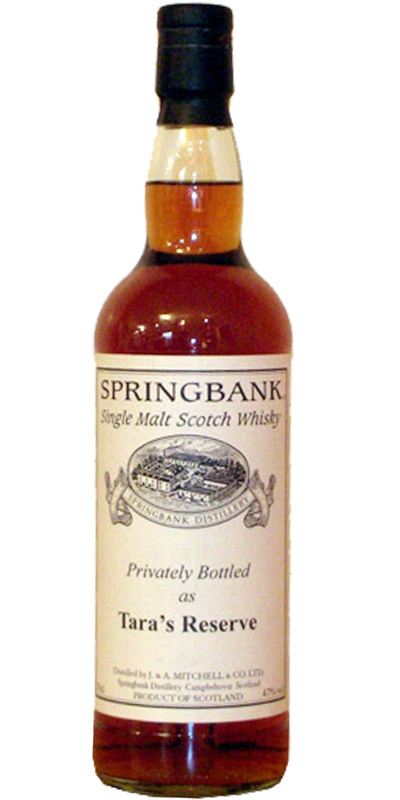 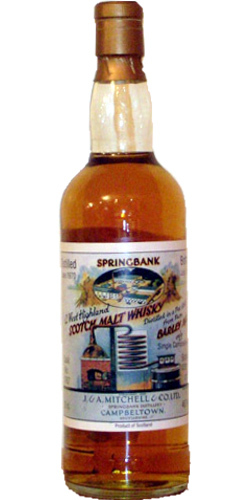 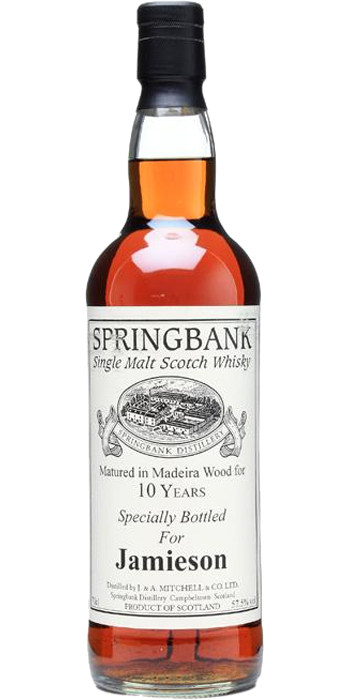 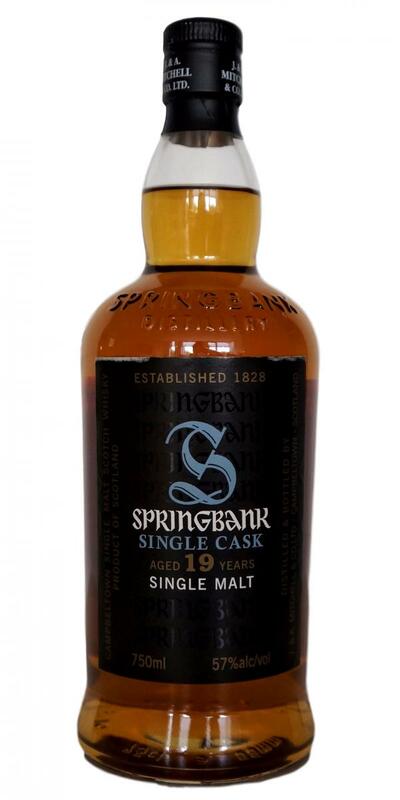 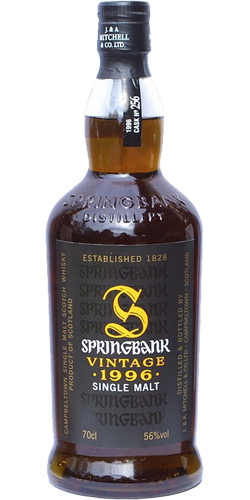 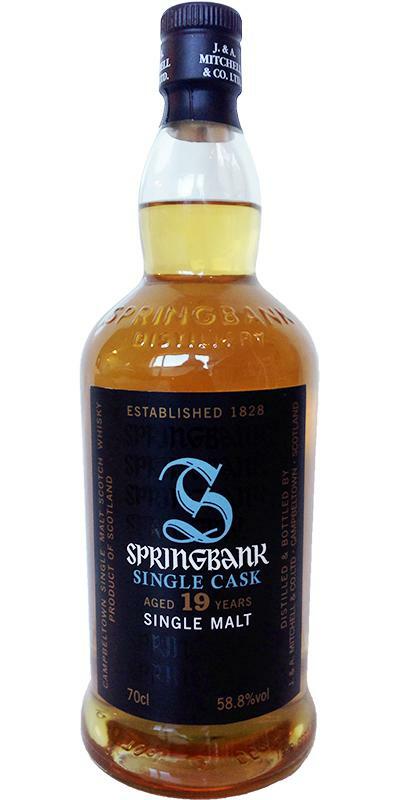 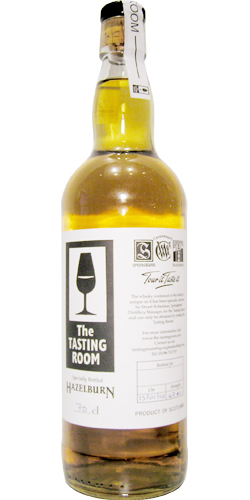 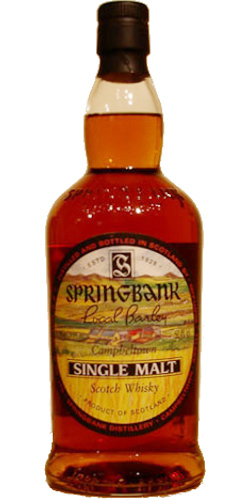 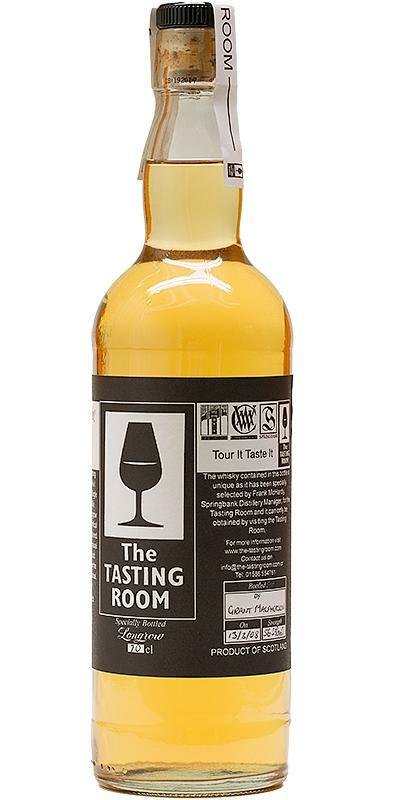 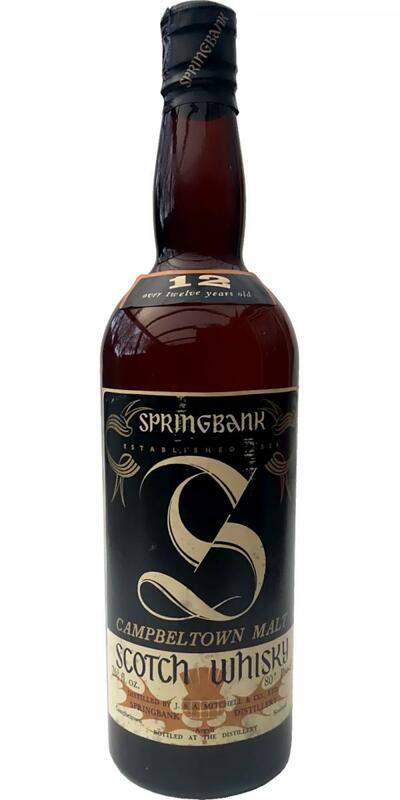 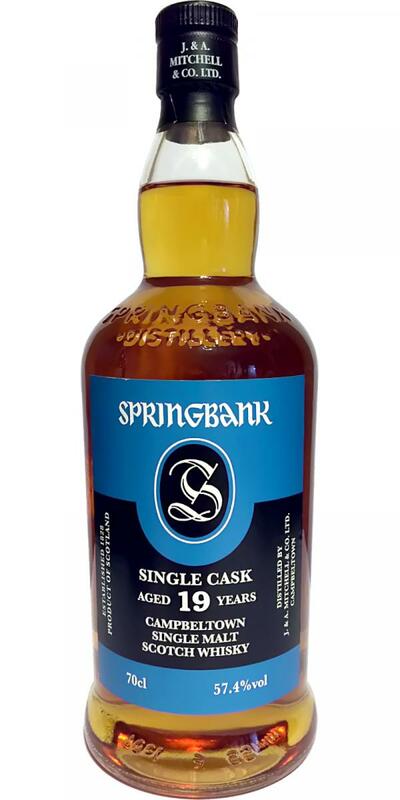 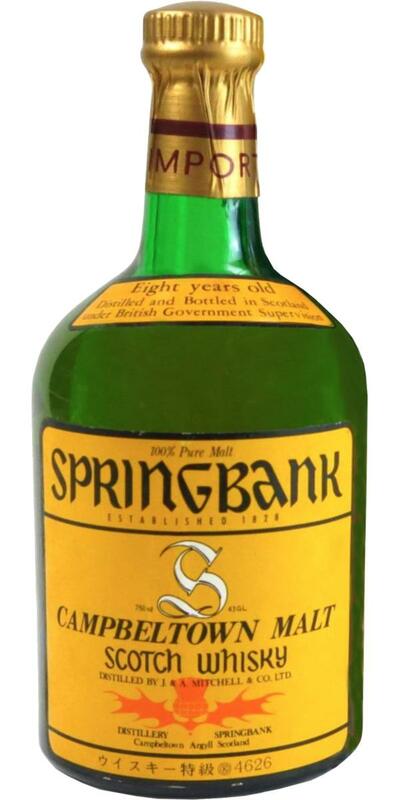 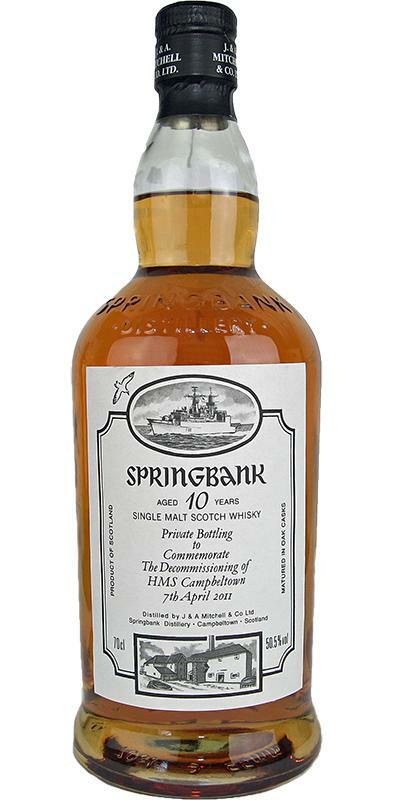 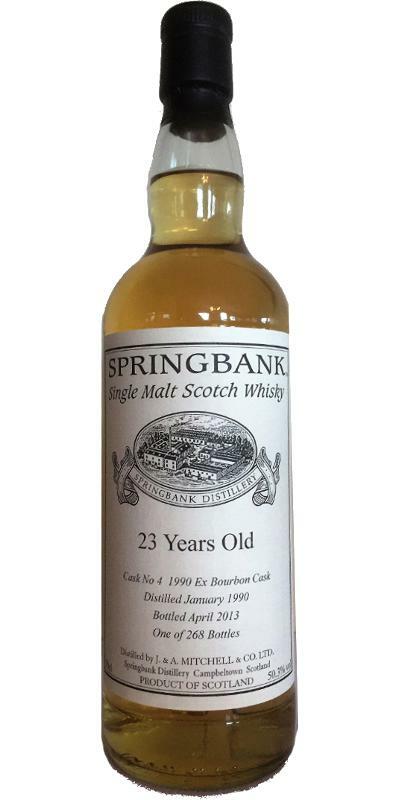 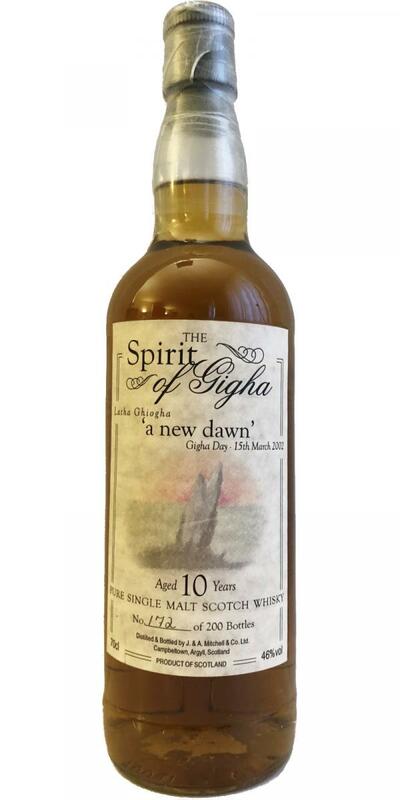 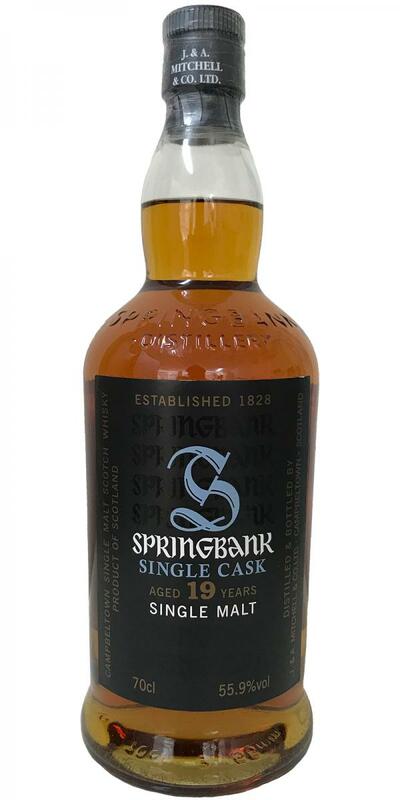 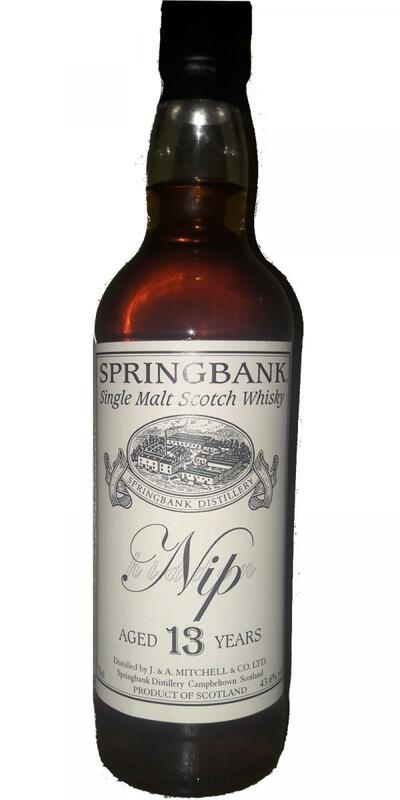 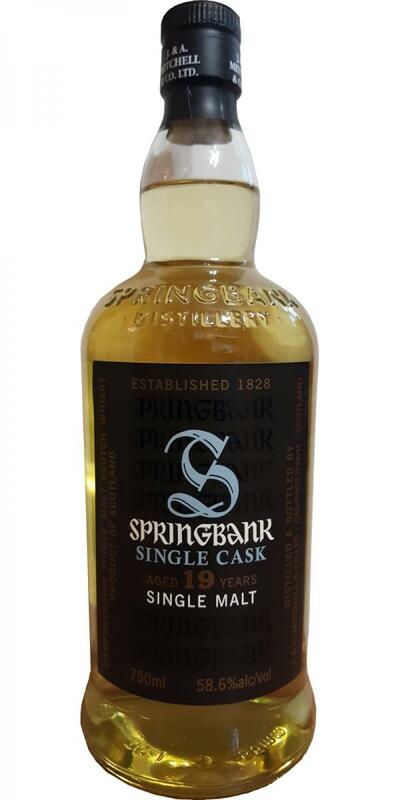 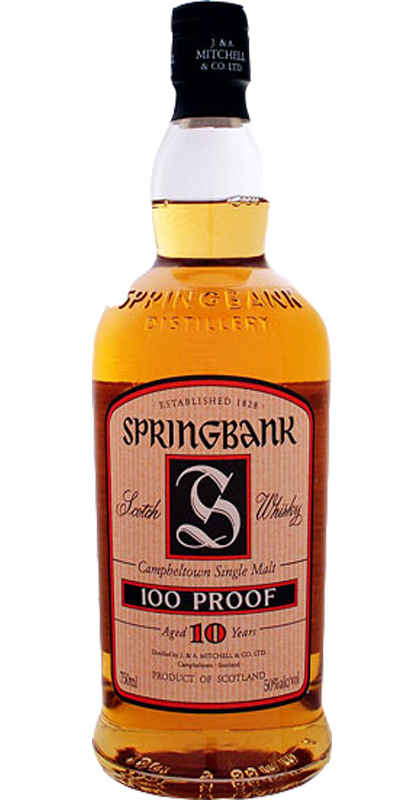 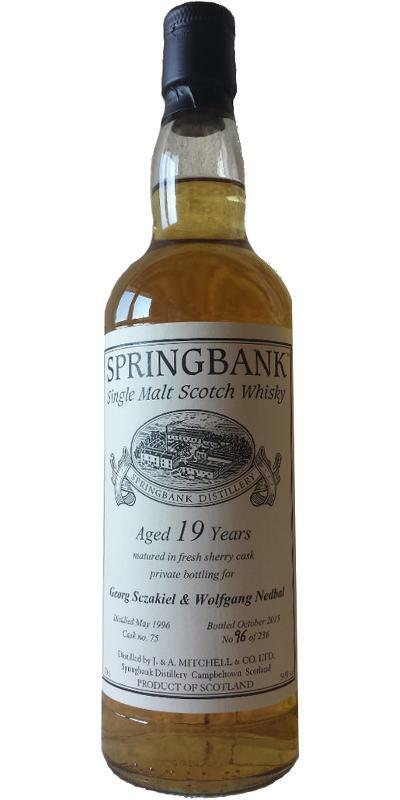 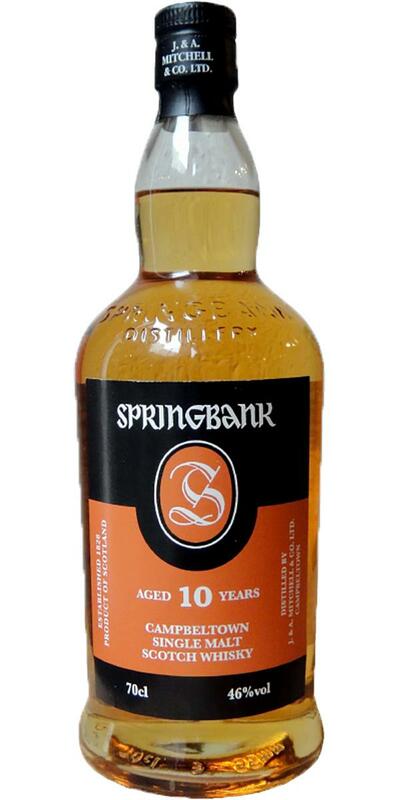 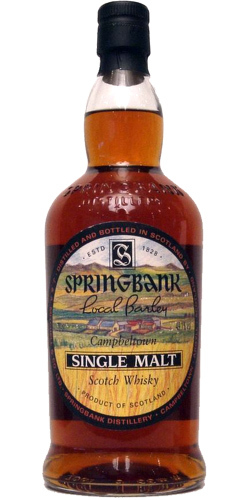 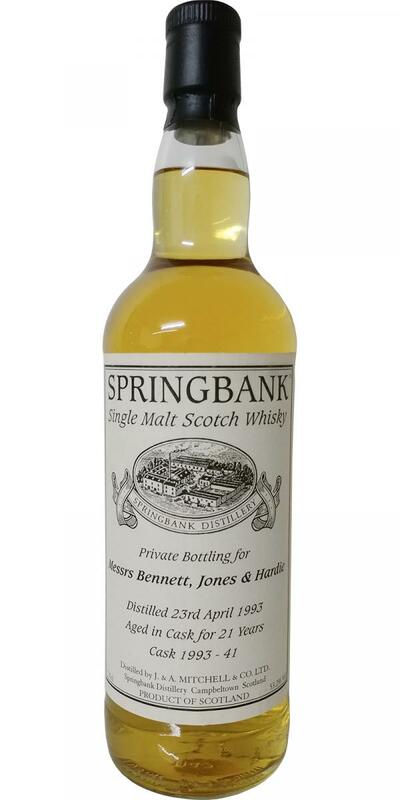 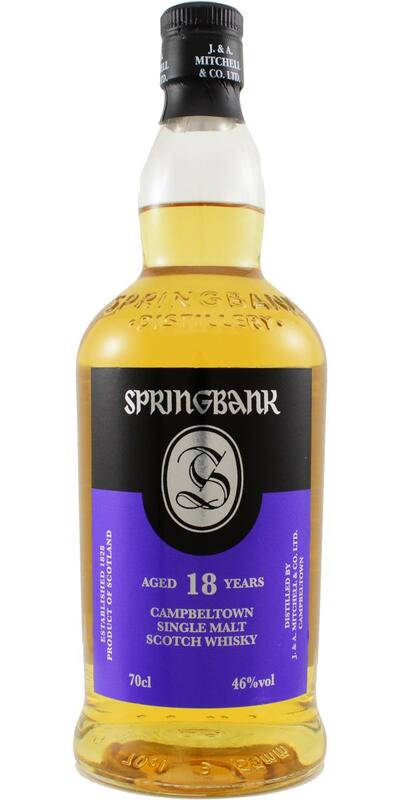 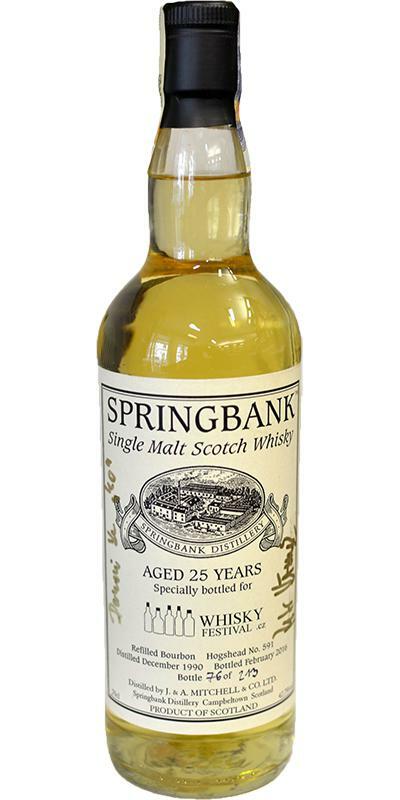 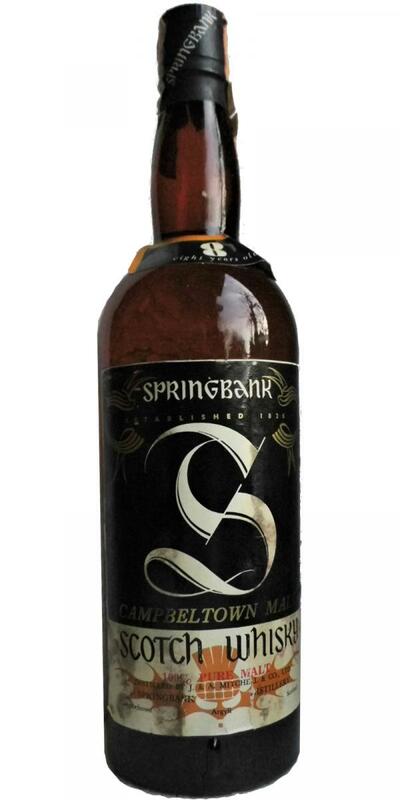 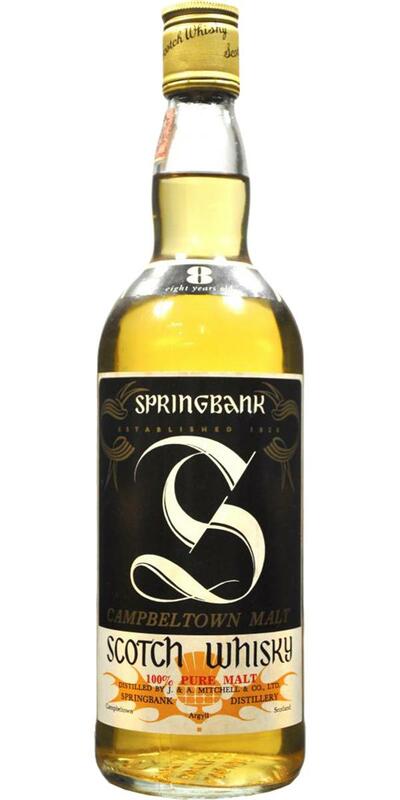 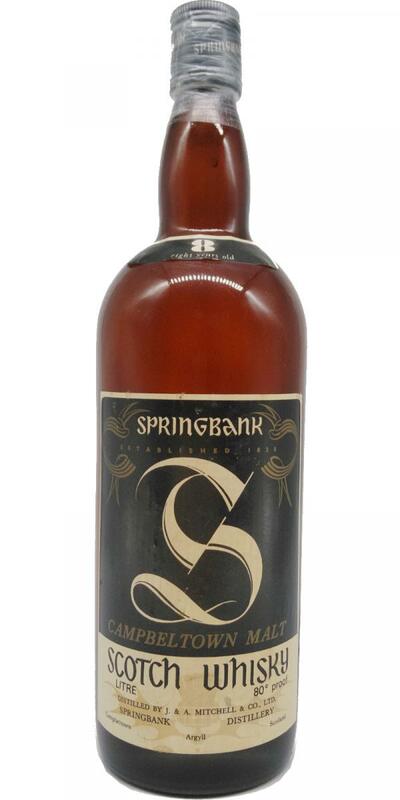 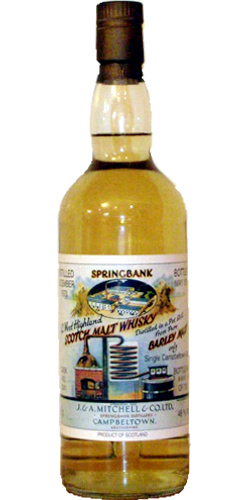 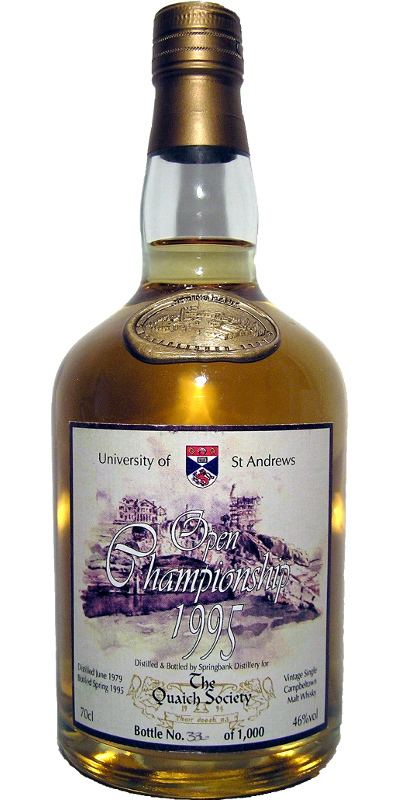 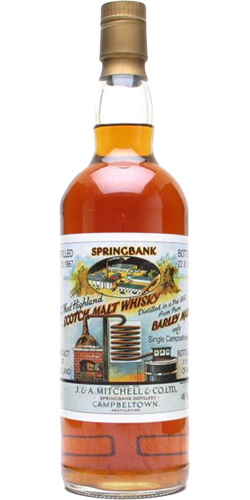 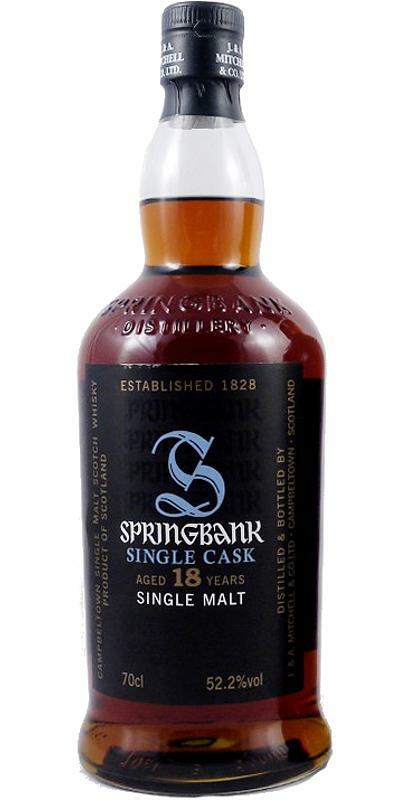 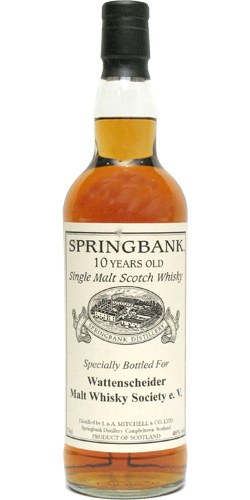 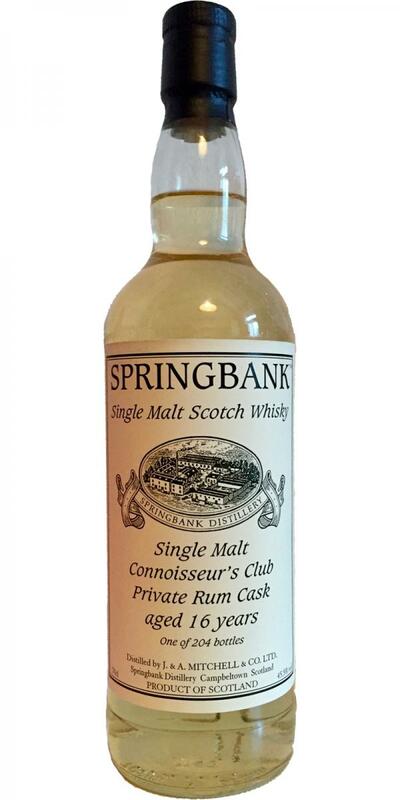 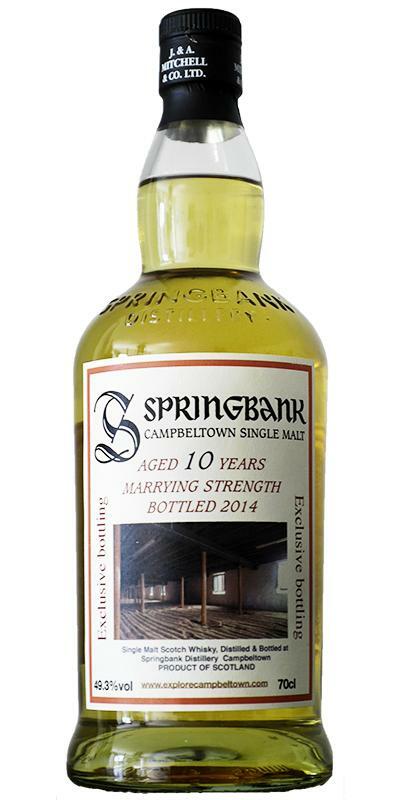 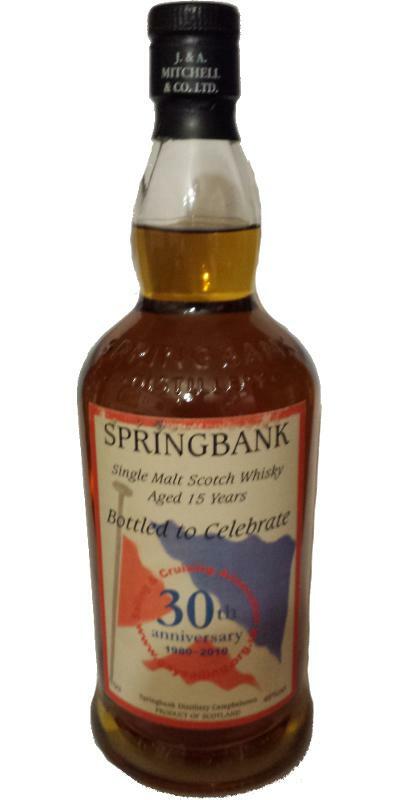 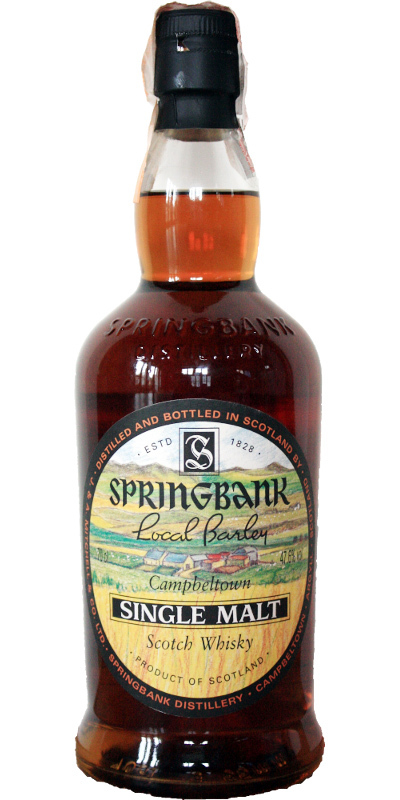 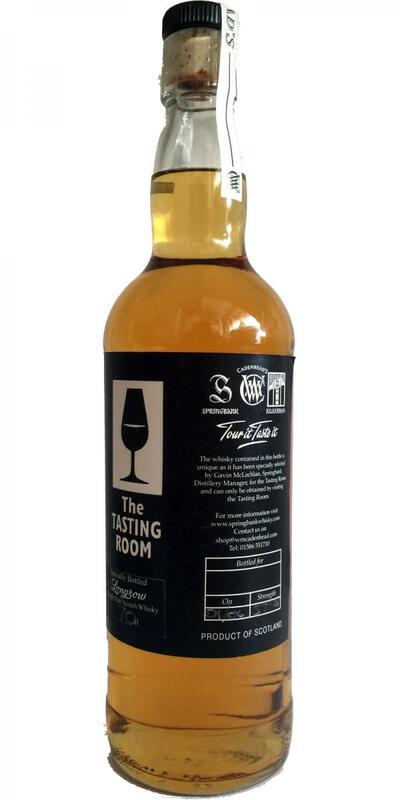 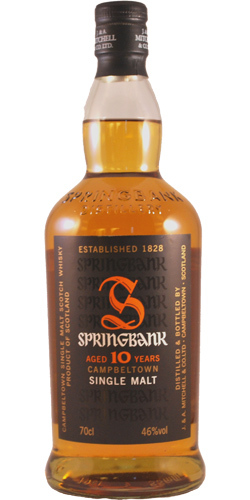 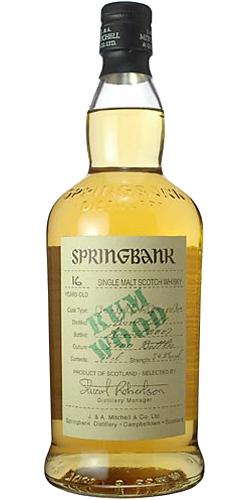 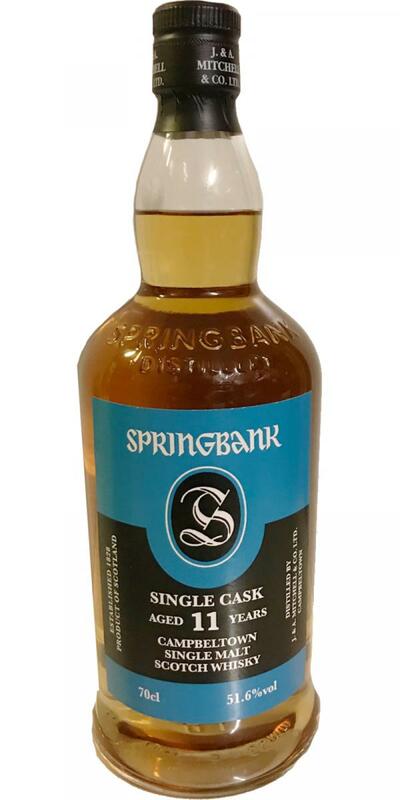 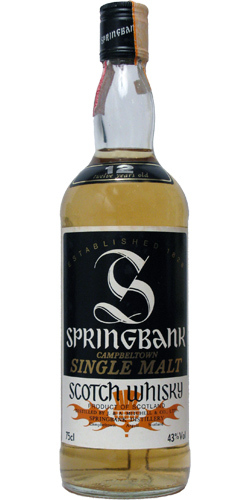 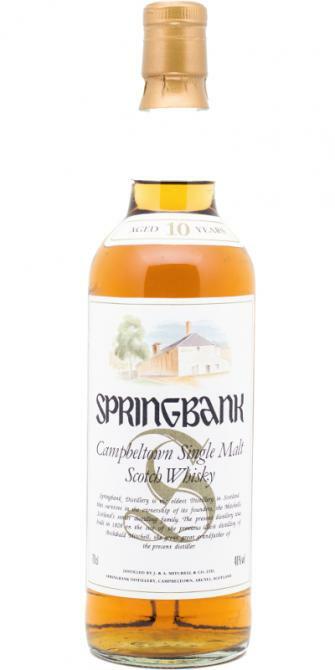 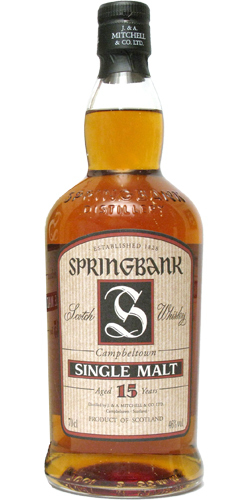 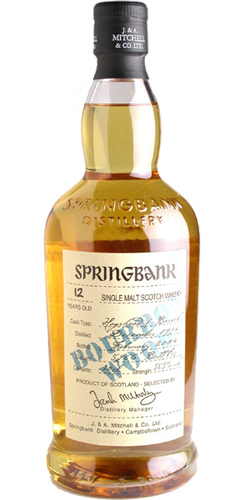 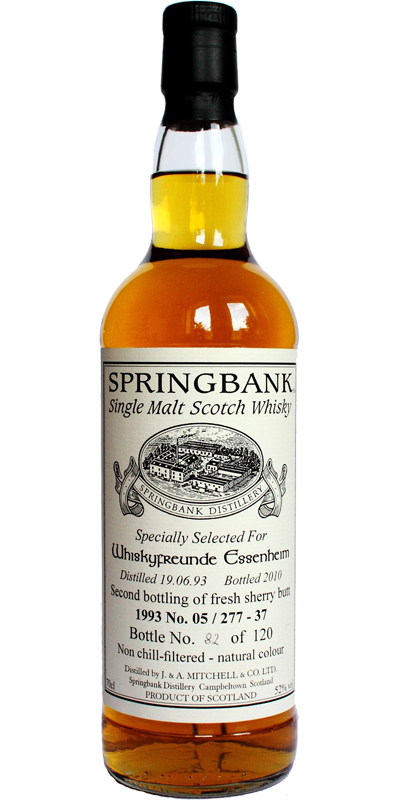 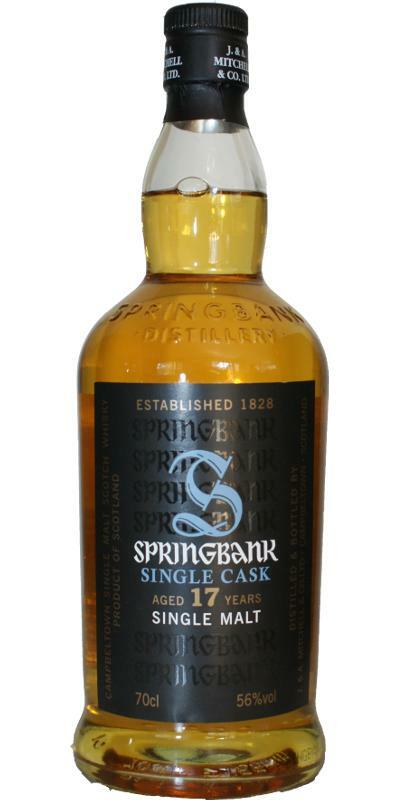 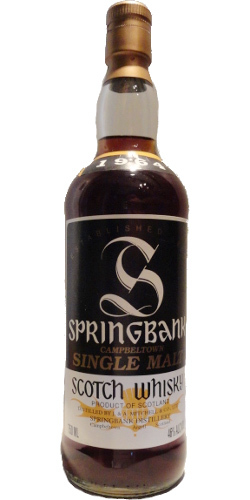 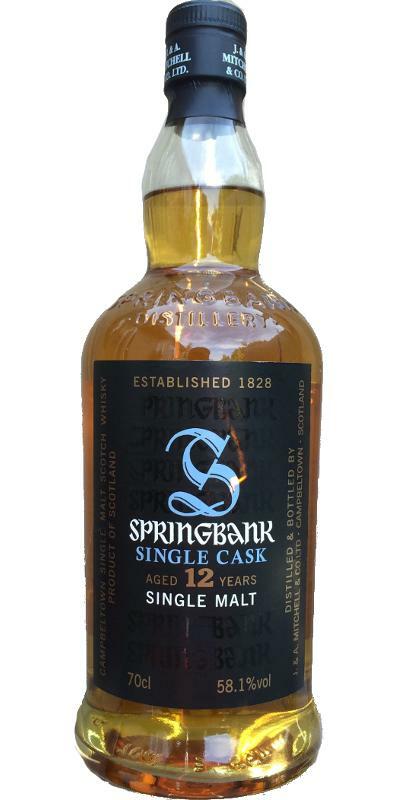 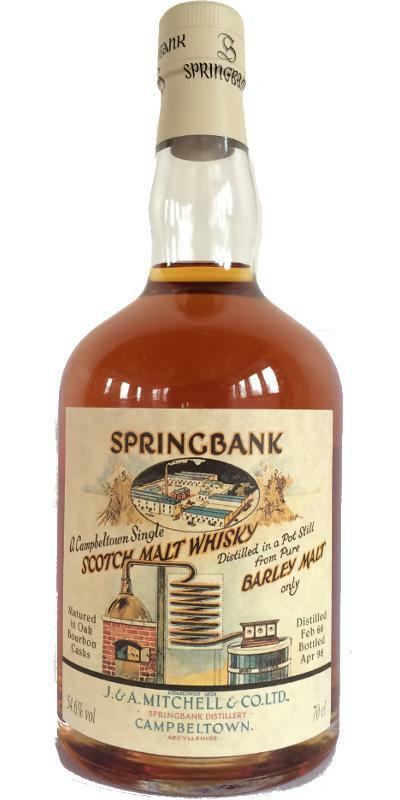 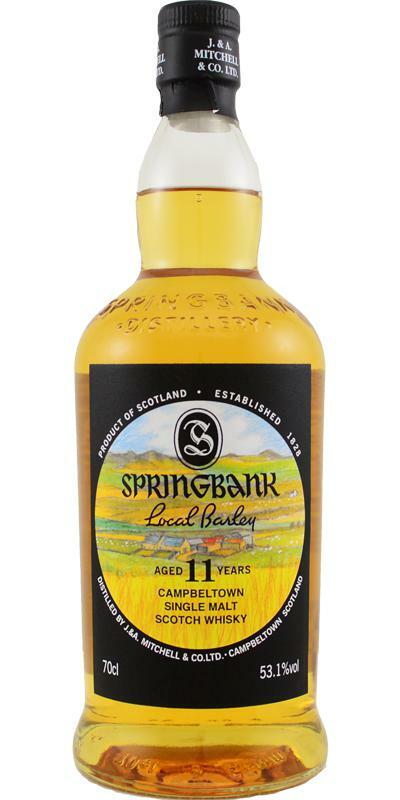 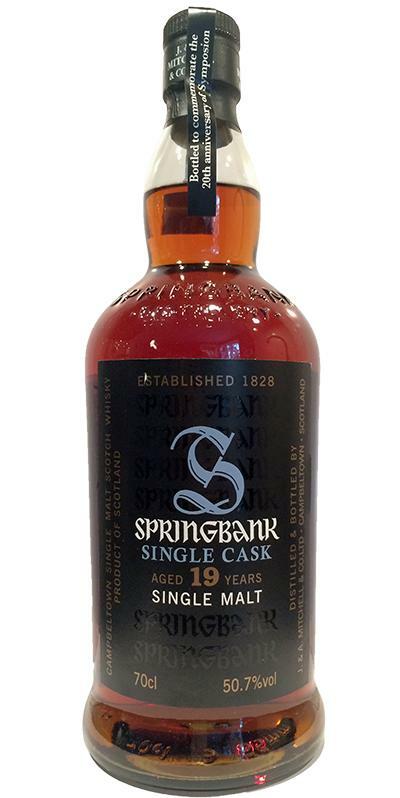 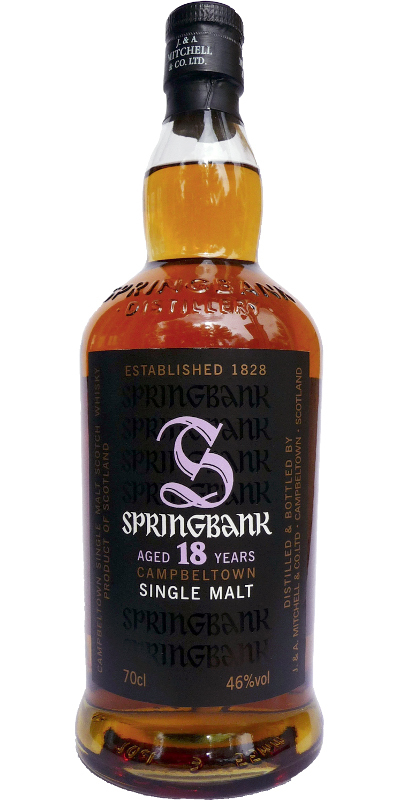 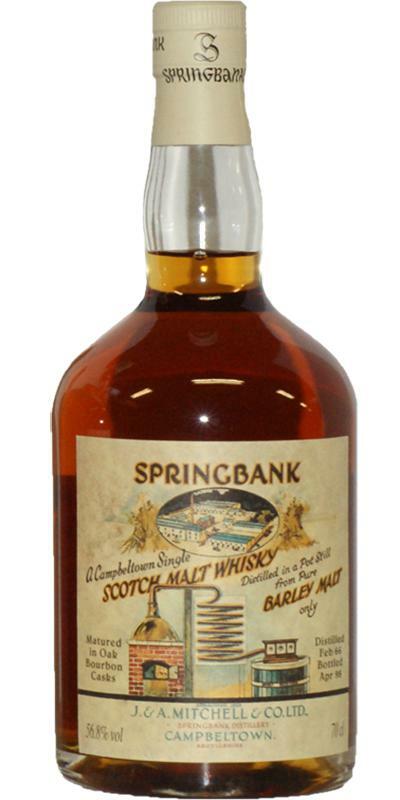 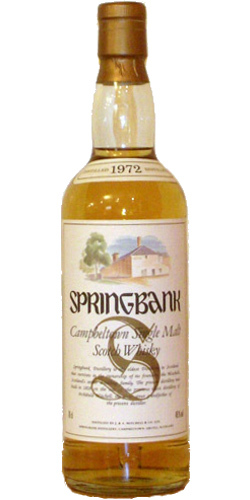 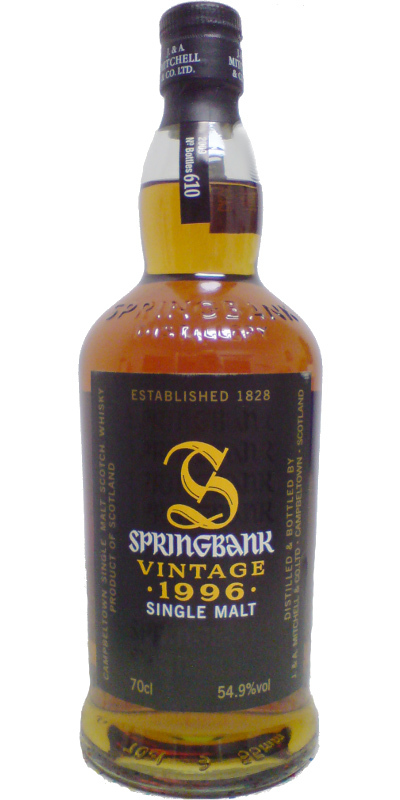 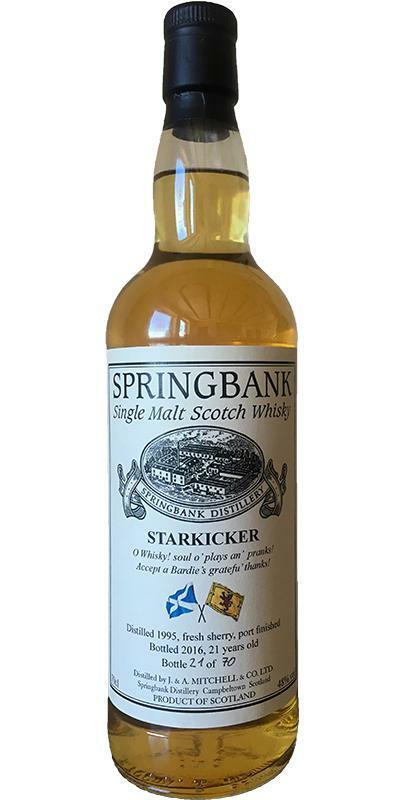 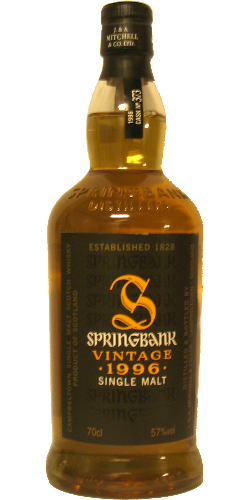 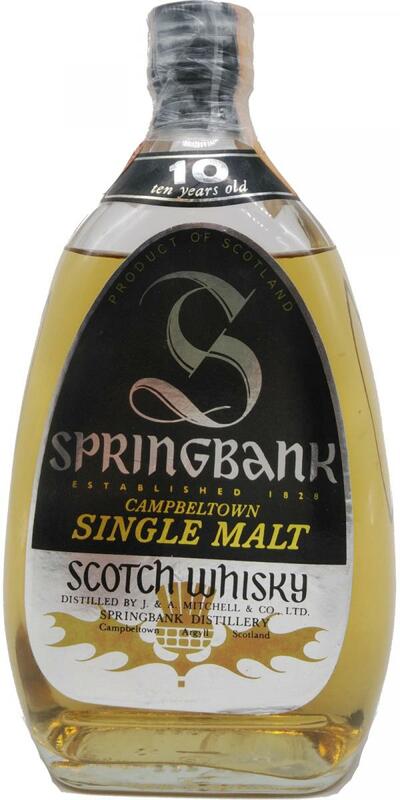 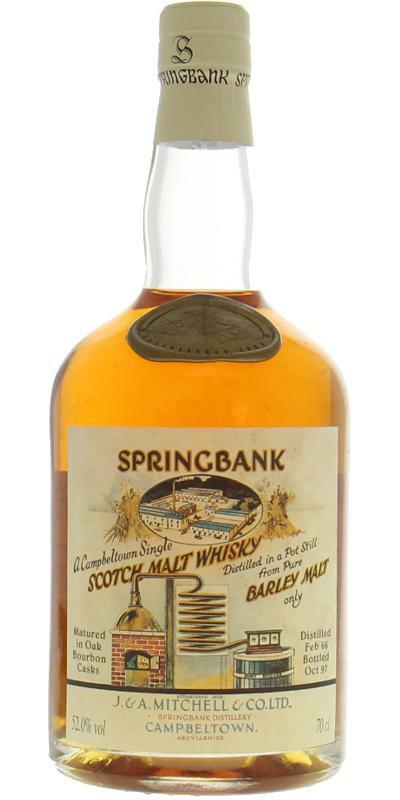 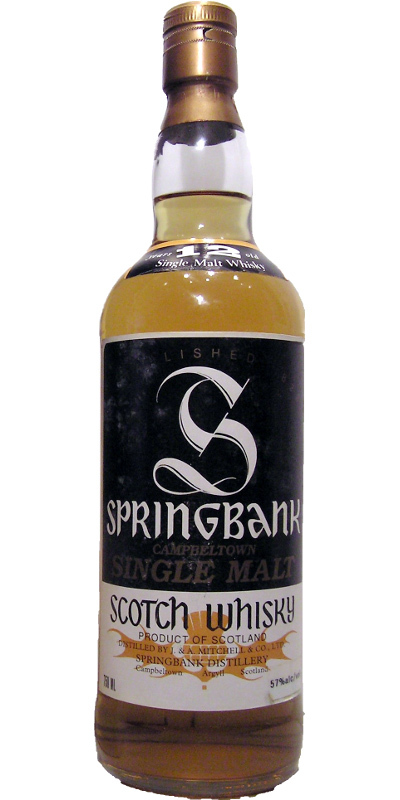 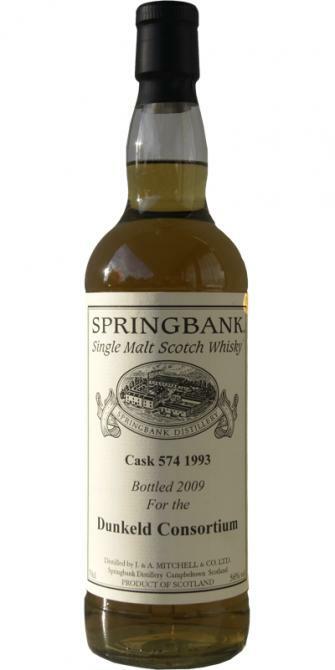 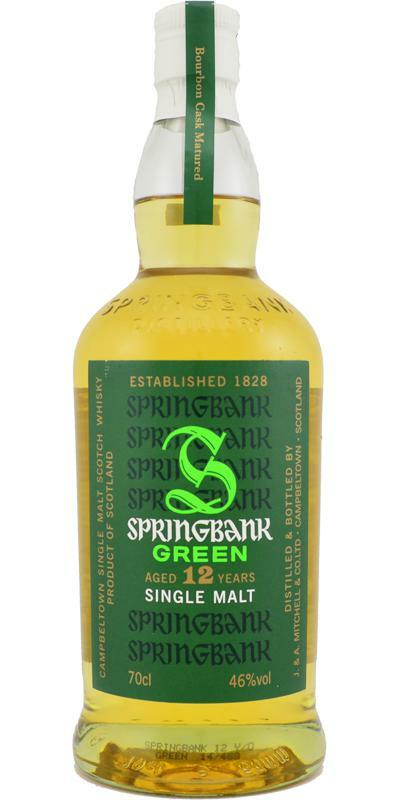 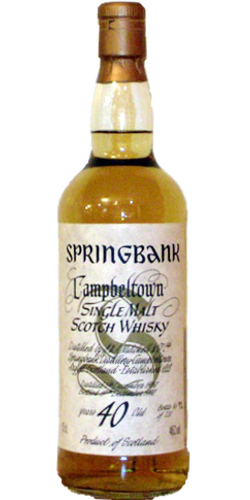 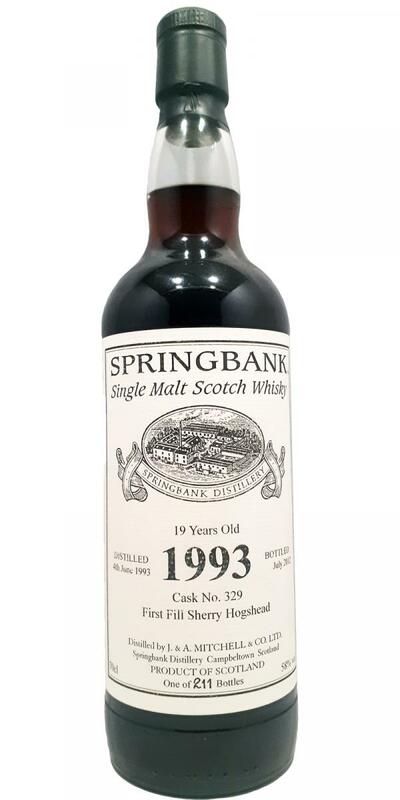 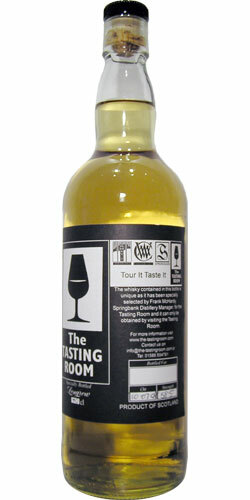 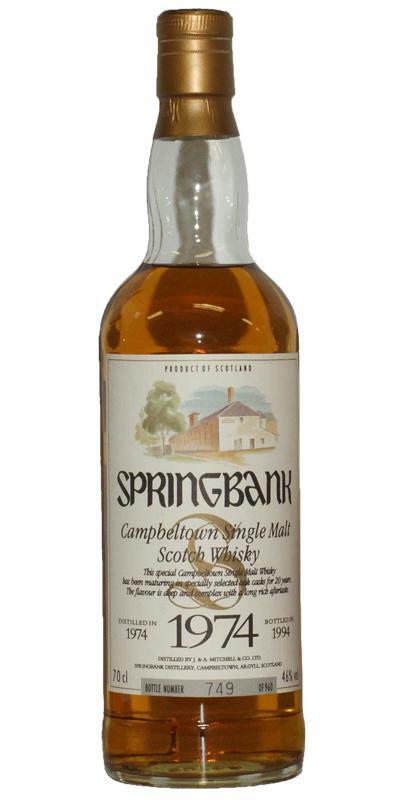 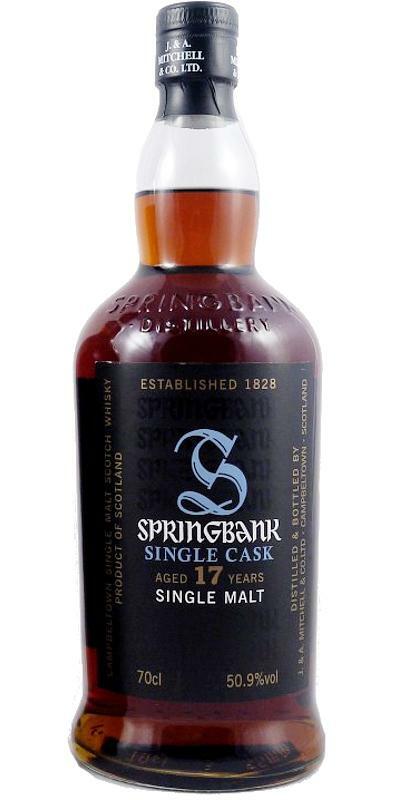 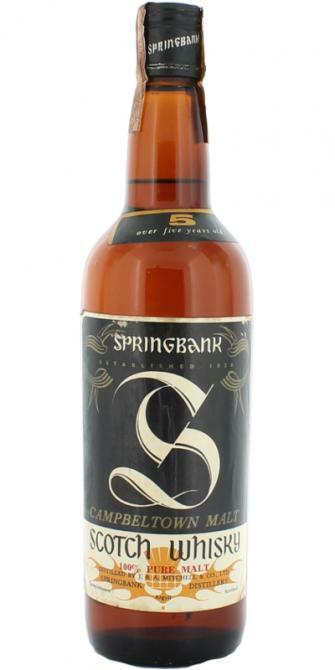 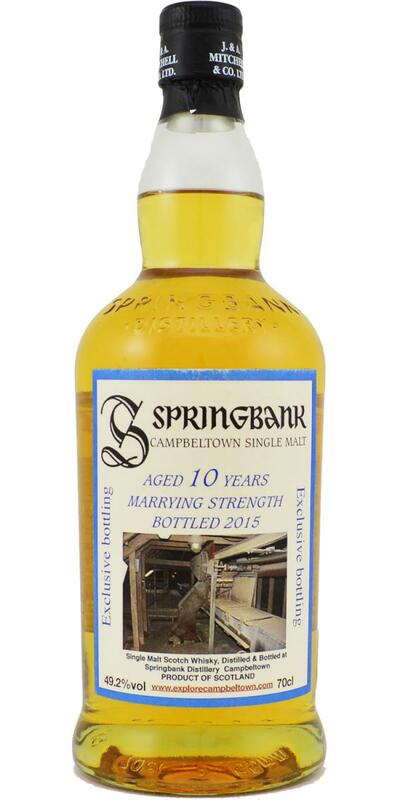 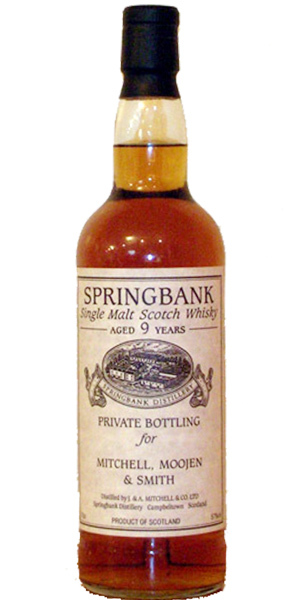 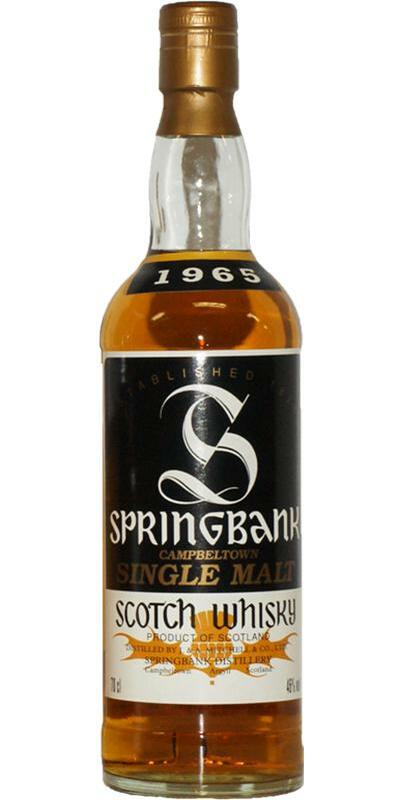 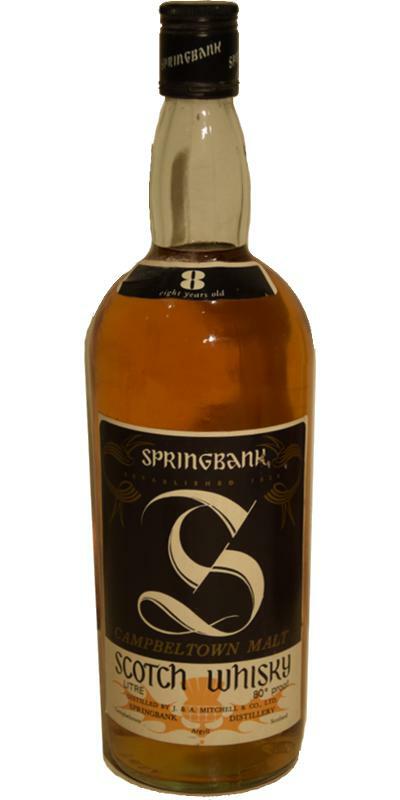 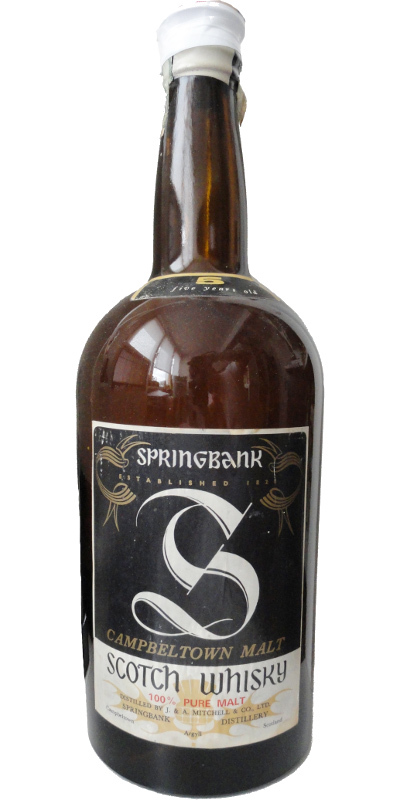 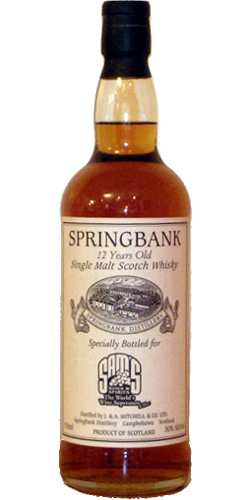 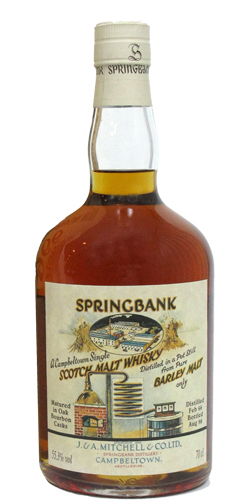 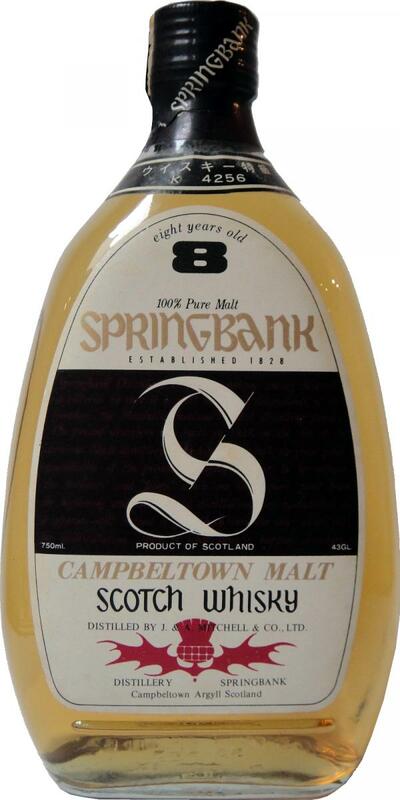 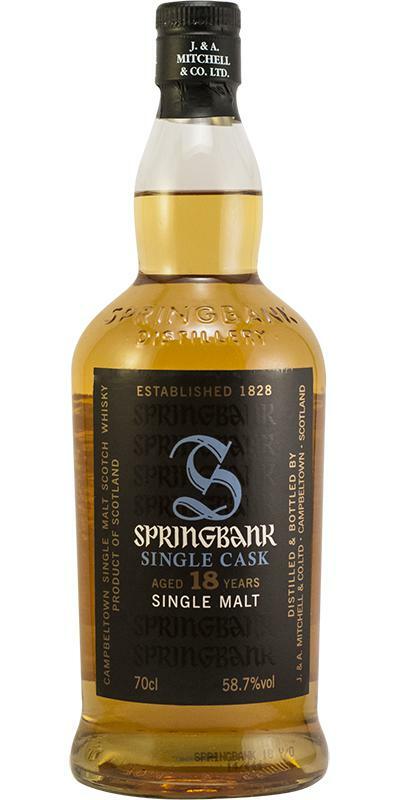 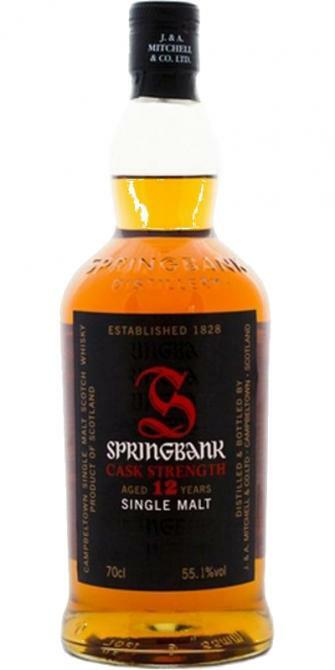 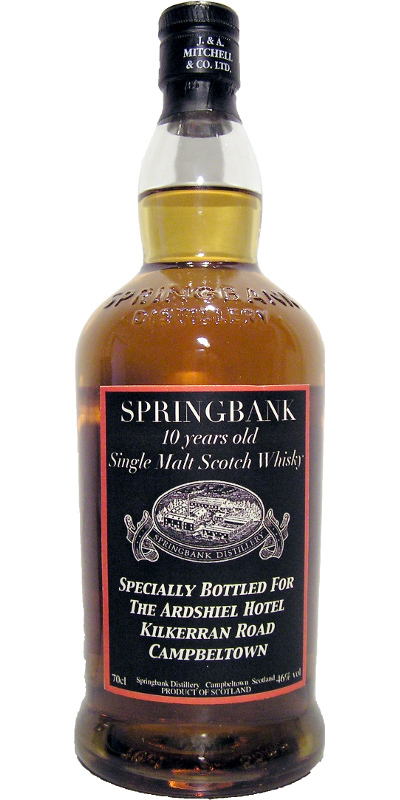 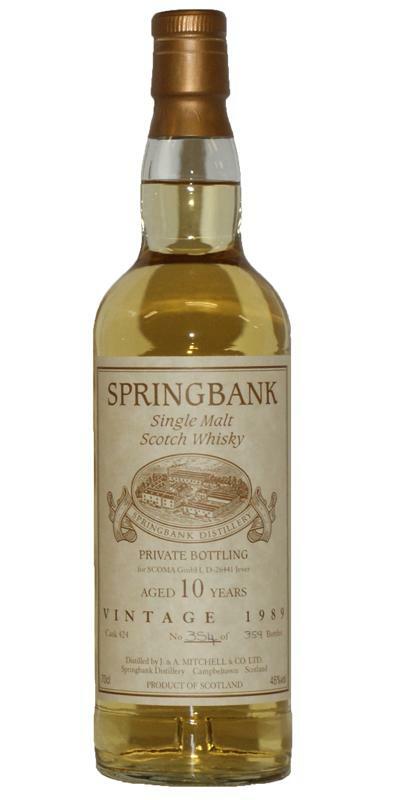 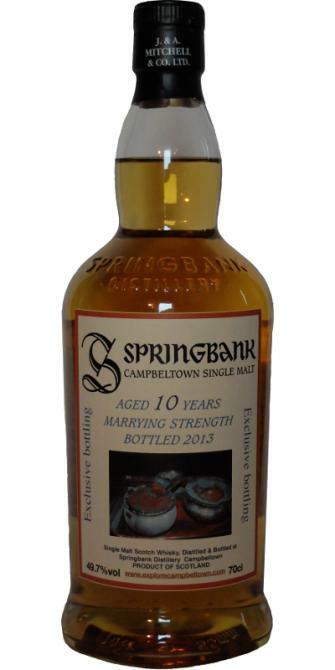 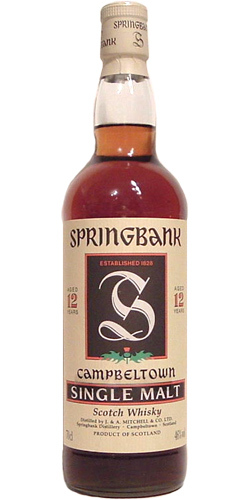 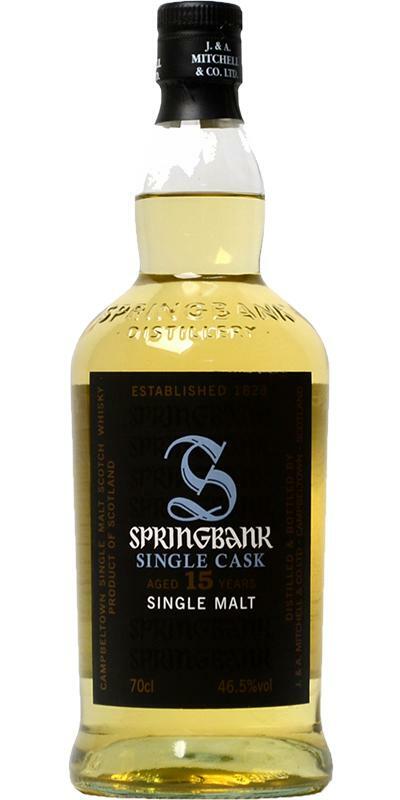 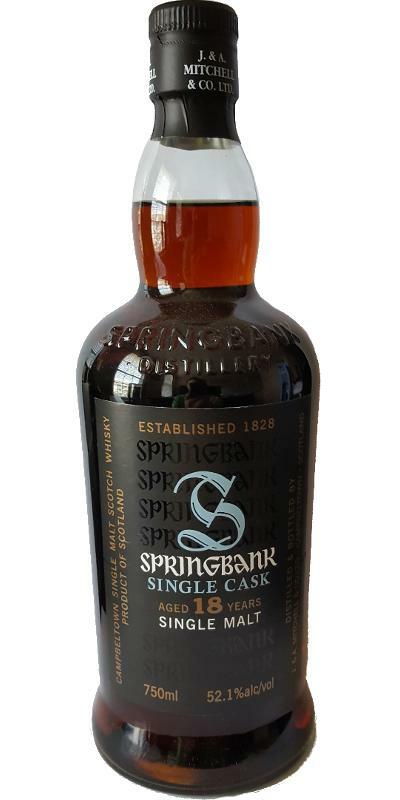 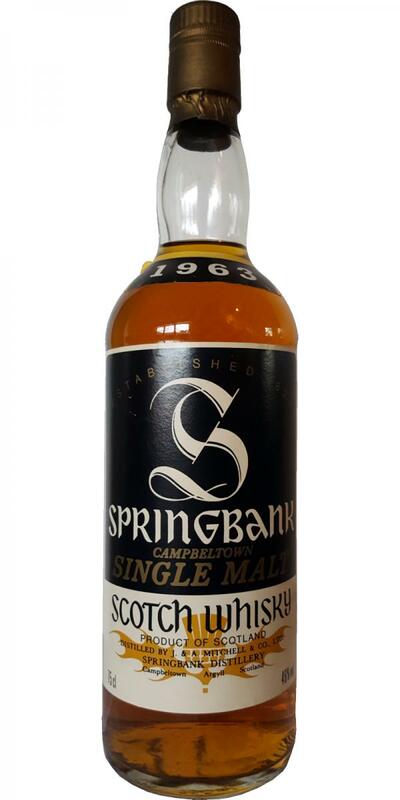 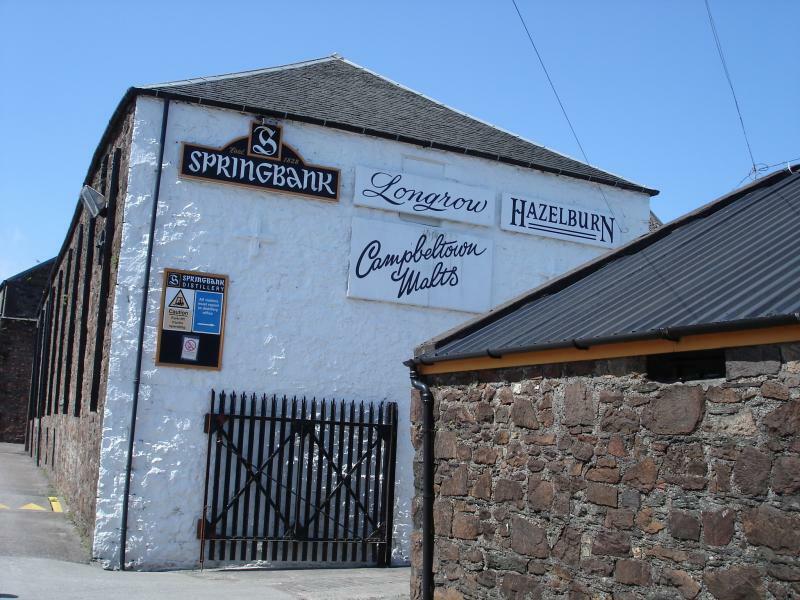 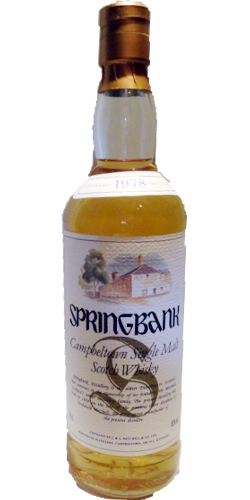 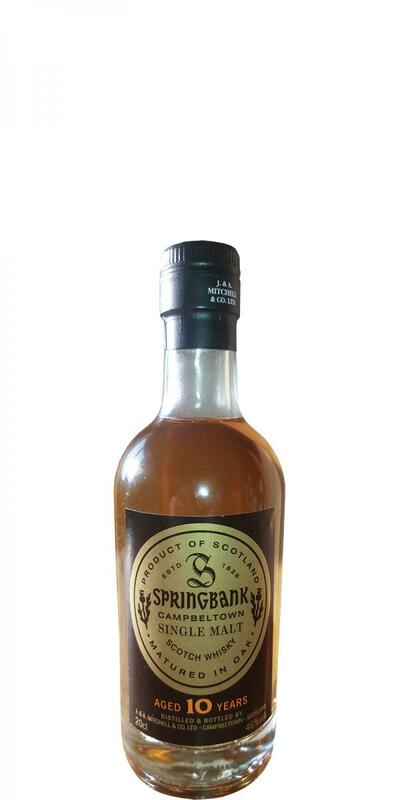 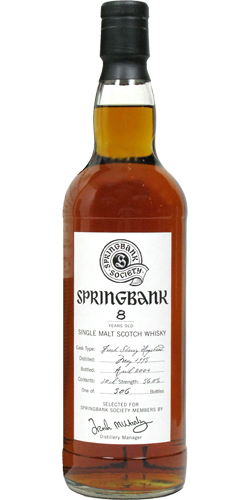 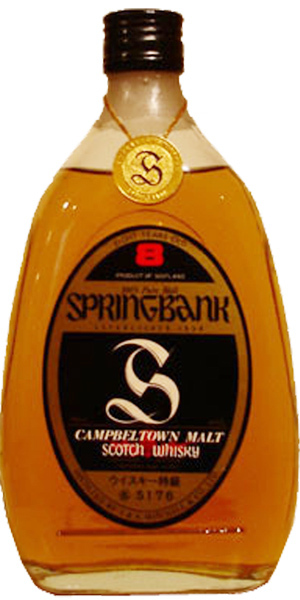 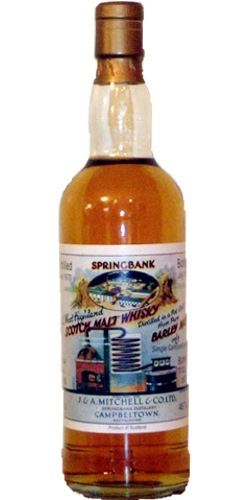 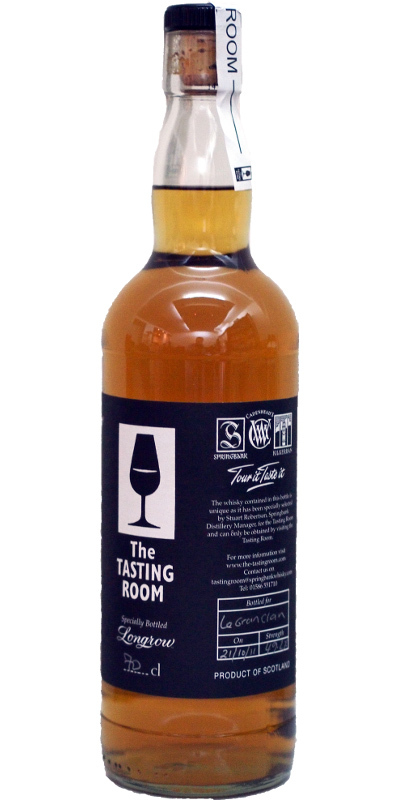 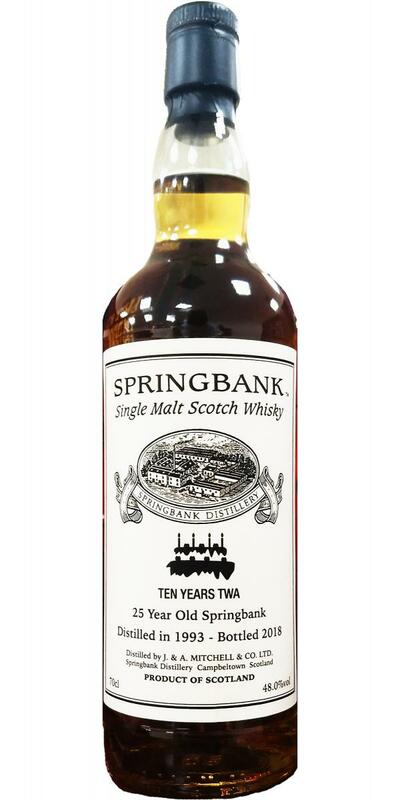 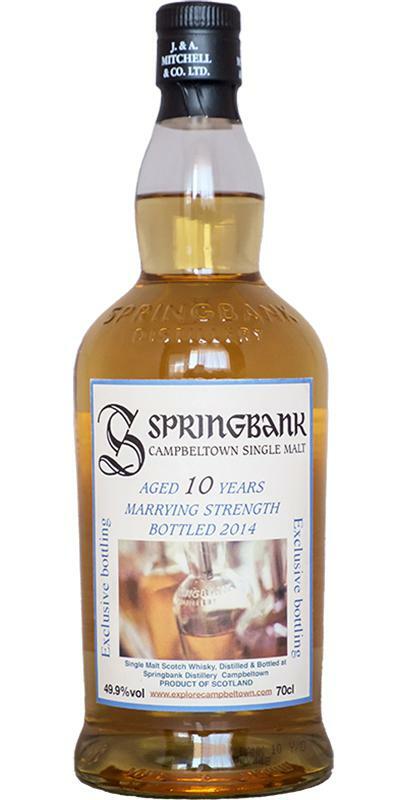 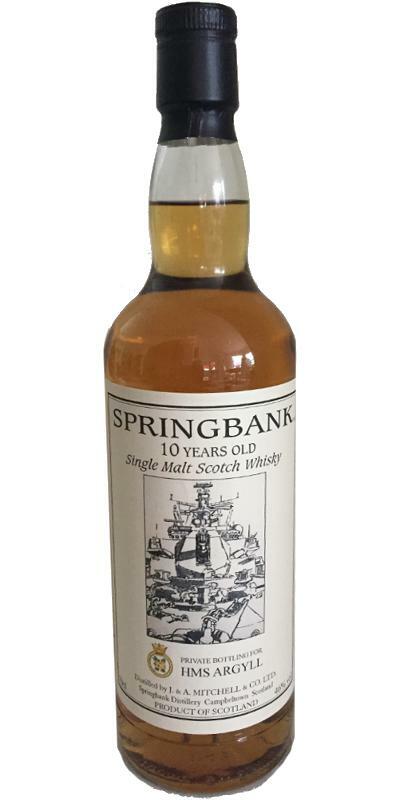 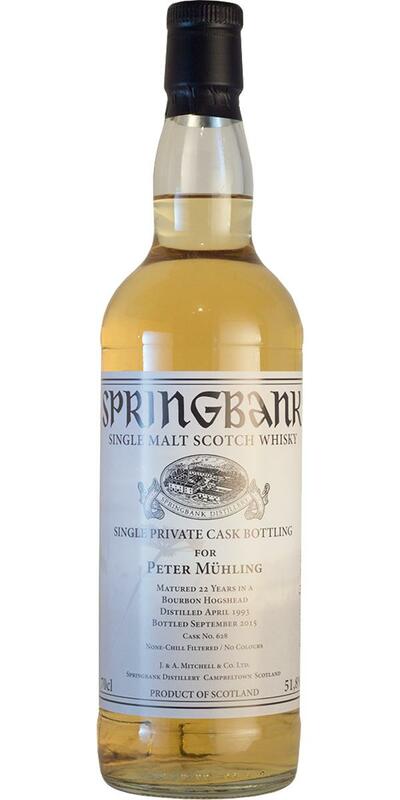 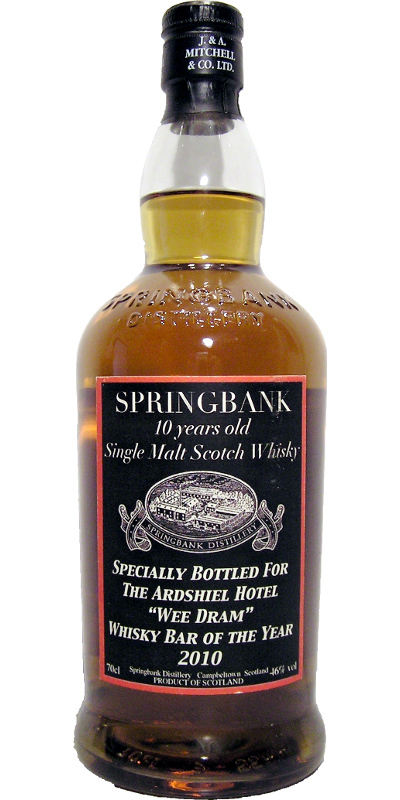 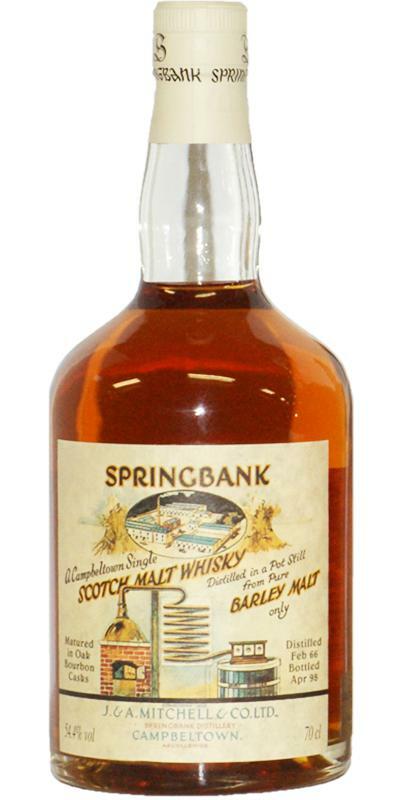 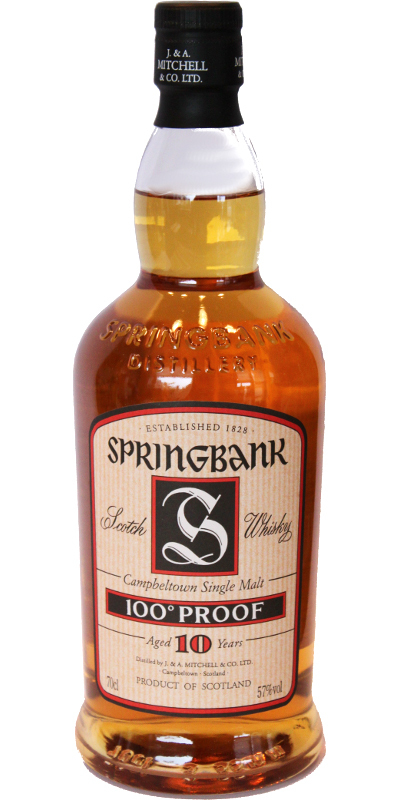 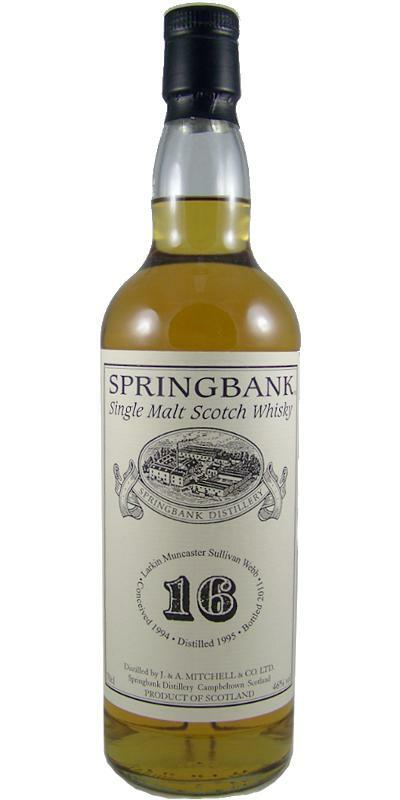 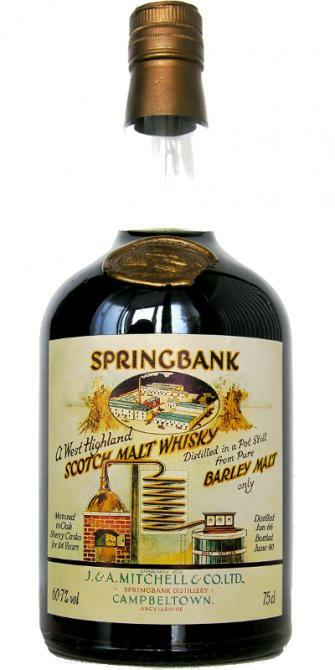 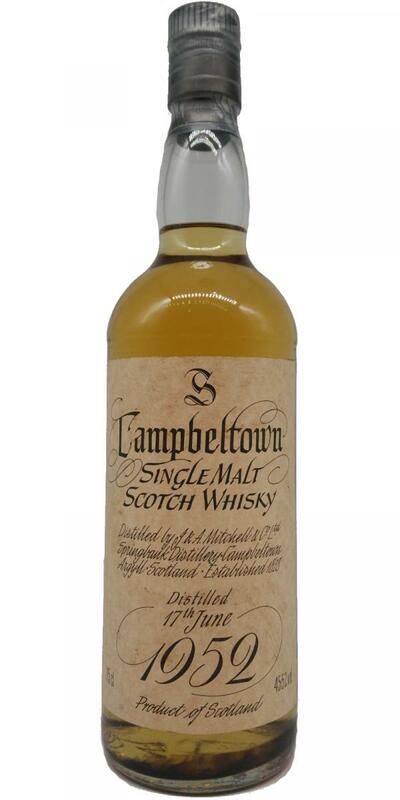 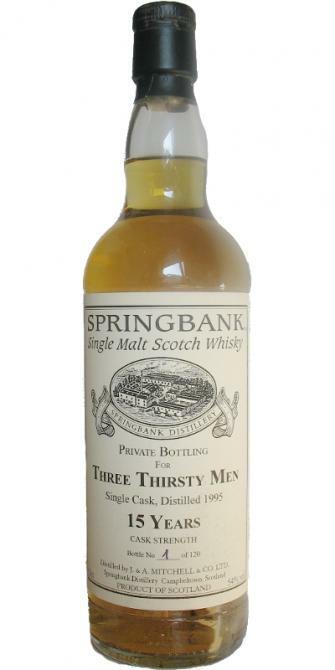 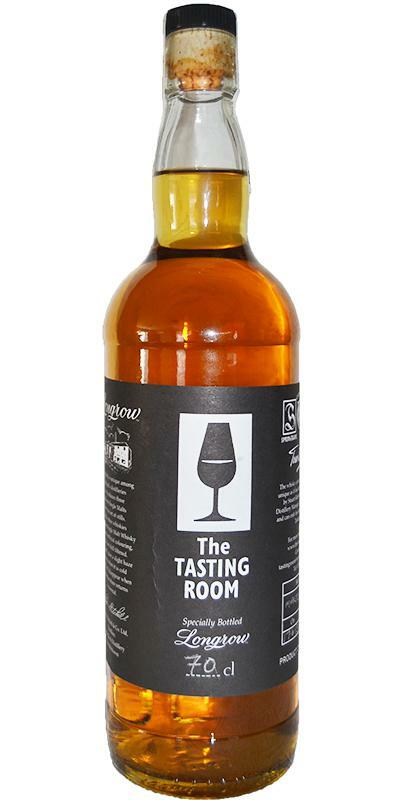 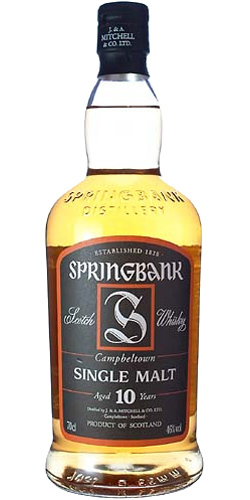 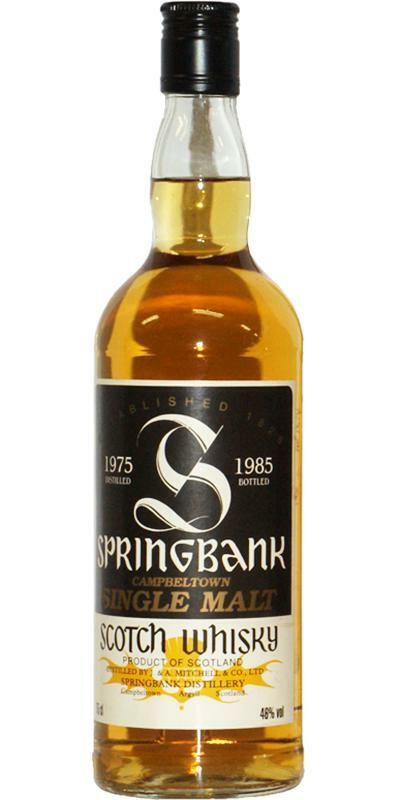 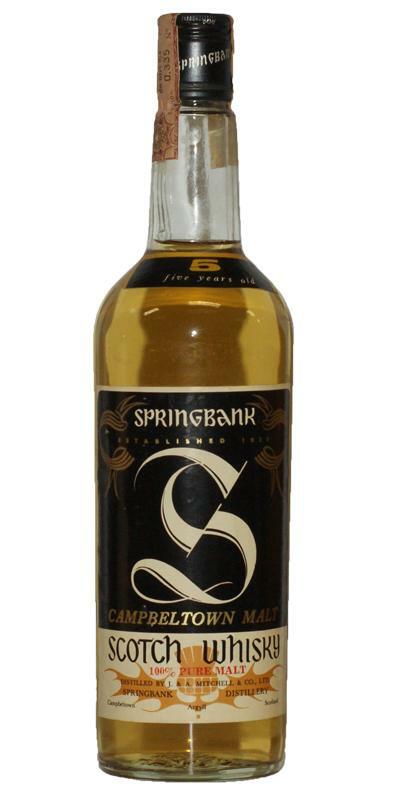 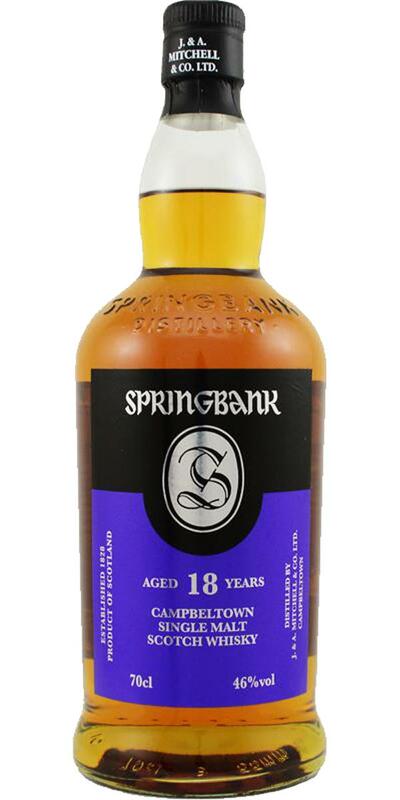 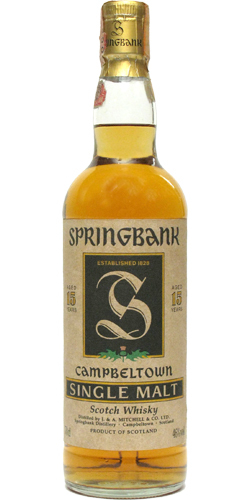 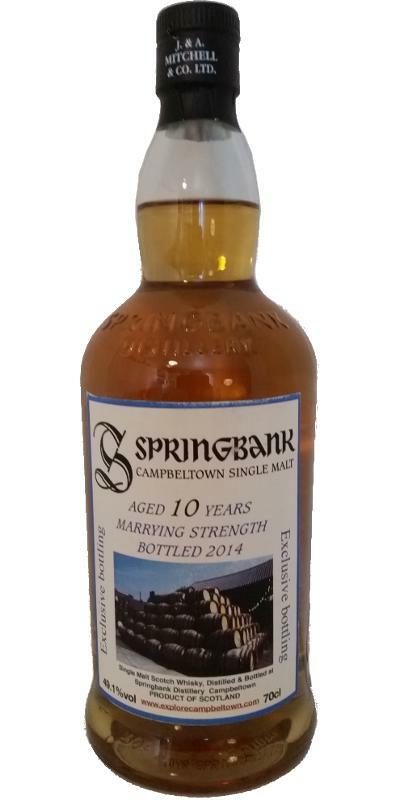 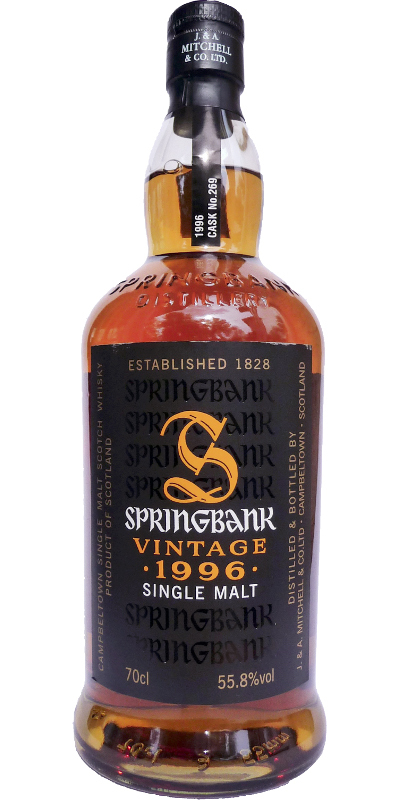 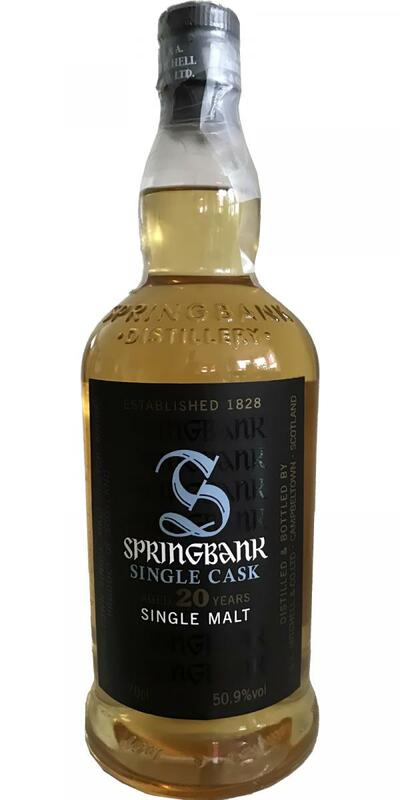 Springbank 08-year-old 100% Pure Malt 08 43.0 % Vol. 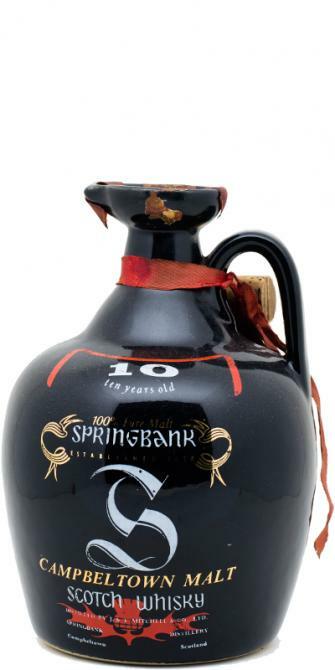 Springbank 10-year-old Black Label 10 43.0 % Vol. 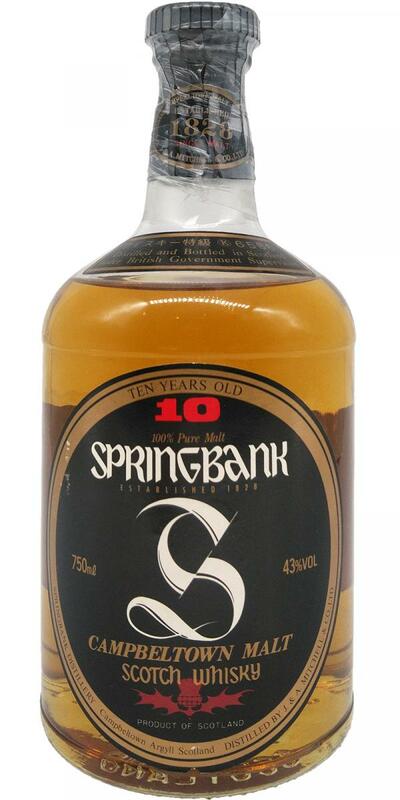 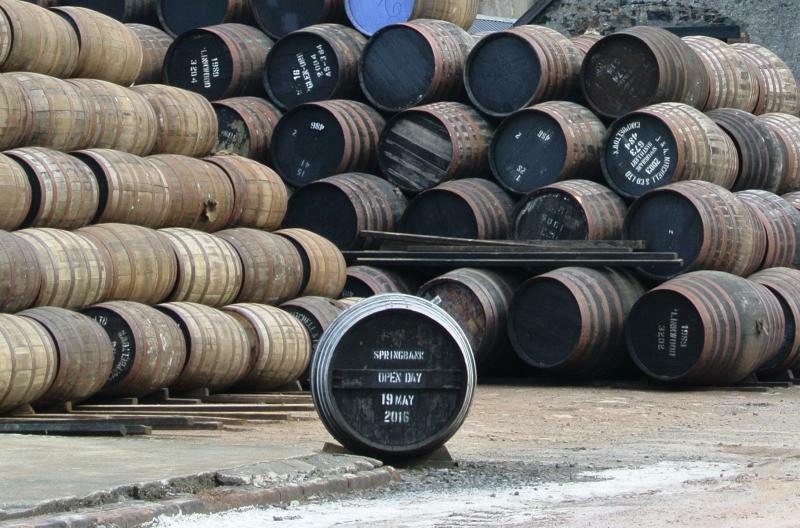 Springbank 10-year-old 10 46.0 % Vol. 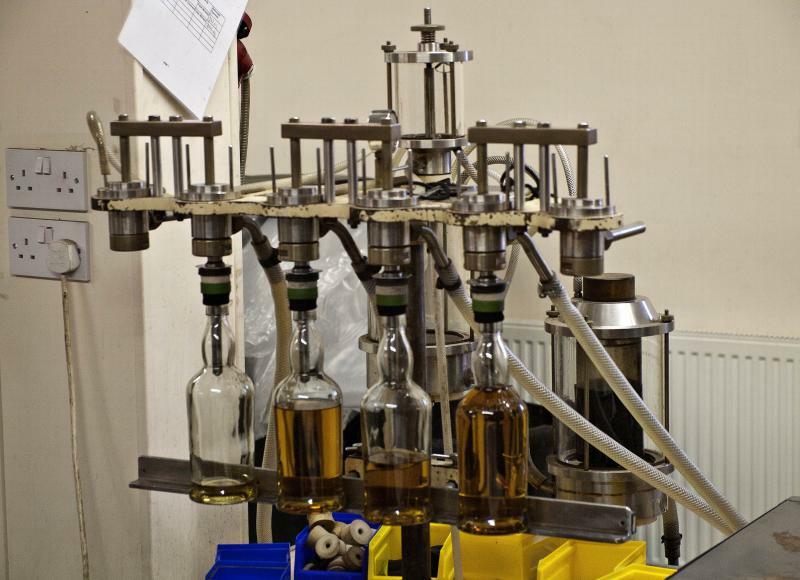 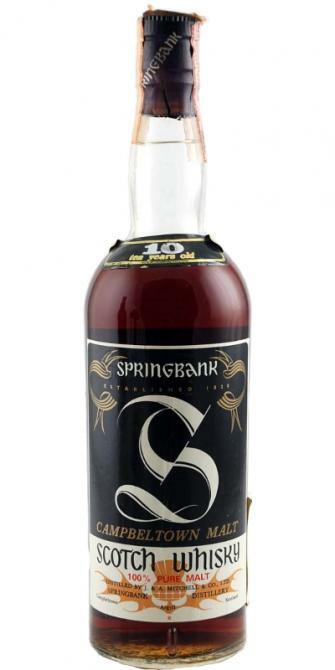 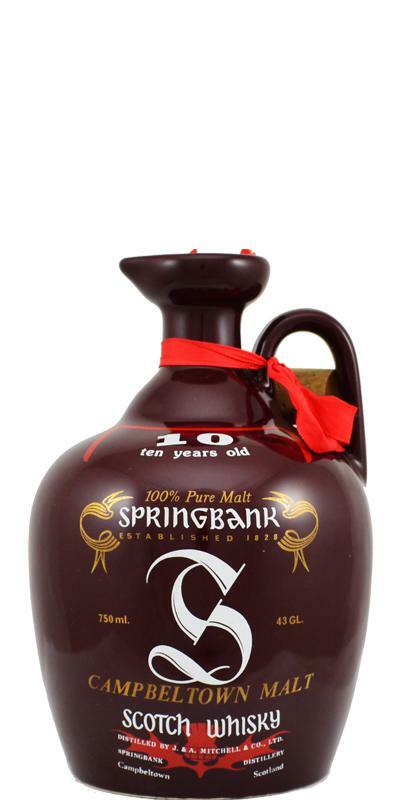 Springbank 10-year-old Private Bottling 10 46.0 % Vol. 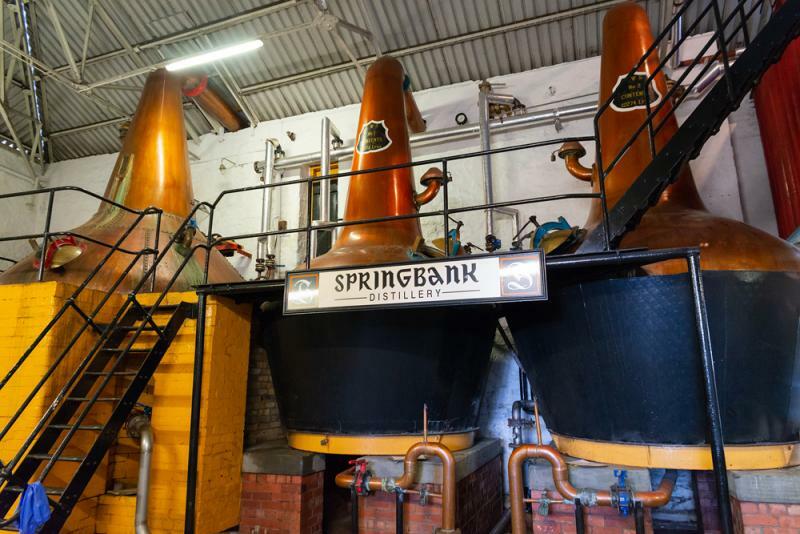 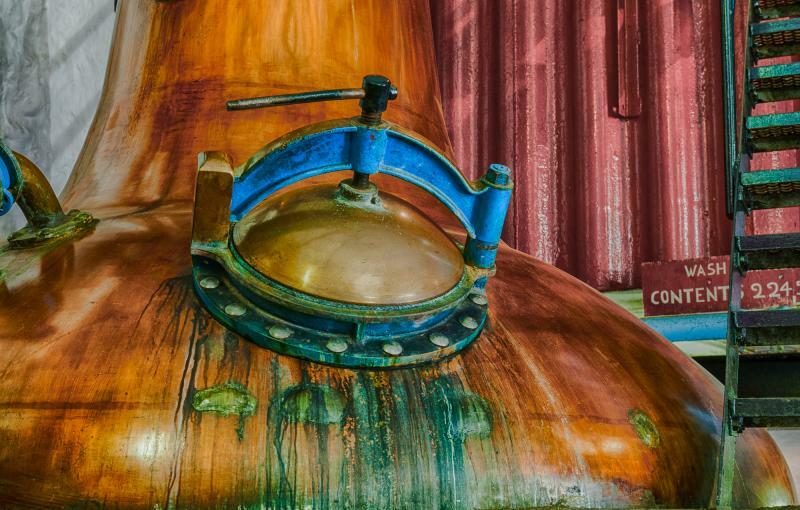 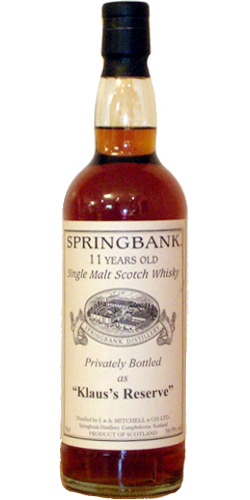 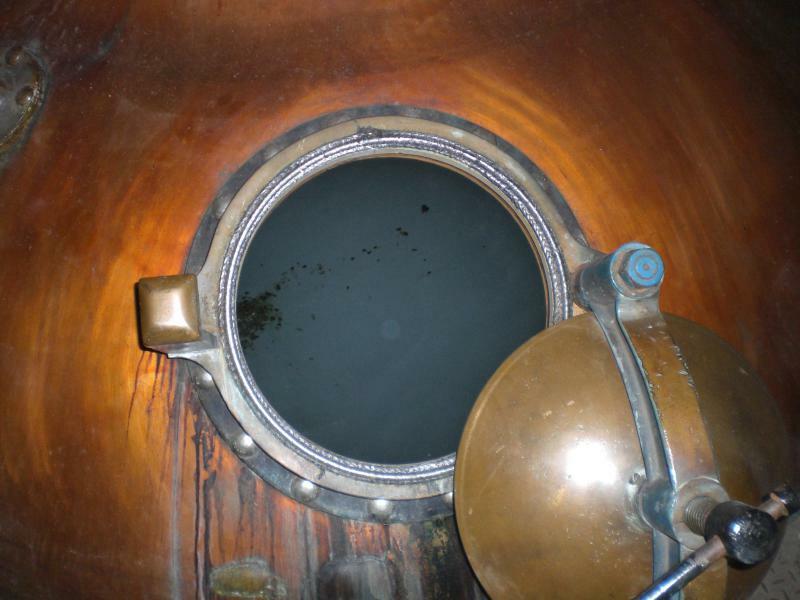 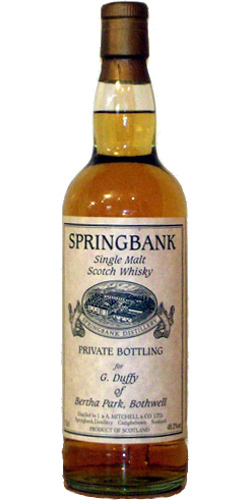 Springbank 11-year-old Private Bottling 11 56.9 % Vol. 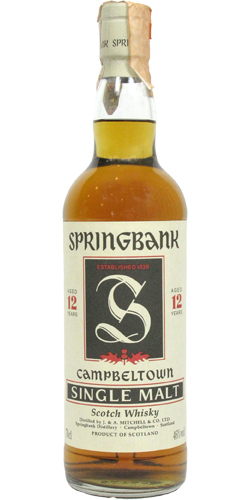 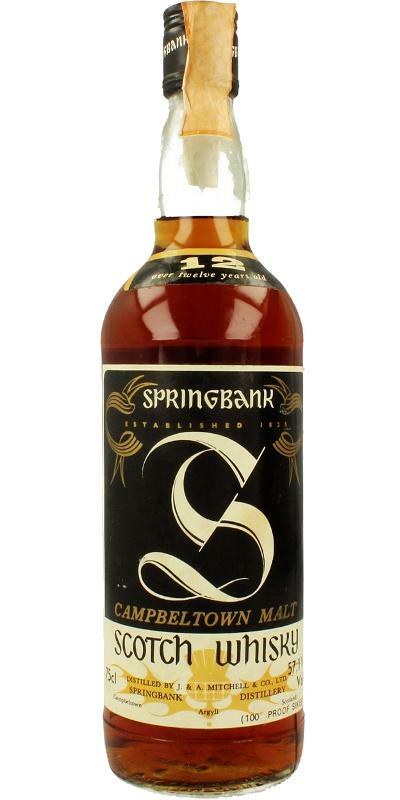 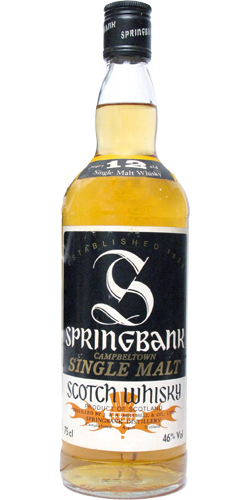 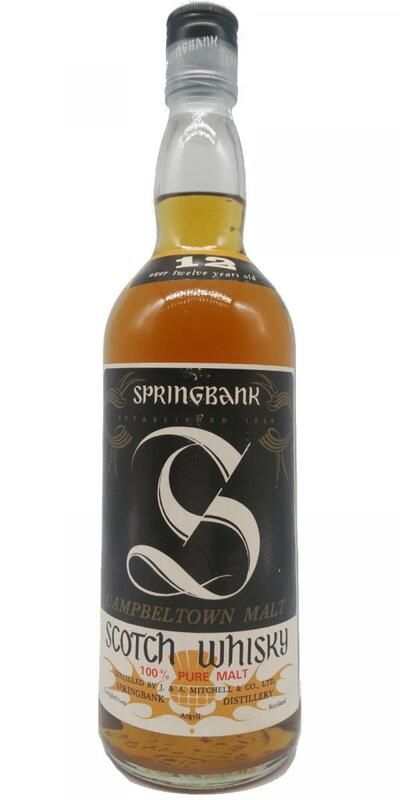 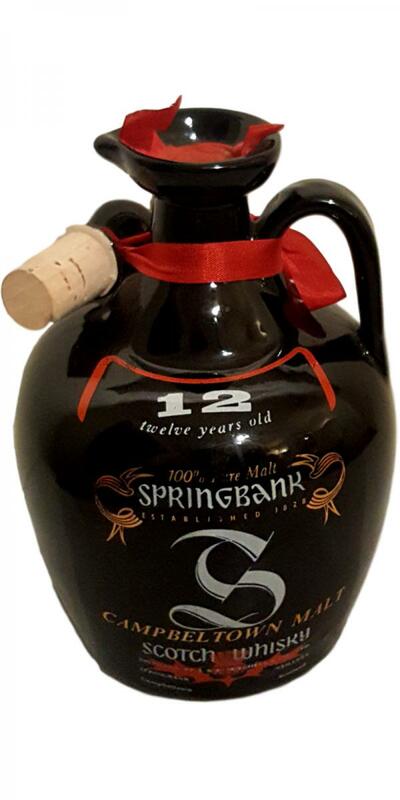 Springbank 12-year-old Black Label Screw cap 12 43.0 % Vol. 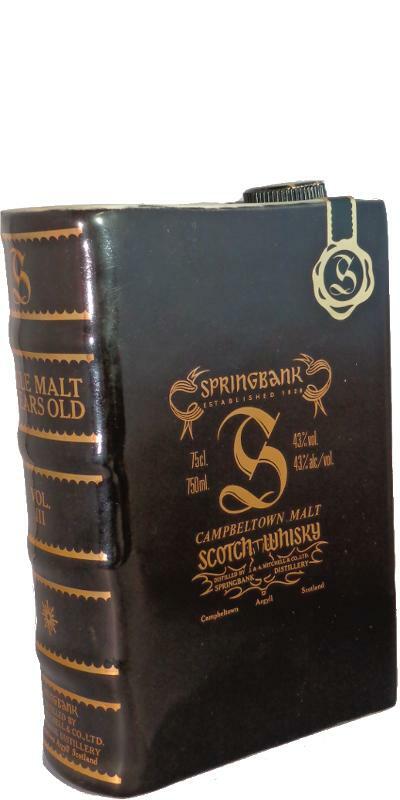 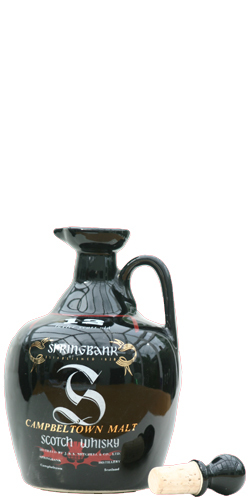 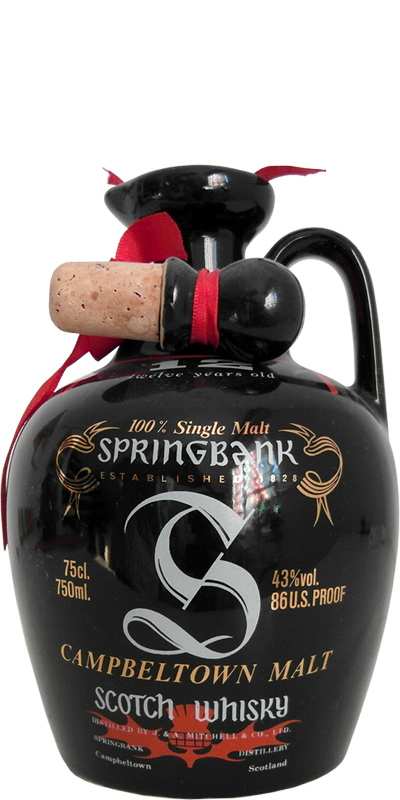 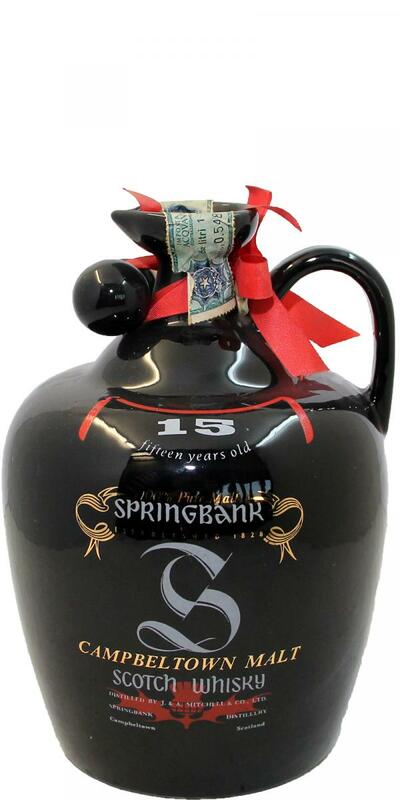 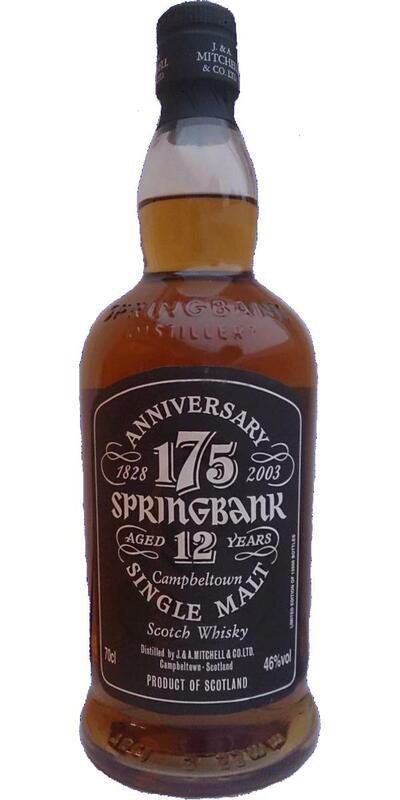 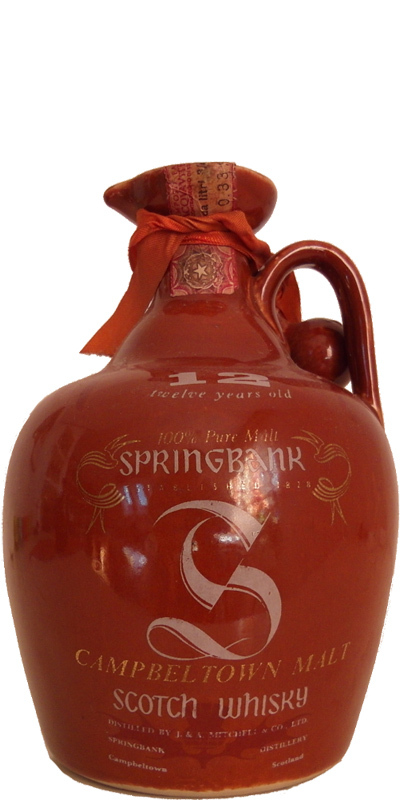 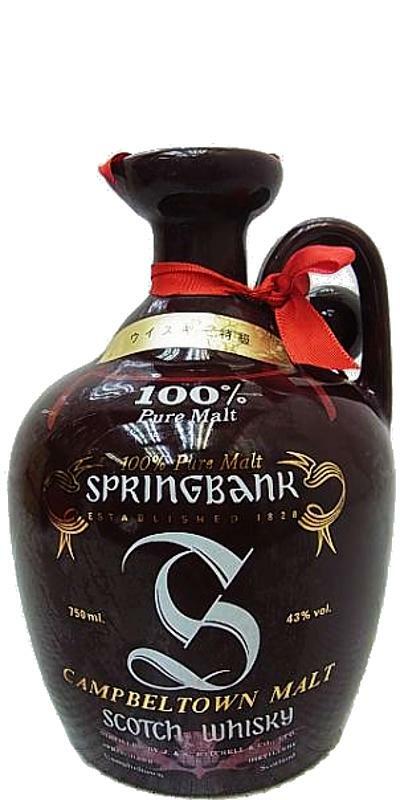 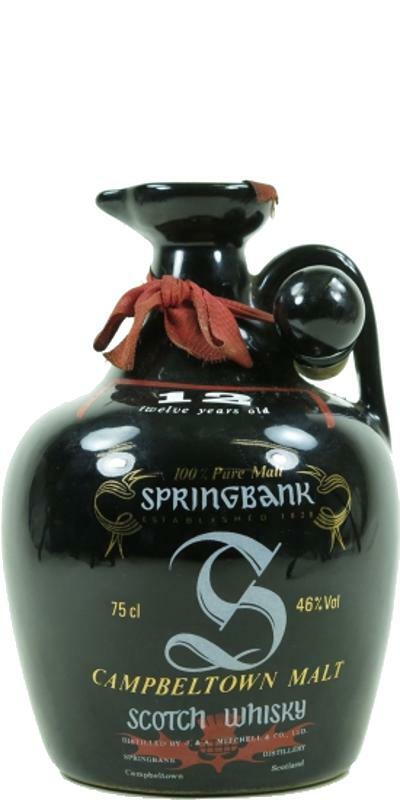 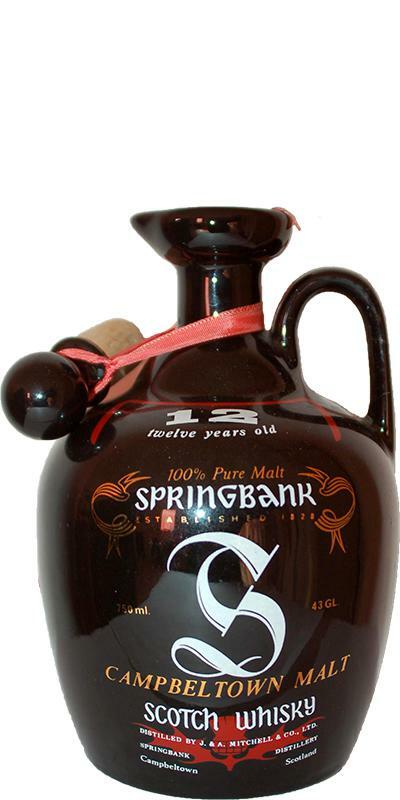 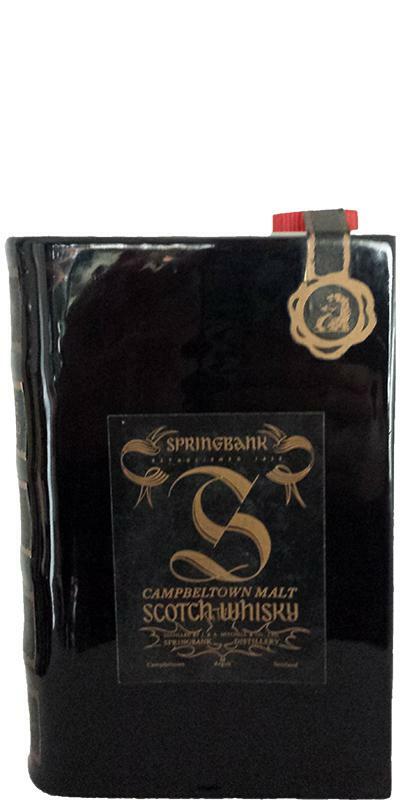 Springbank 12-year-old Ceramic Jug - black 12 43.0 % Vol. 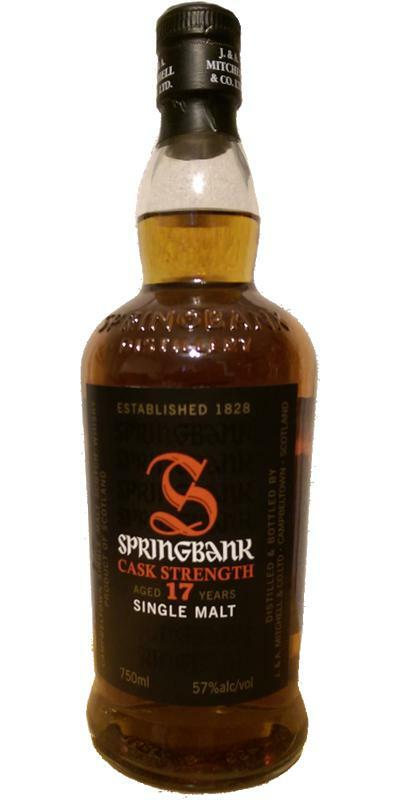 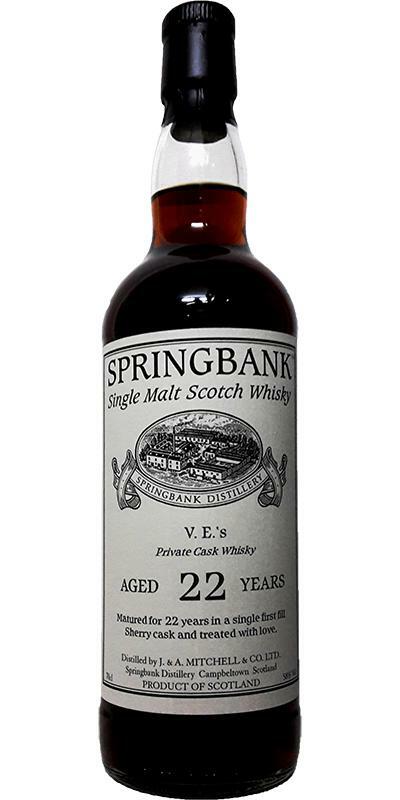 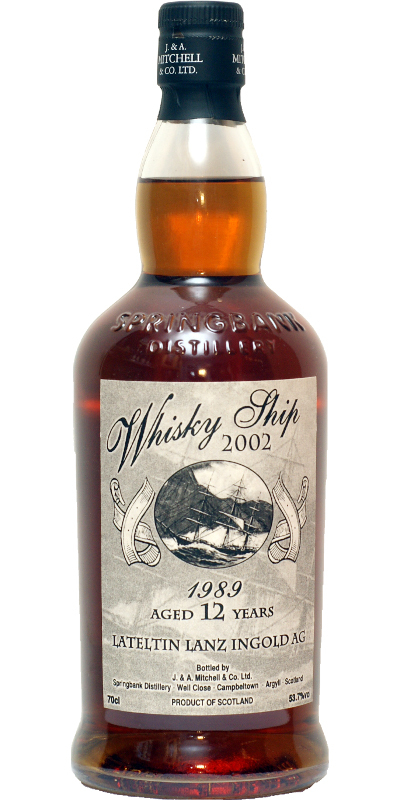 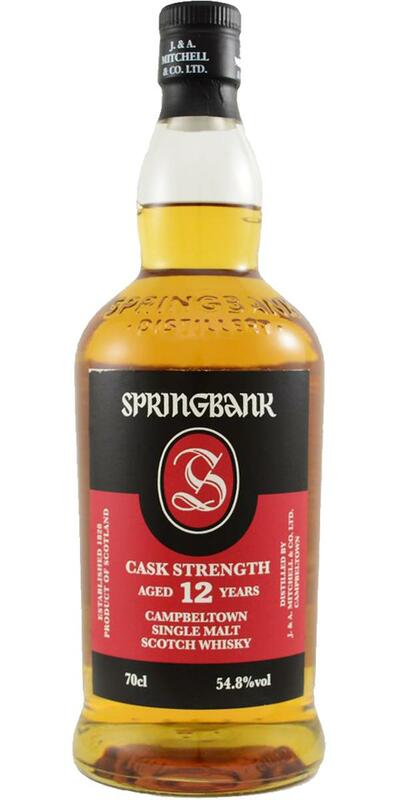 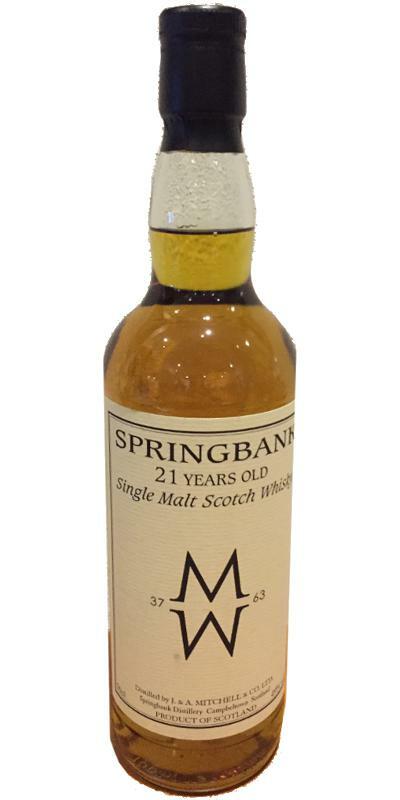 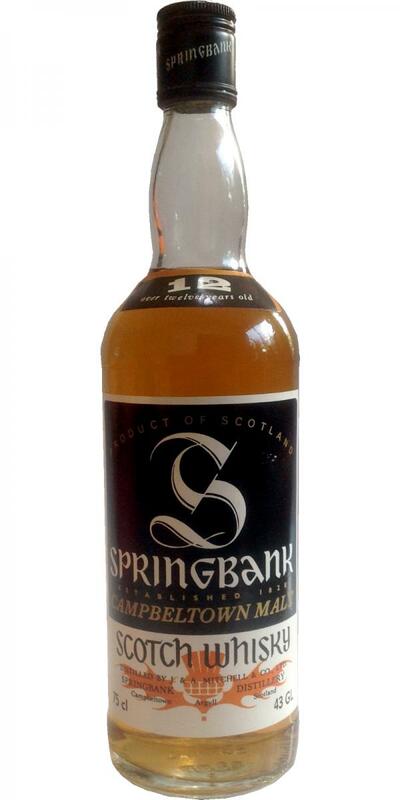 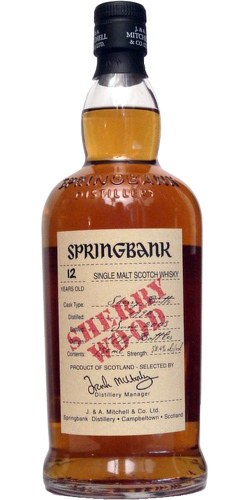 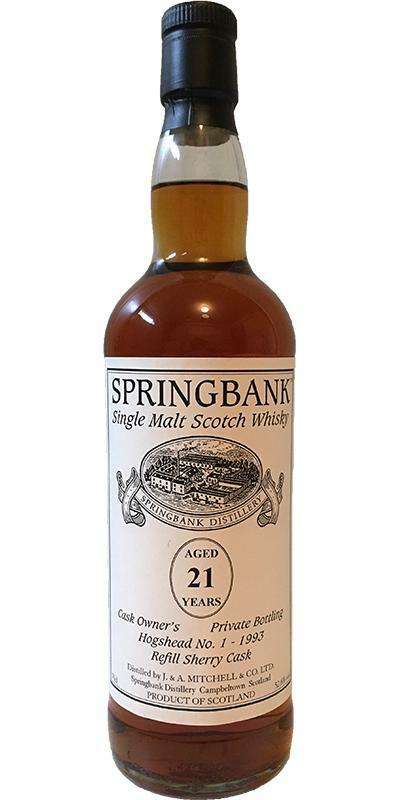 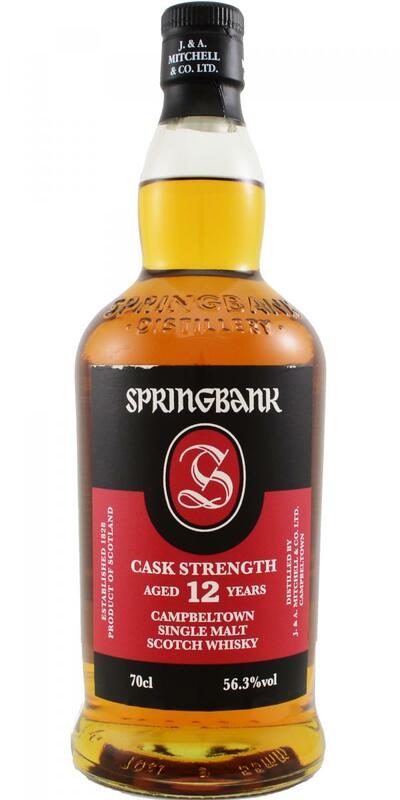 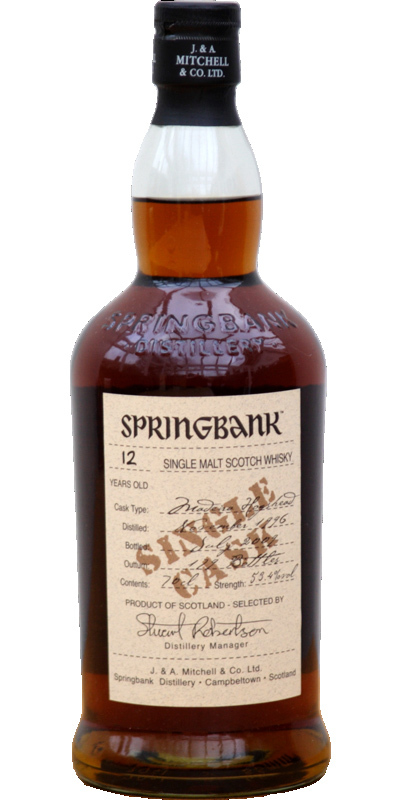 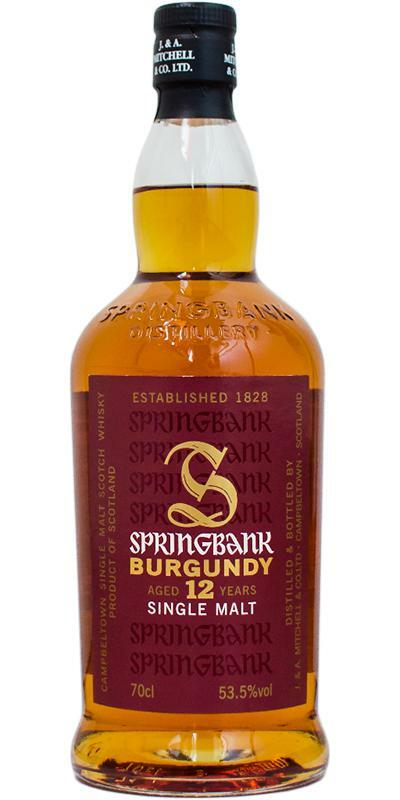 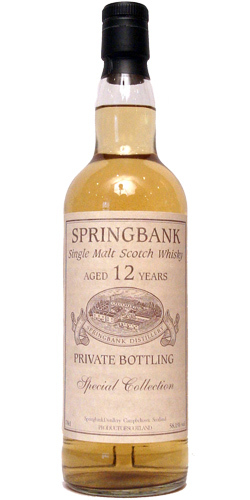 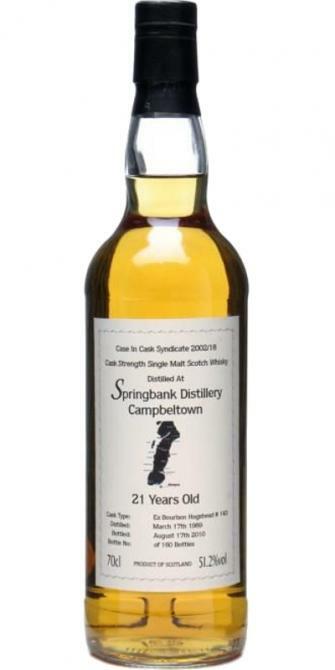 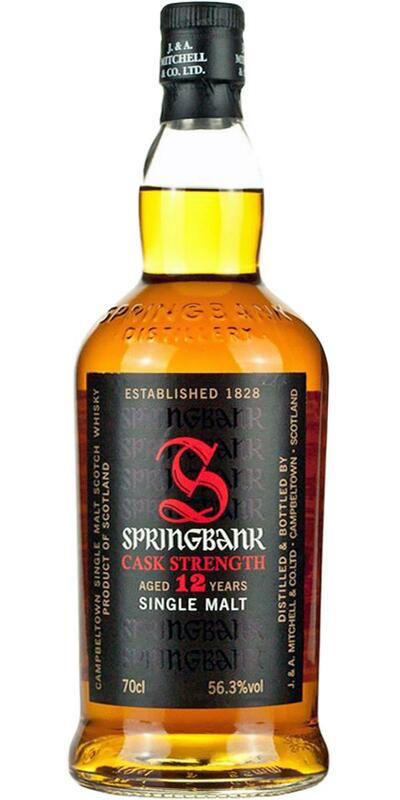 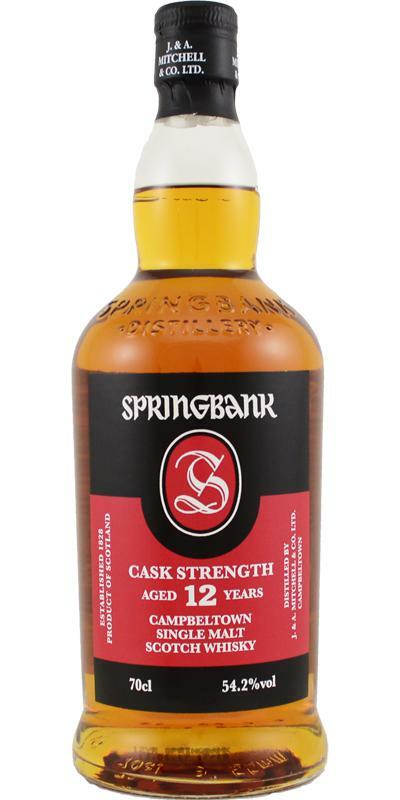 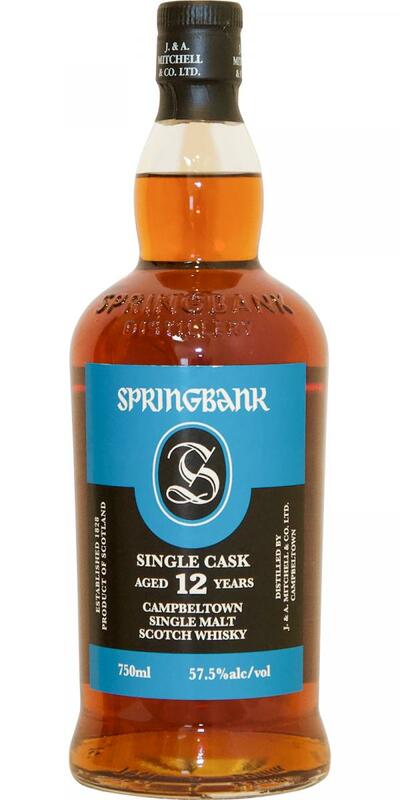 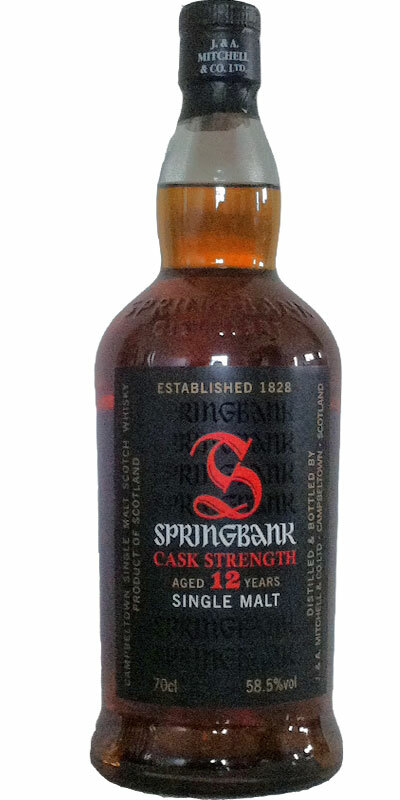 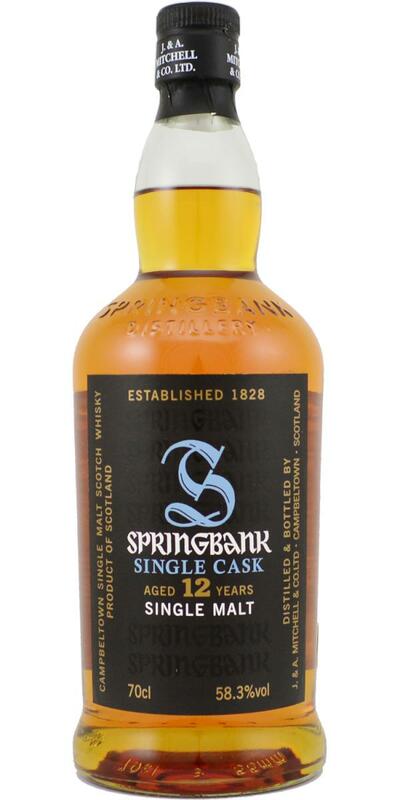 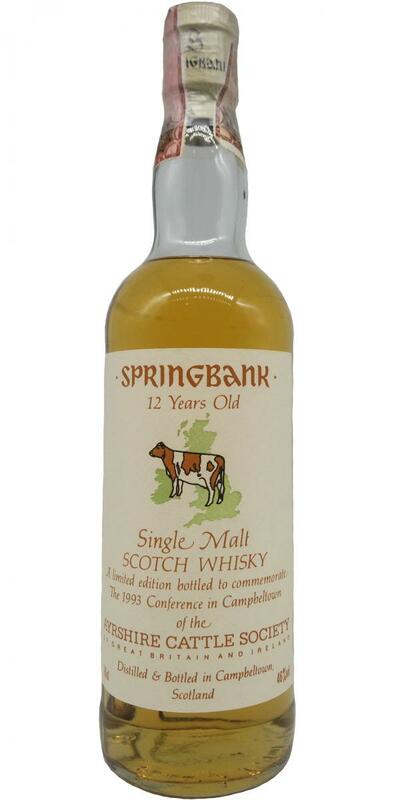 Springbank 12-year-old Black Label, Brown Glas, Cork 12 43.0 % Vol. 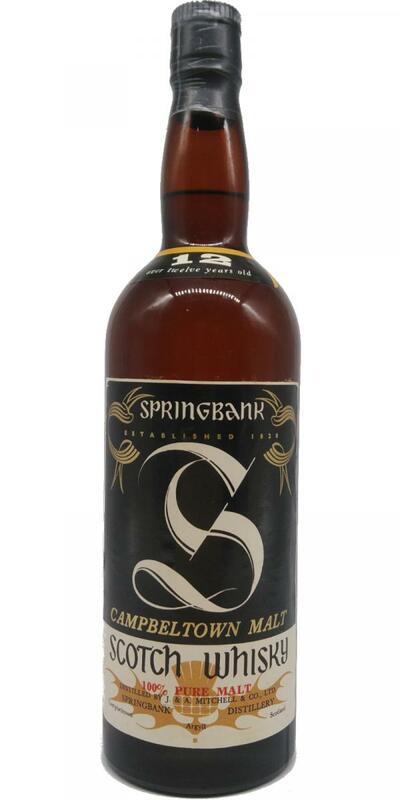 Springbank 12-year-old Black label 12 43.0 % Vol. 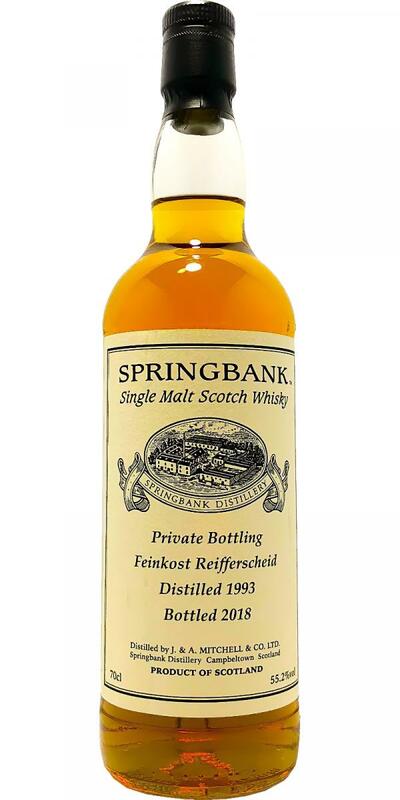 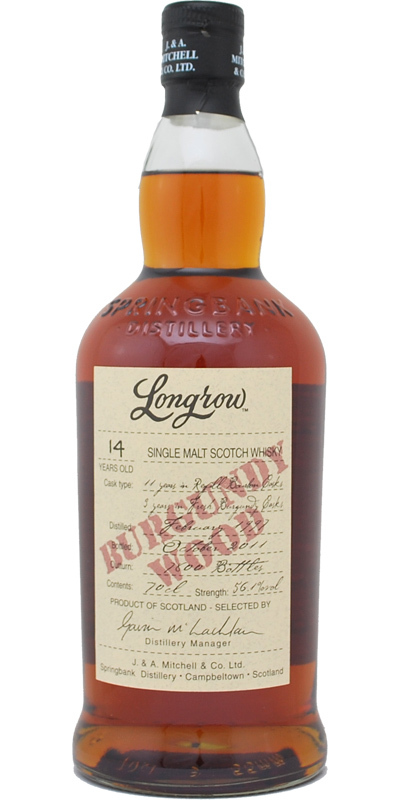 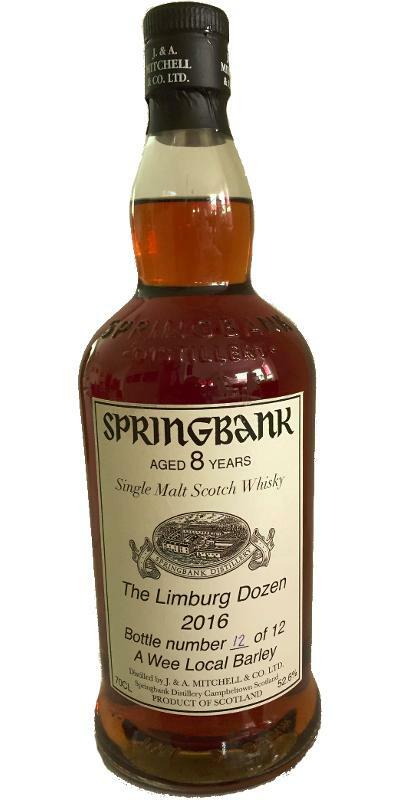 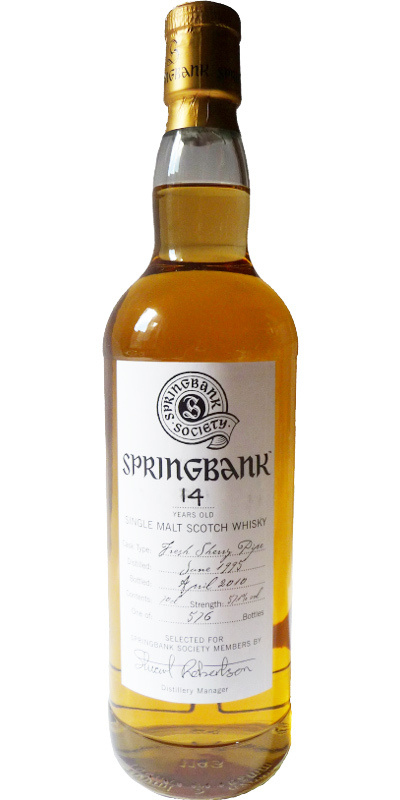 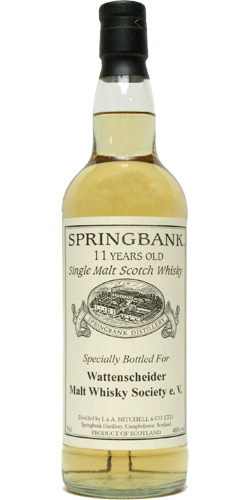 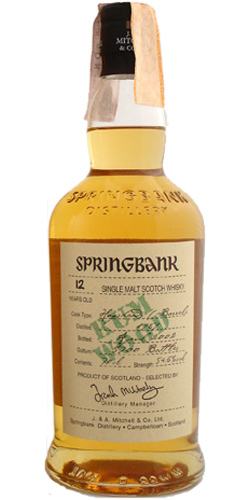 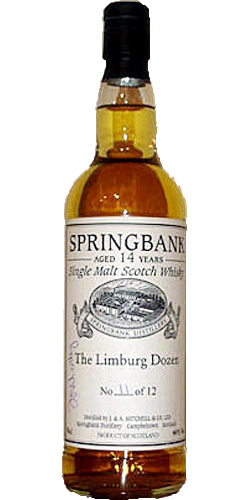 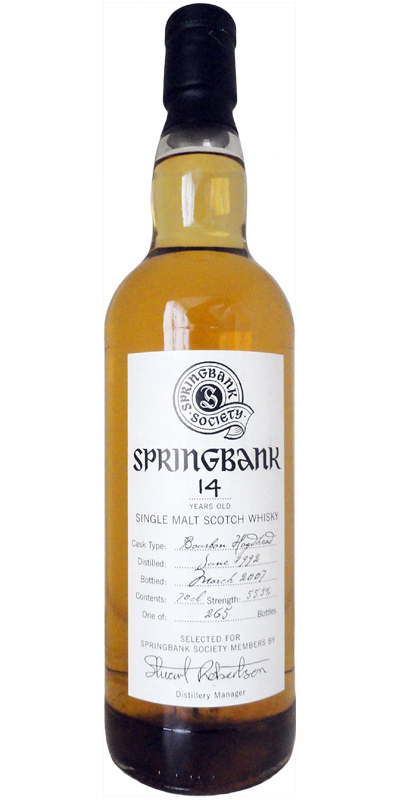 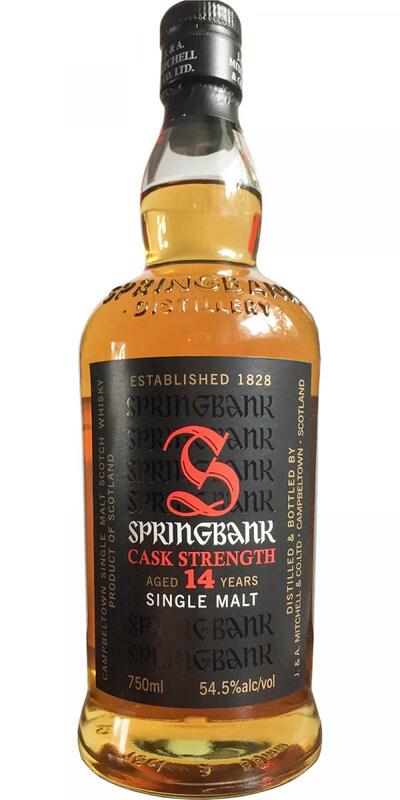 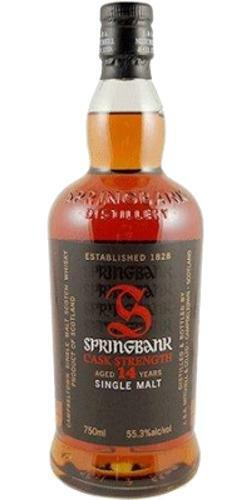 Springbank 14-year-old The Limburg Dozen 14 46.0 % Vol. 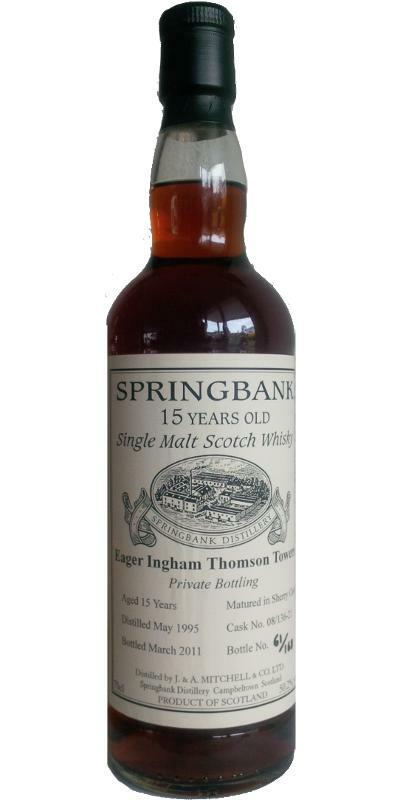 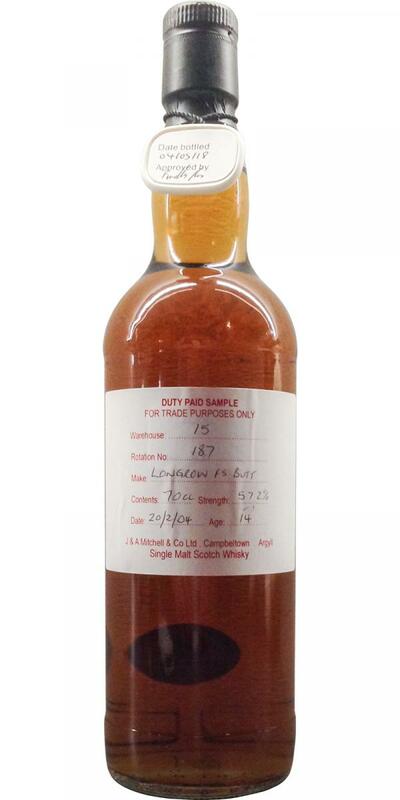 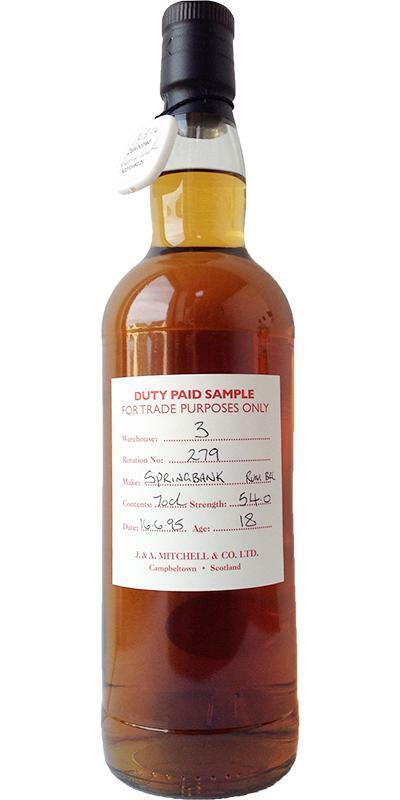 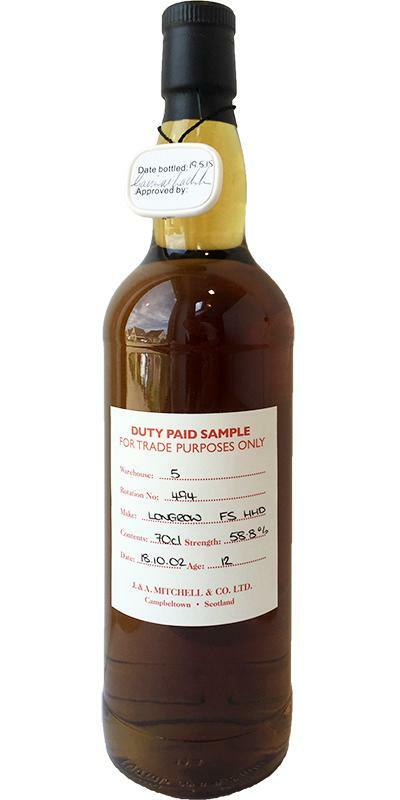 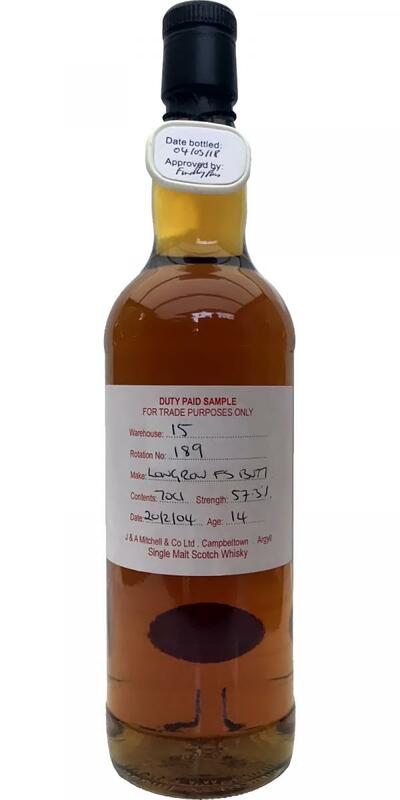 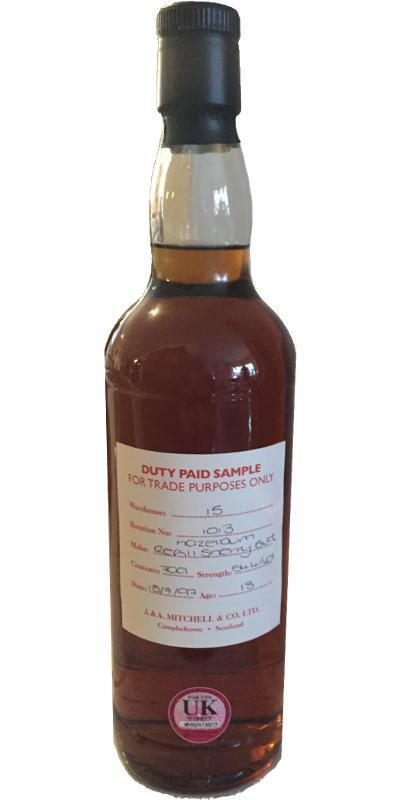 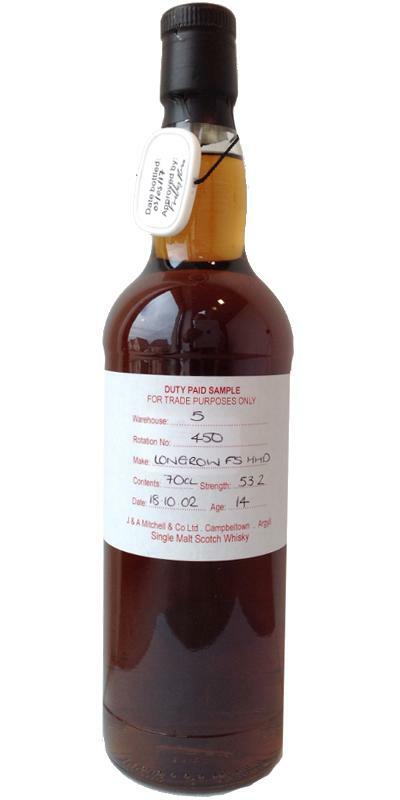 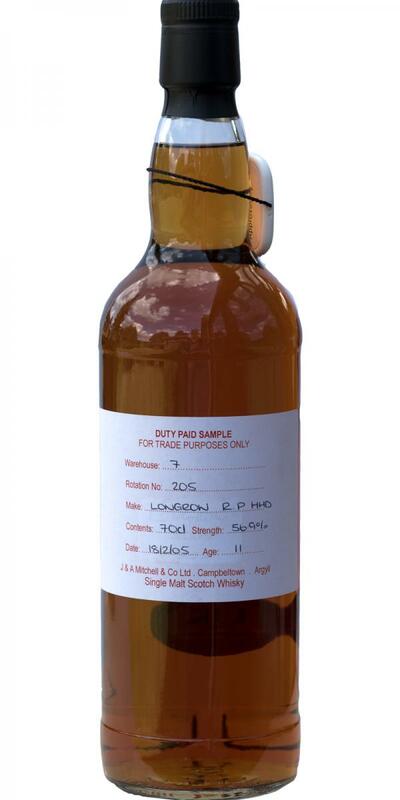 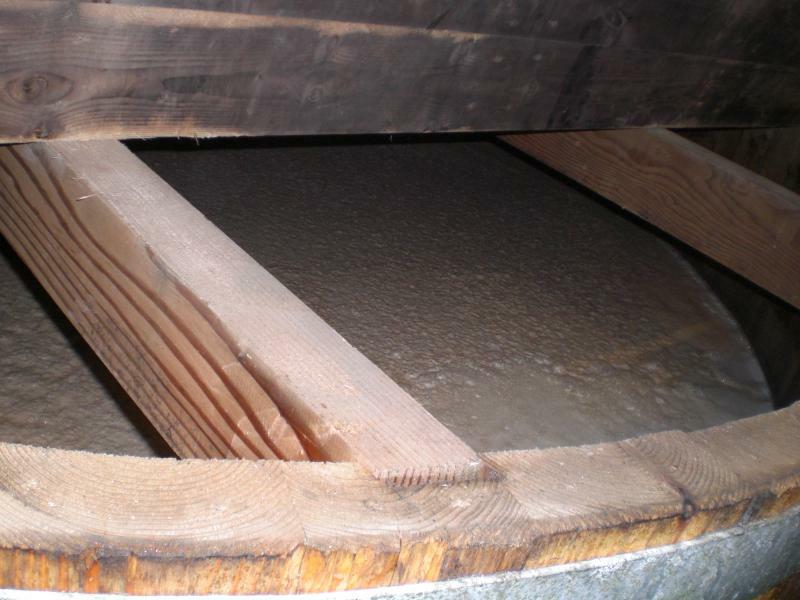 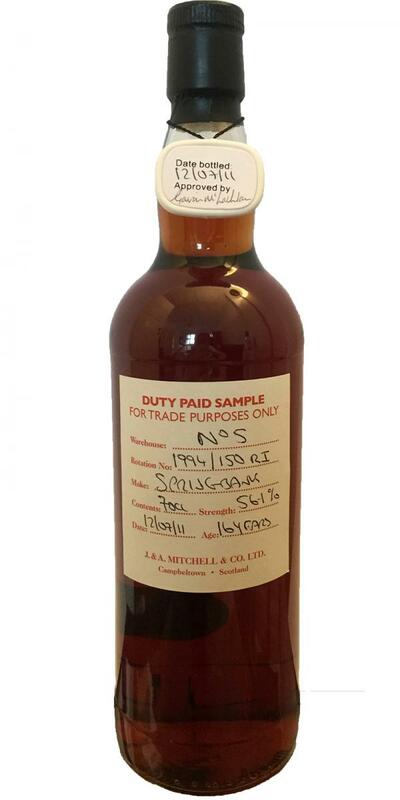 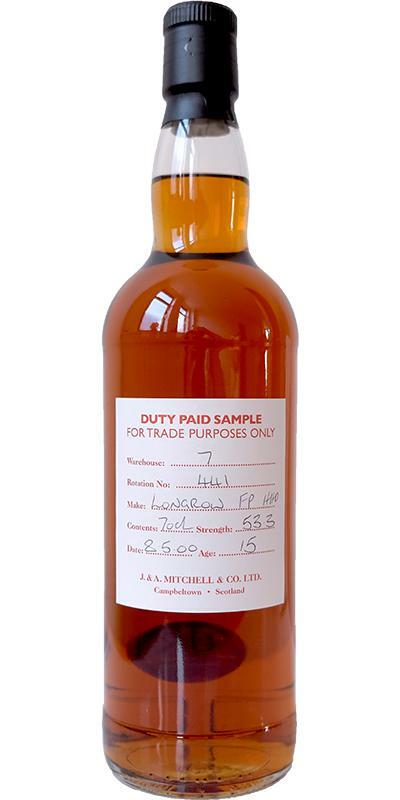 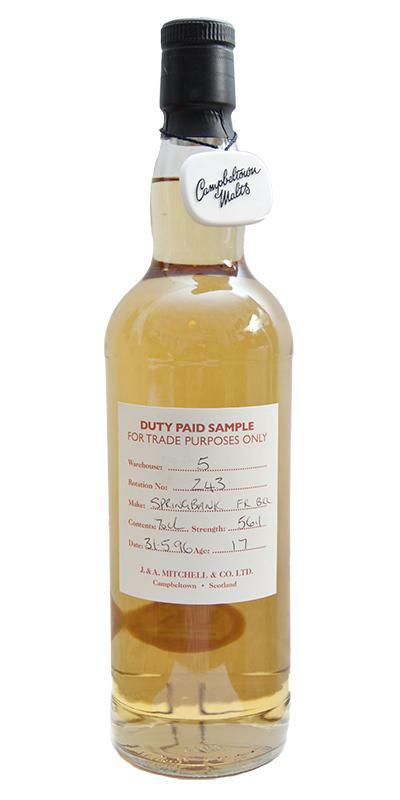 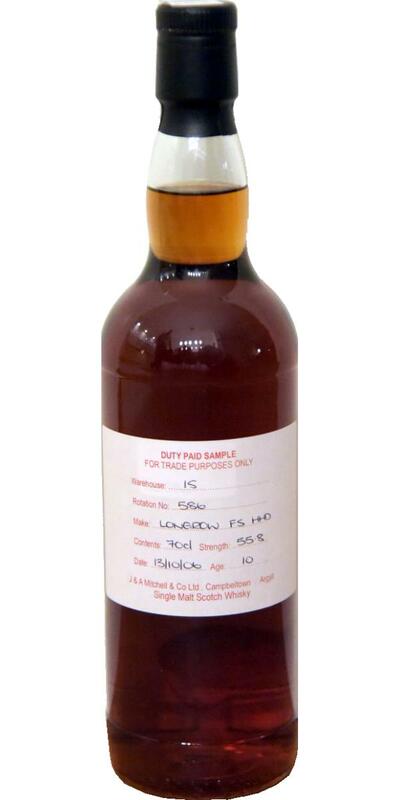 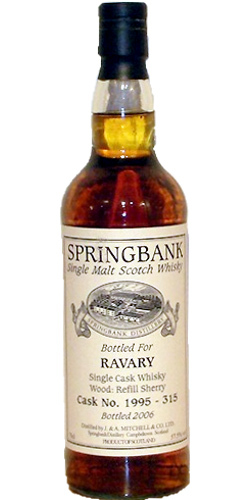 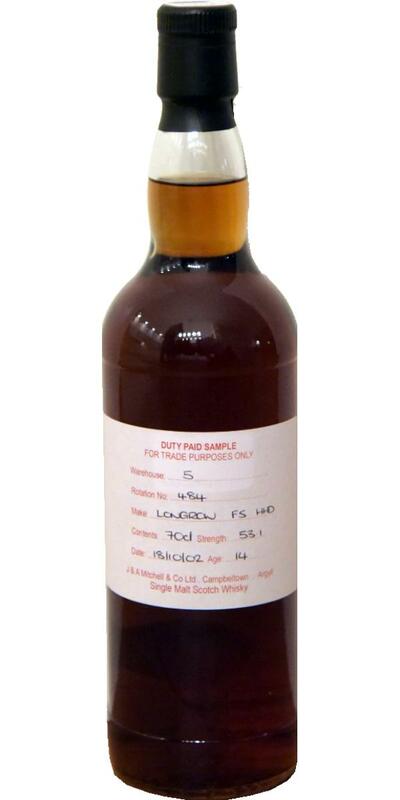 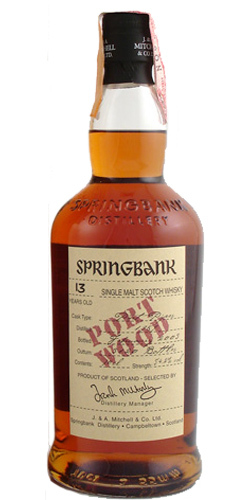 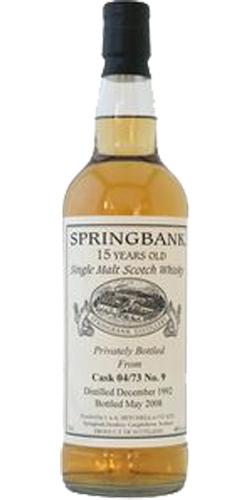 Springbank 15-year-old Round Dumpy - Parchment style label 15 46.0 % Vol. 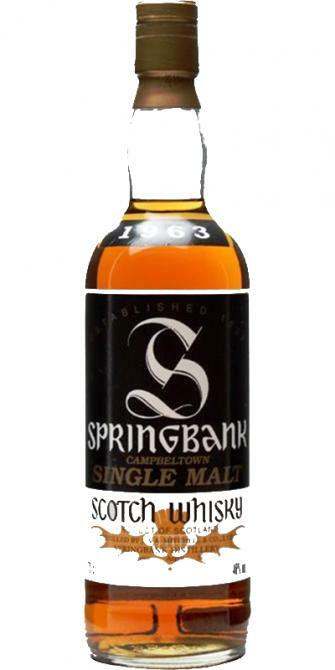 Springbank 15-year-old Black Label 15 43.0 % Vol. 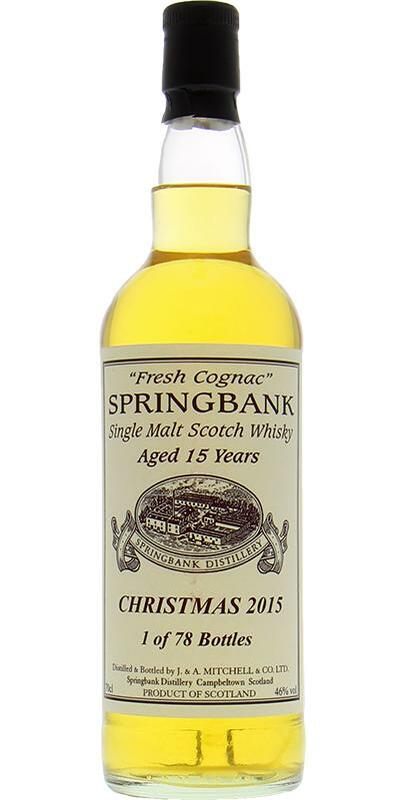 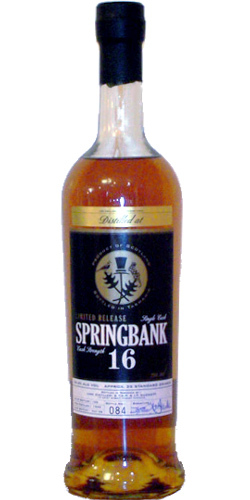 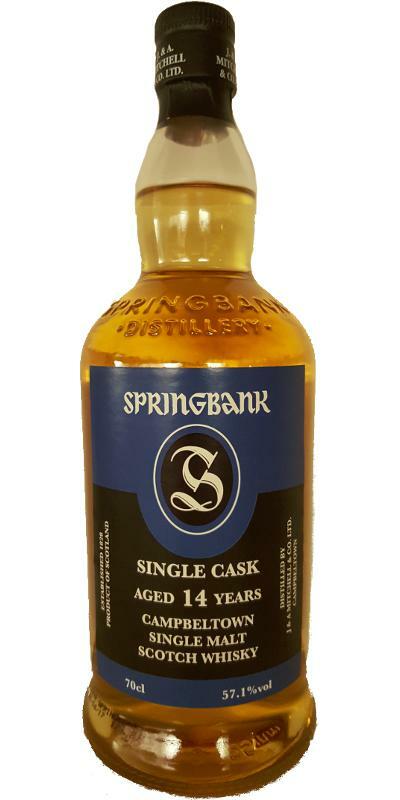 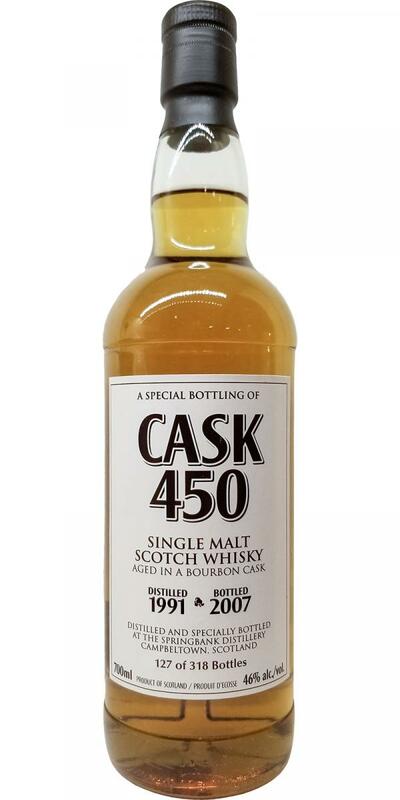 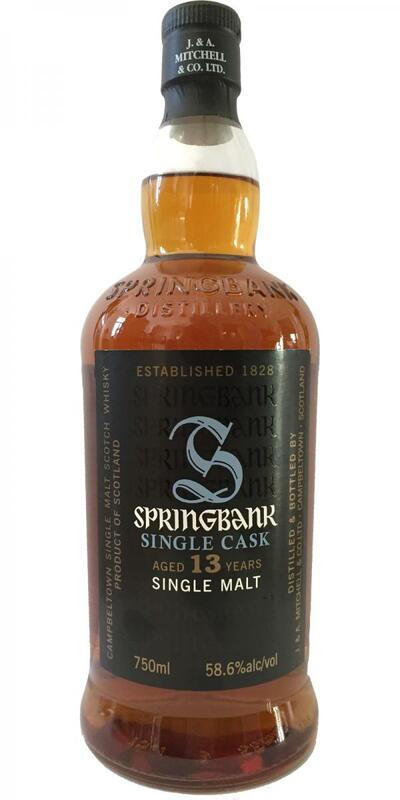 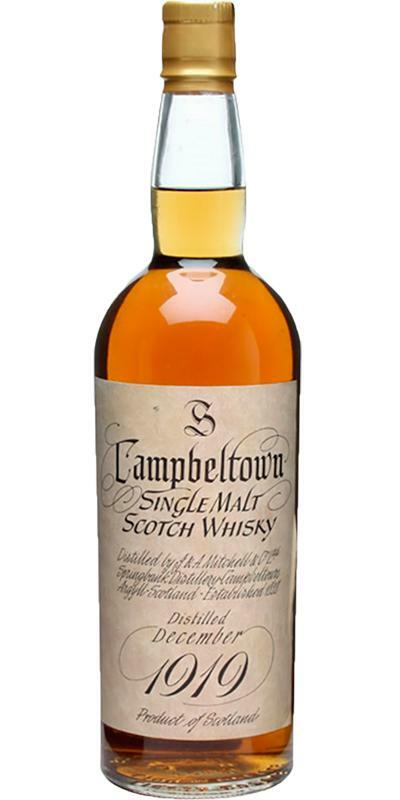 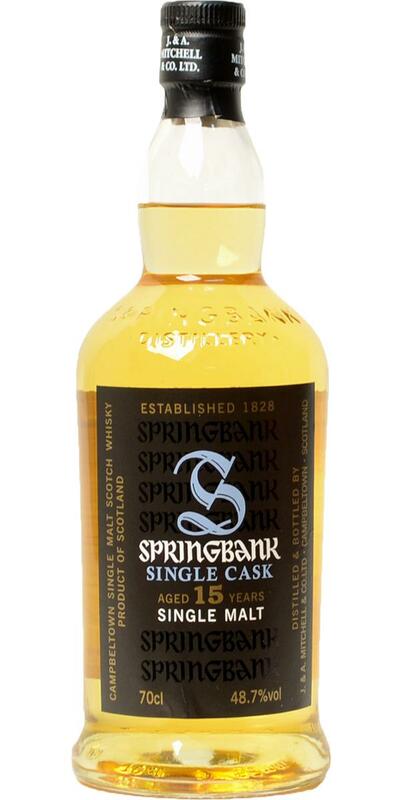 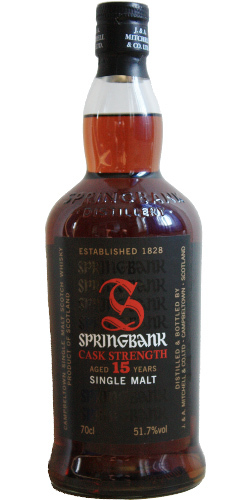 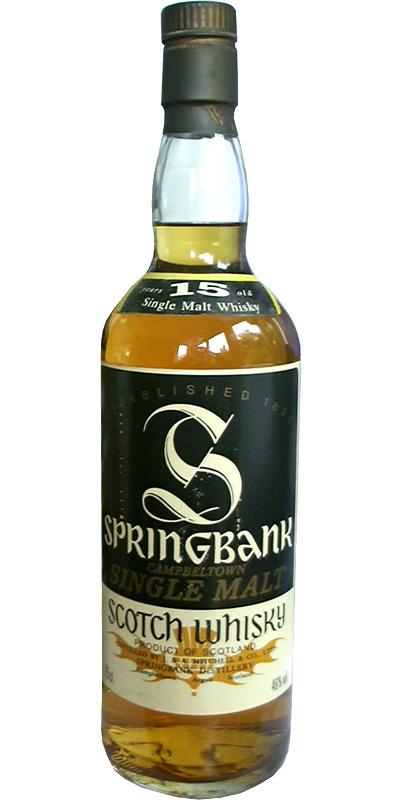 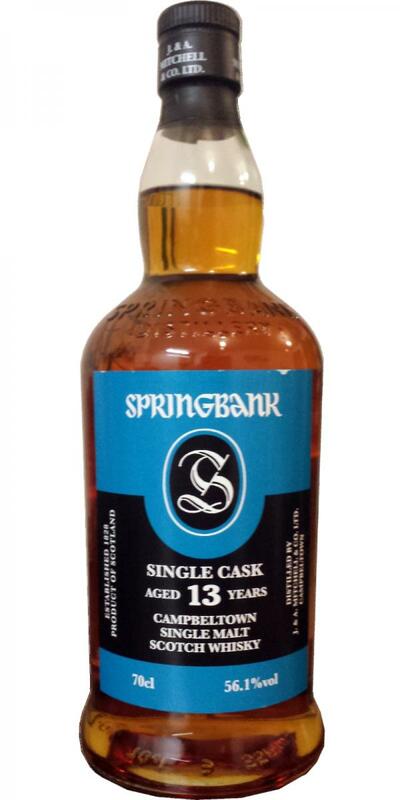 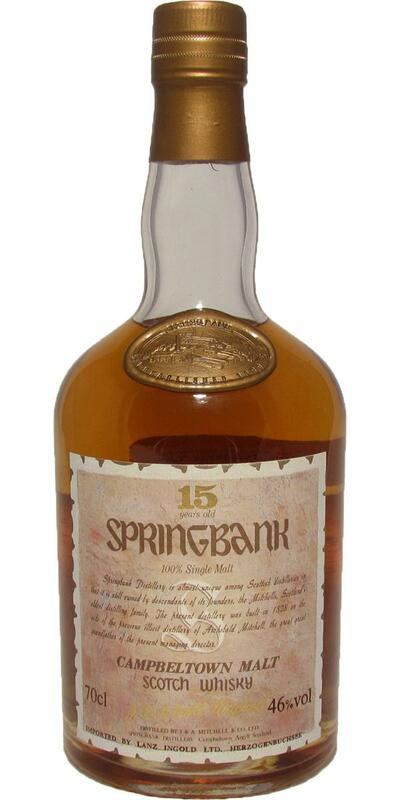 Springbank 15-year-old Private Cask 15 53.1 % Vol. 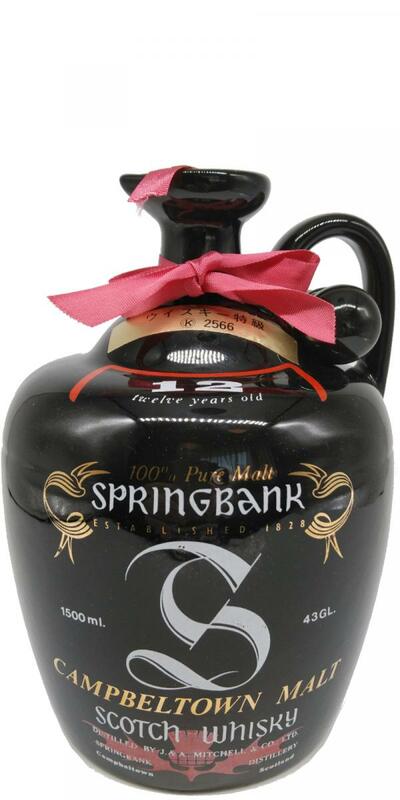 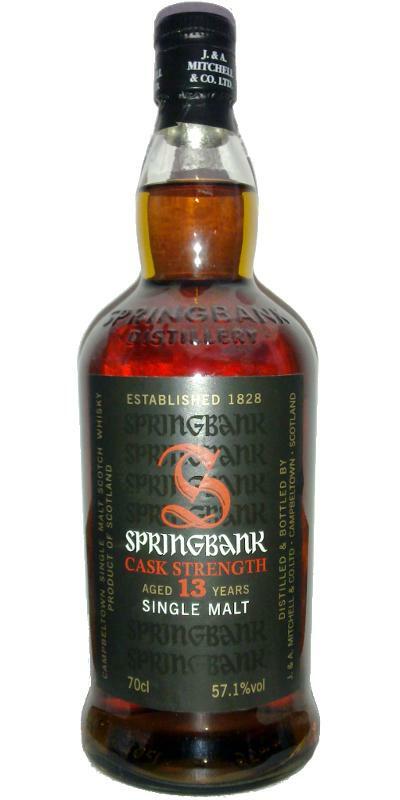 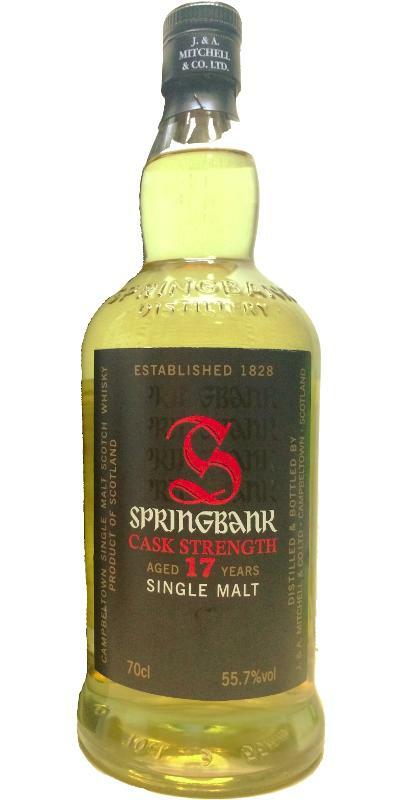 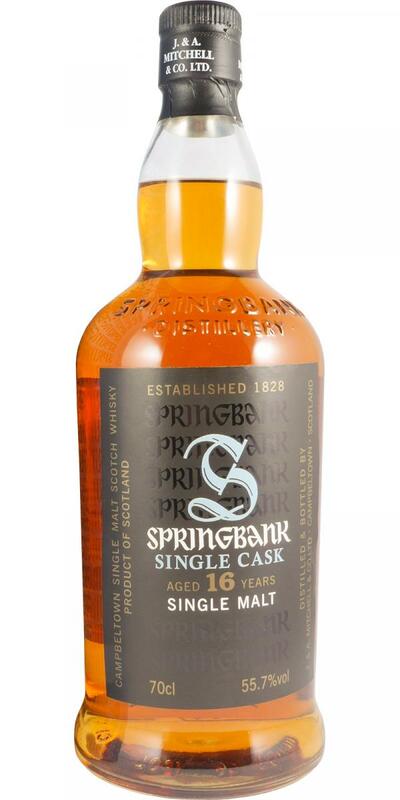 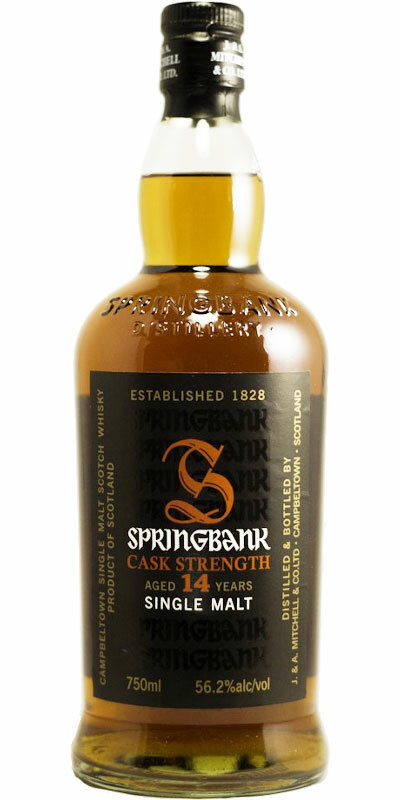 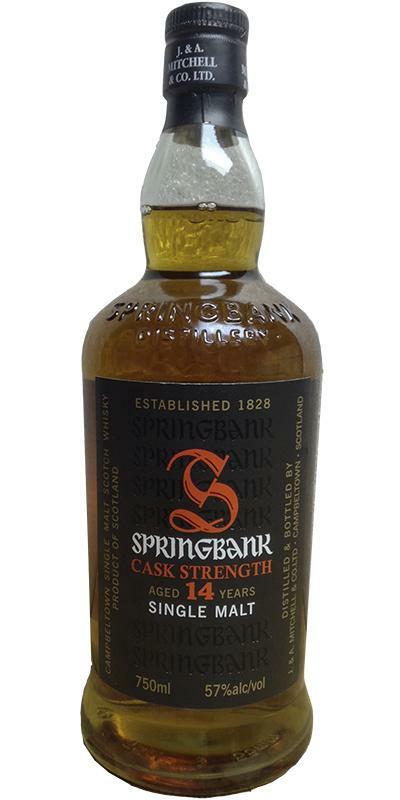 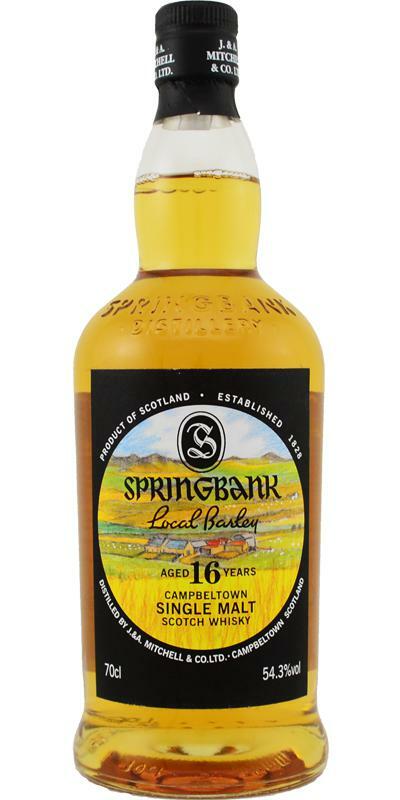 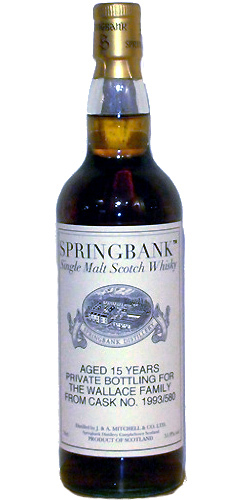 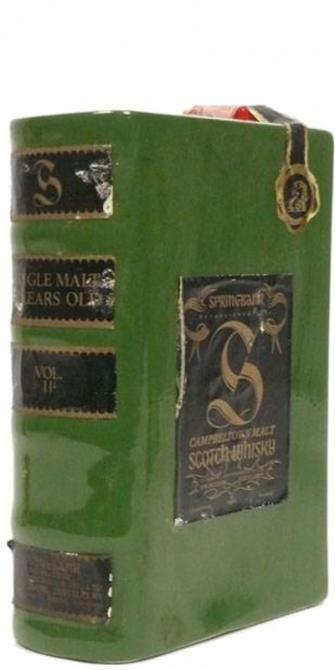 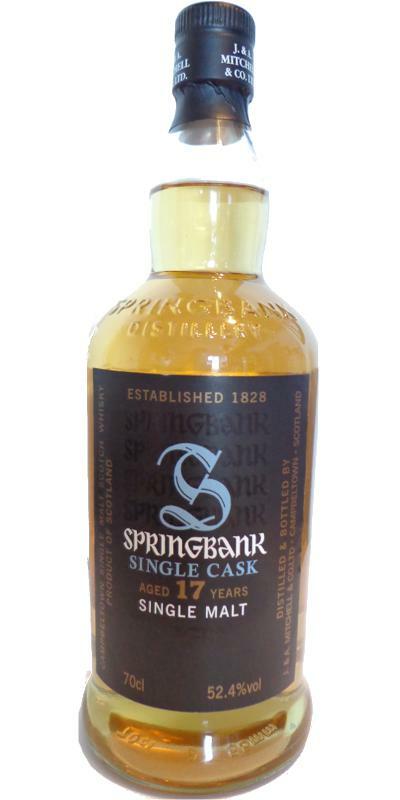 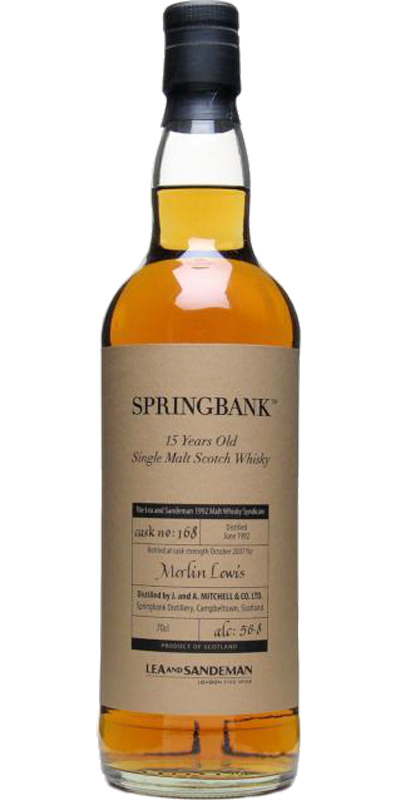 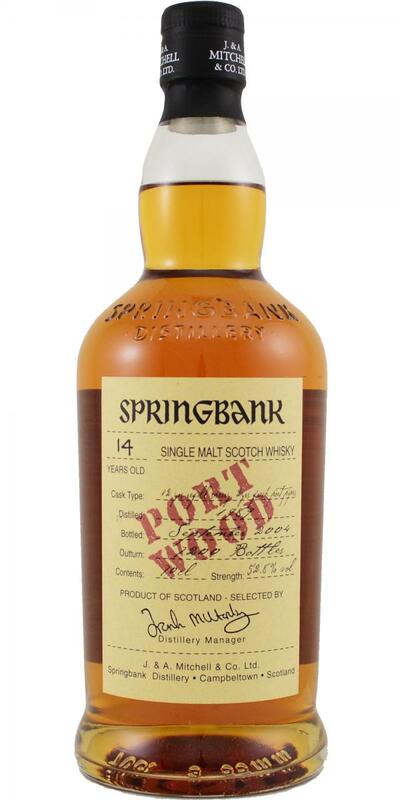 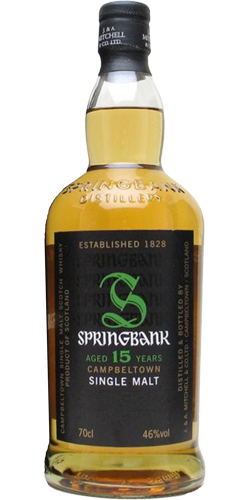 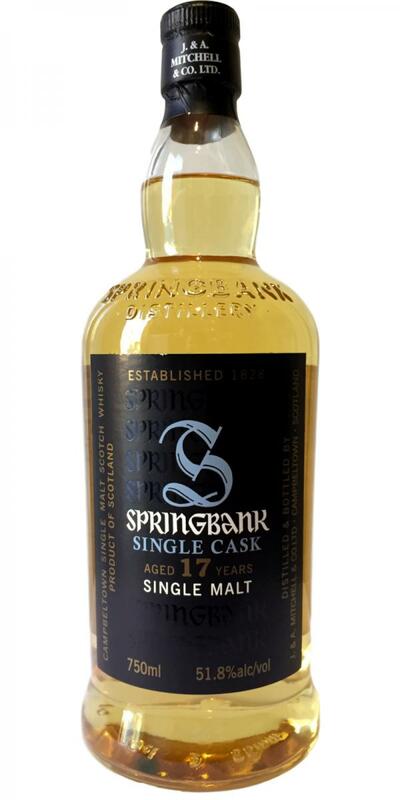 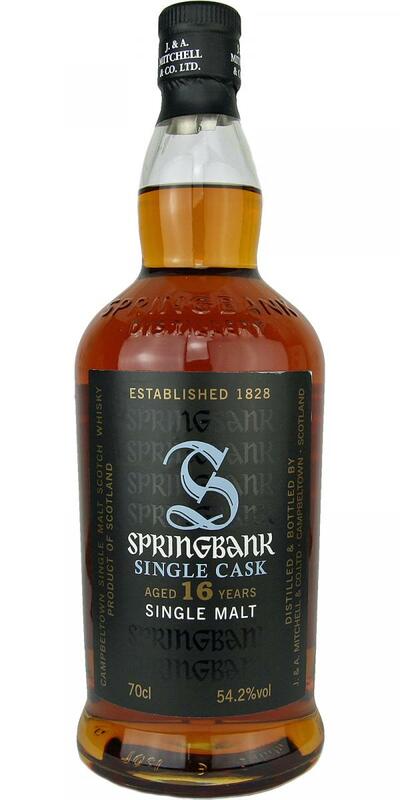 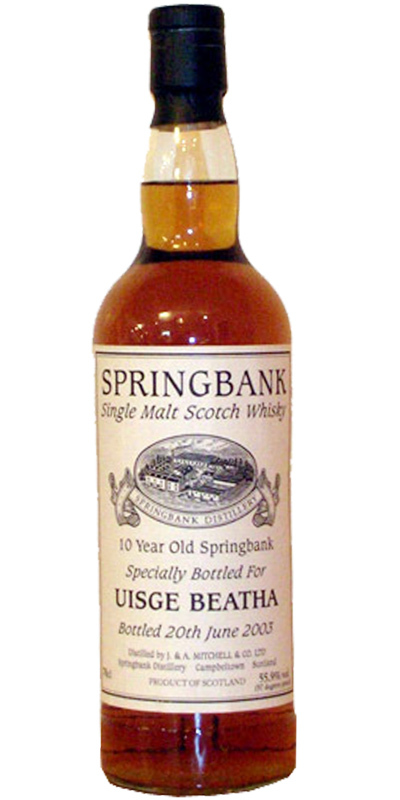 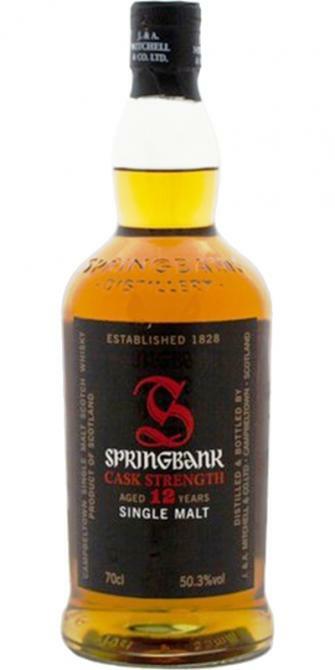 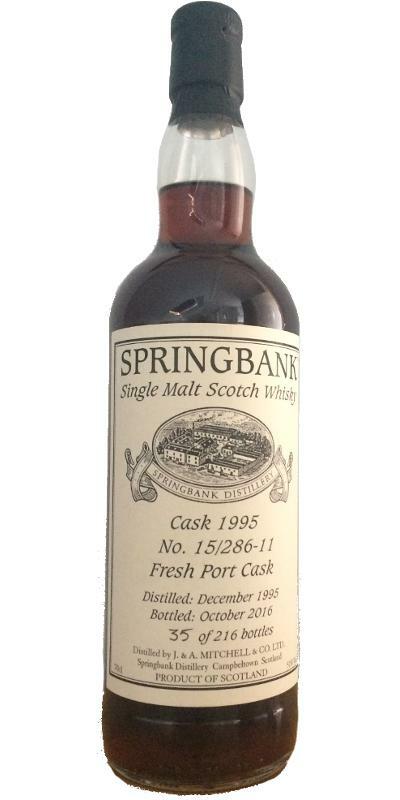 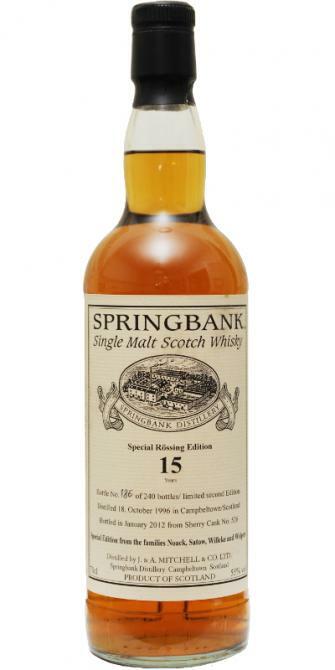 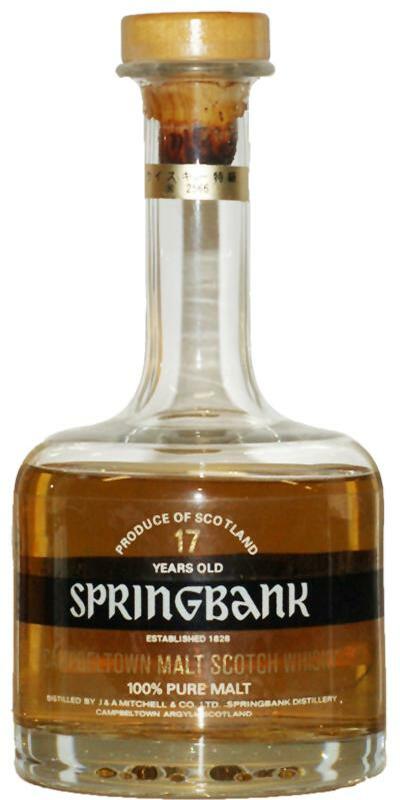 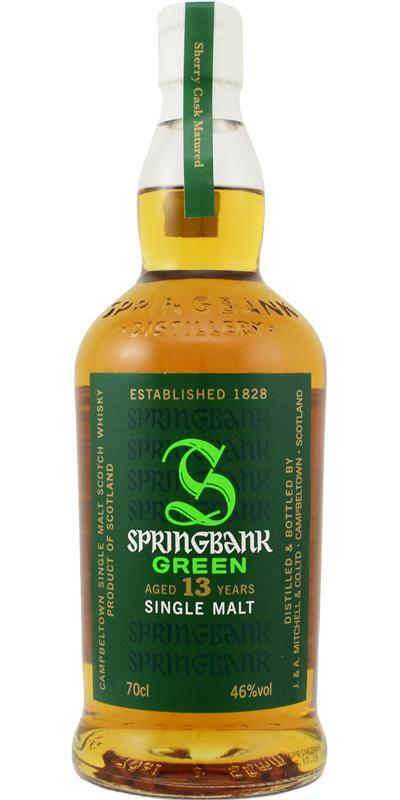 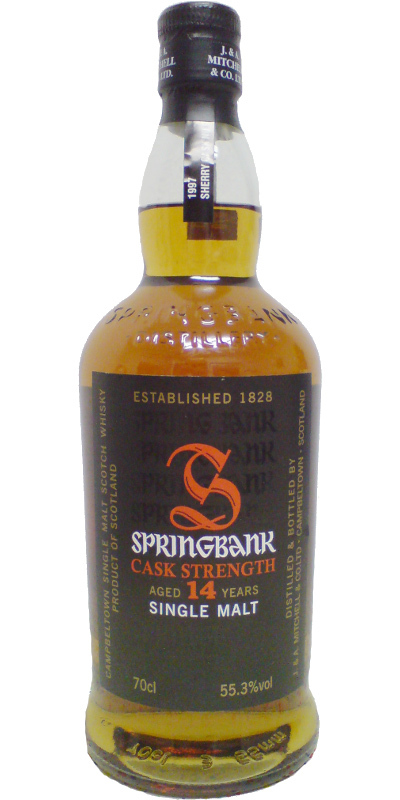 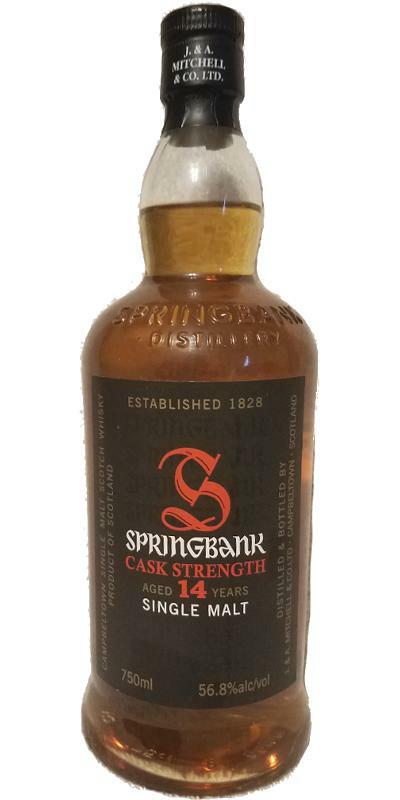 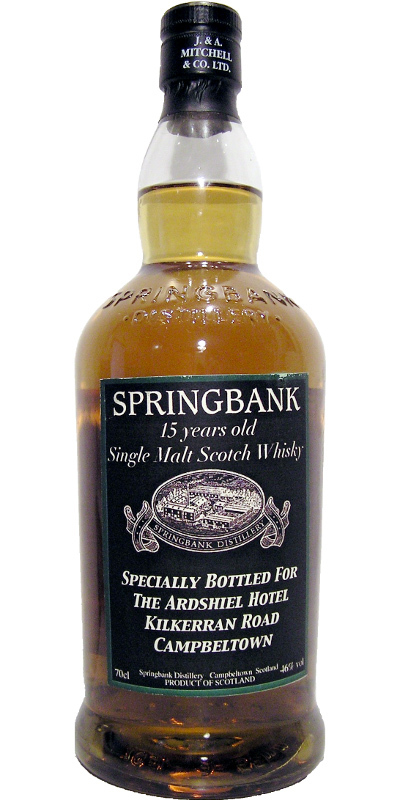 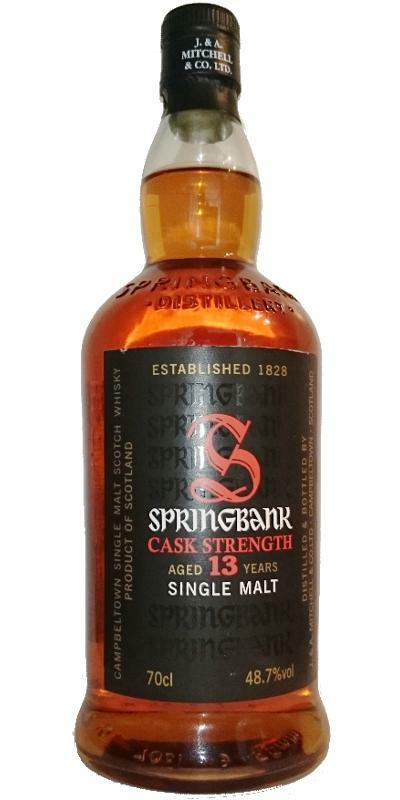 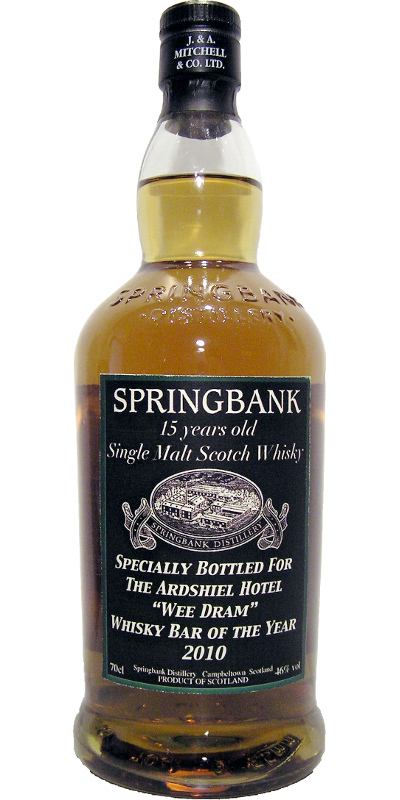 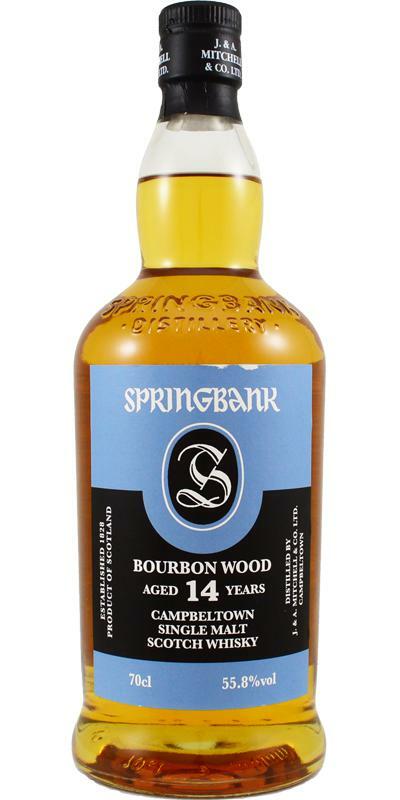 Springbank 15-year-old Pear Shape Bottle, Black Label, Cork 15 43.0 % Vol. 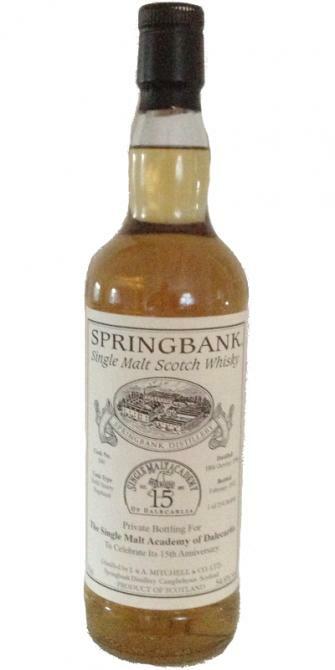 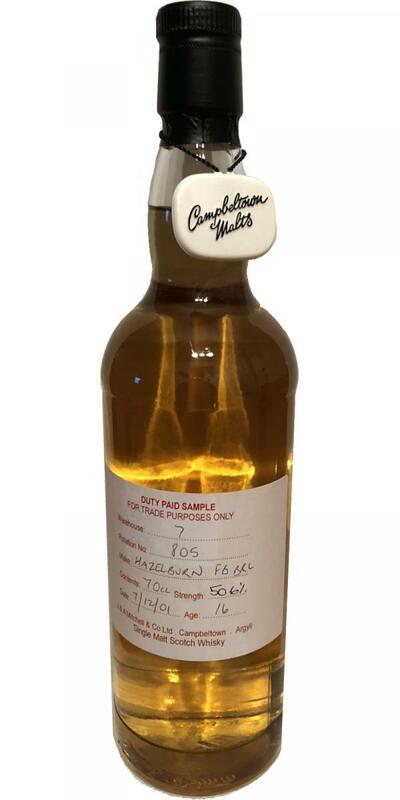 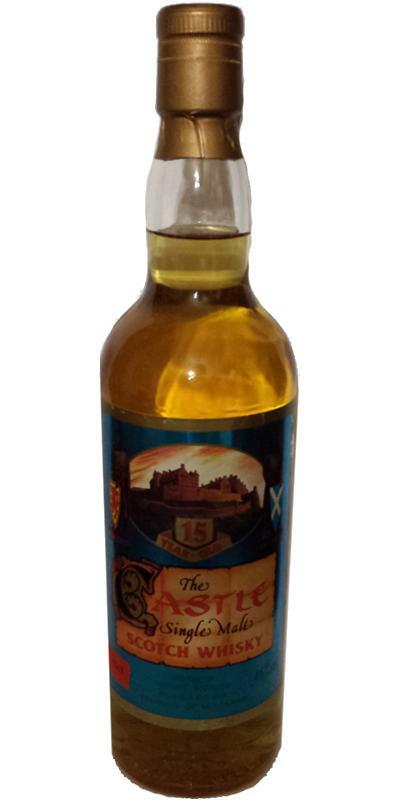 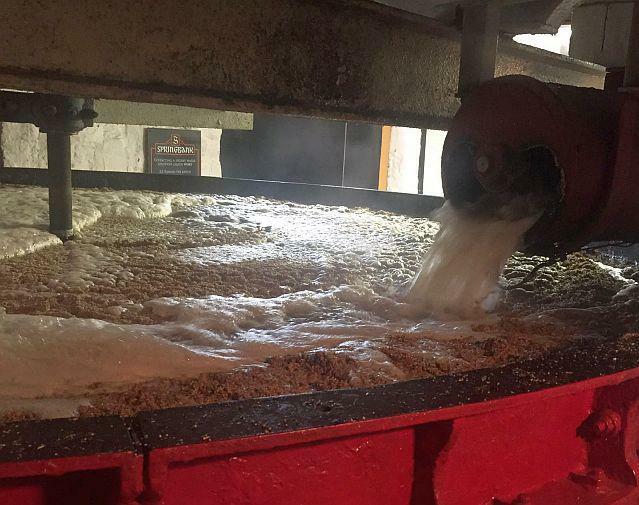 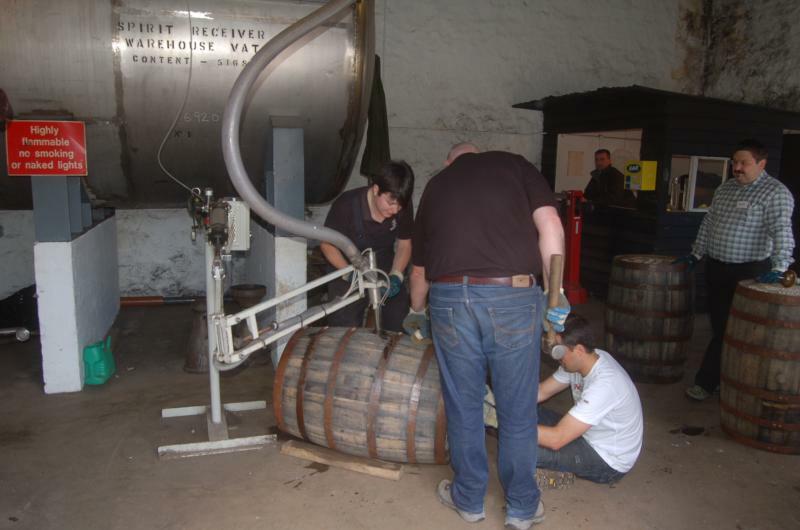 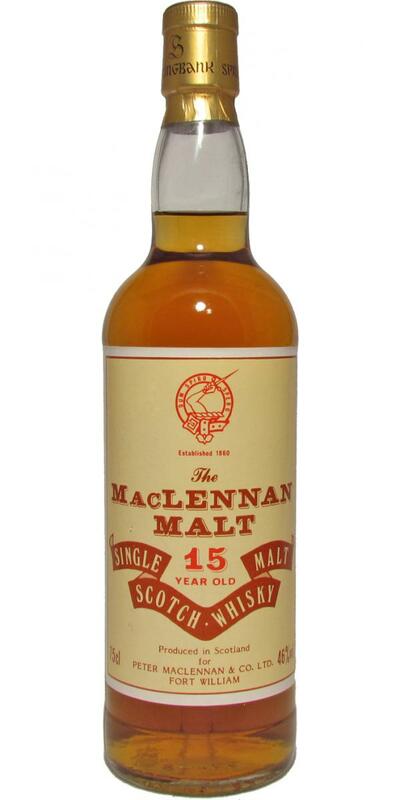 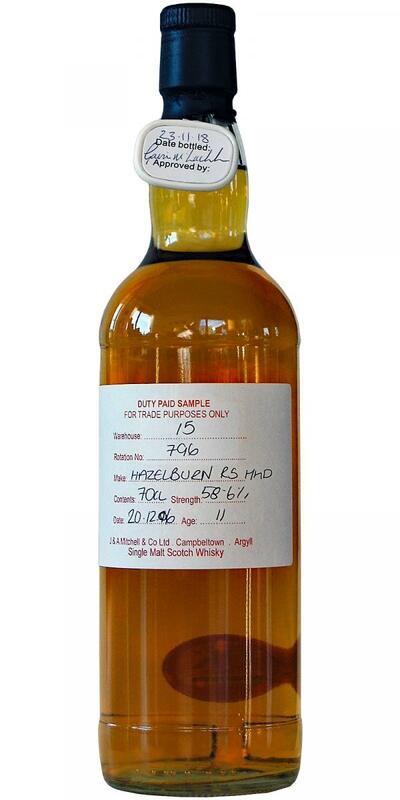 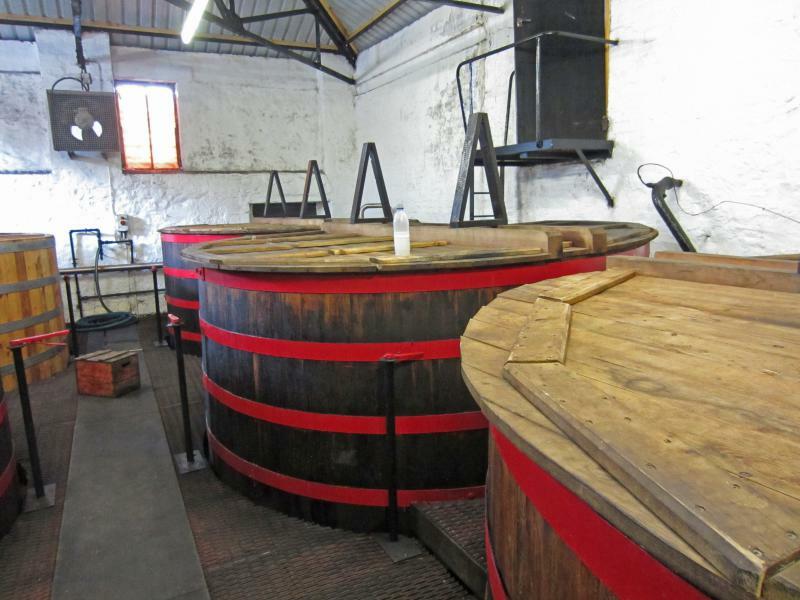 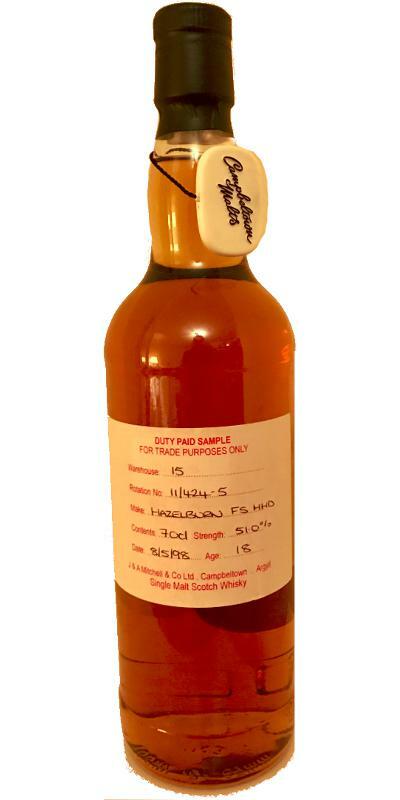 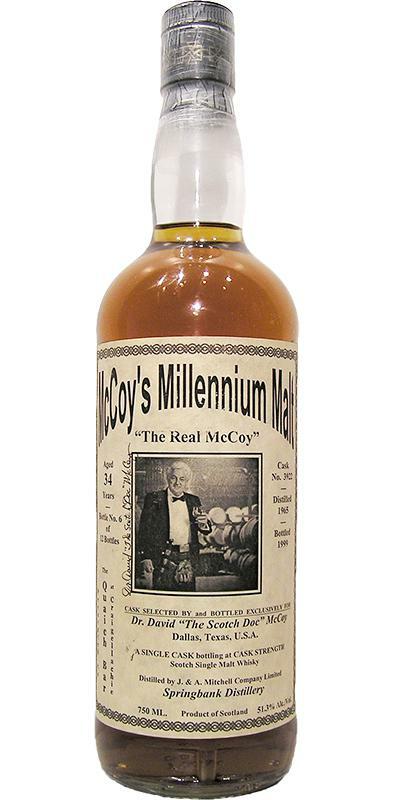 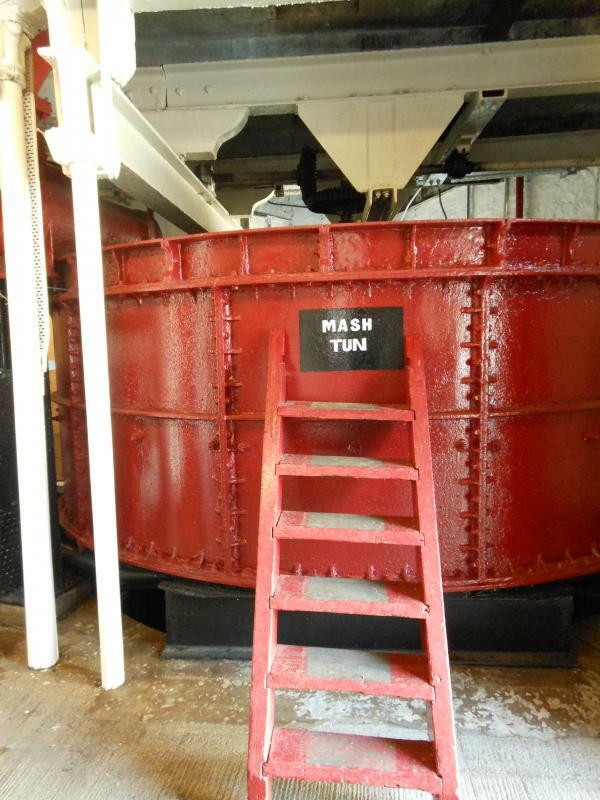 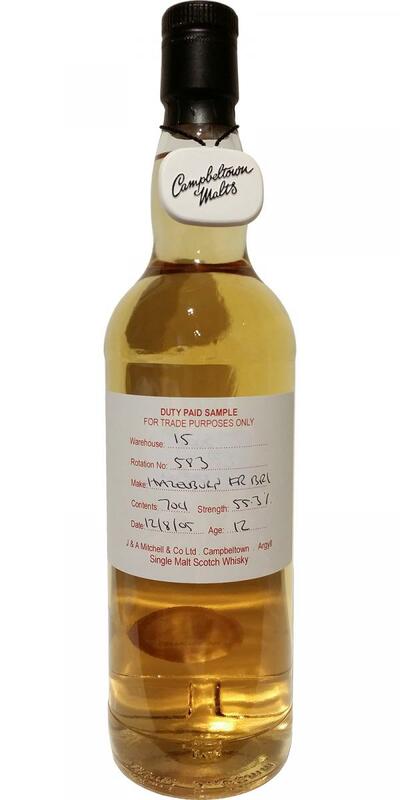 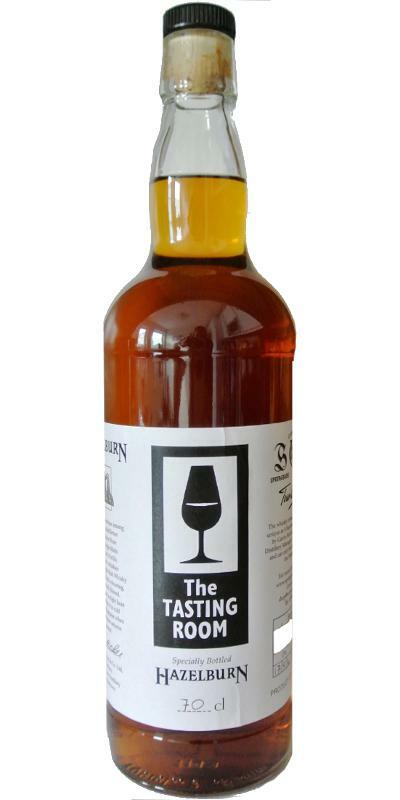 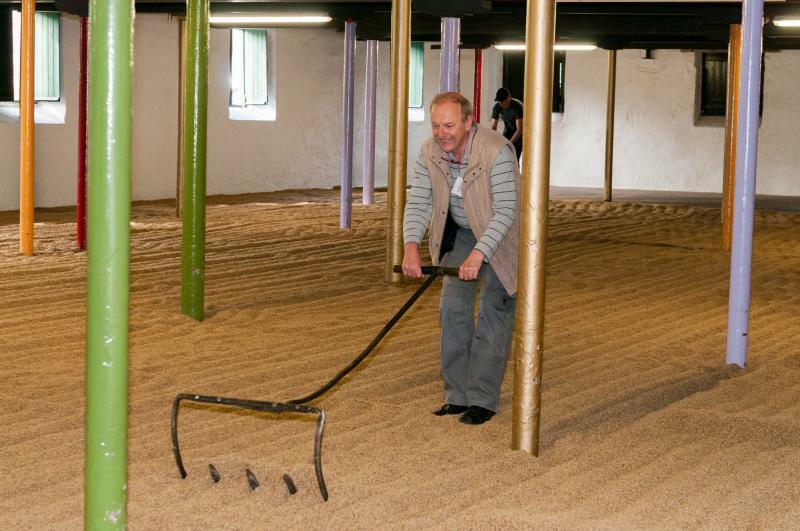 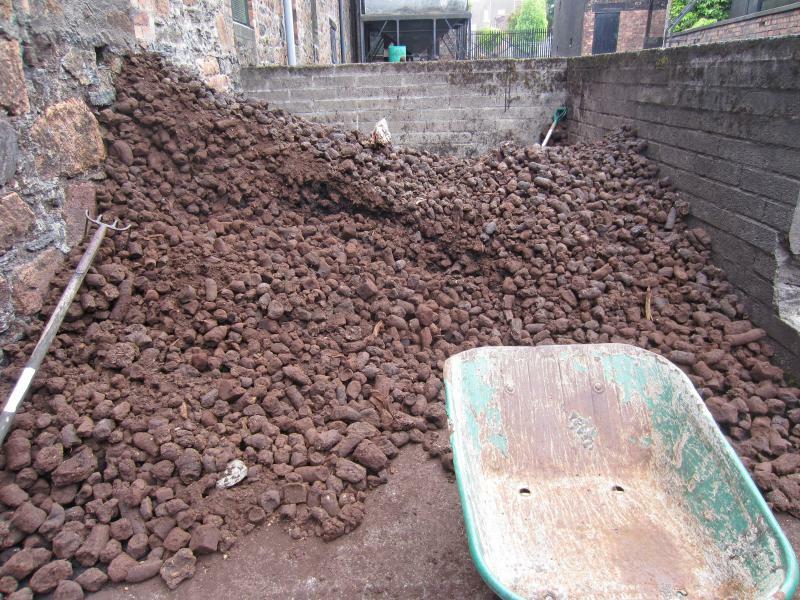 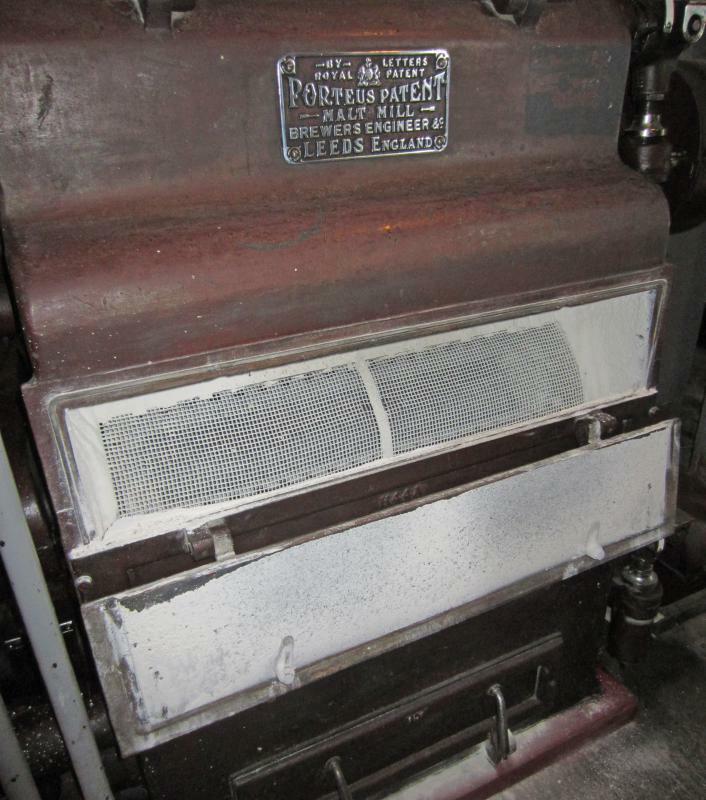 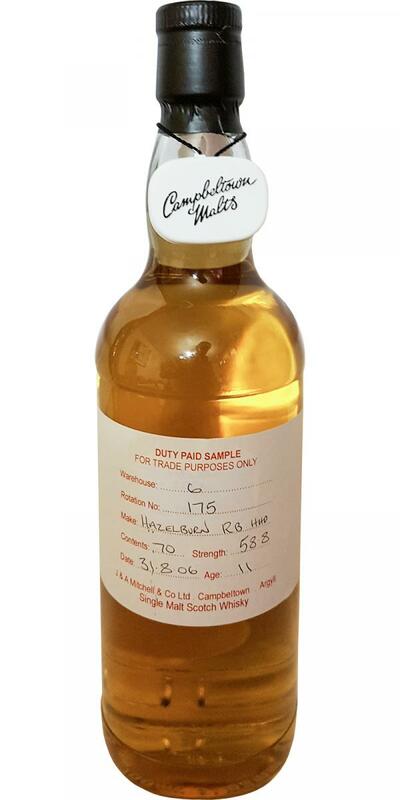 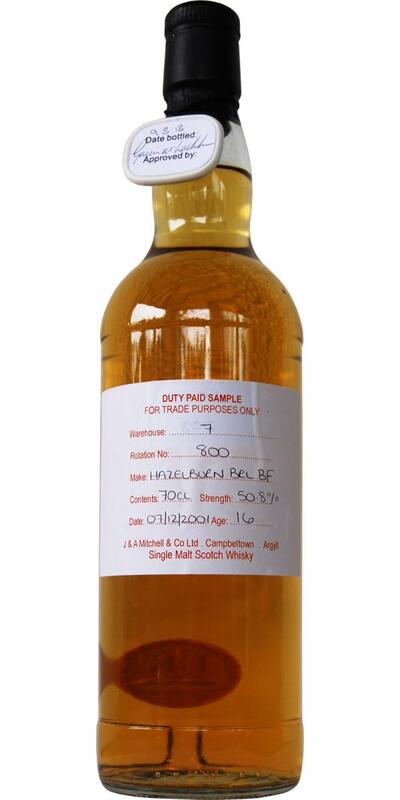 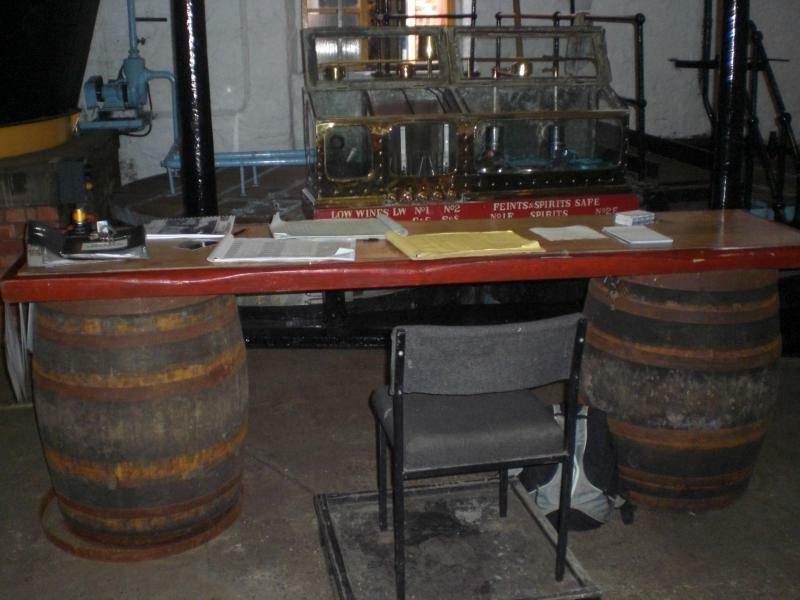 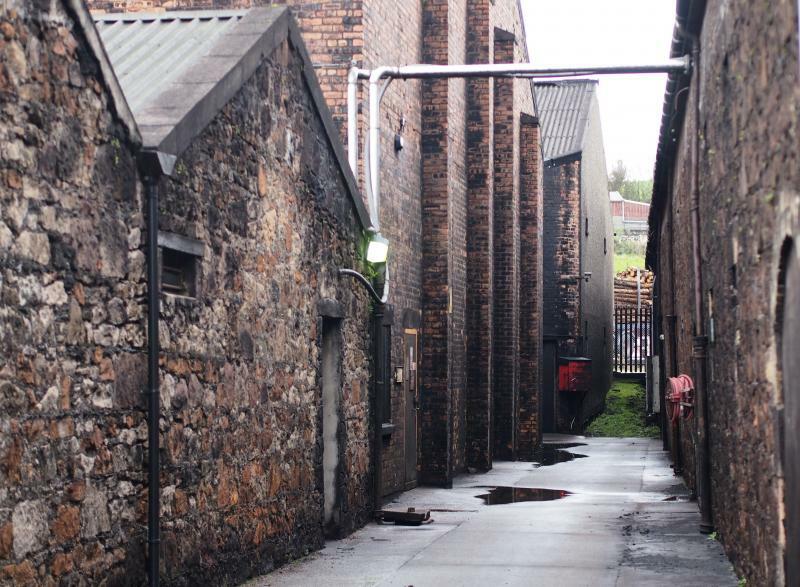 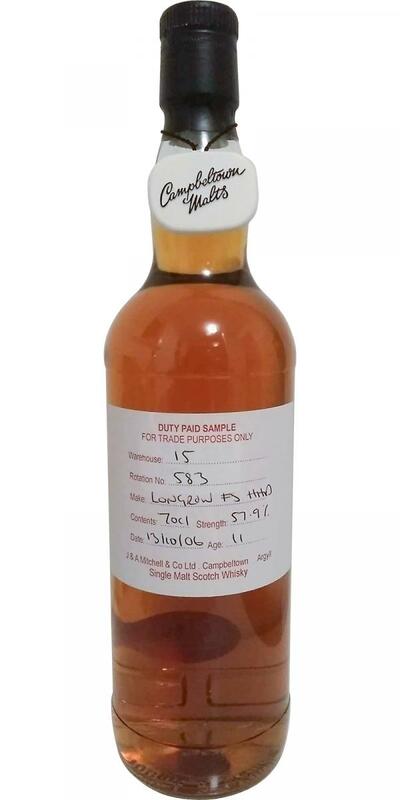 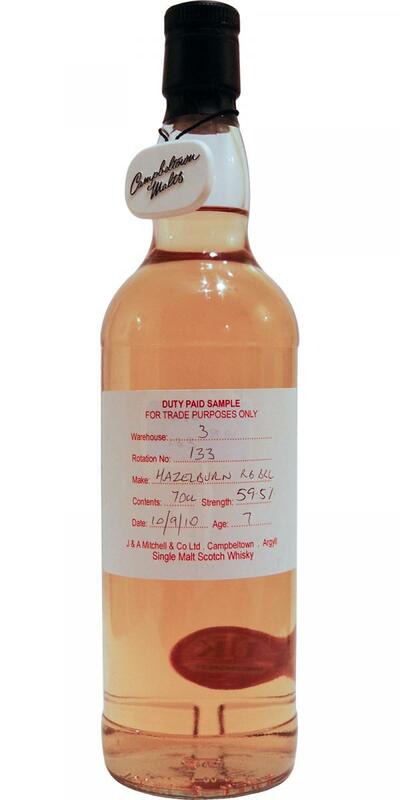 Springbank 15-year-old The MacLennan Malt 15 46.0 % Vol. 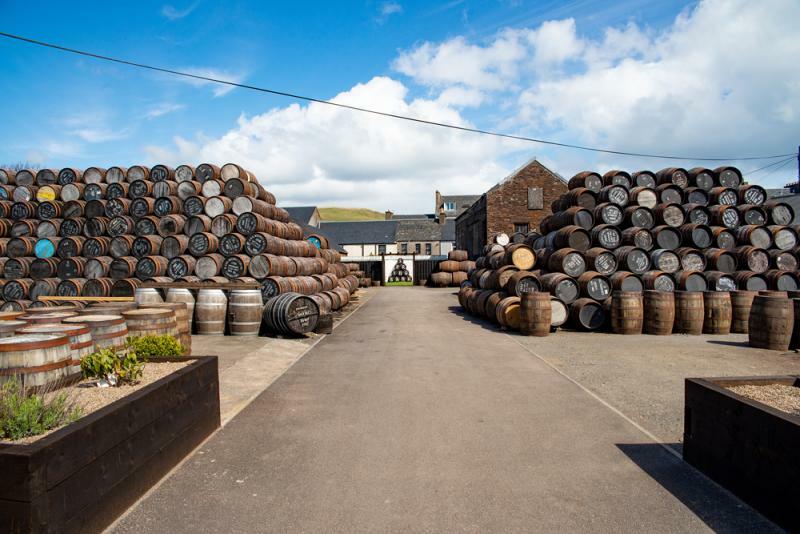 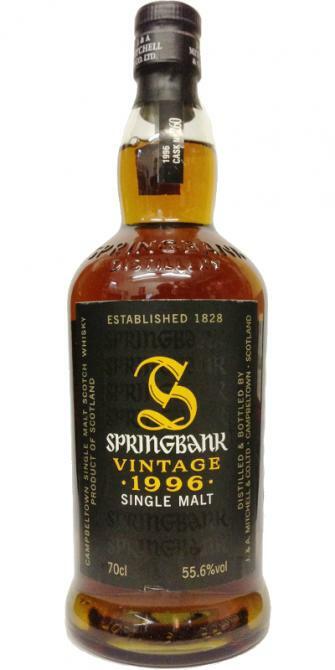 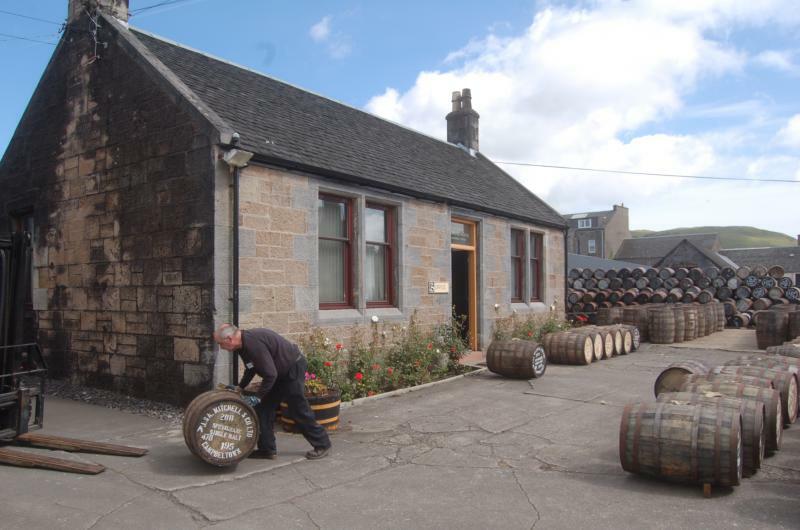 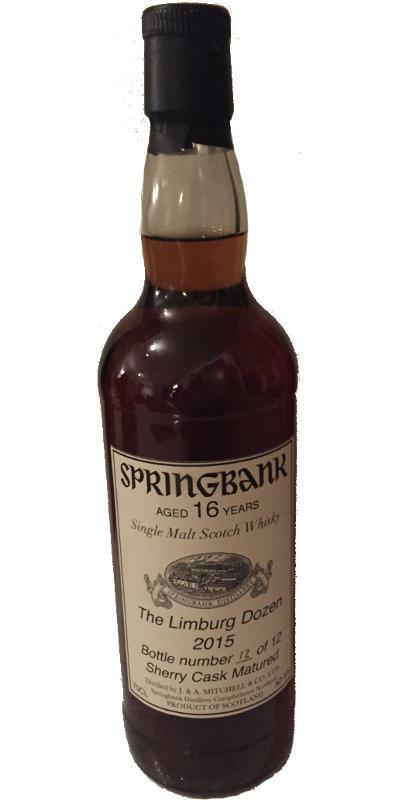 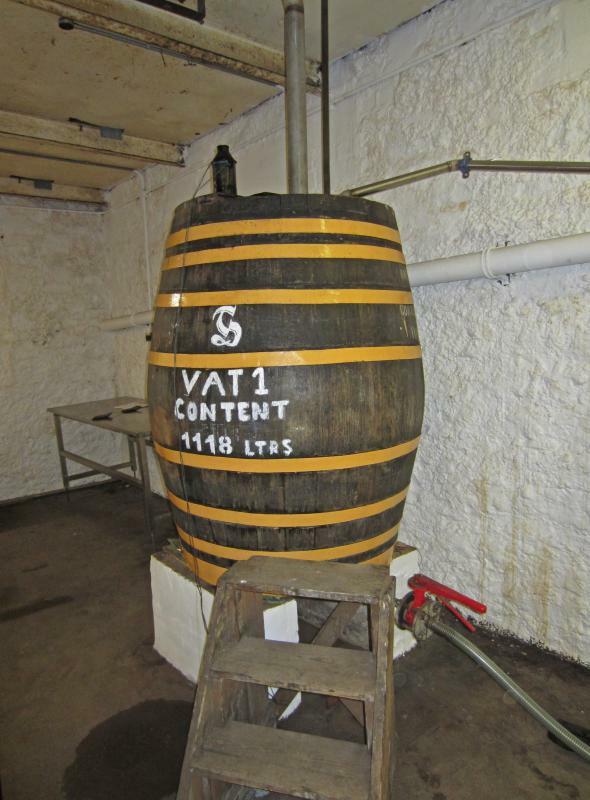 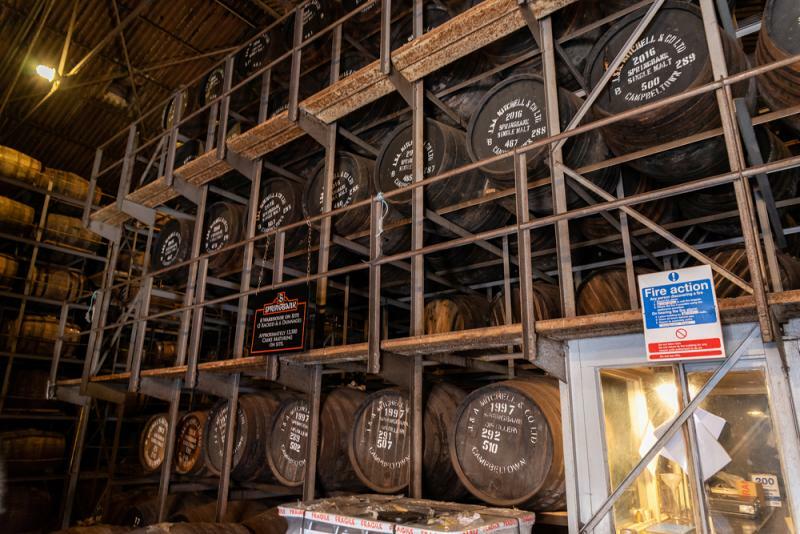 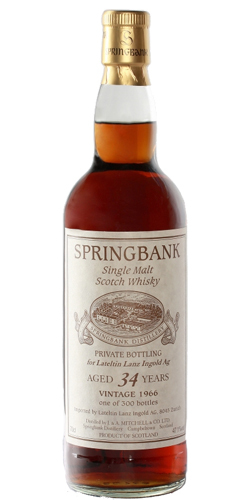 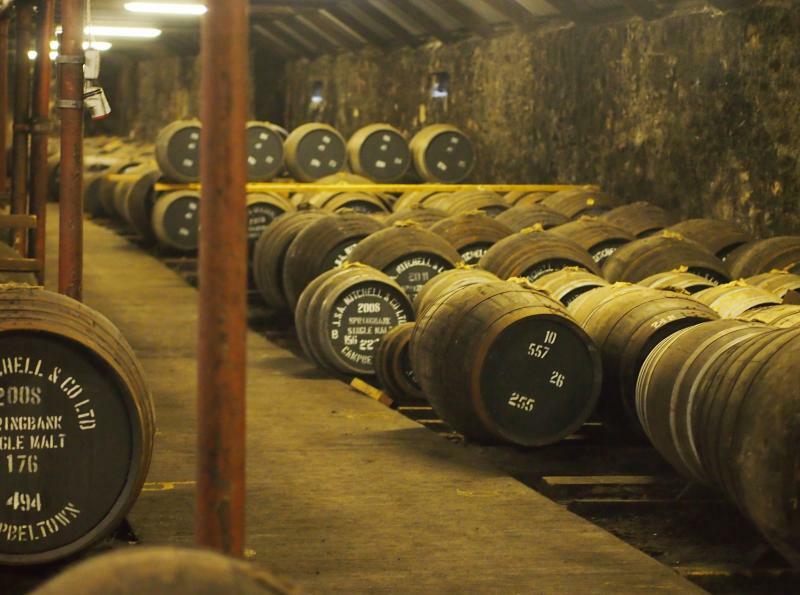 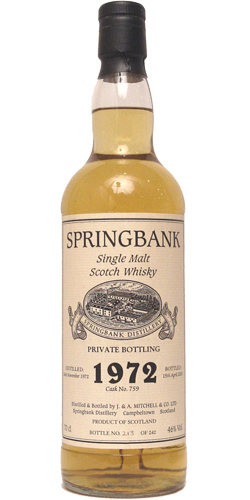 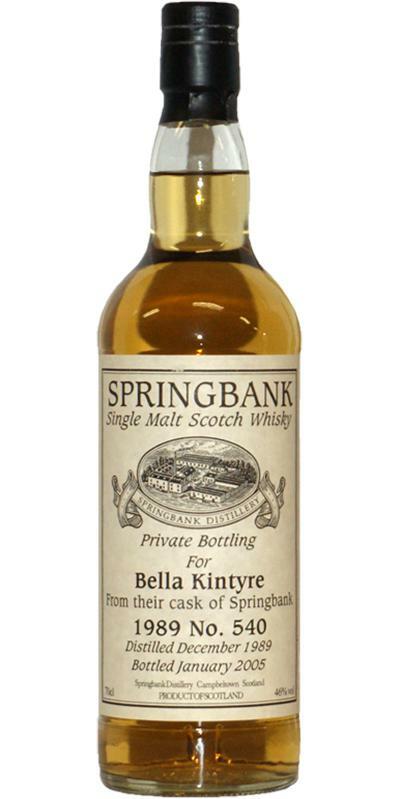 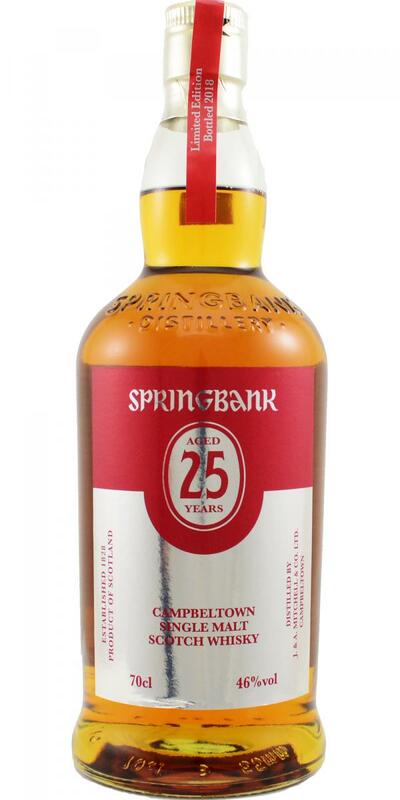 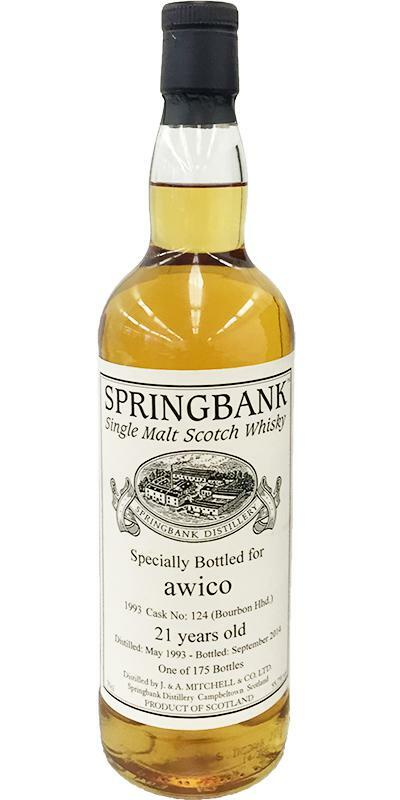 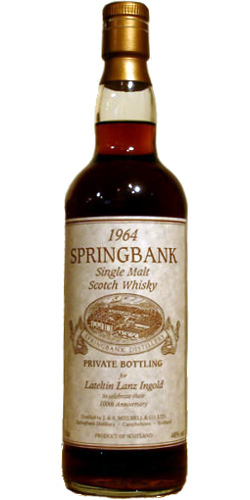 Springbank 16-year-old Private Bottling 16 46.0 % Vol. 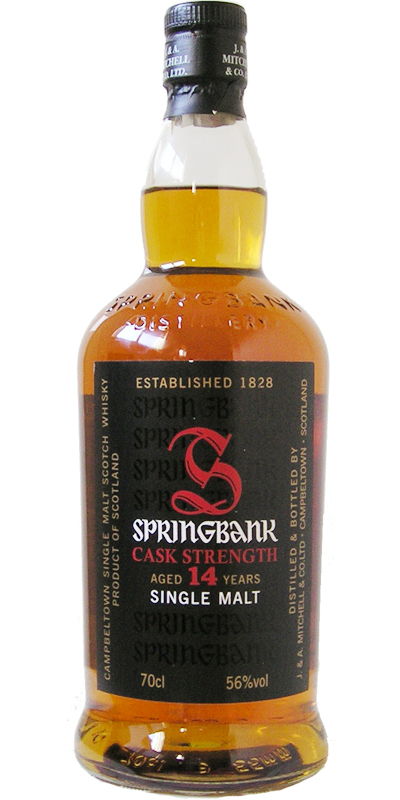 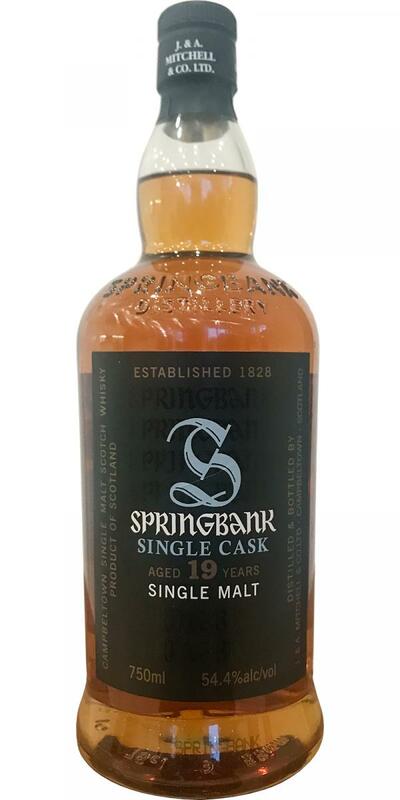 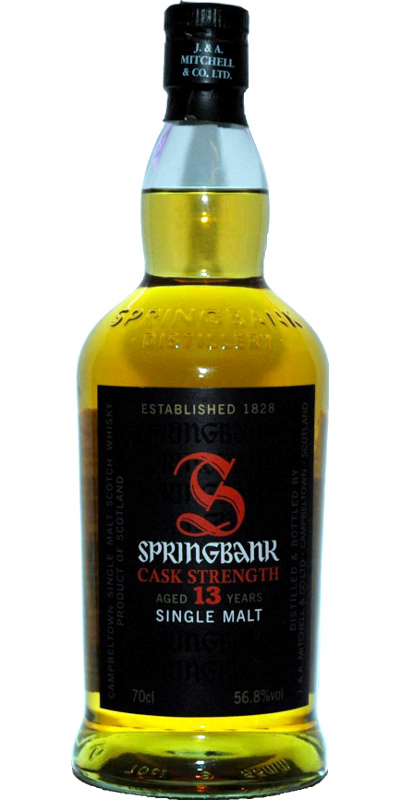 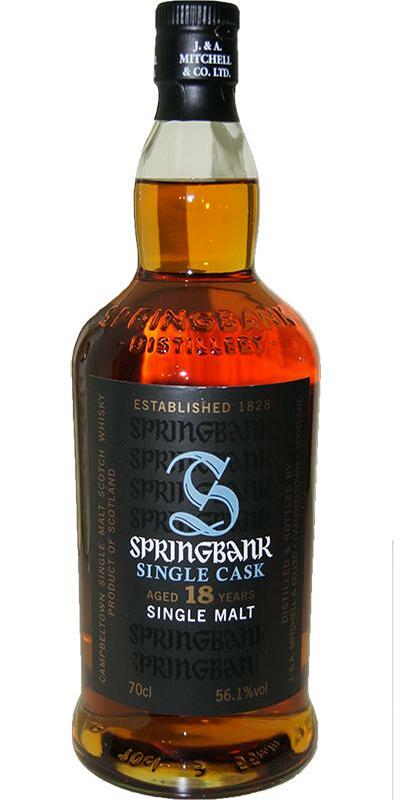 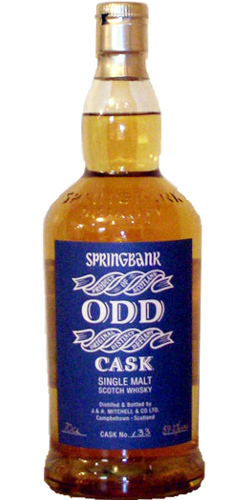 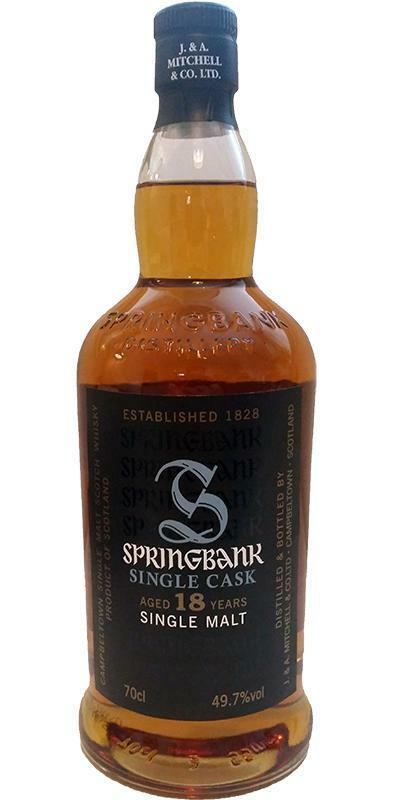 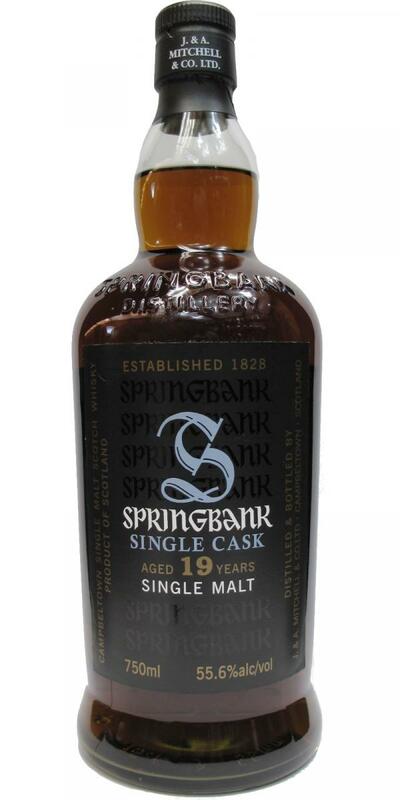 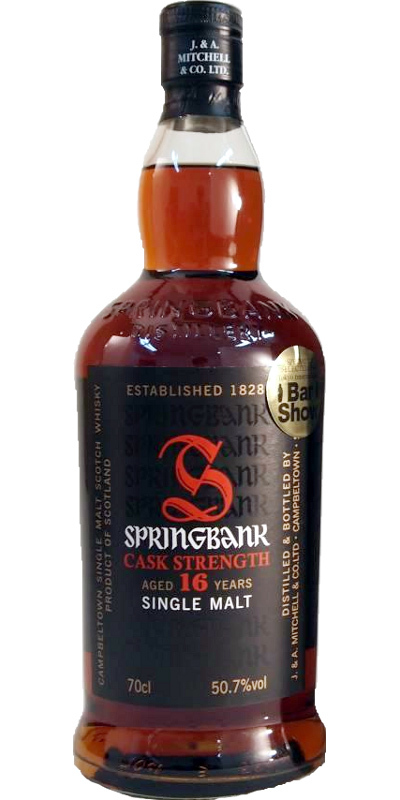 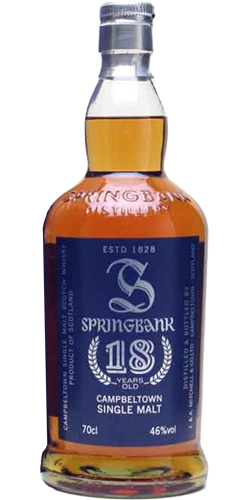 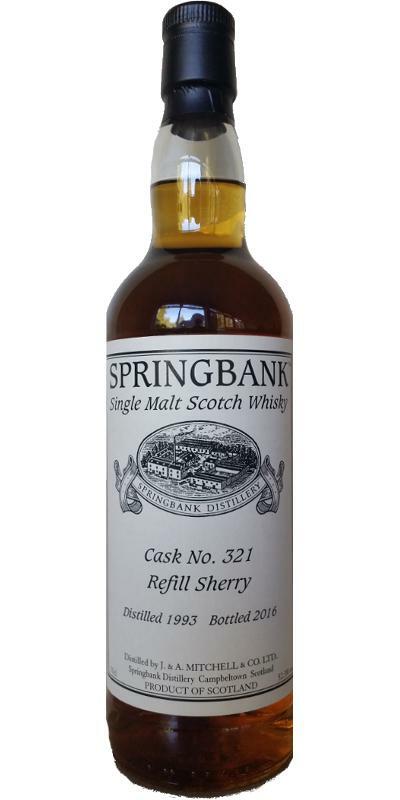 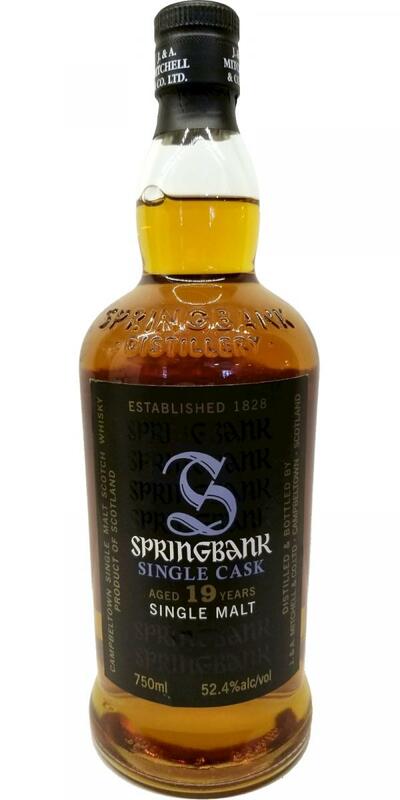 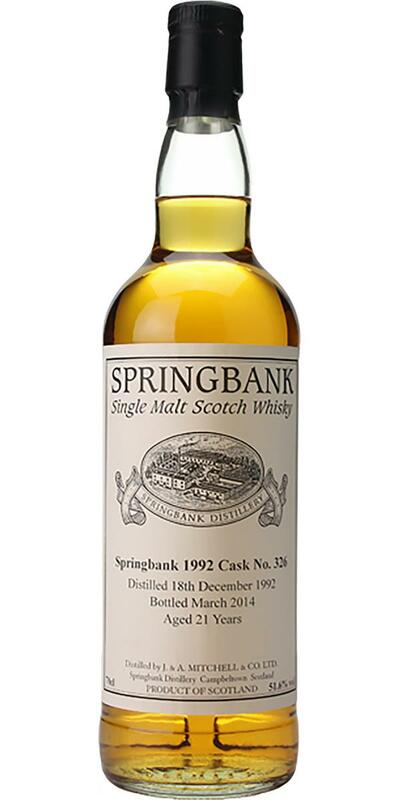 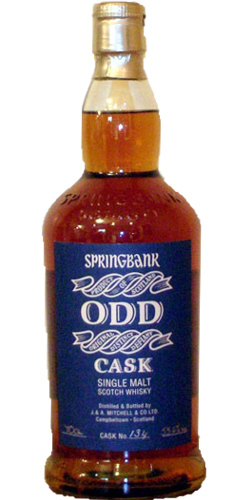 Springbank 18-year-old Single Cask 18 51.3 % Vol. 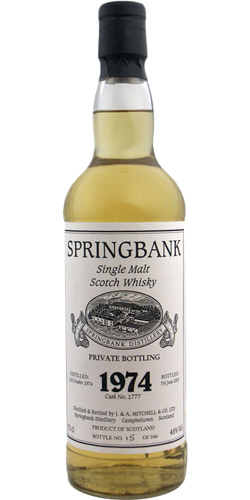 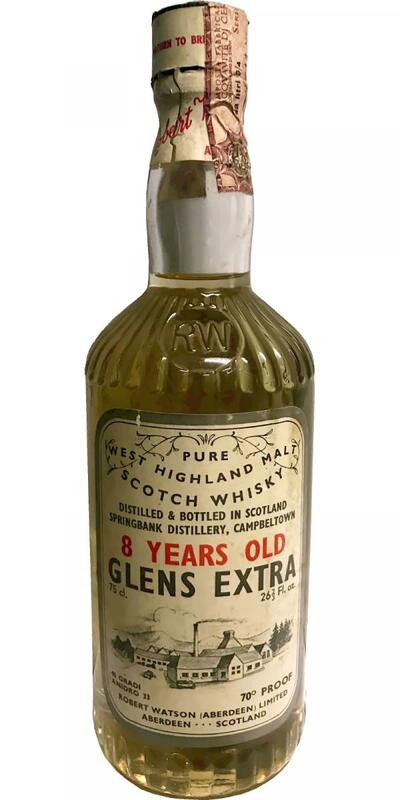 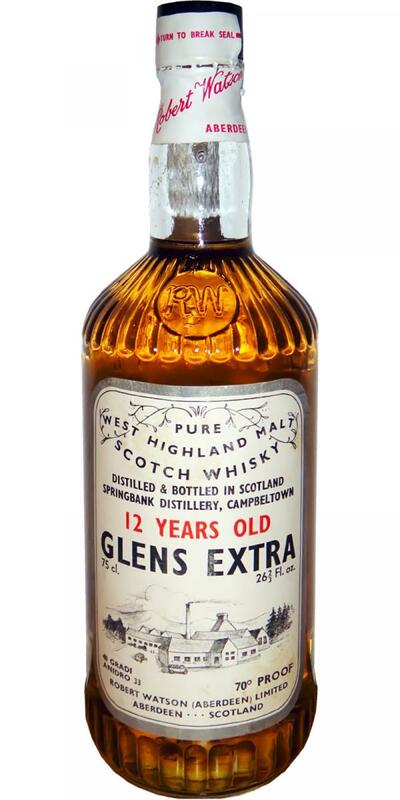 Springbank 18-year-old - Glenkura Private Bottling 18 47.6 % Vol. 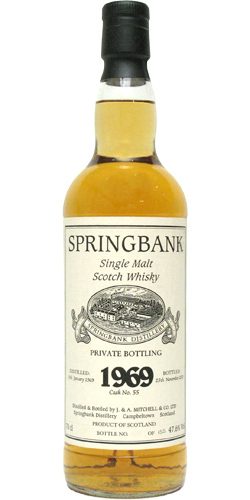 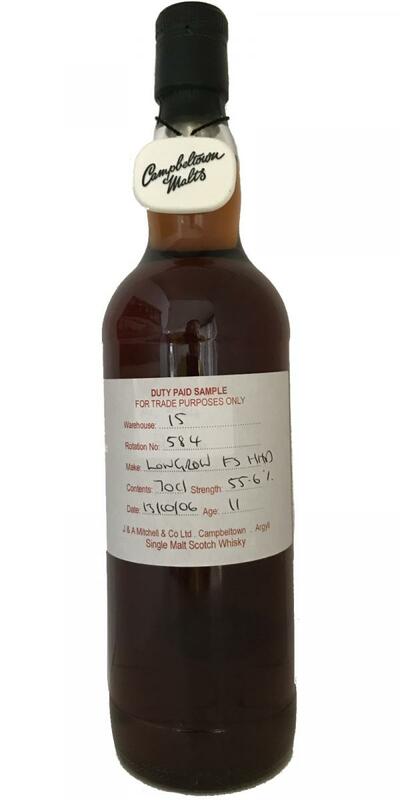 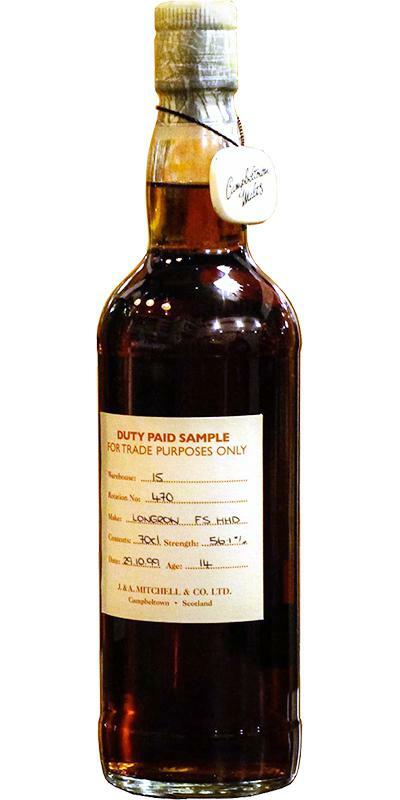 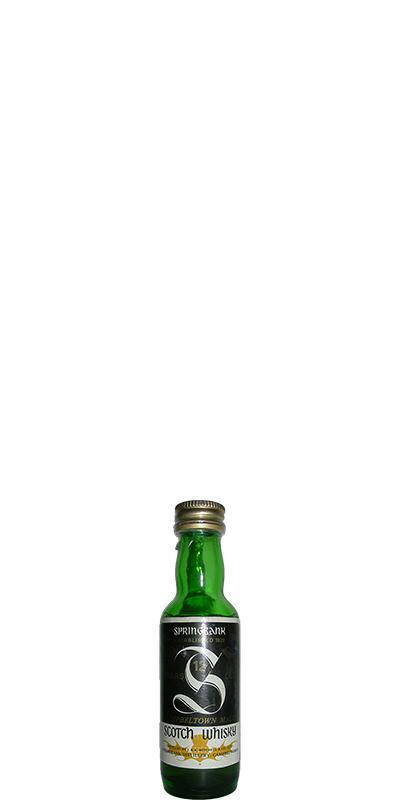 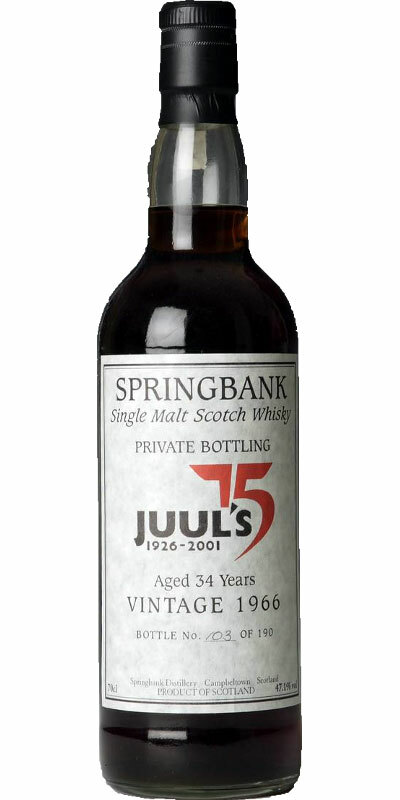 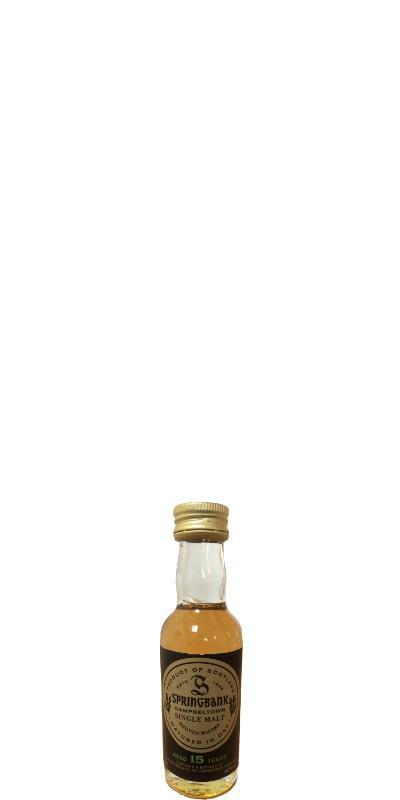 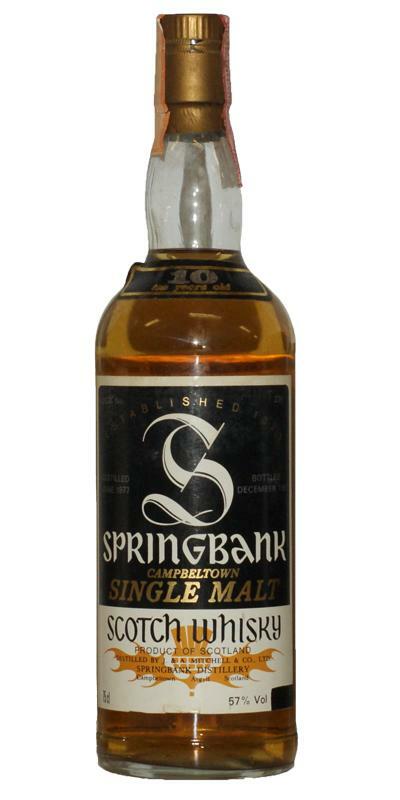 Springbank 1962 Black Label Cork stopper 46.0 % Vol. 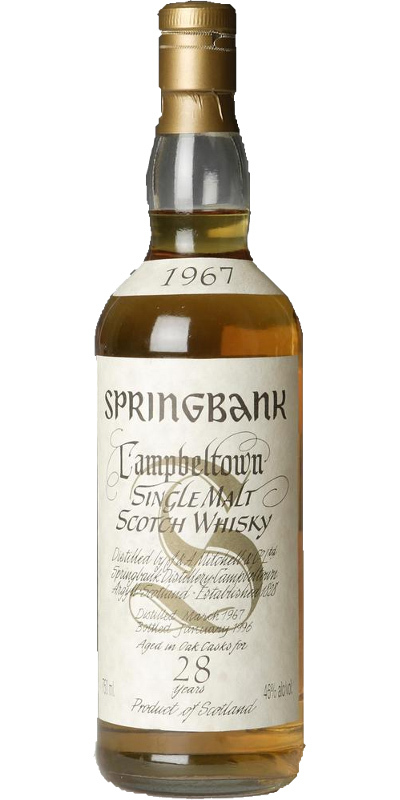 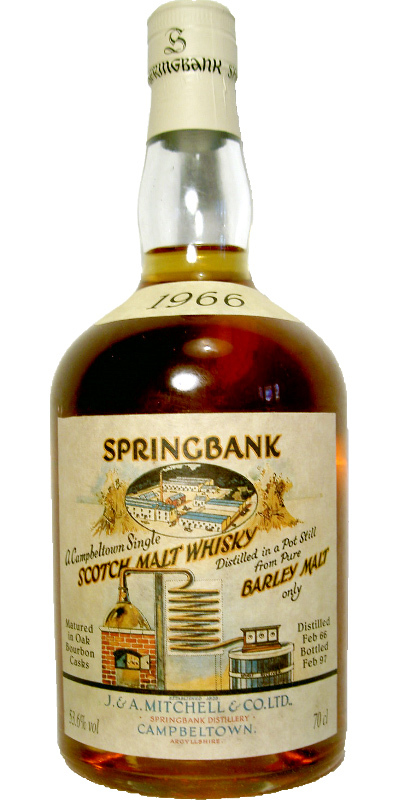 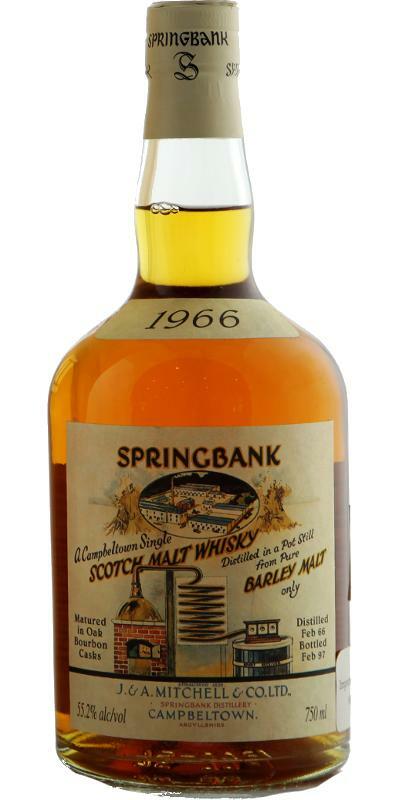 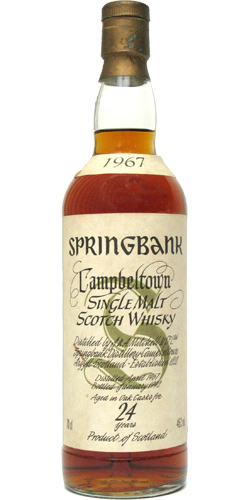 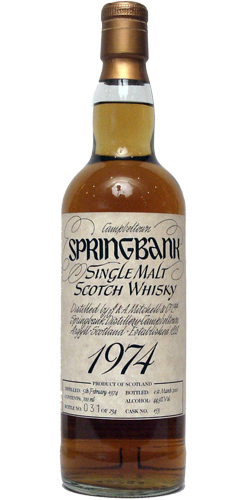 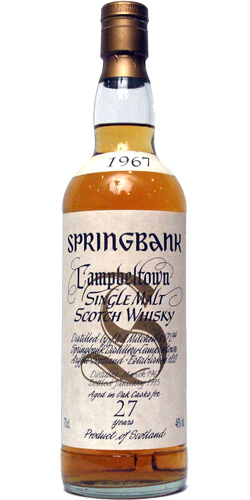 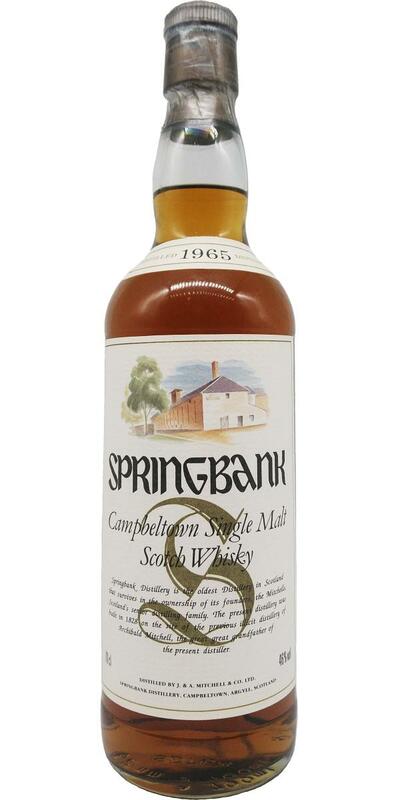 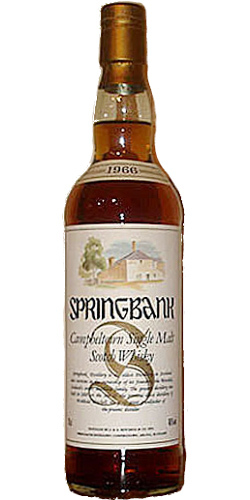 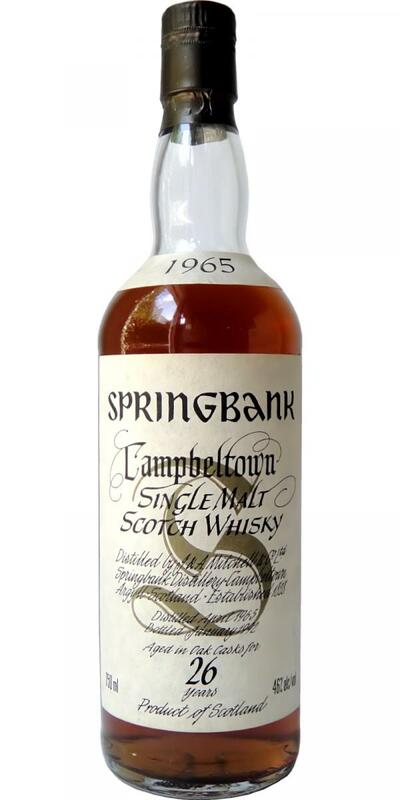 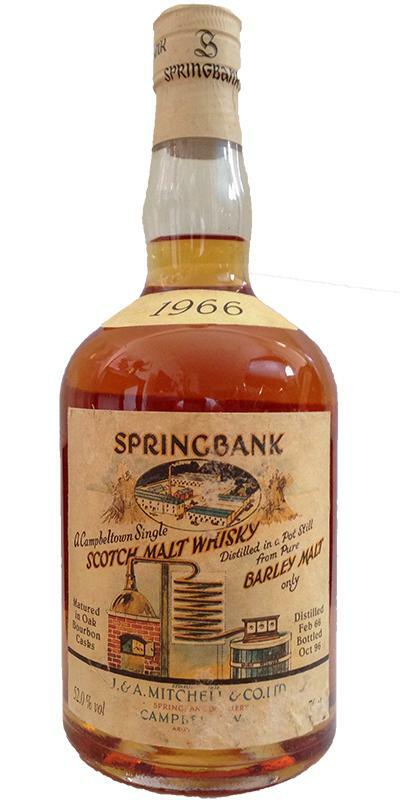 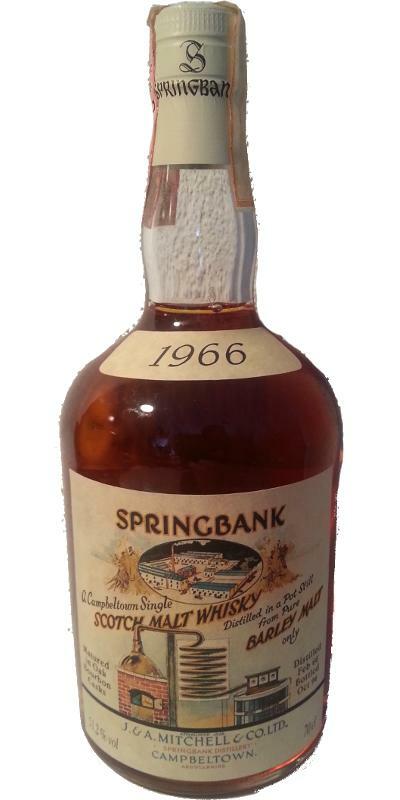 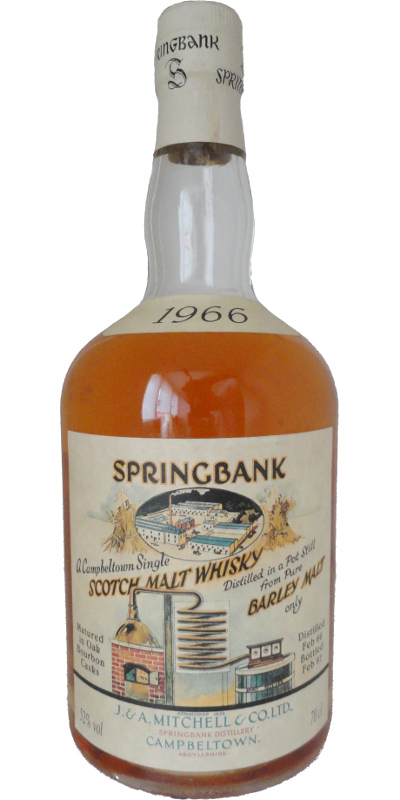 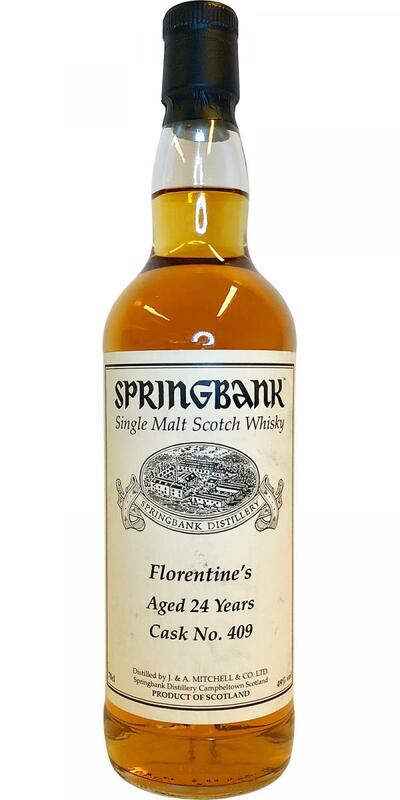 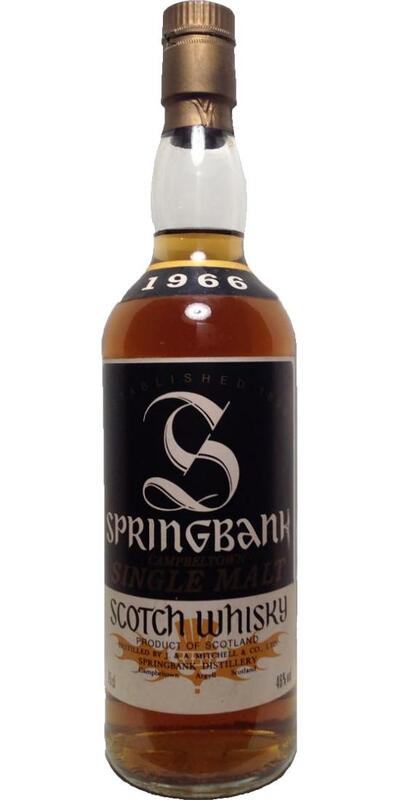 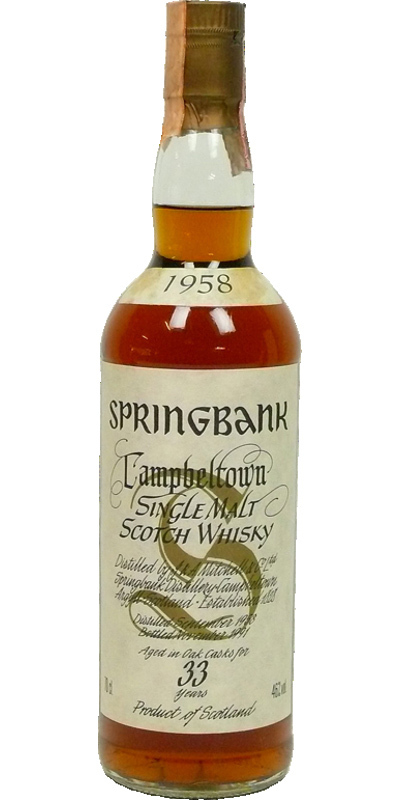 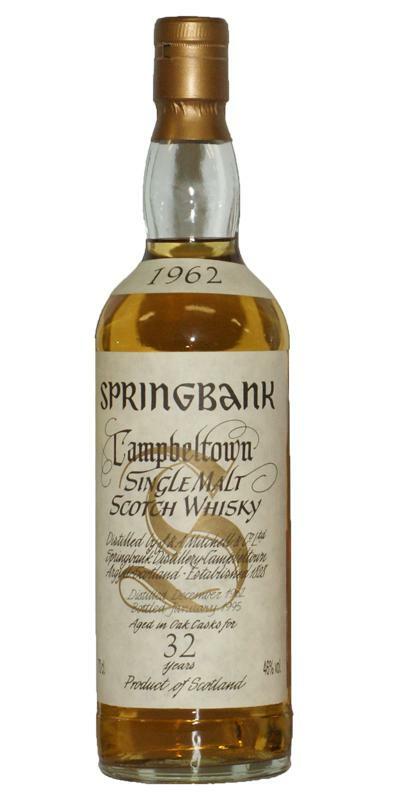 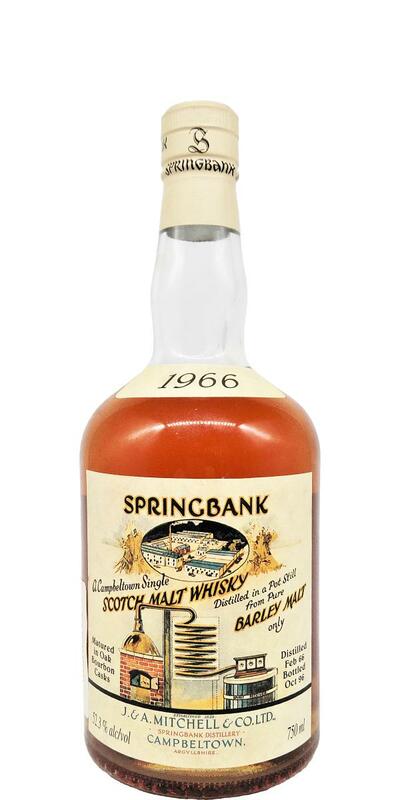 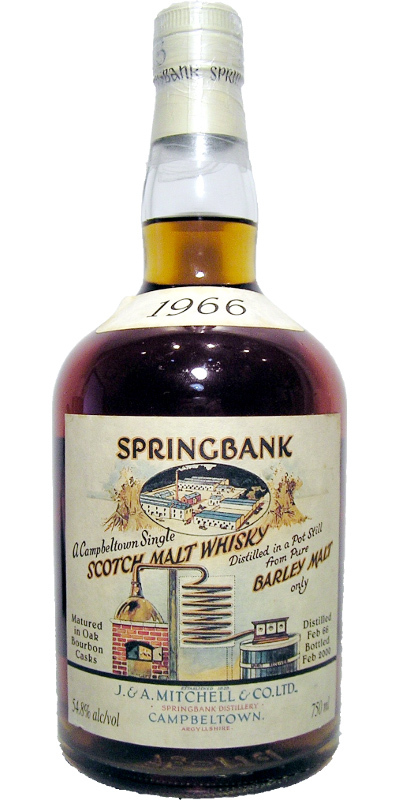 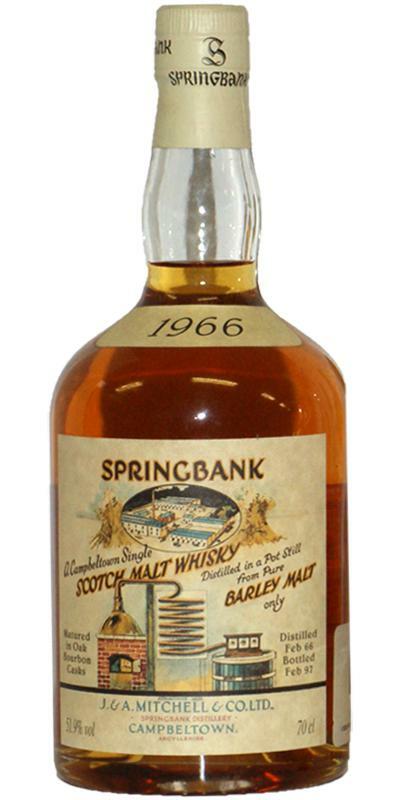 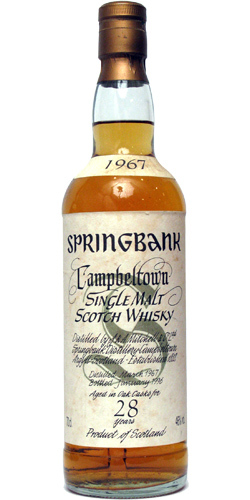 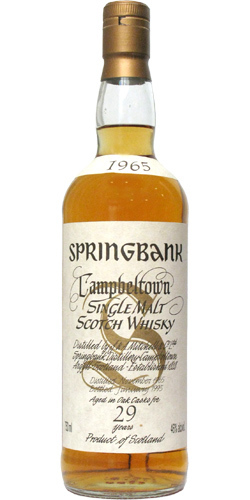 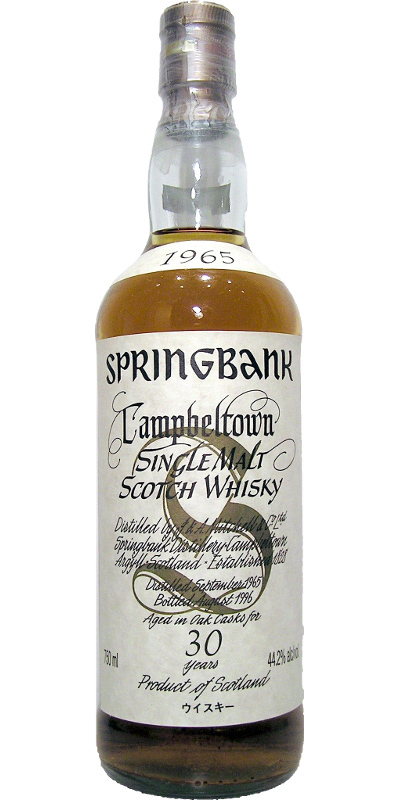 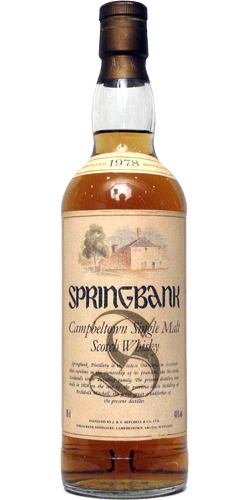 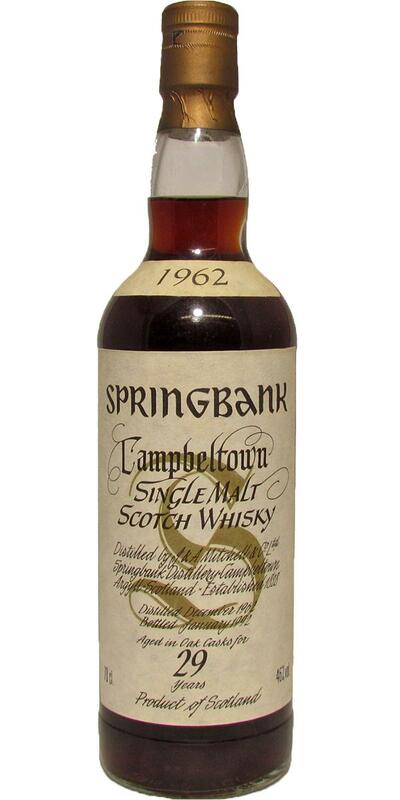 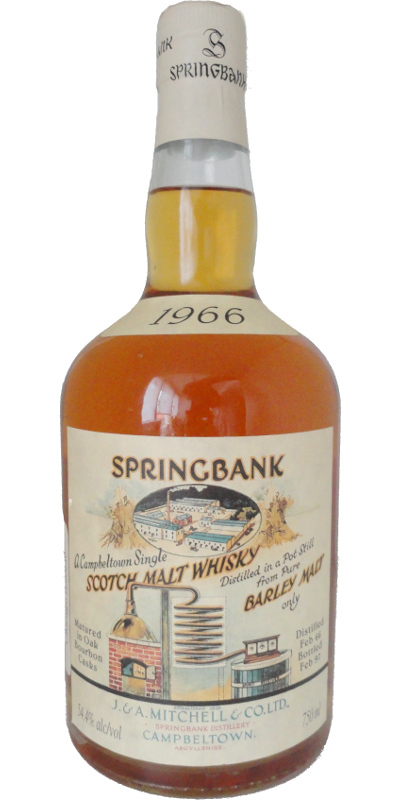 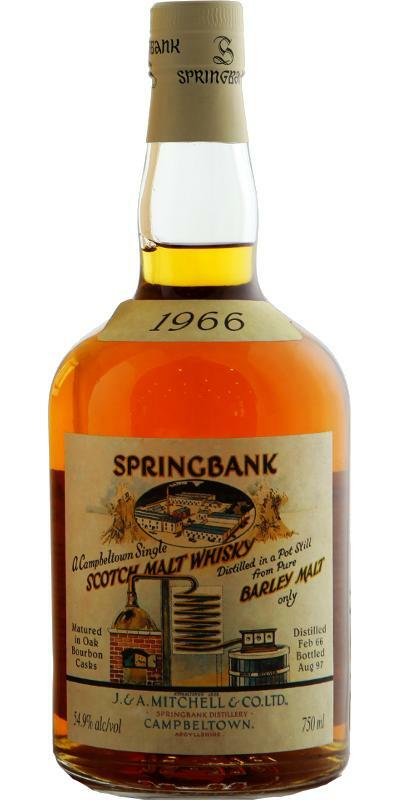 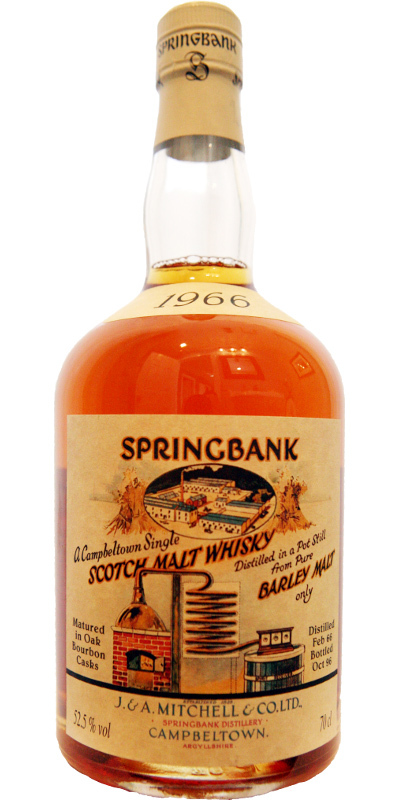 Springbank 1966 46.0 % Vol. Springbank 1966 Black Label 46.0 % Vol. 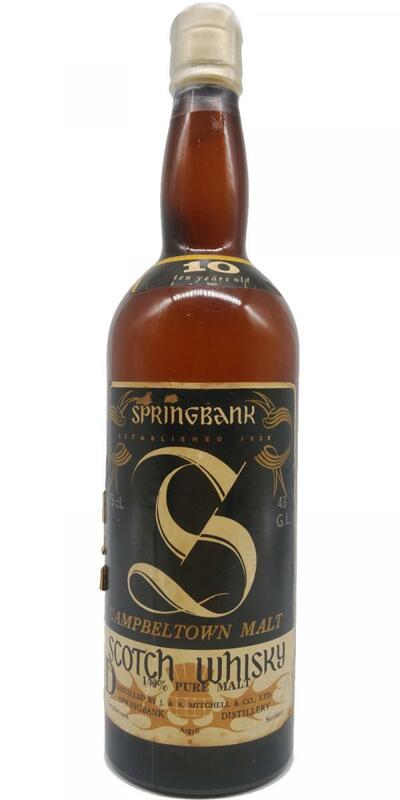 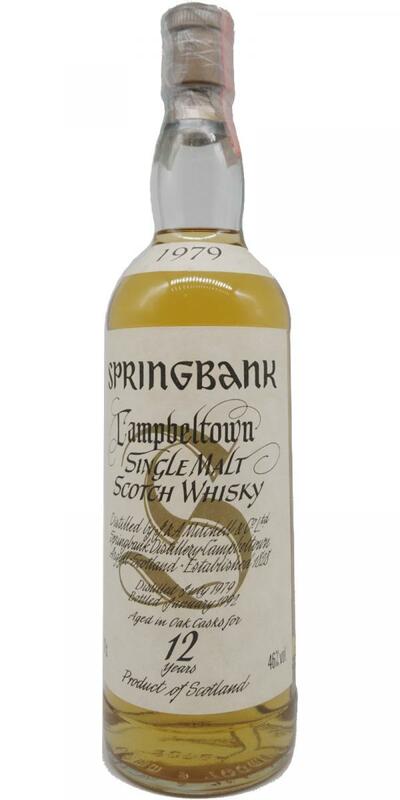 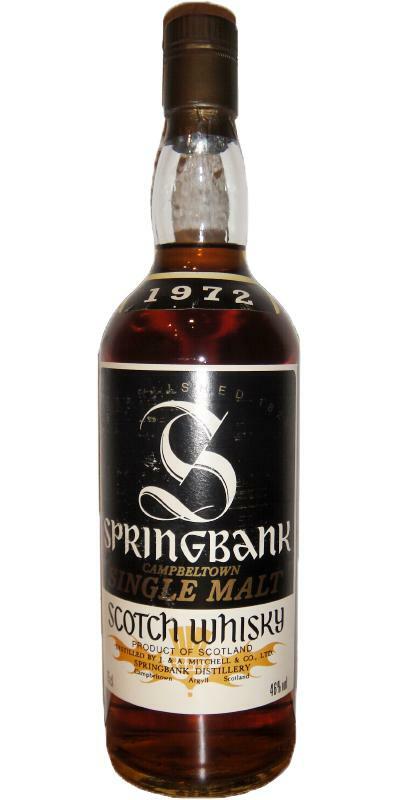 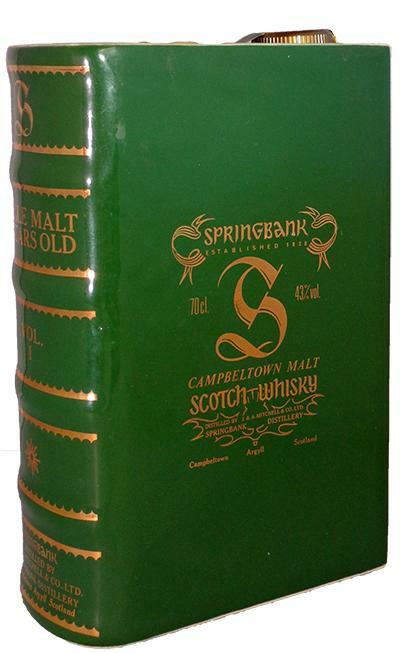 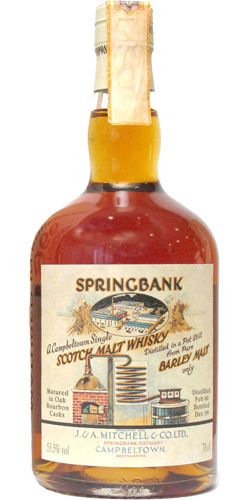 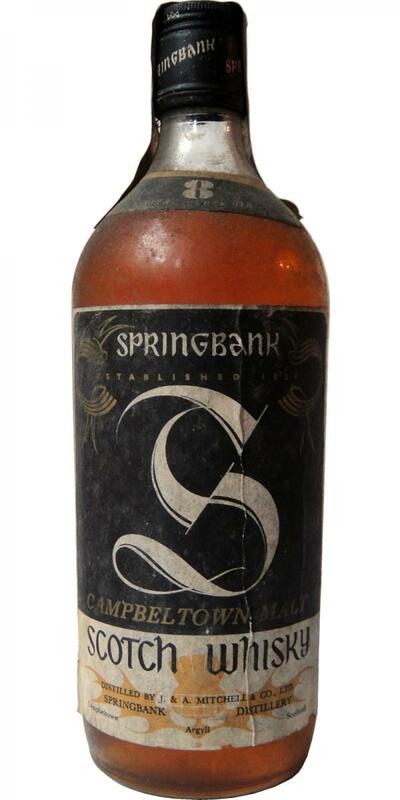 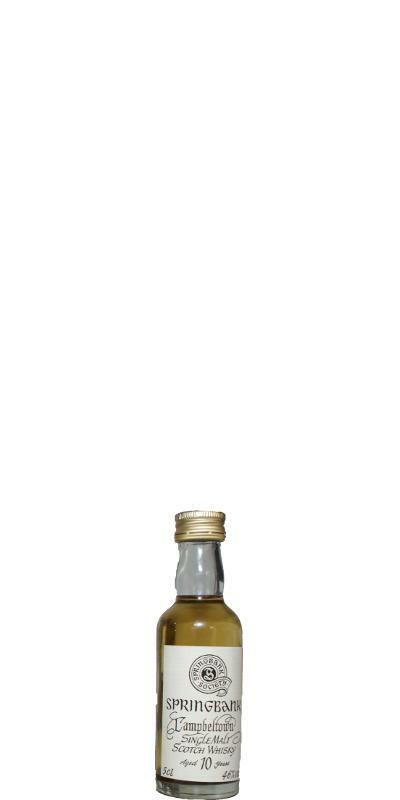 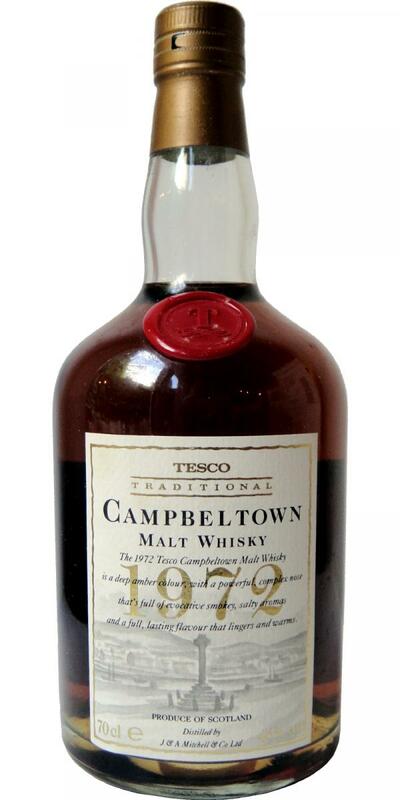 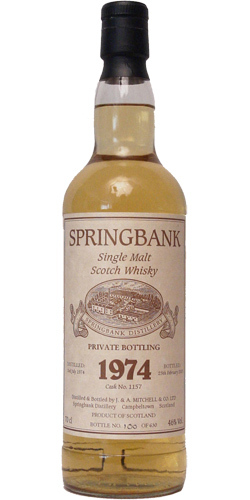 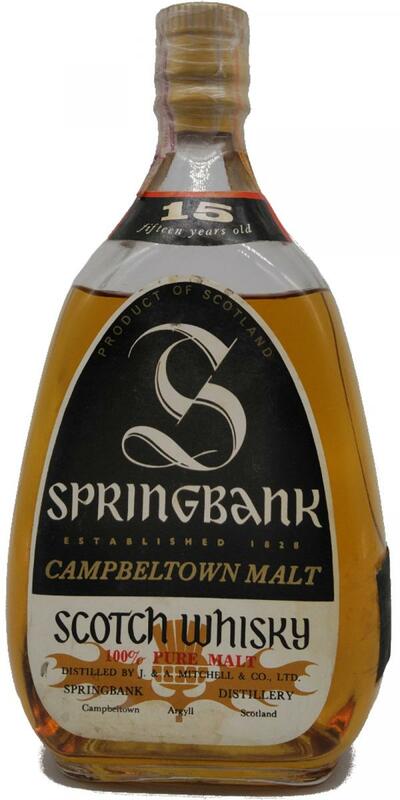 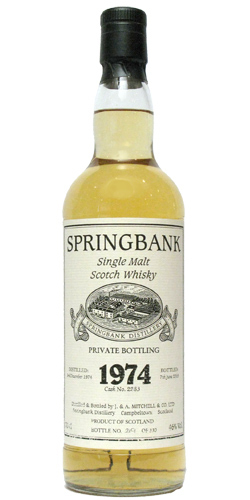 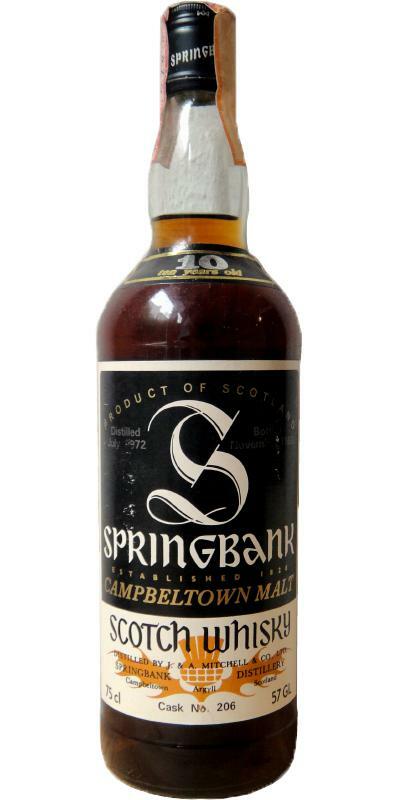 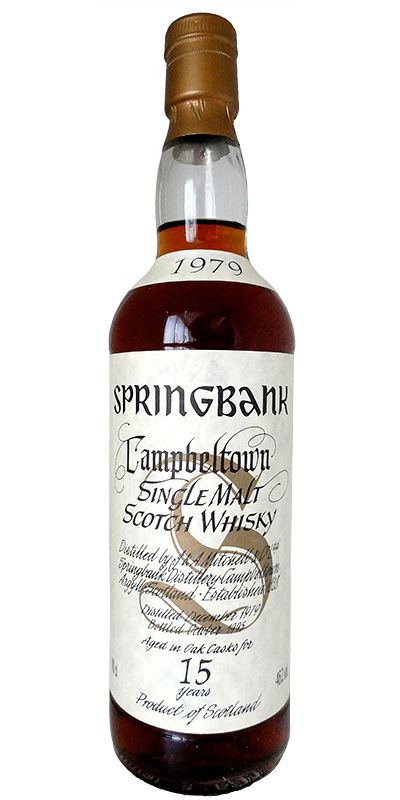 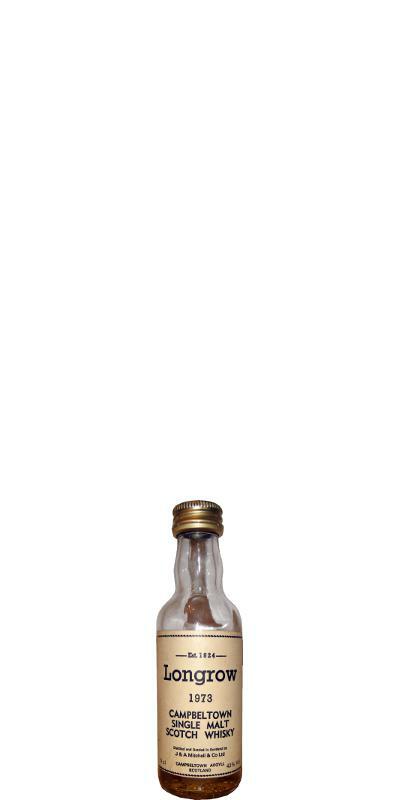 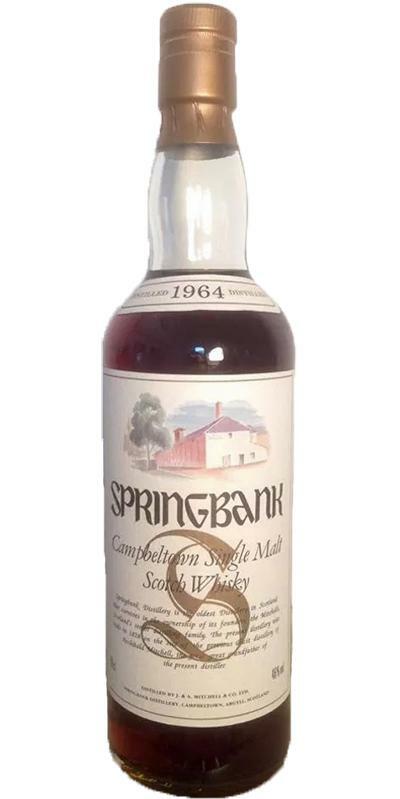 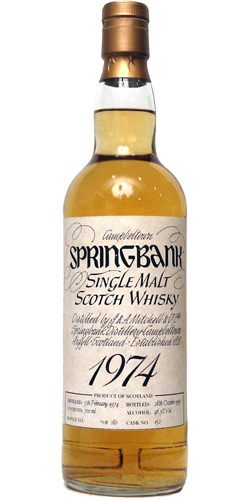 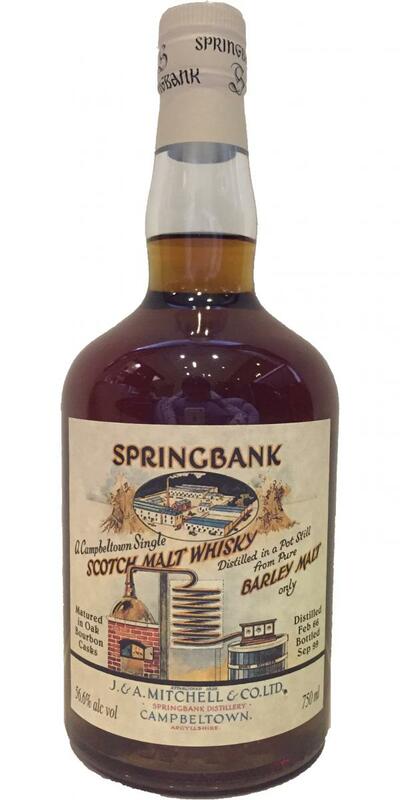 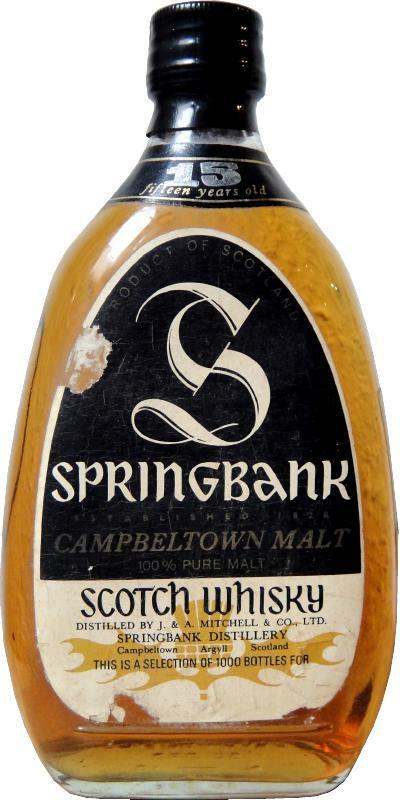 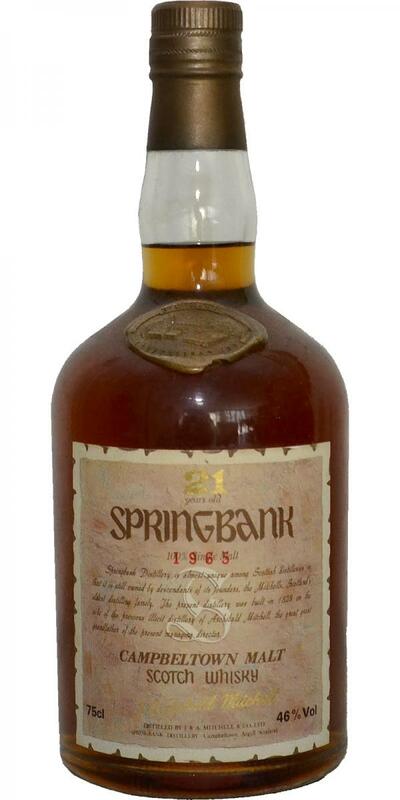 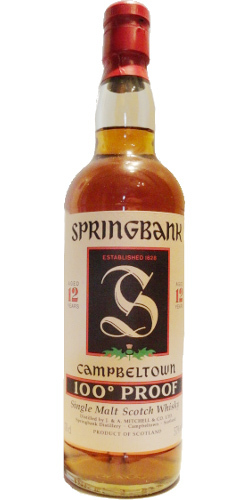 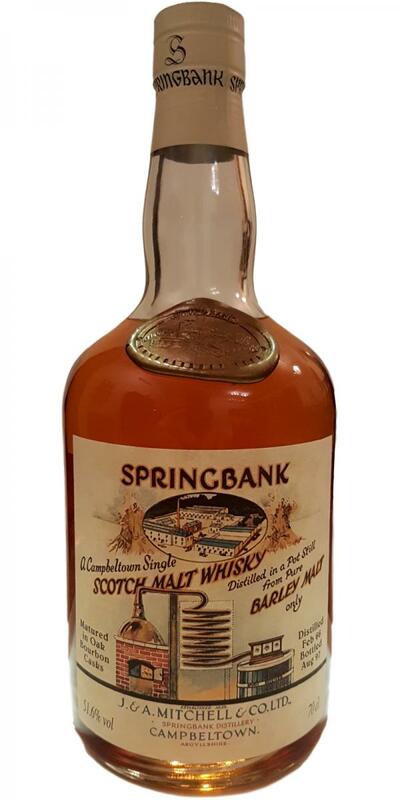 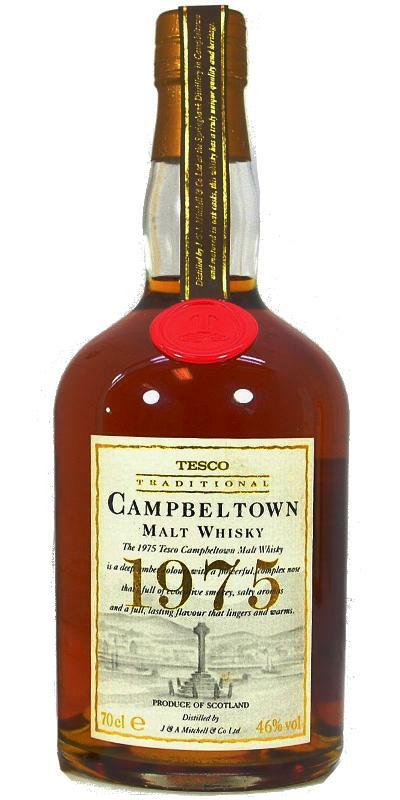 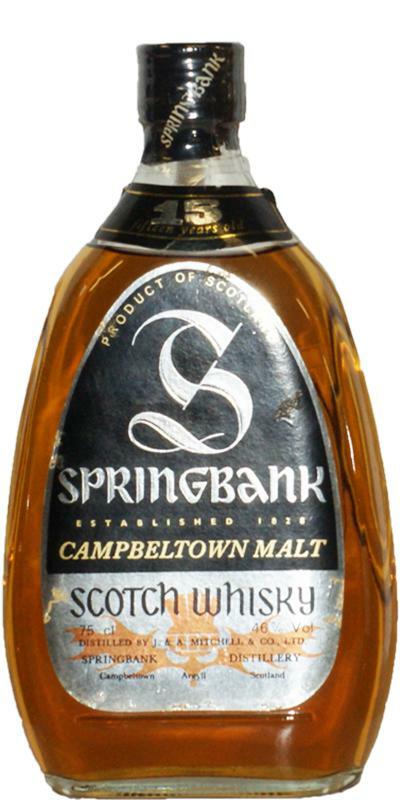 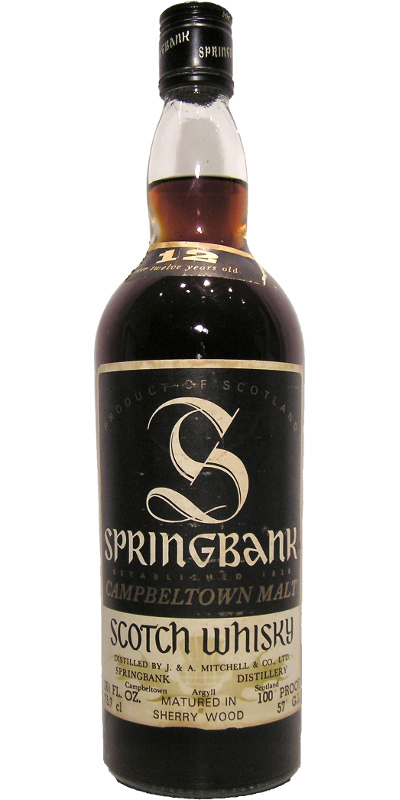 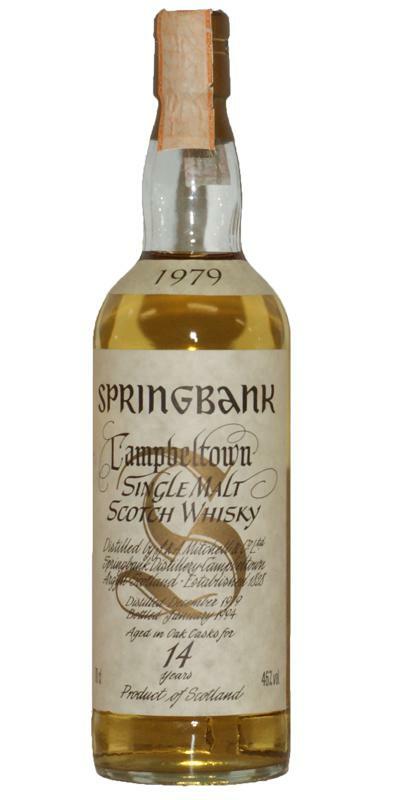 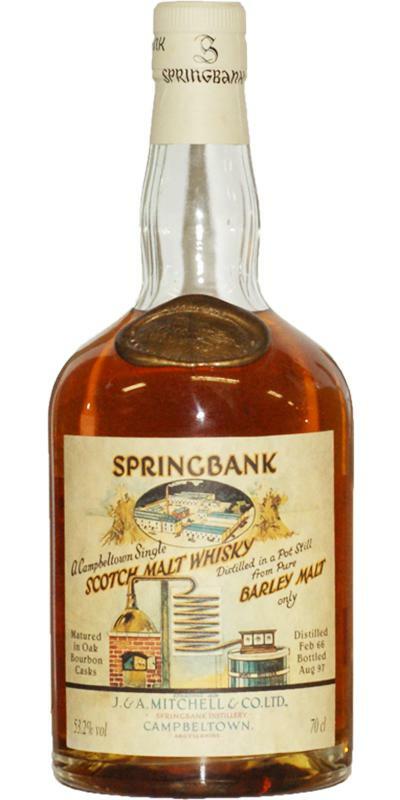 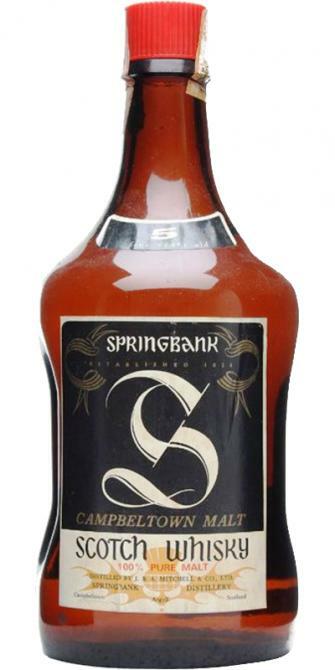 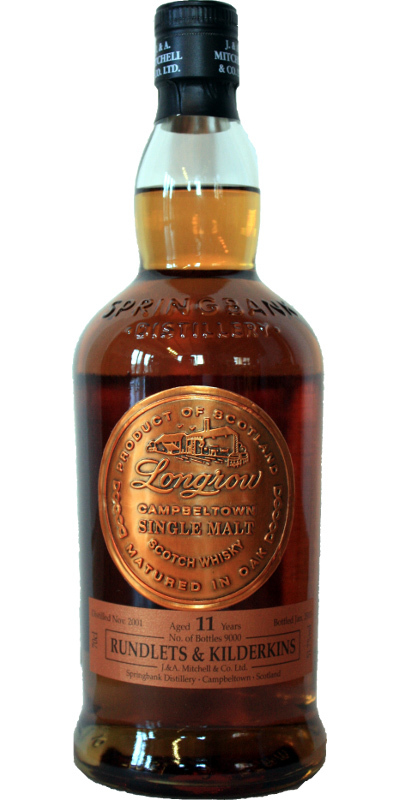 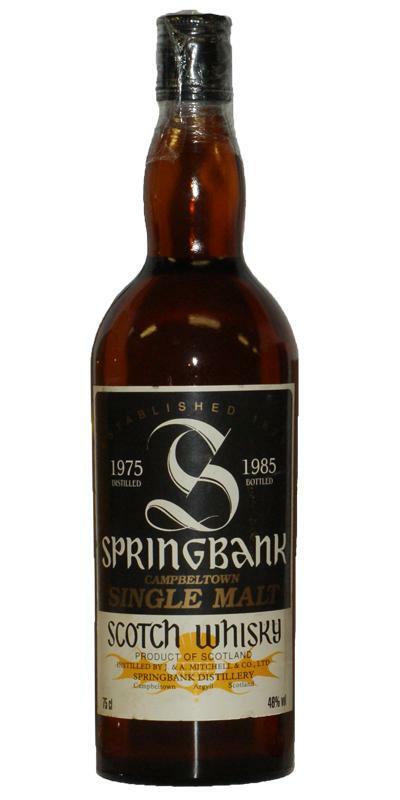 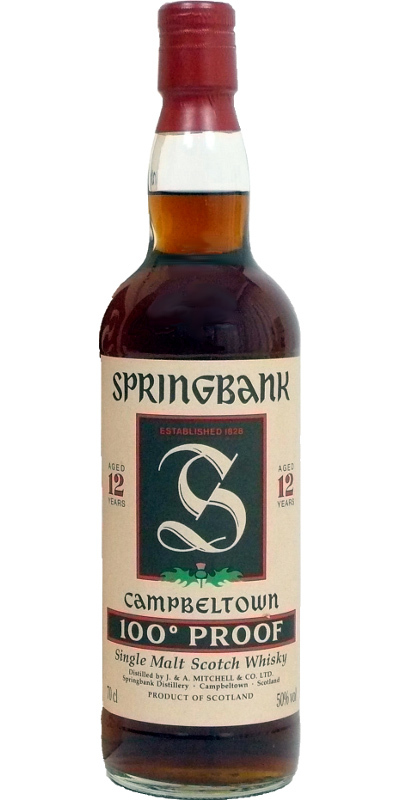 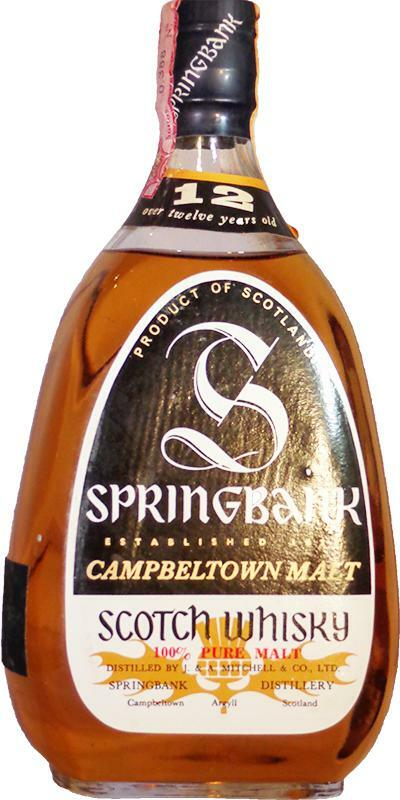 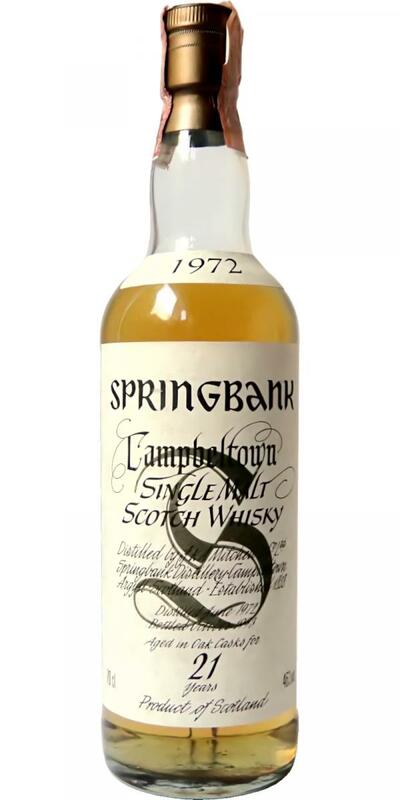 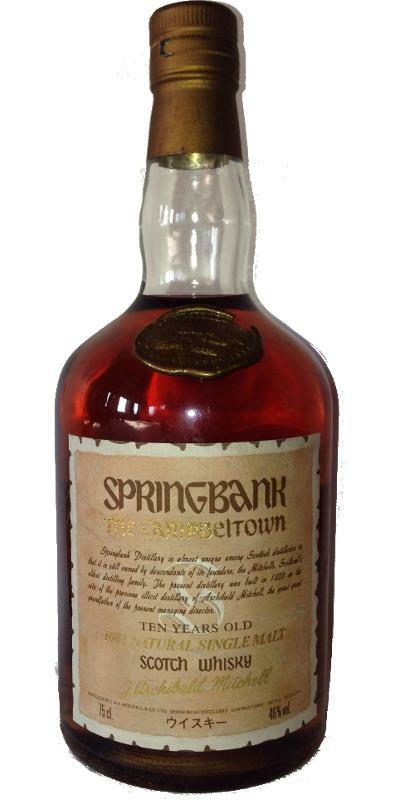 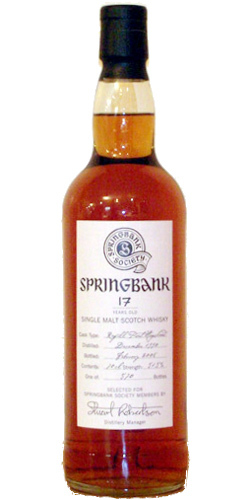 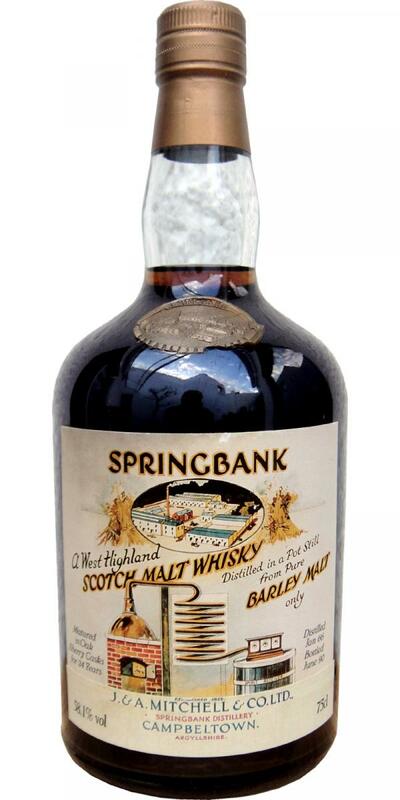 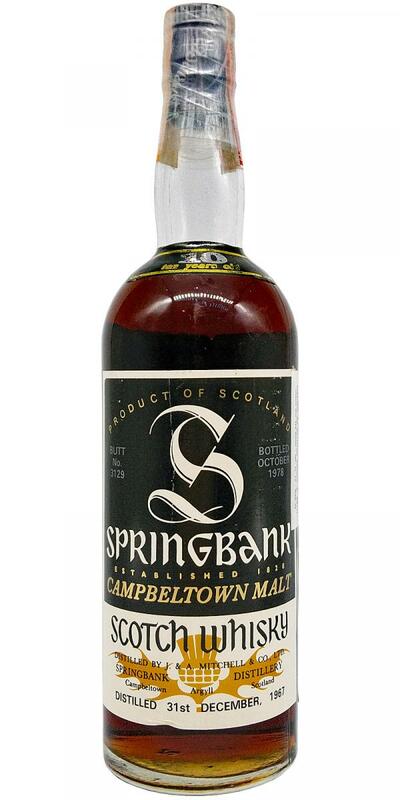 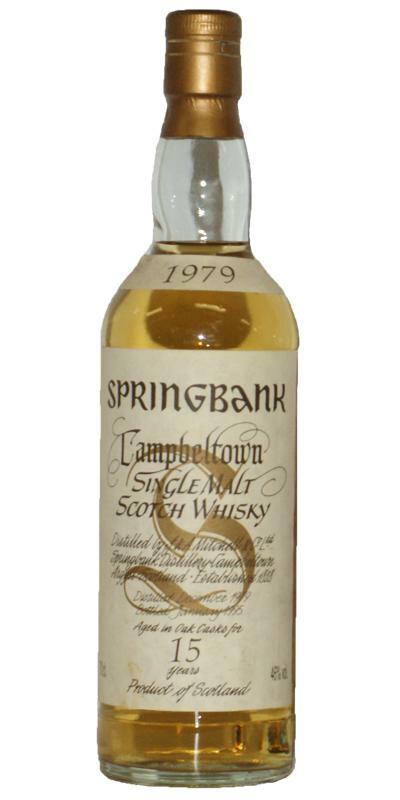 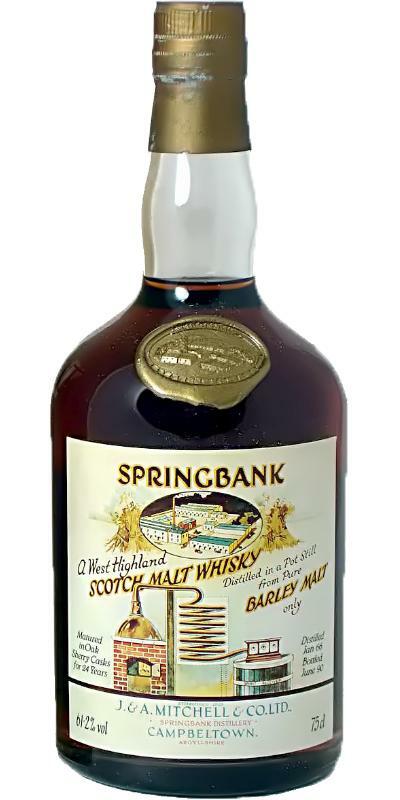 Springbank 1975 Brown bottle, small screw cap 10 46.0 % Vol.